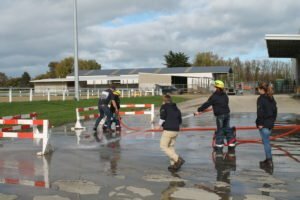 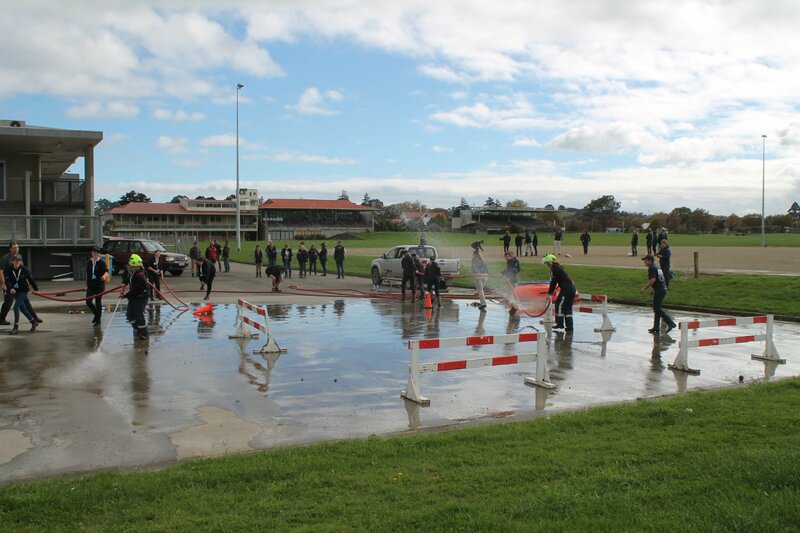 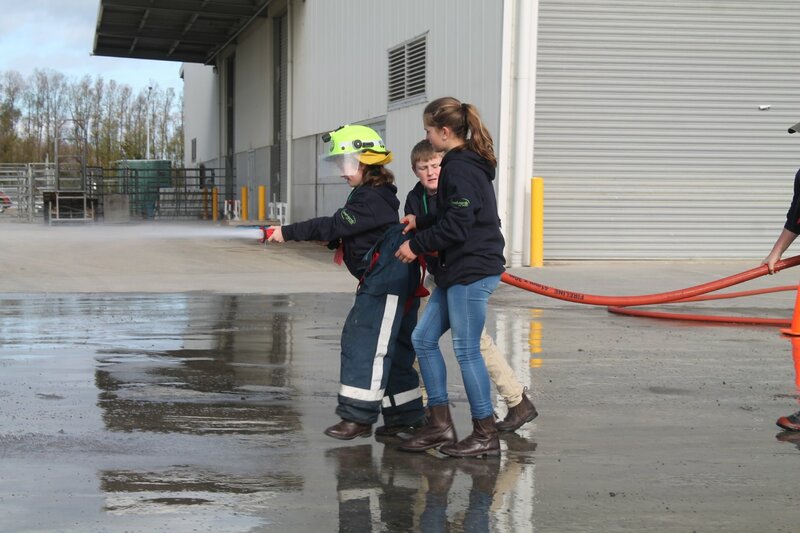 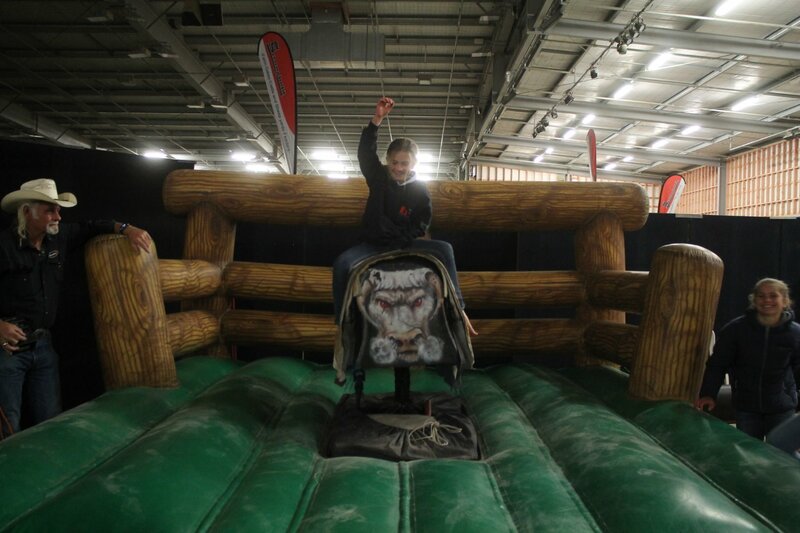 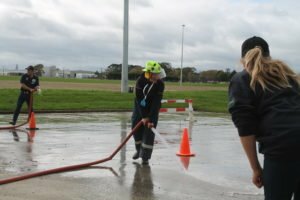 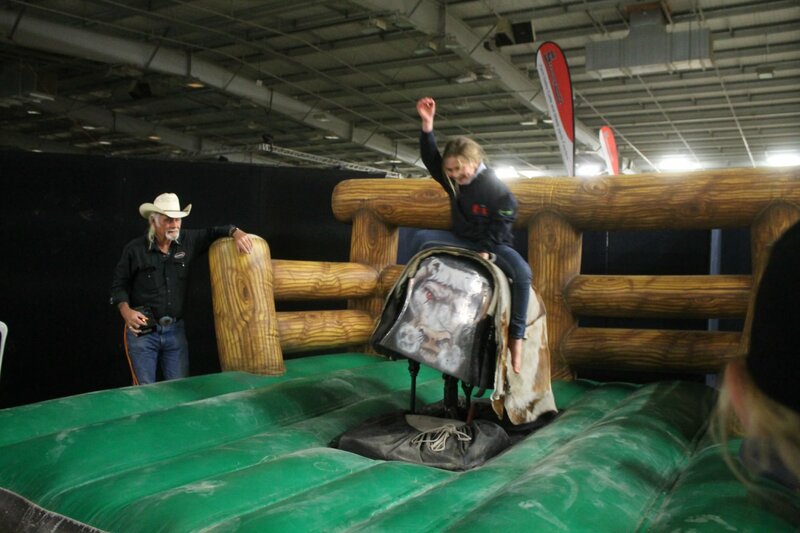 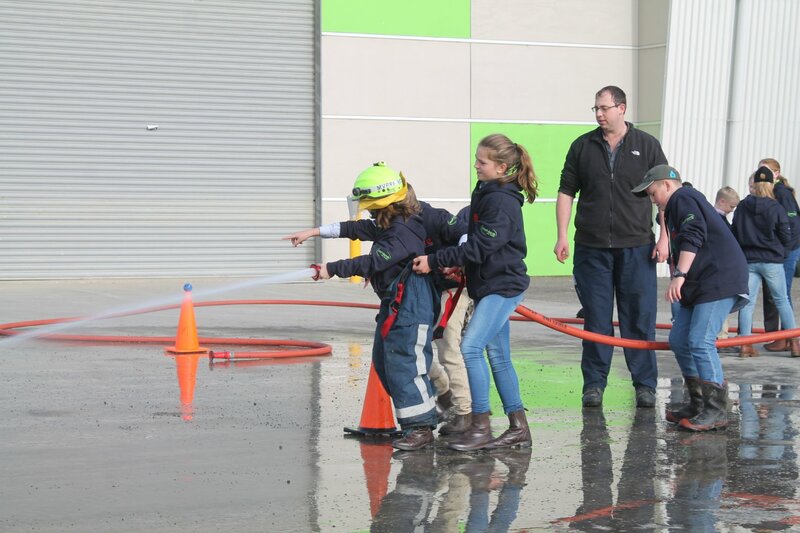 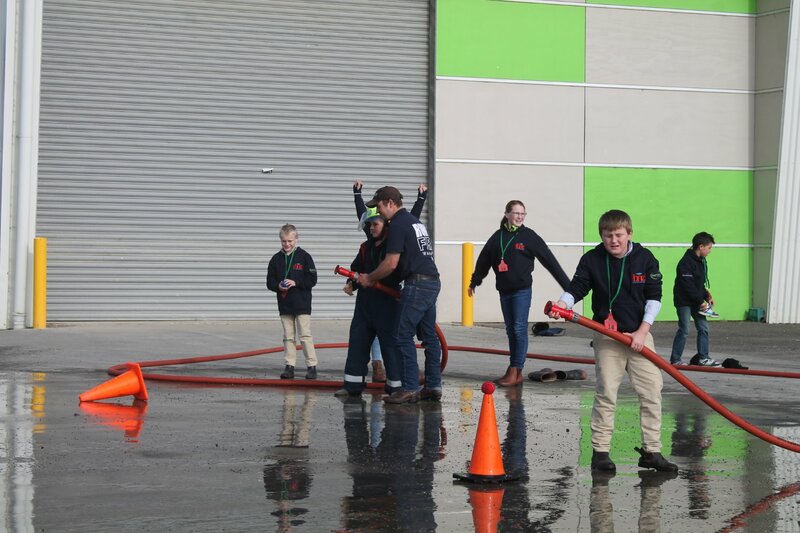 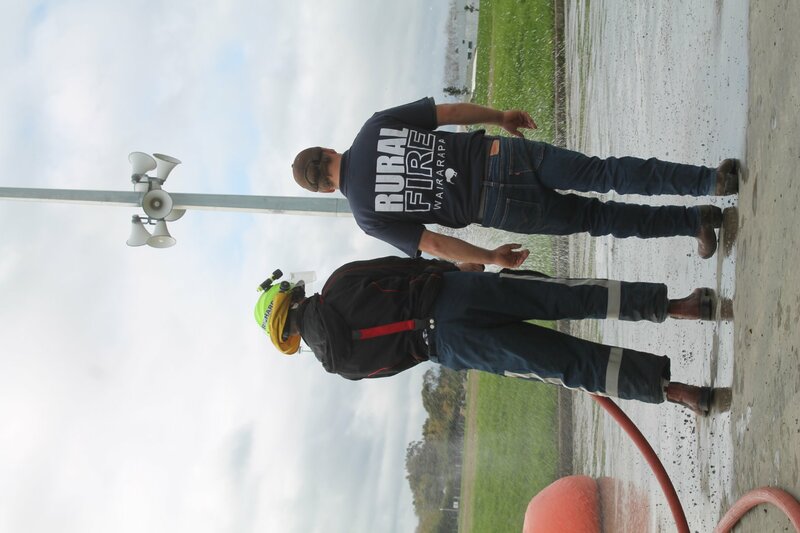 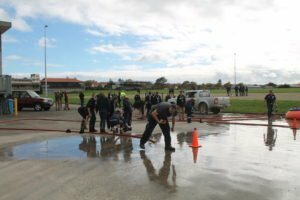 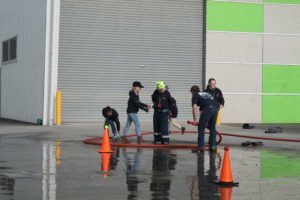 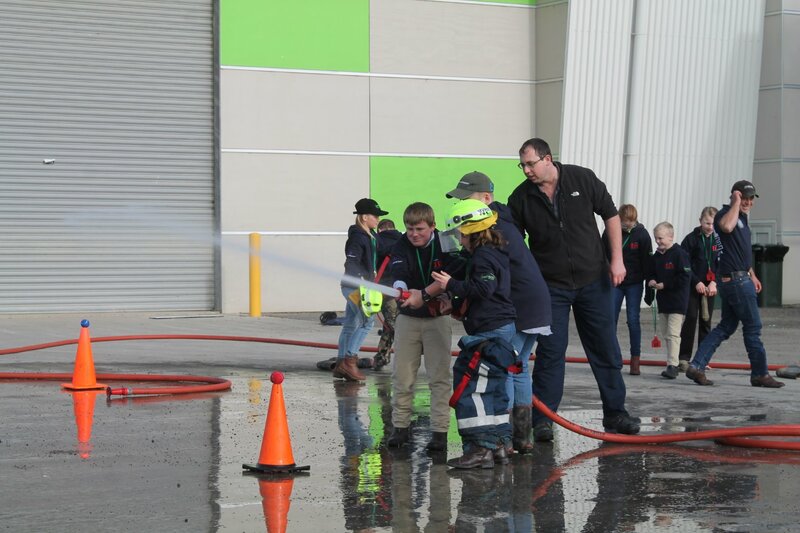 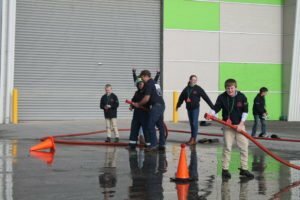 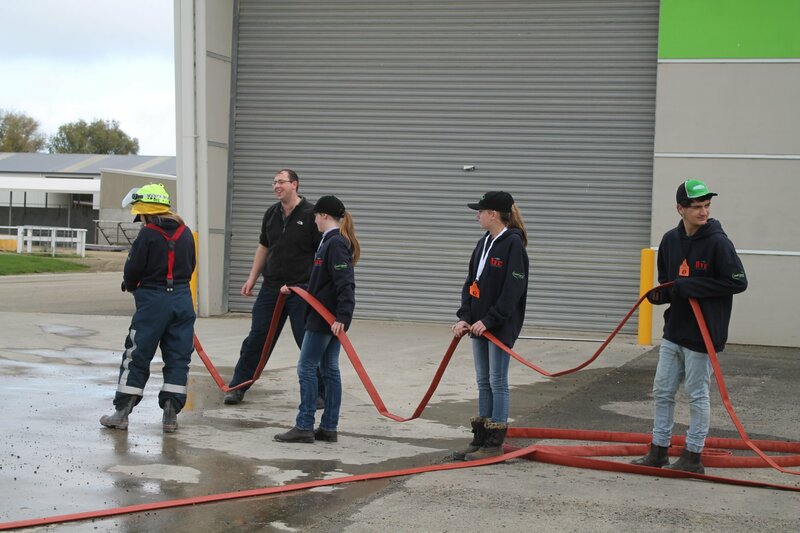 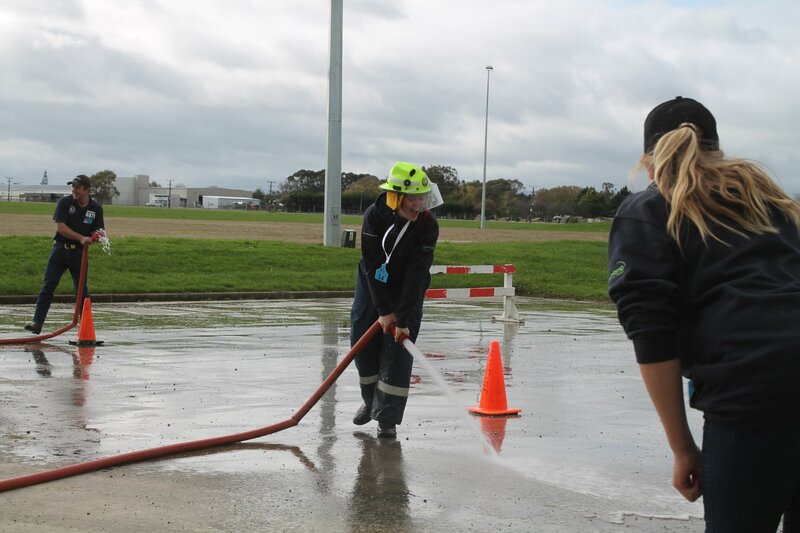 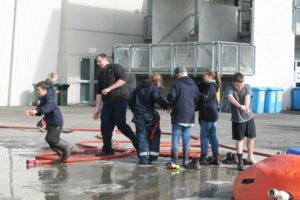 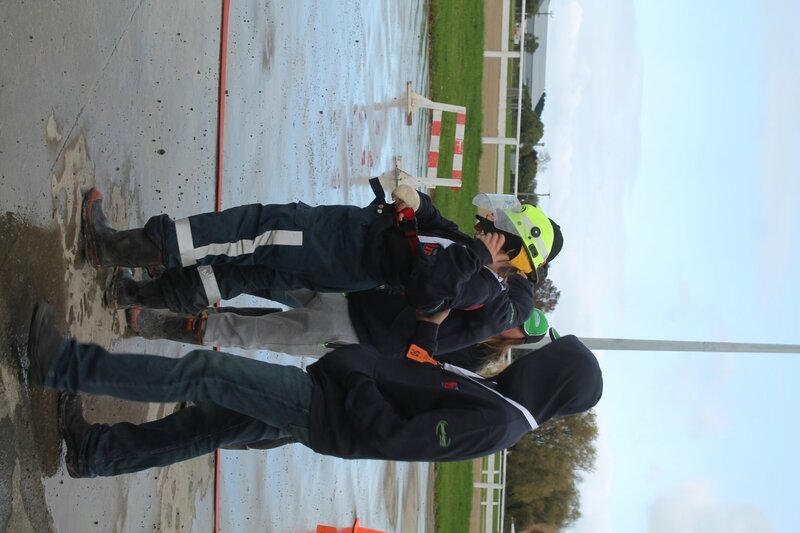 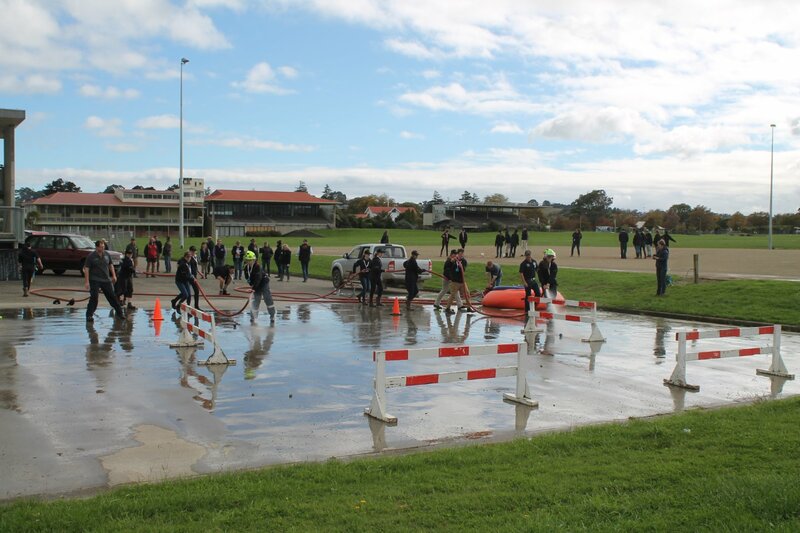 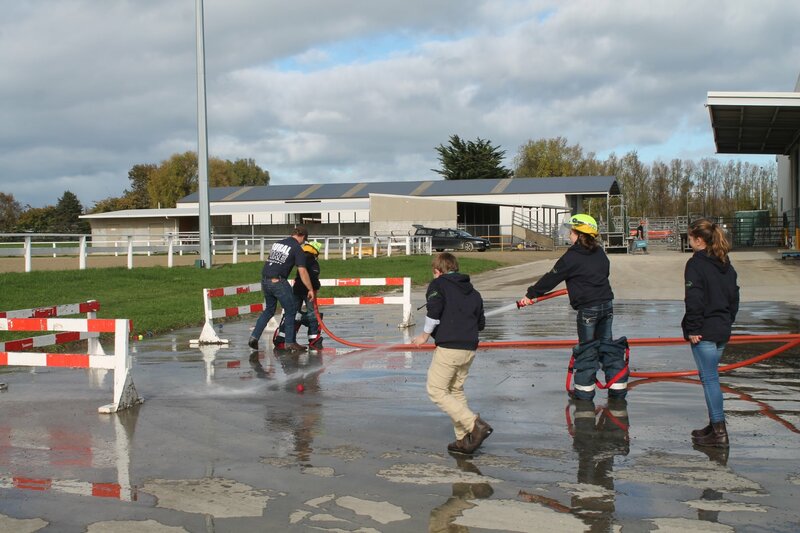 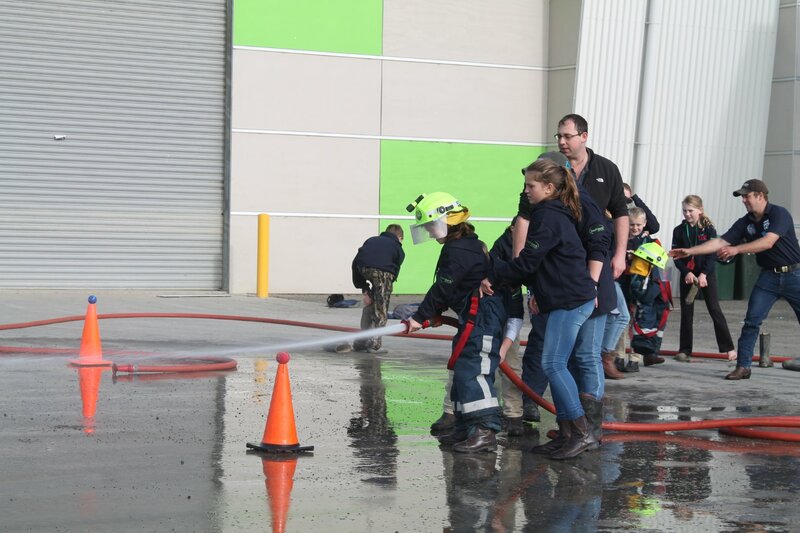 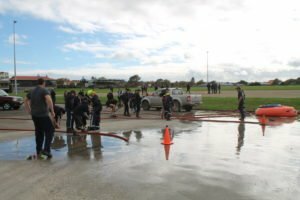 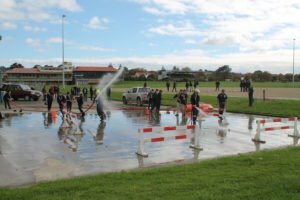 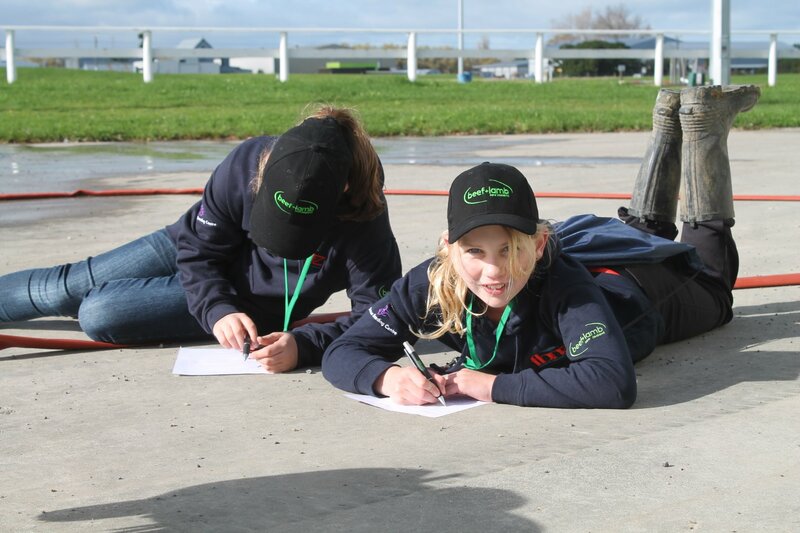 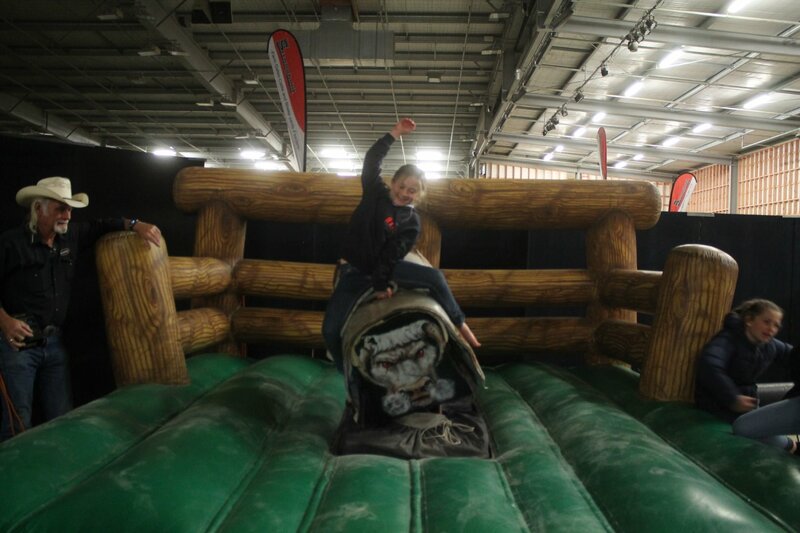 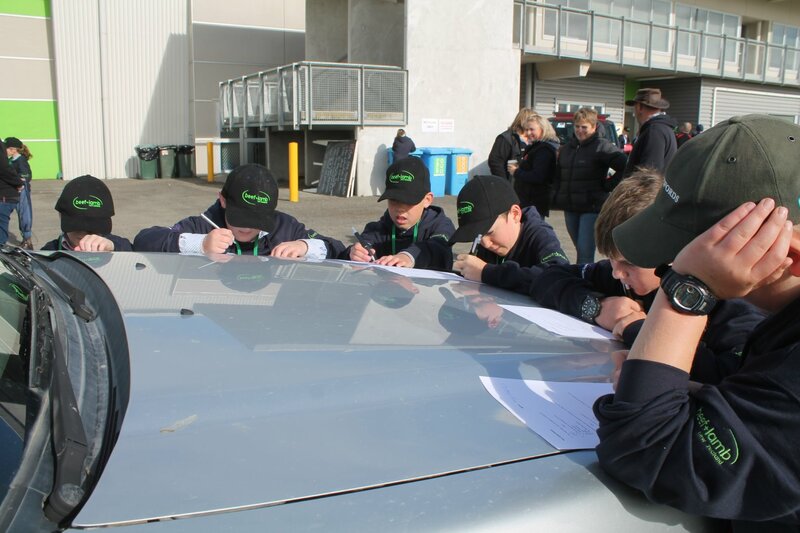 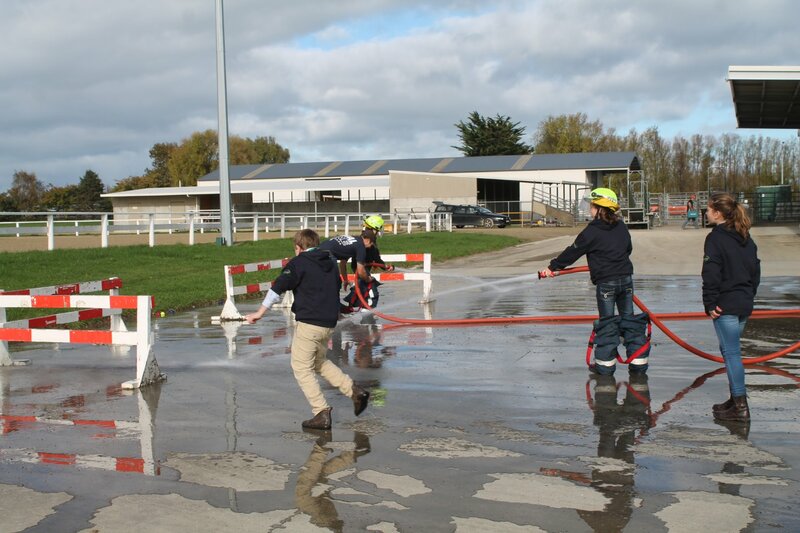 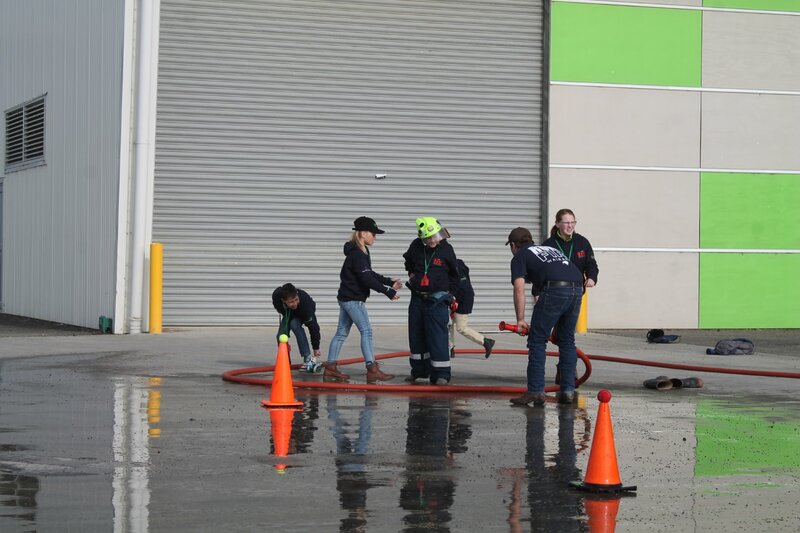 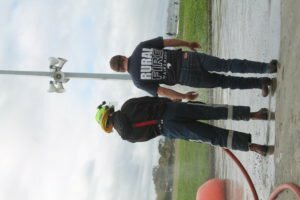 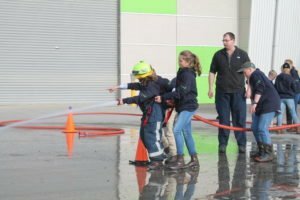 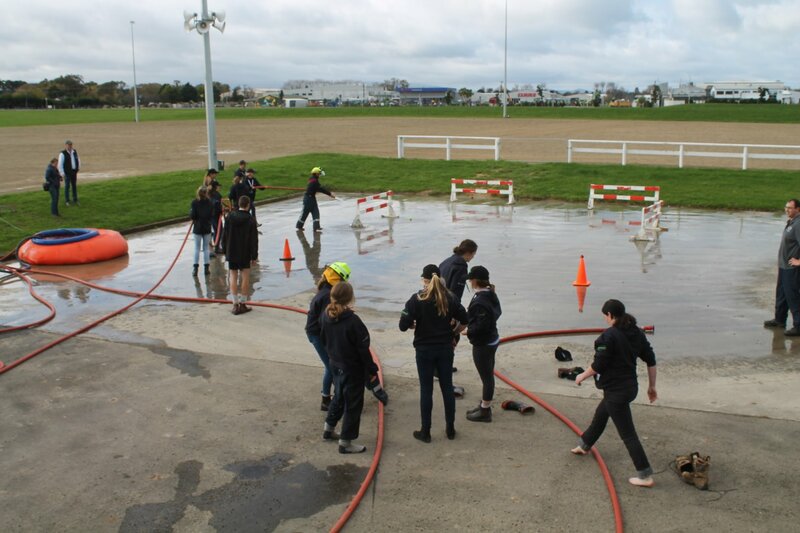 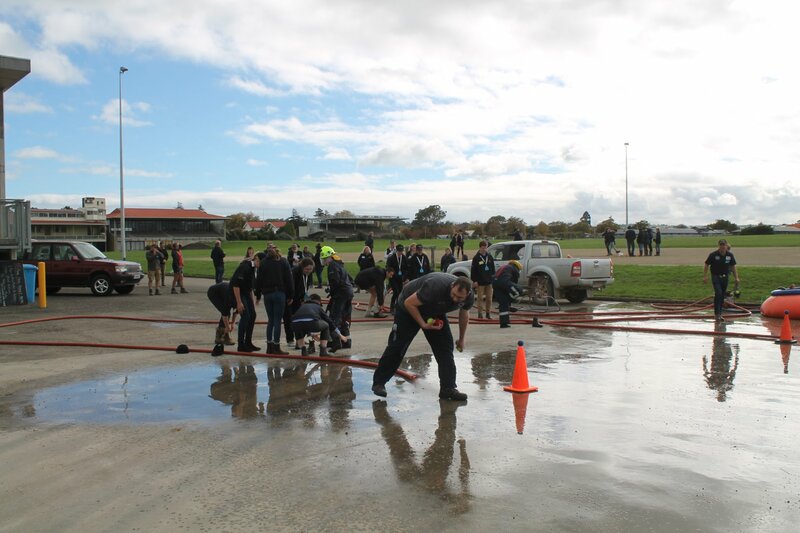 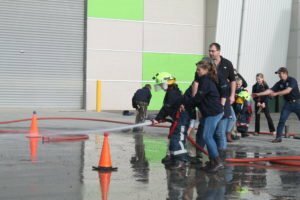 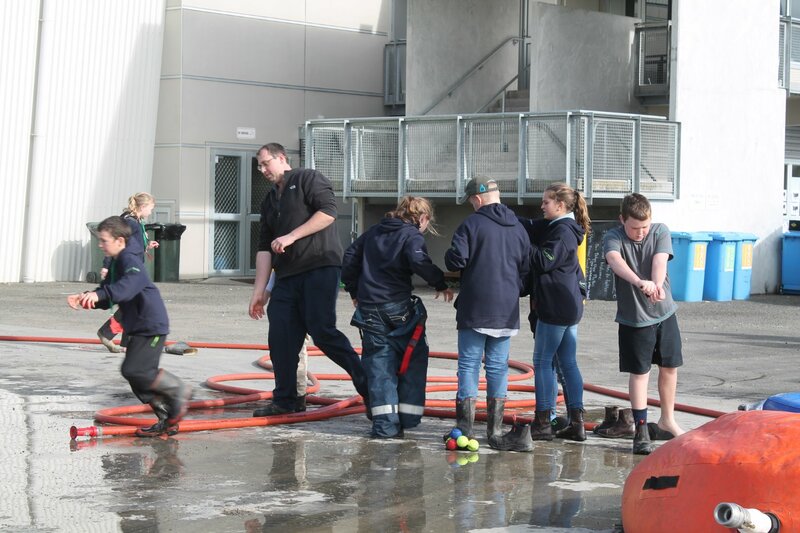 School holidays have kicked off so some of our South Island competitors are making the most of getting in some training! 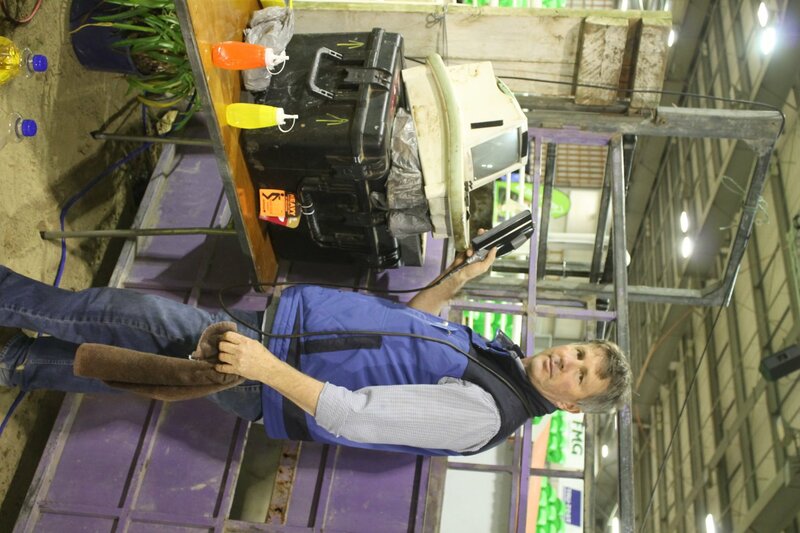 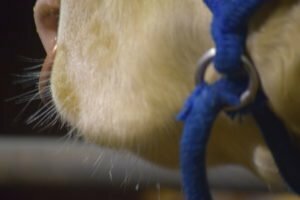 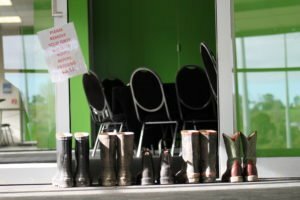 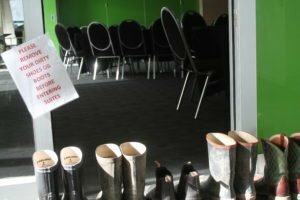 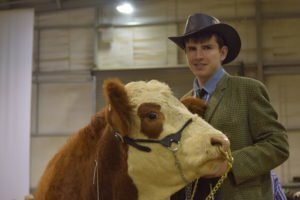 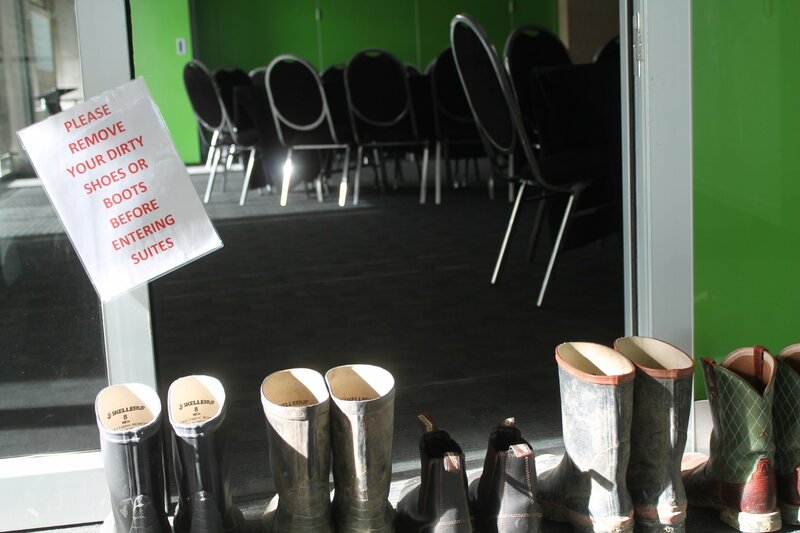 I'm a freelance agricultural journalist and have worked in in the industry for the past four years writing for Country-Wide, Dairy Exporter and Young Country. 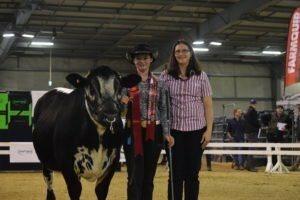 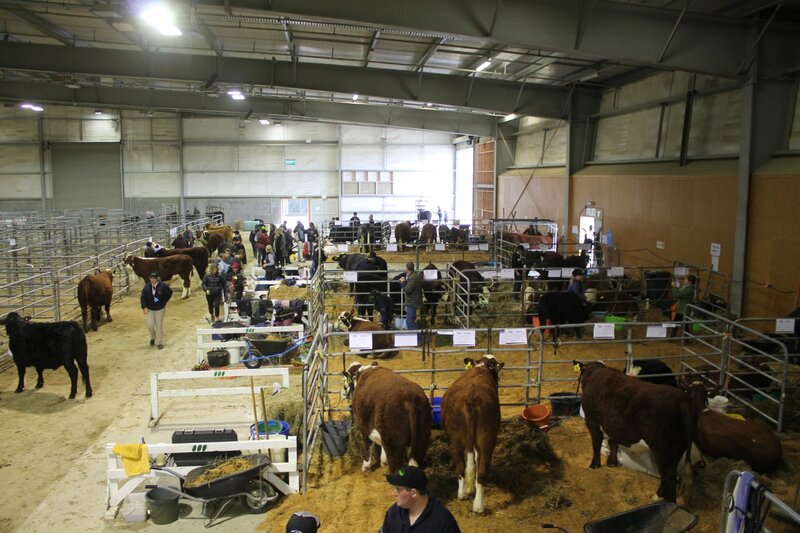 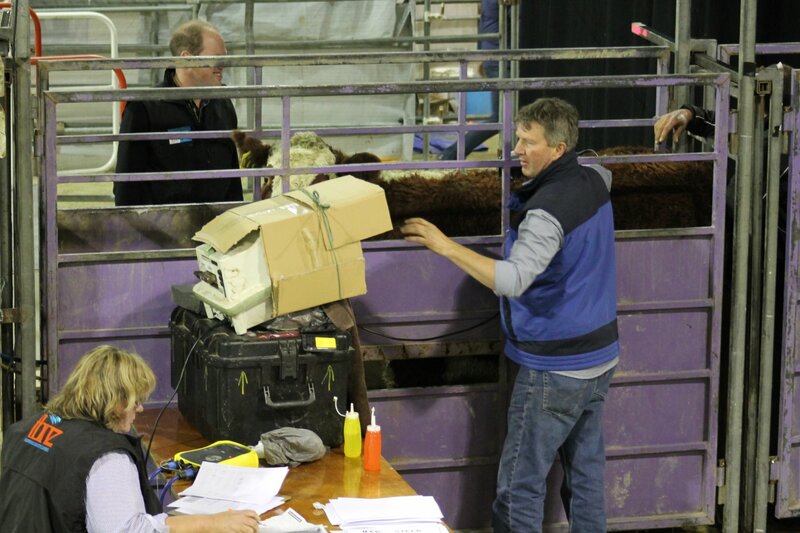 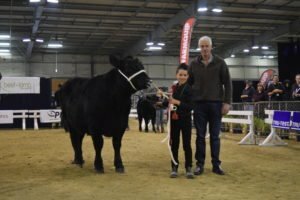 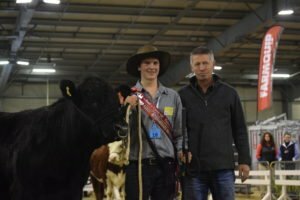 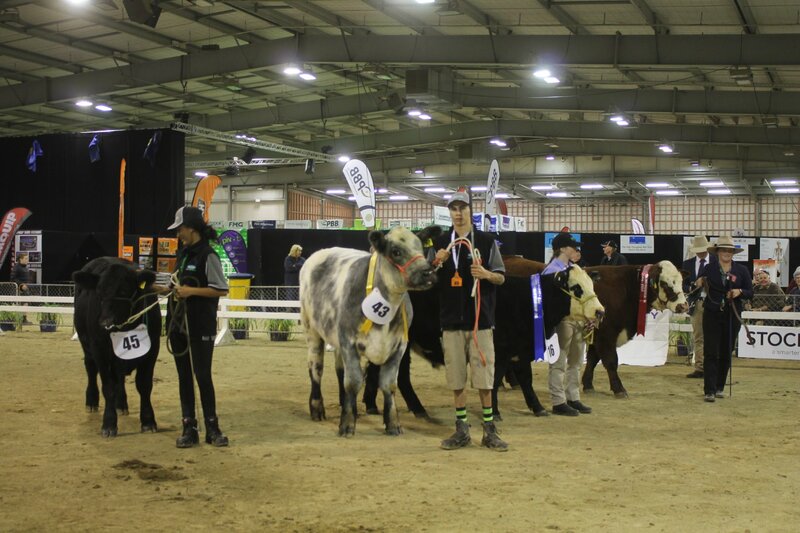 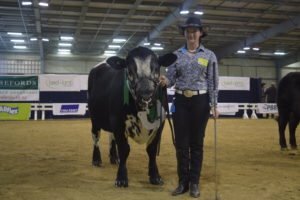 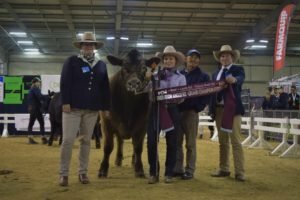 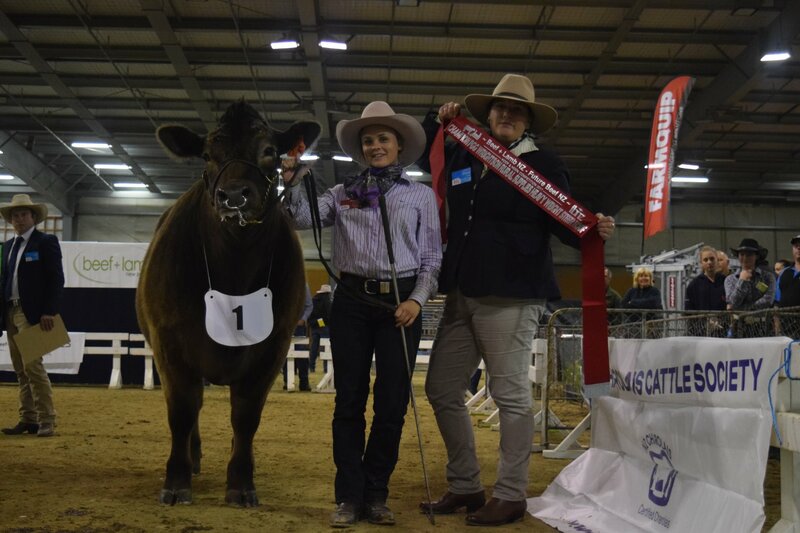 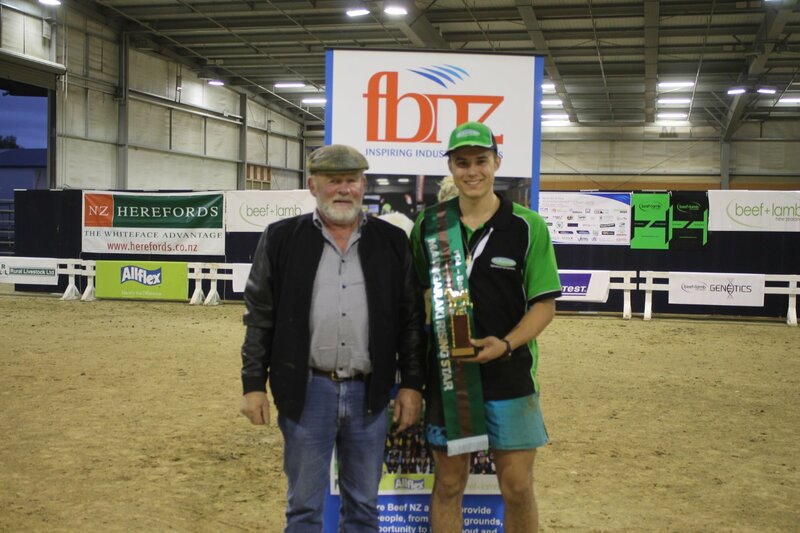 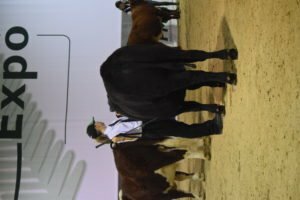 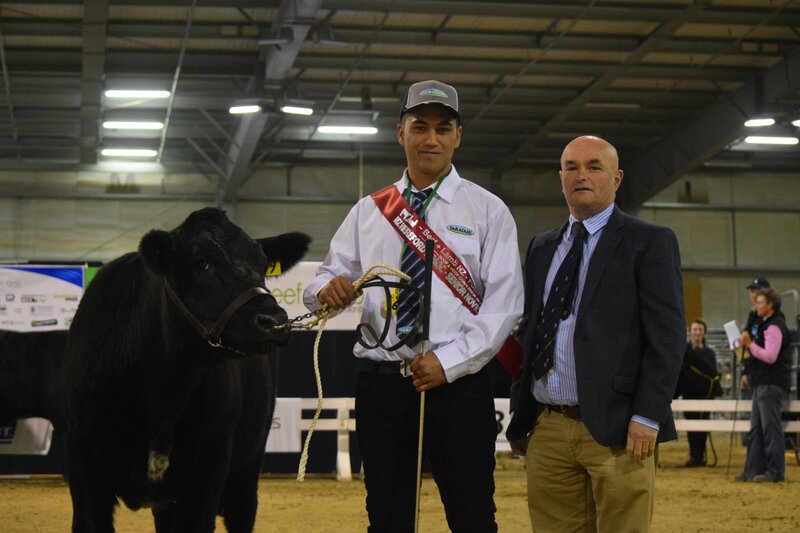 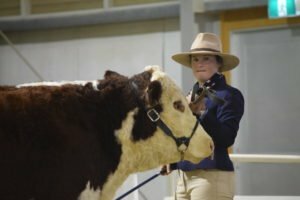 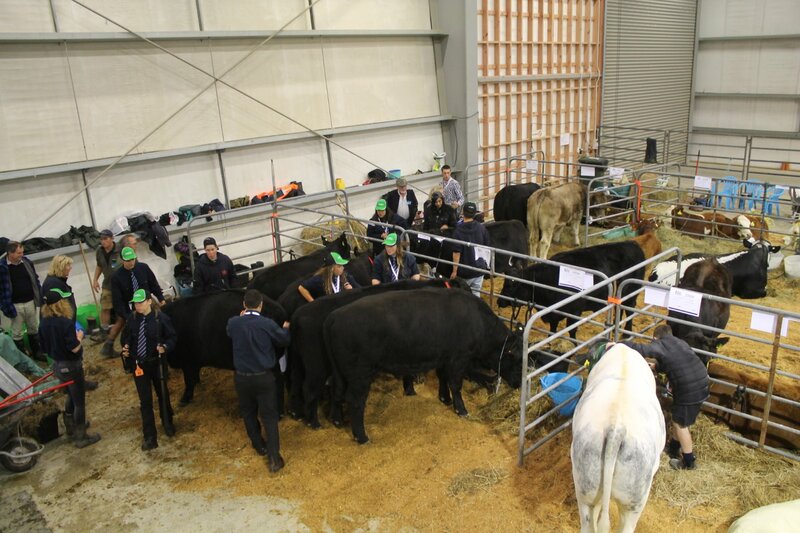 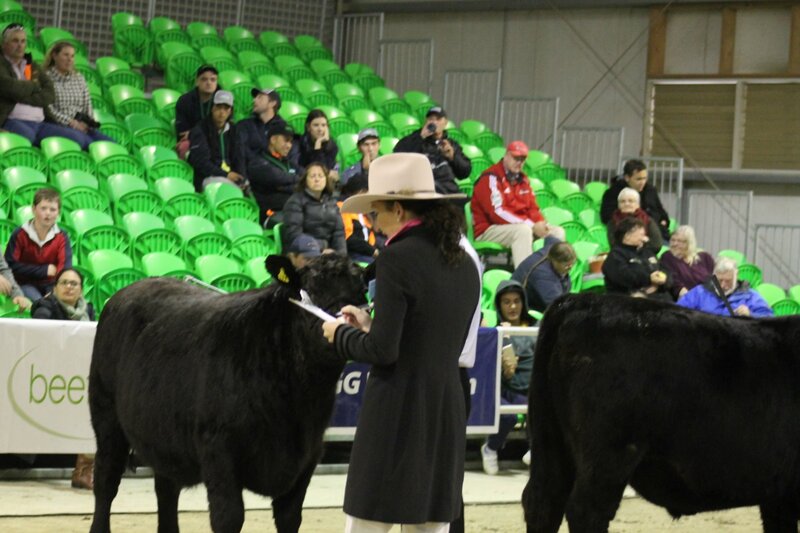 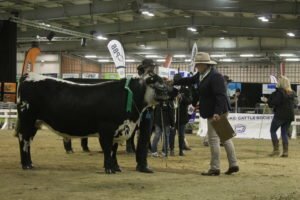 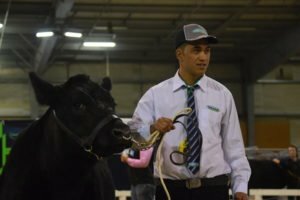 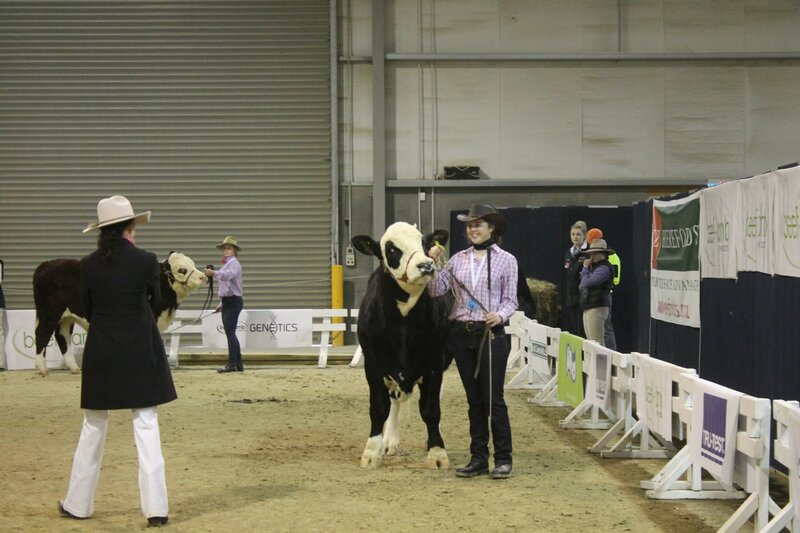 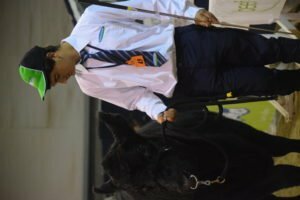 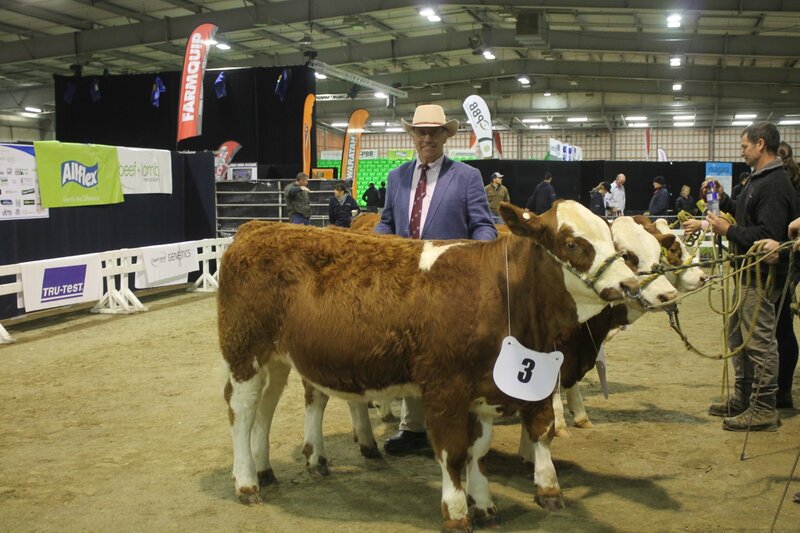 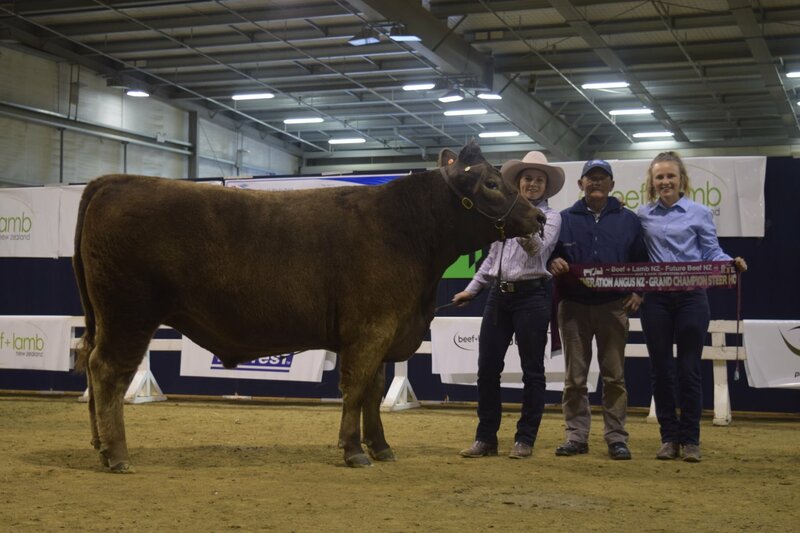 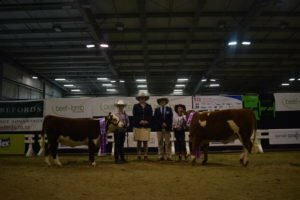 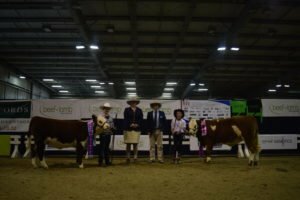 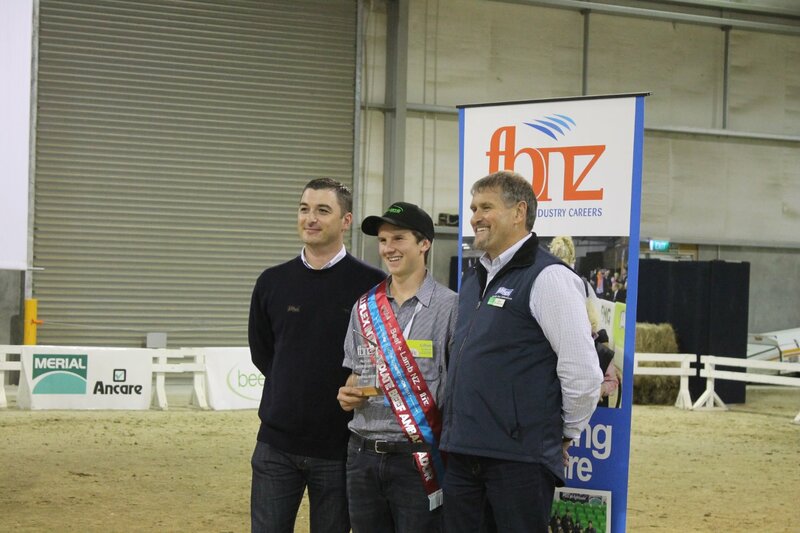 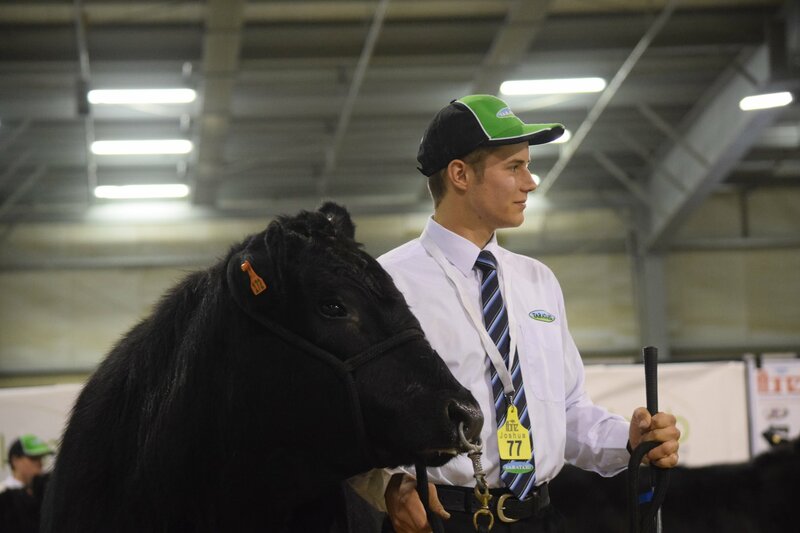 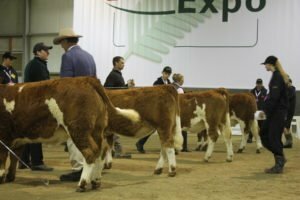 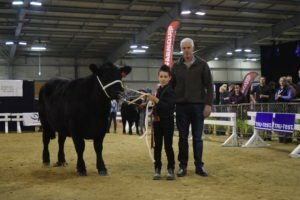 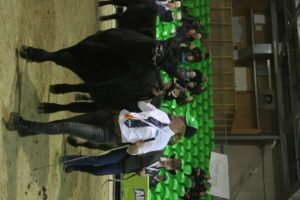 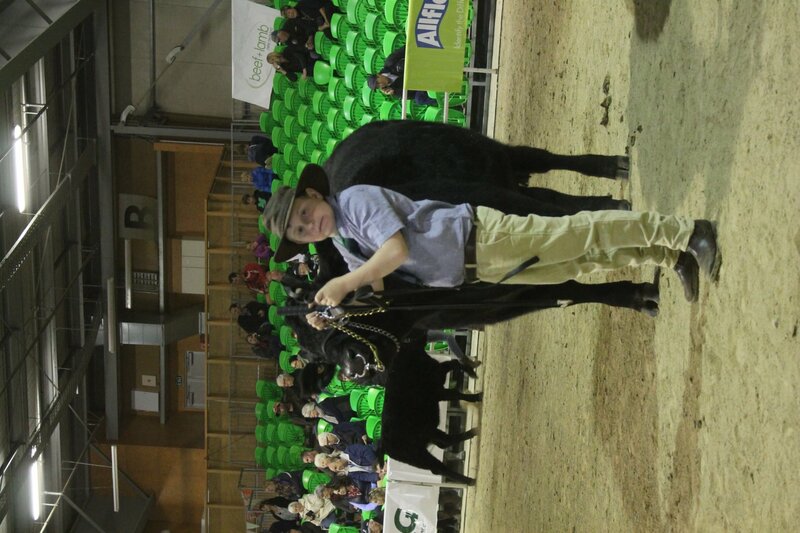 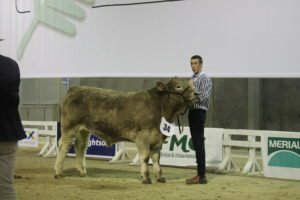 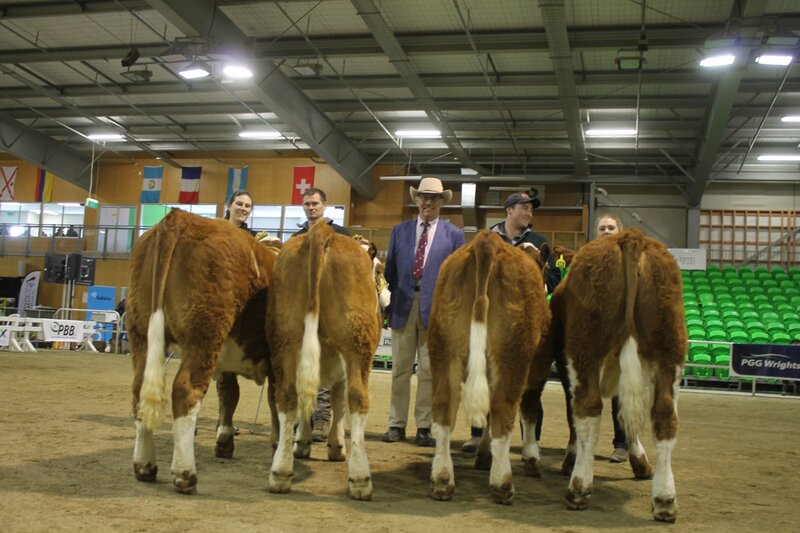 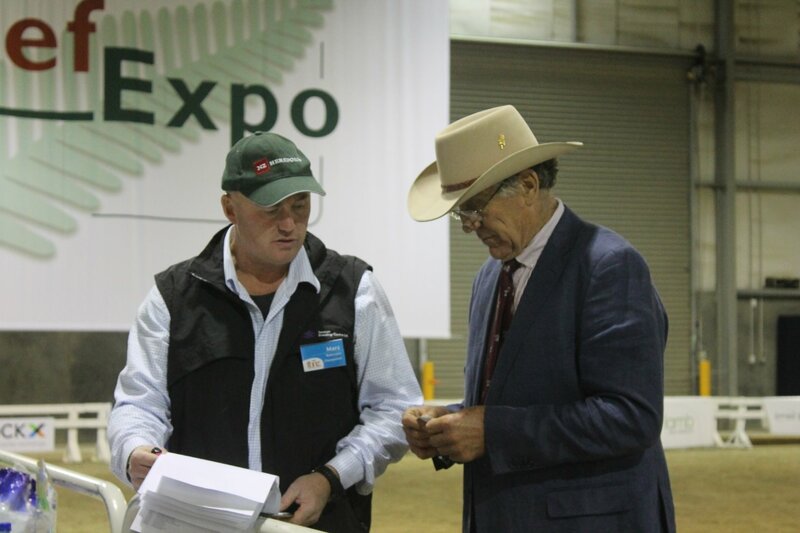 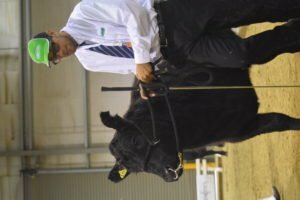 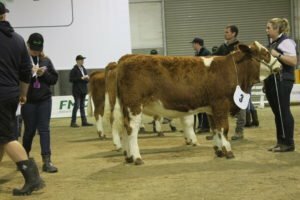 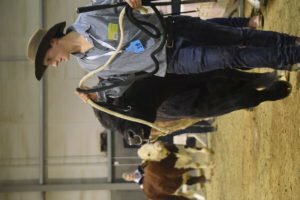 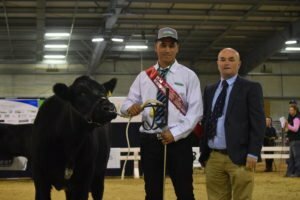 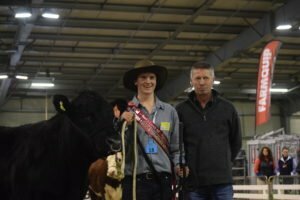 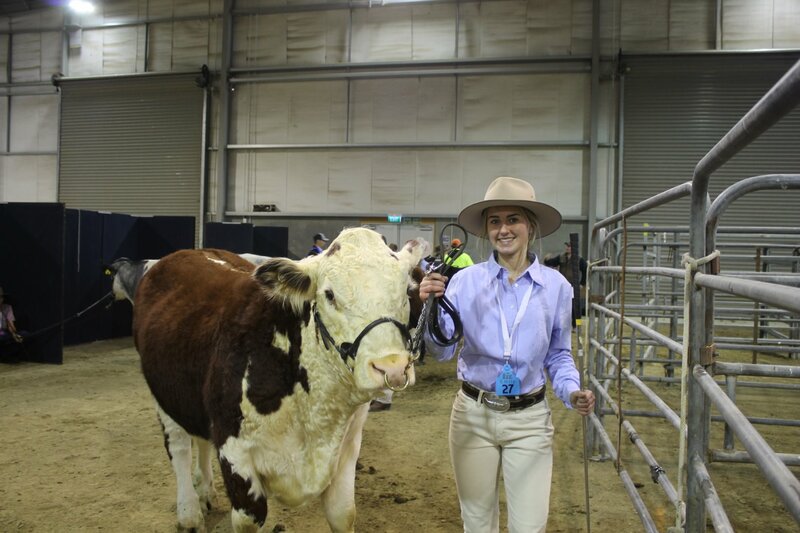 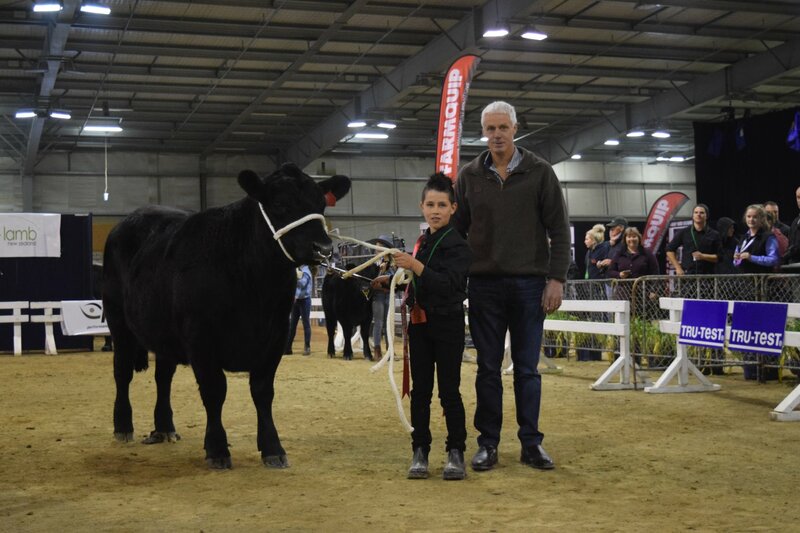 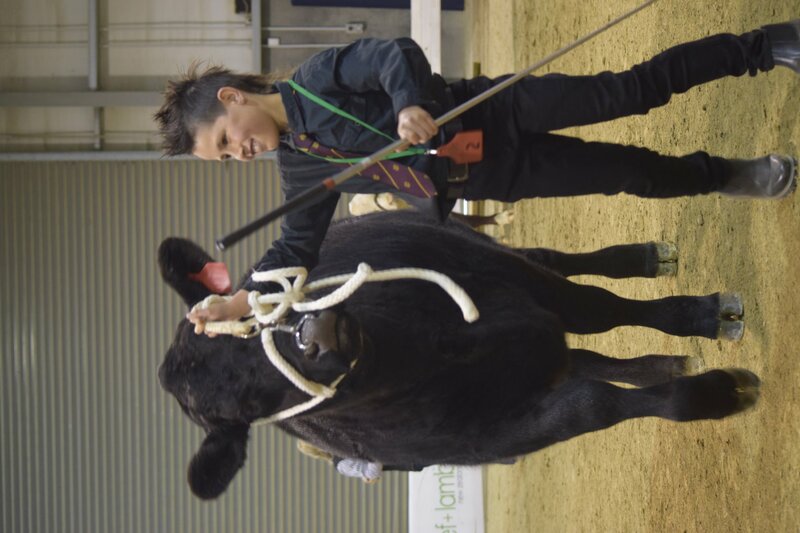 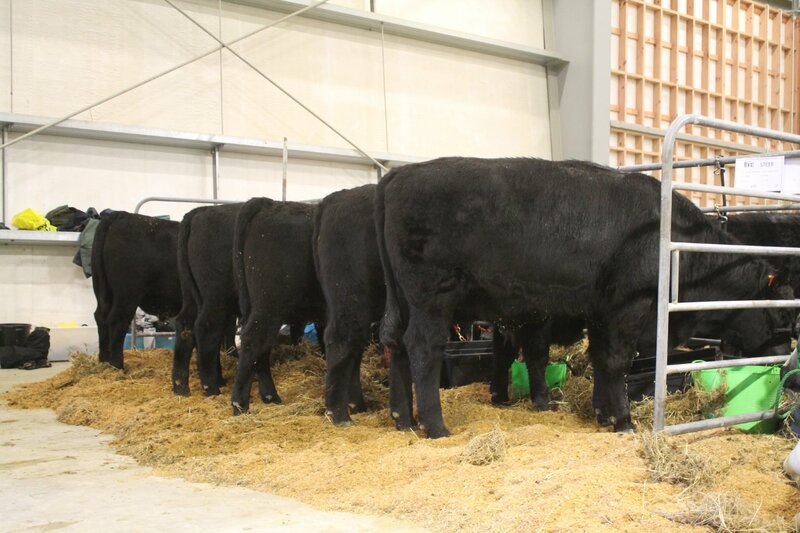 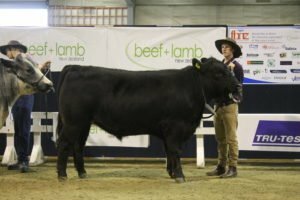 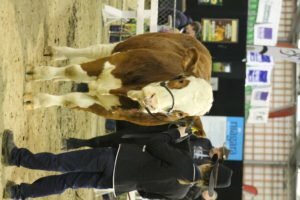 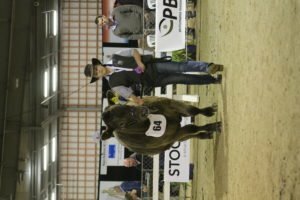 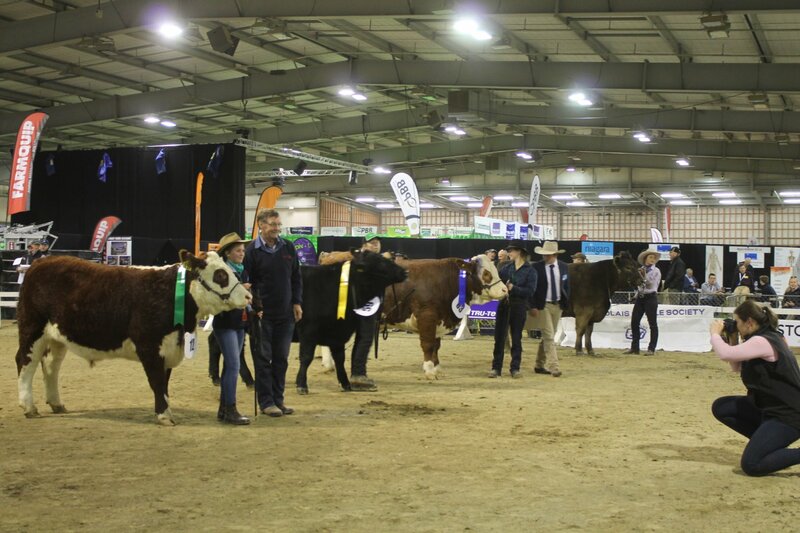 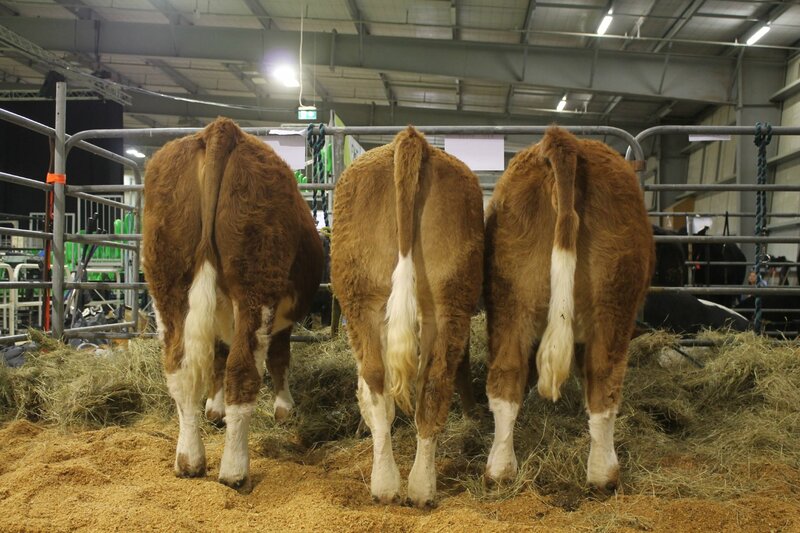 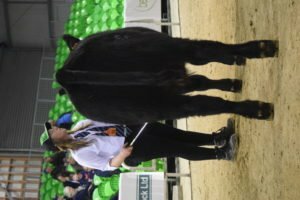 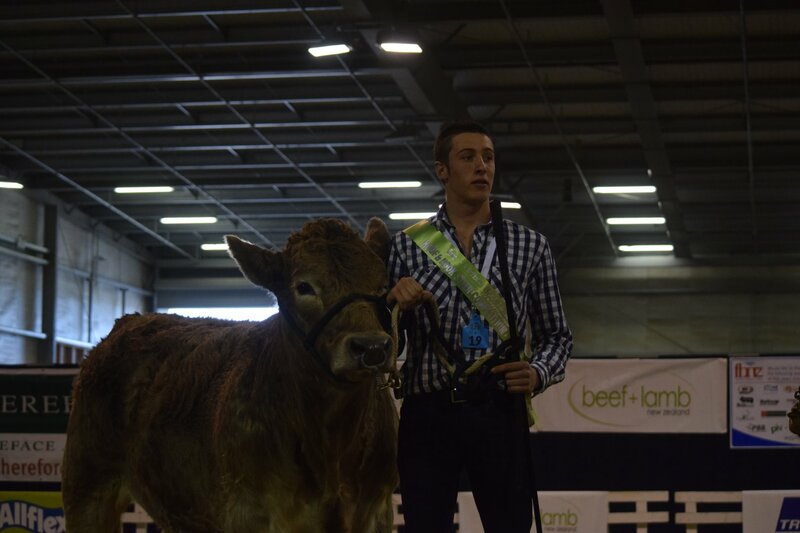 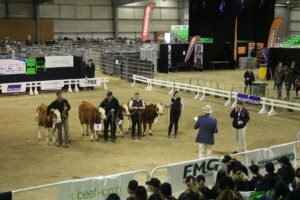 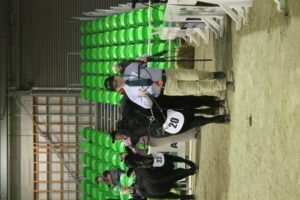 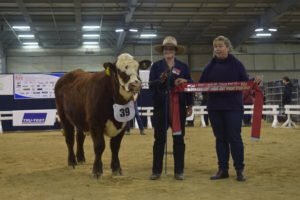 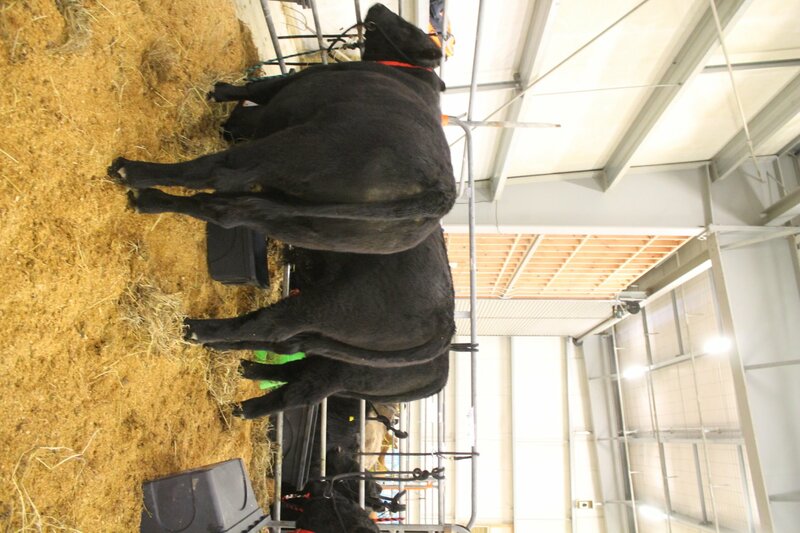 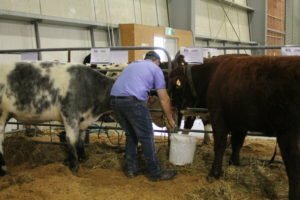 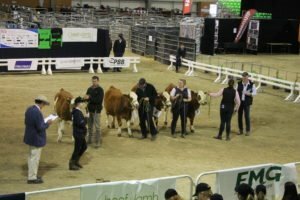 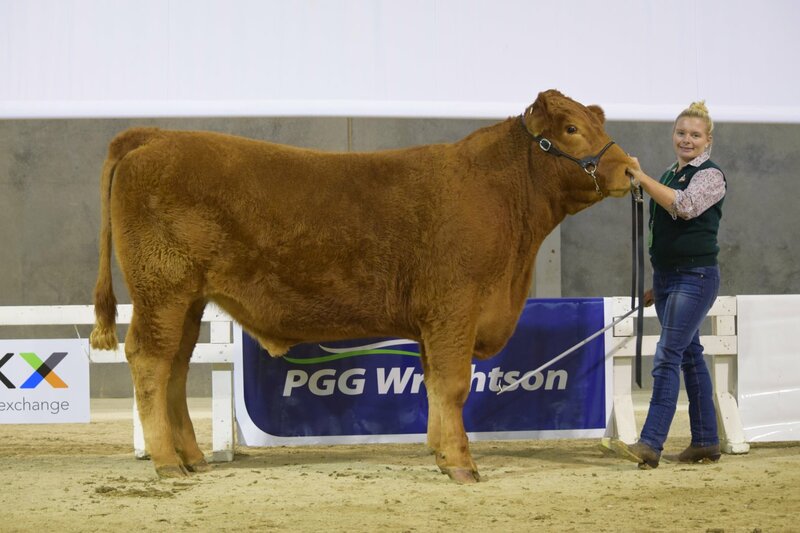 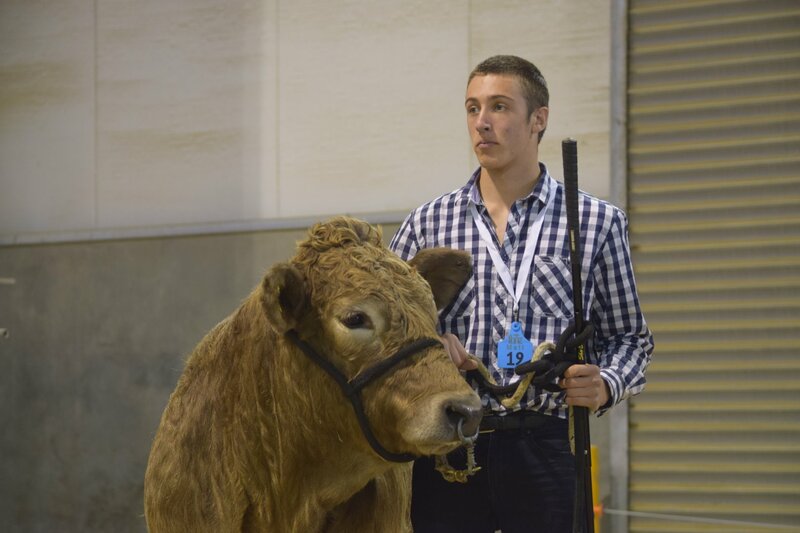 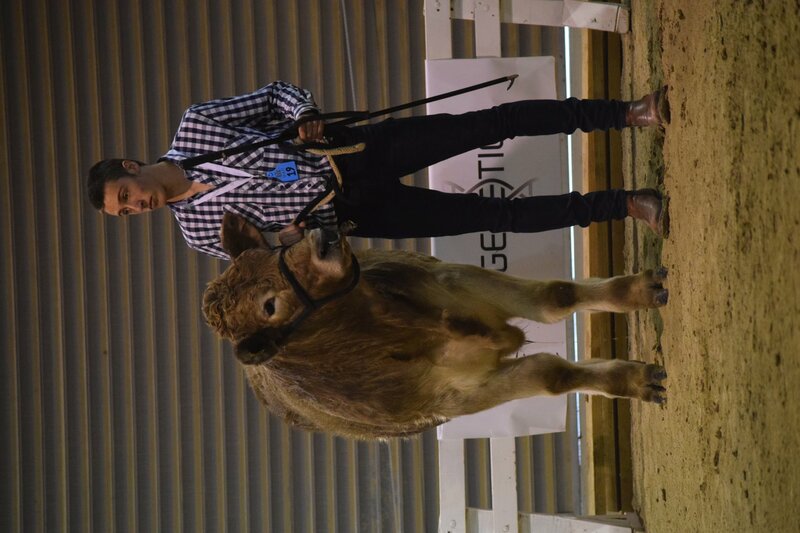 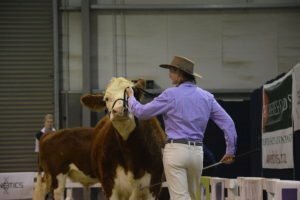 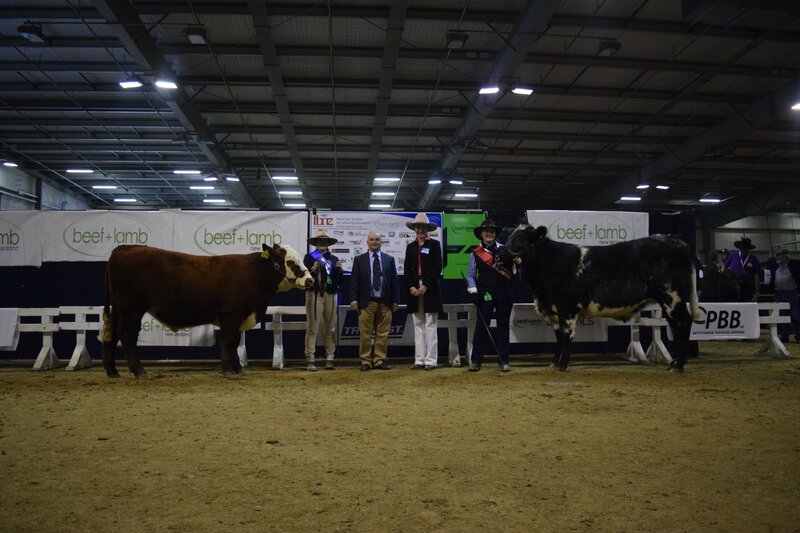 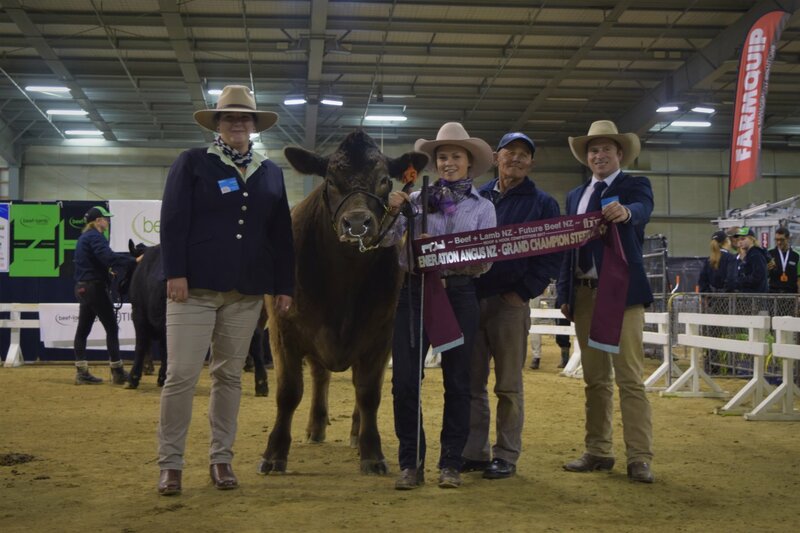 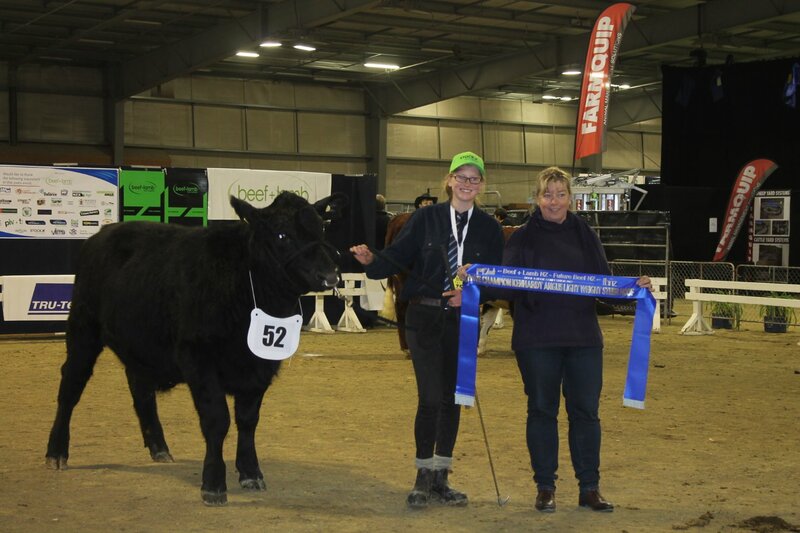 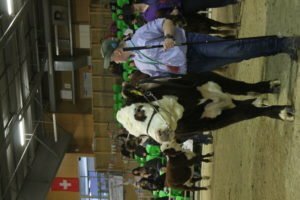 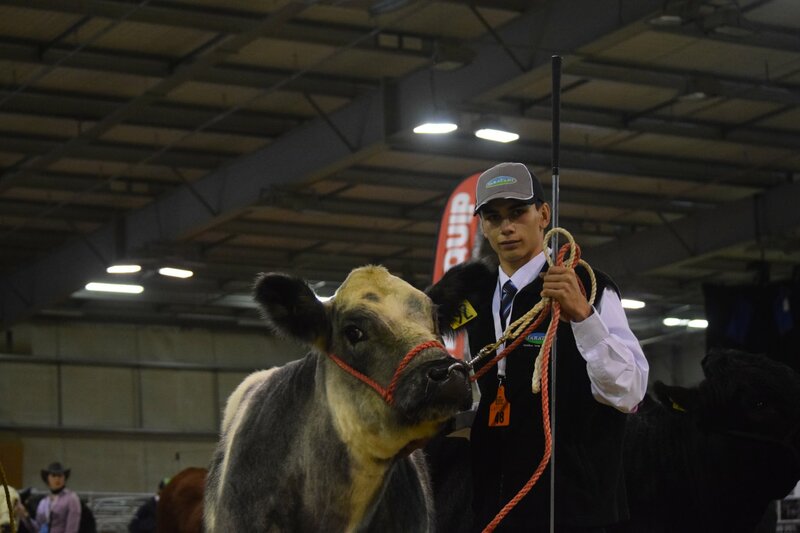 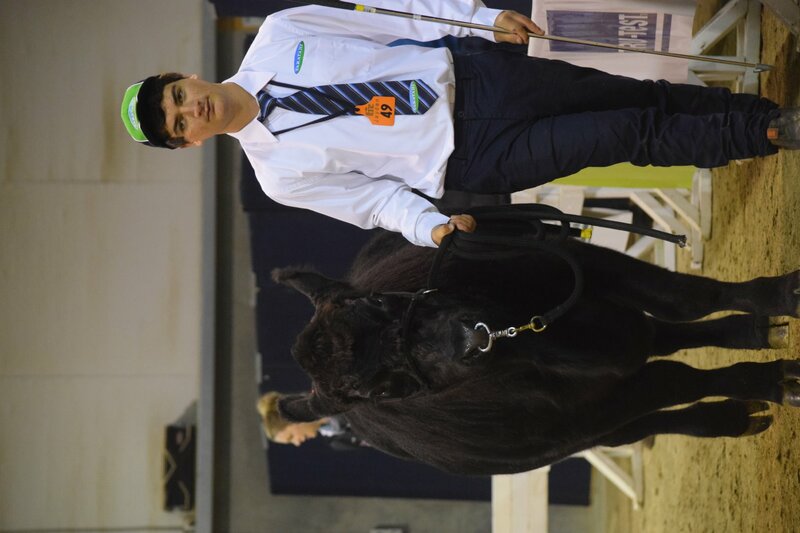 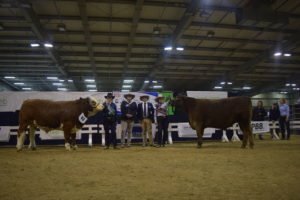 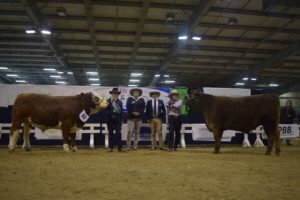 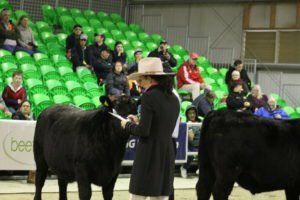 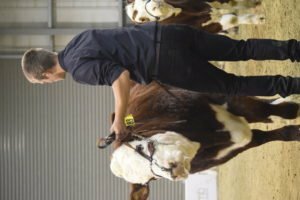 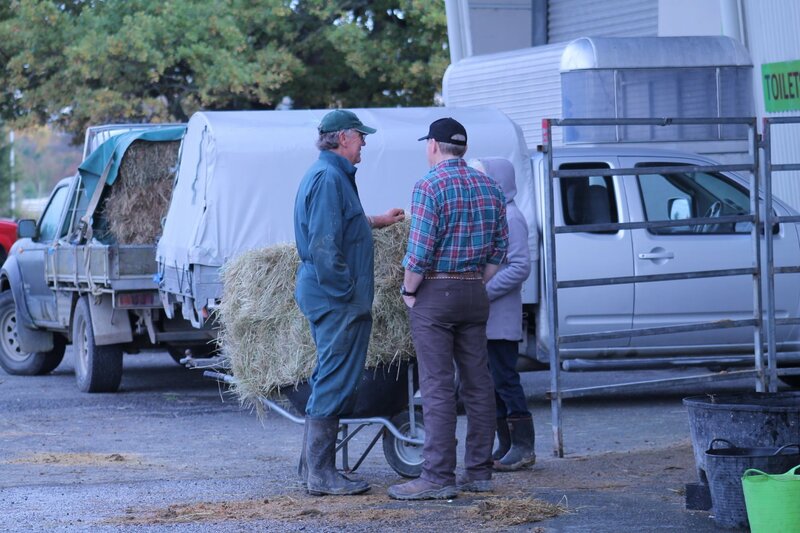 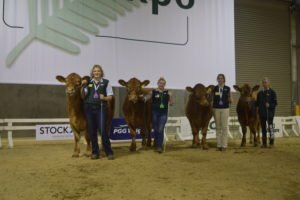 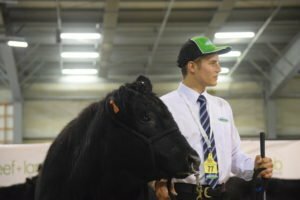 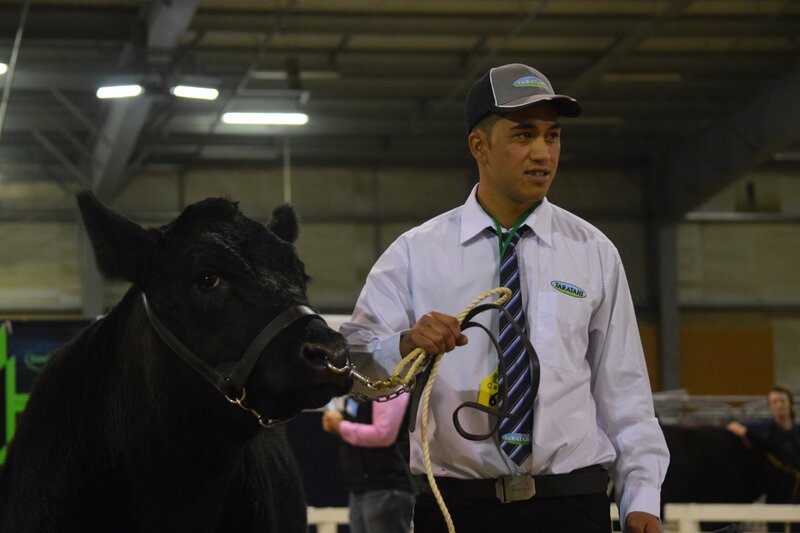 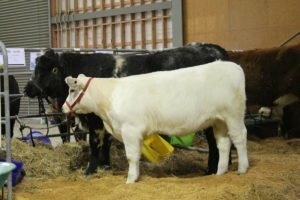 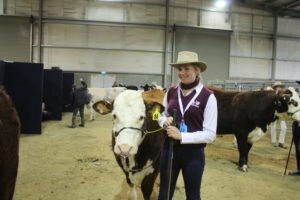 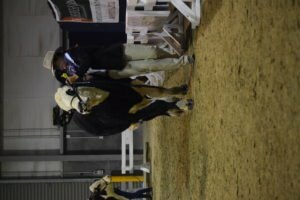 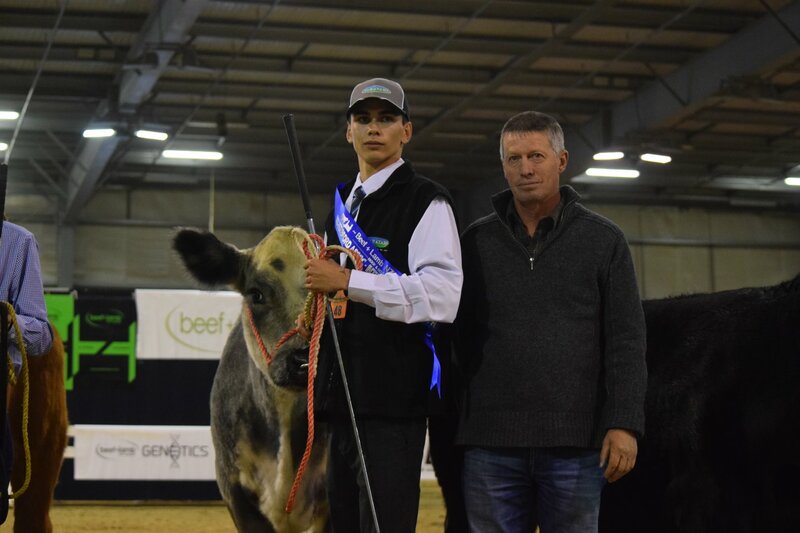 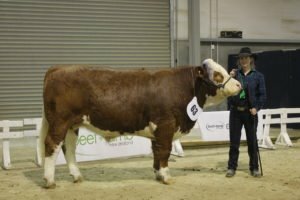 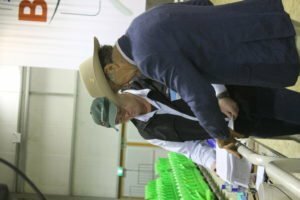 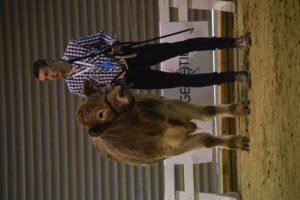 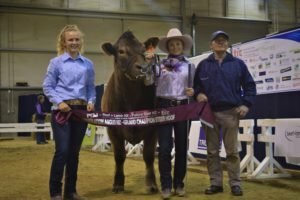 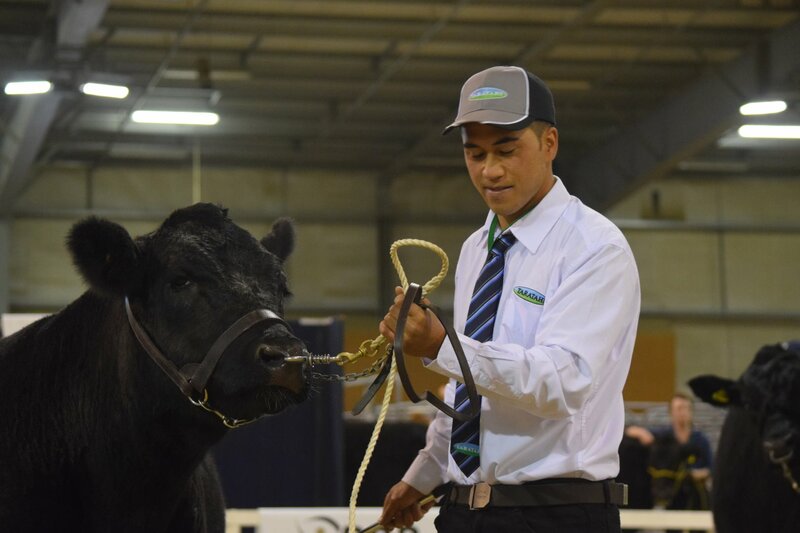 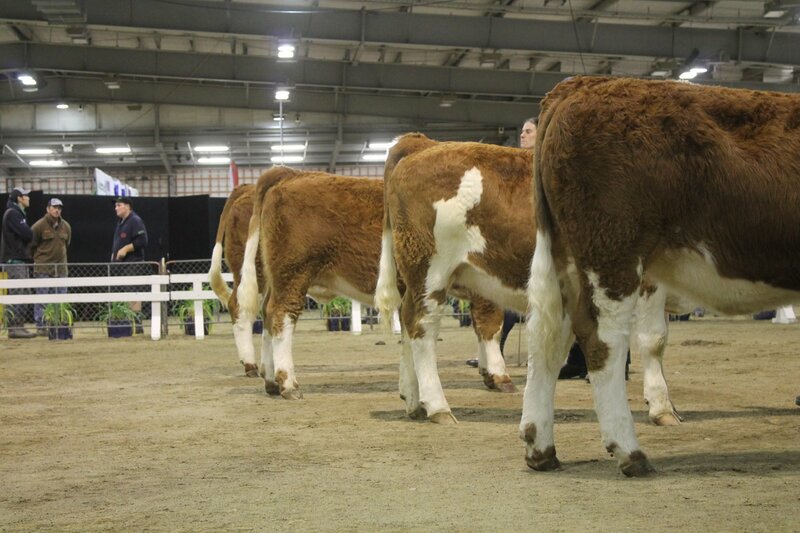 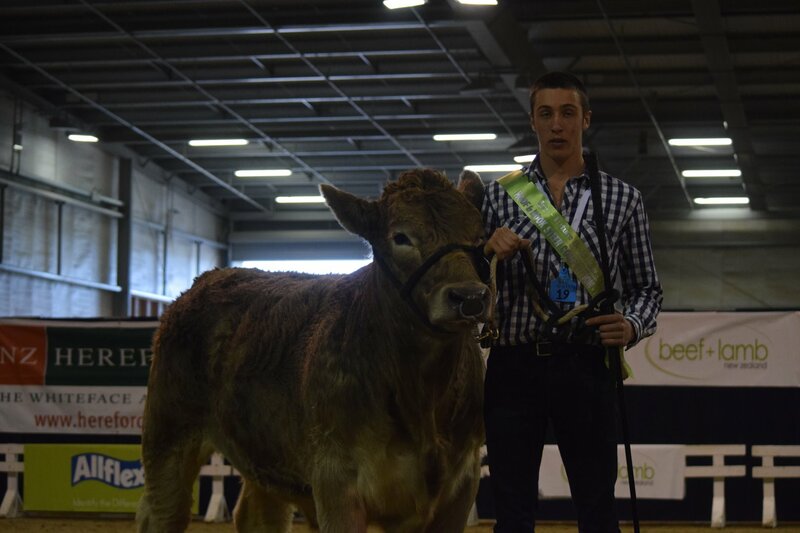 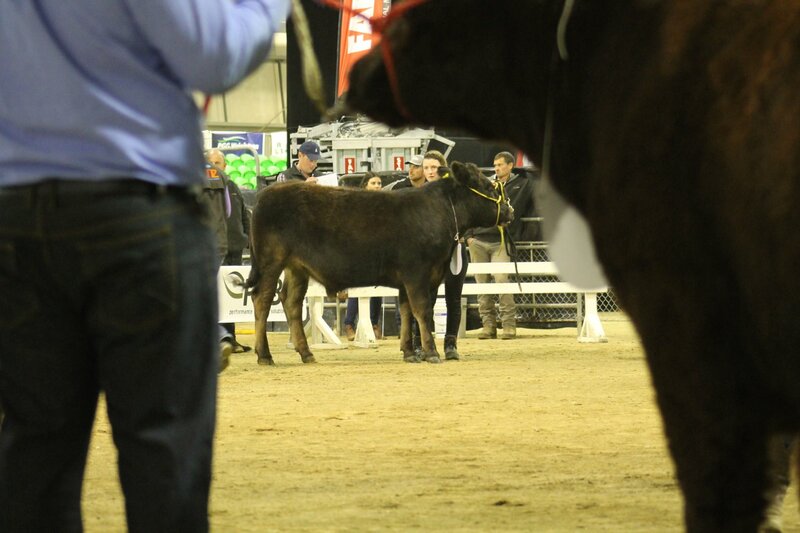 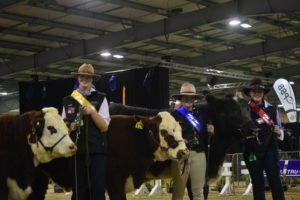 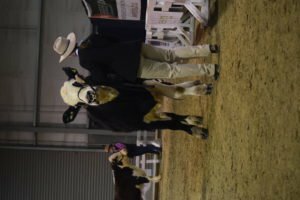 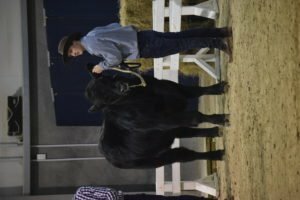 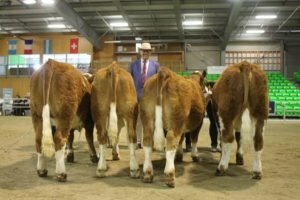 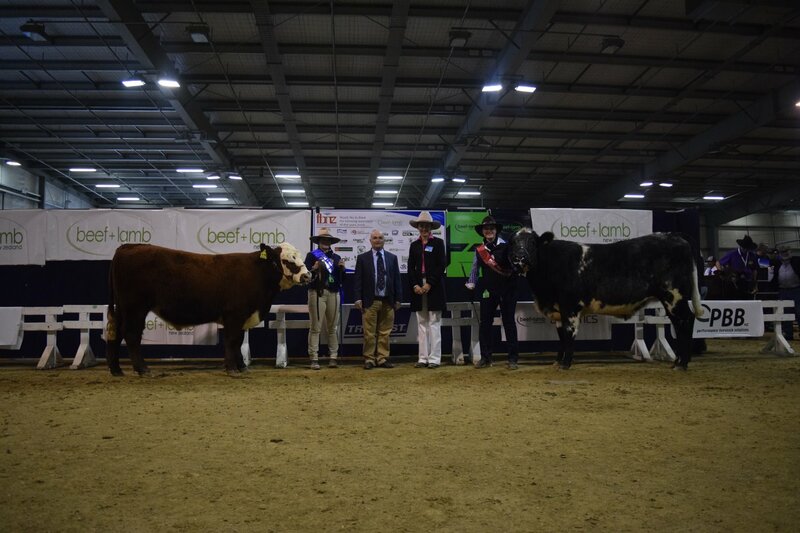 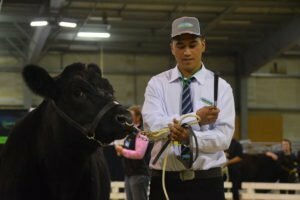 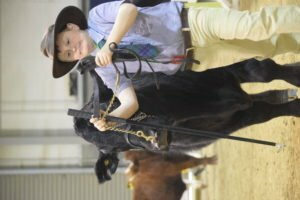 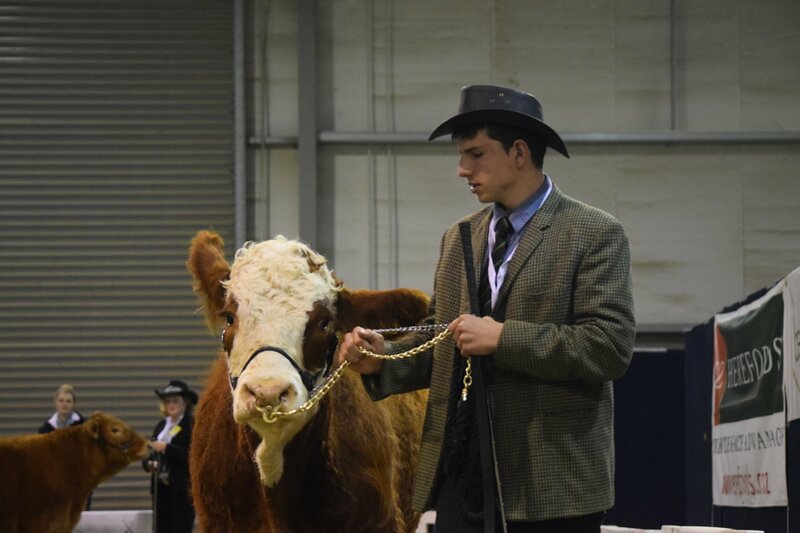 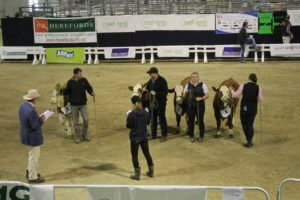 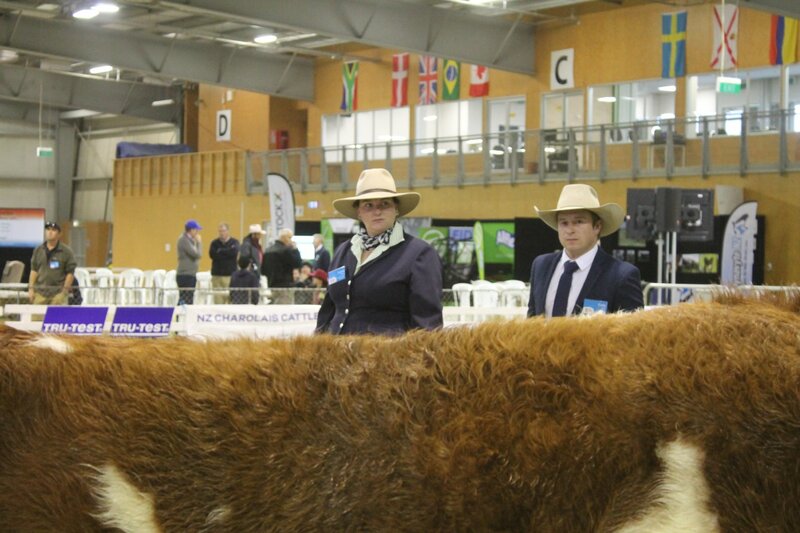 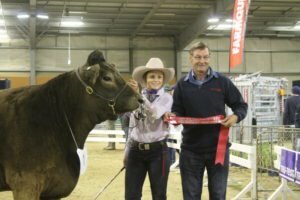 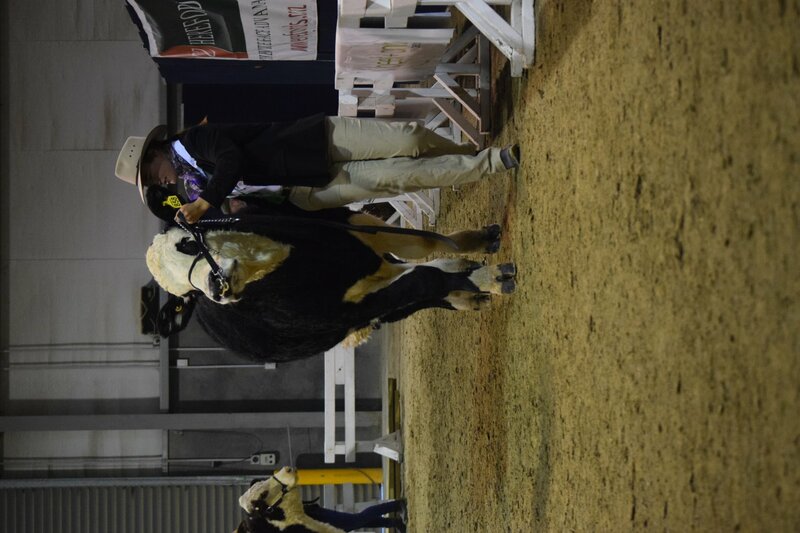 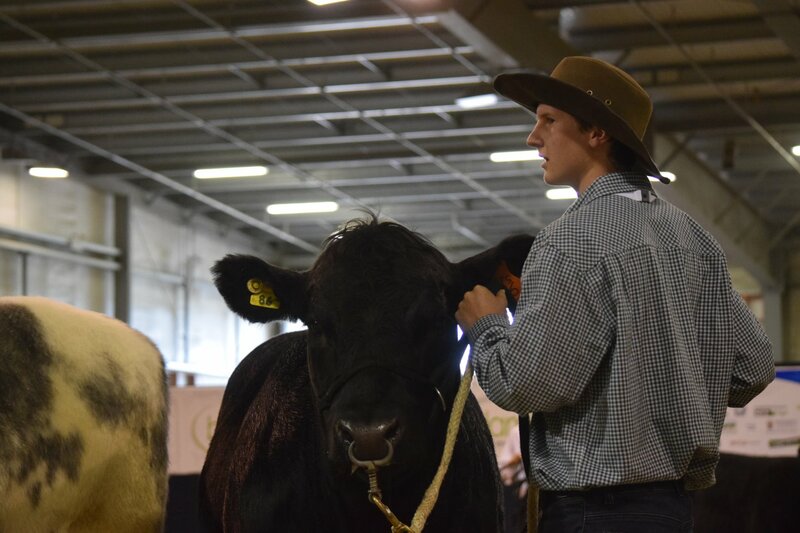 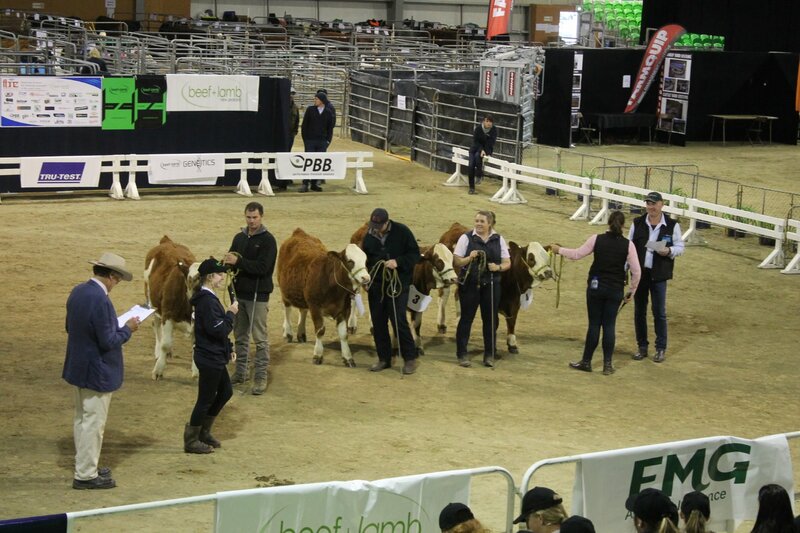 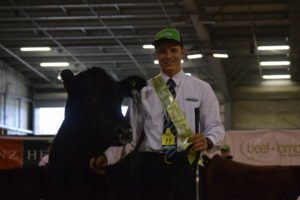 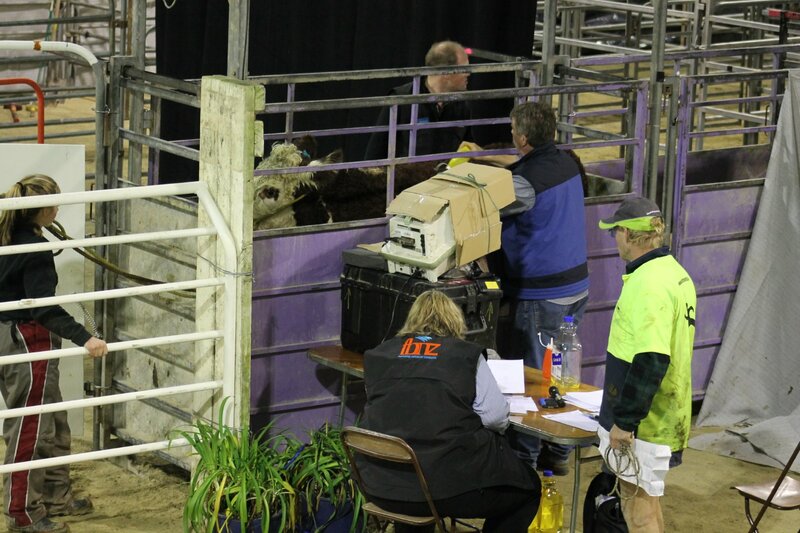 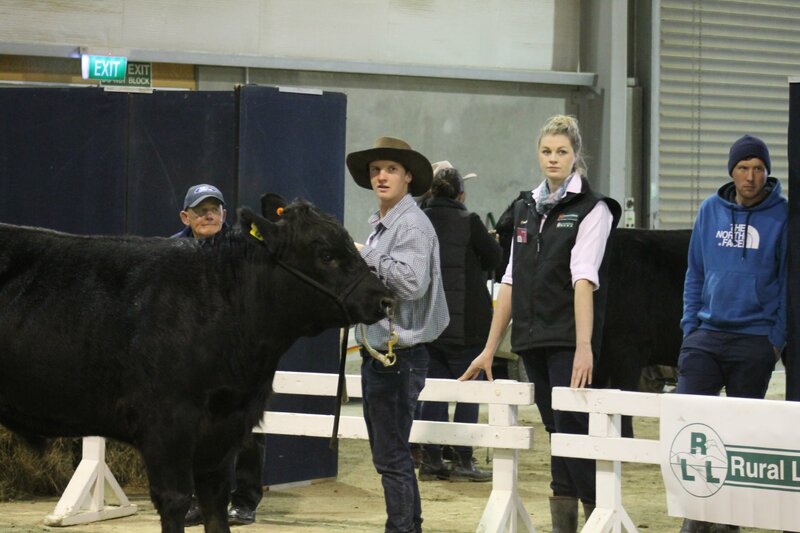 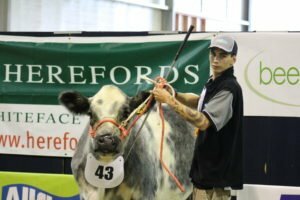 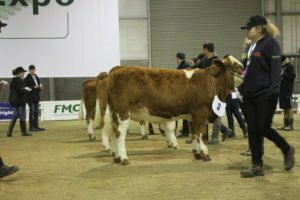 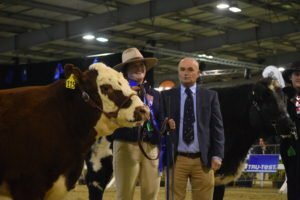 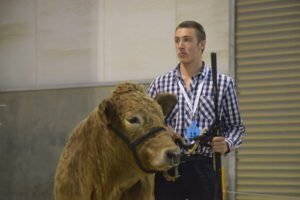 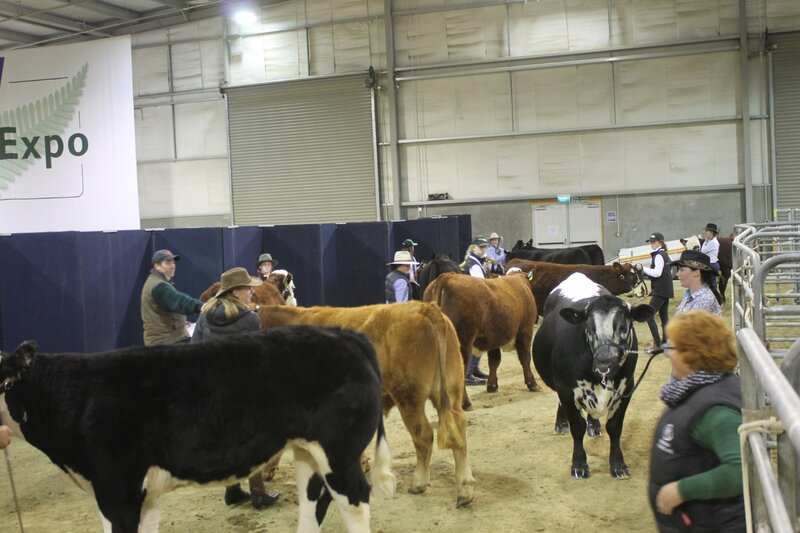 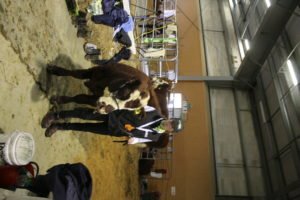 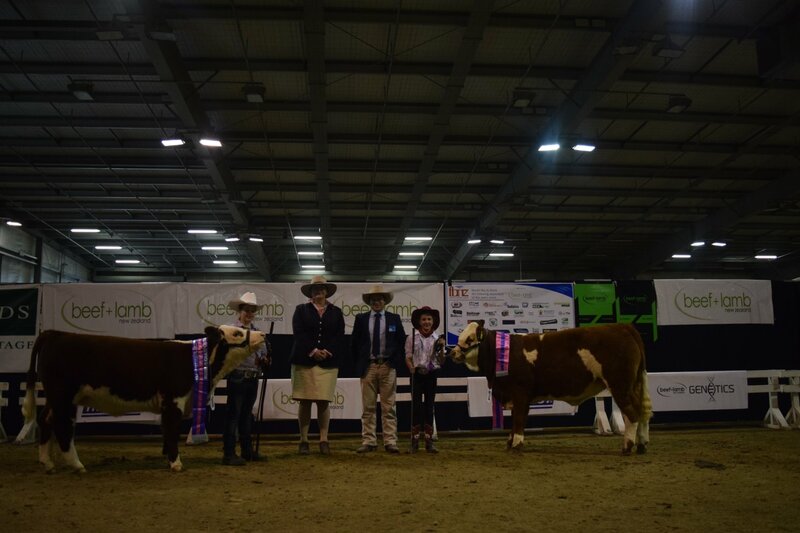 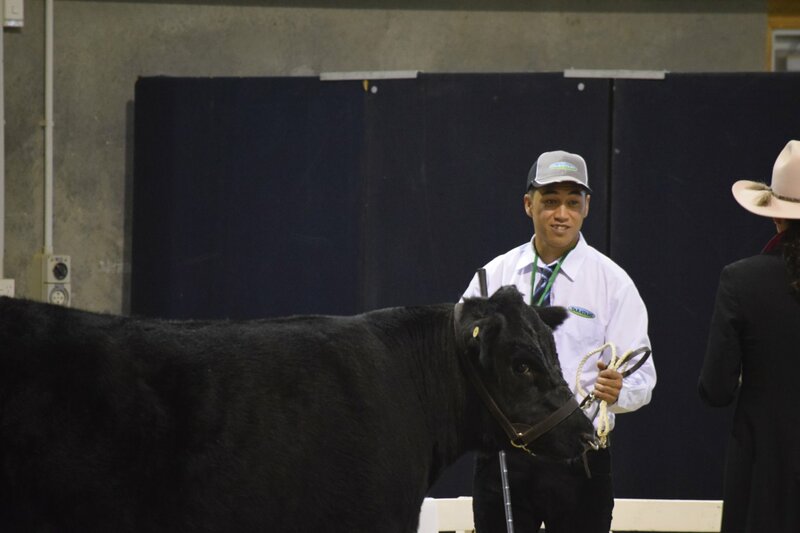 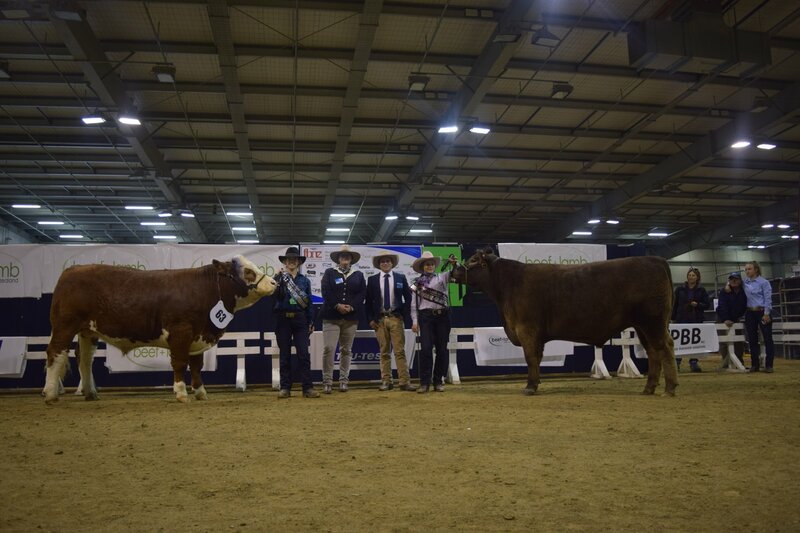 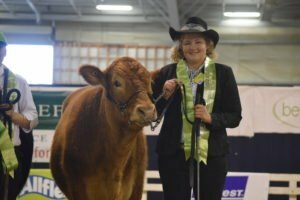 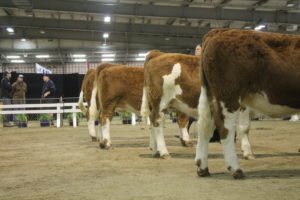 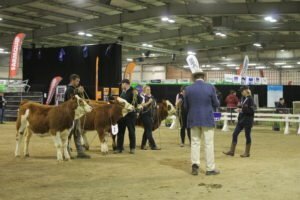 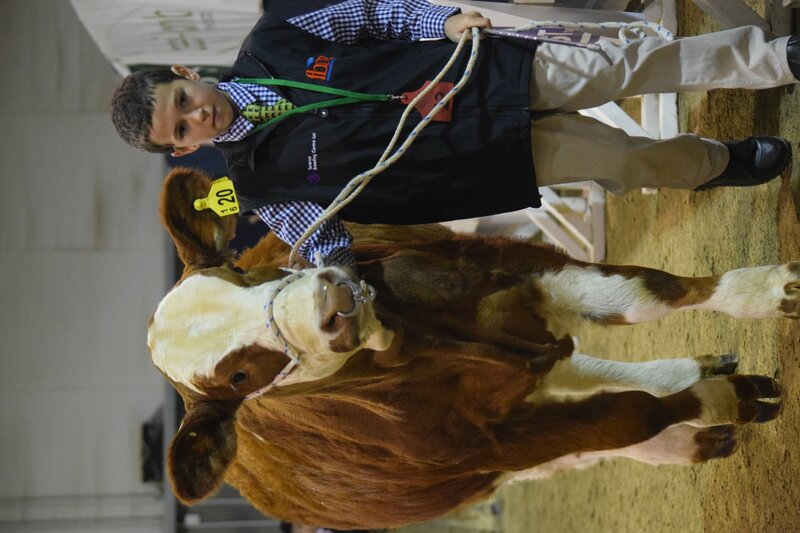 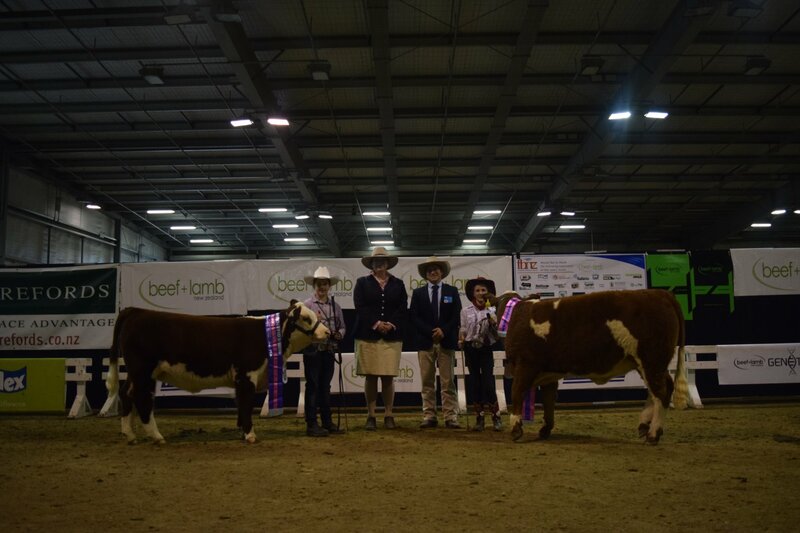 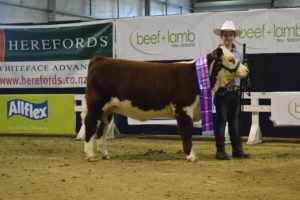 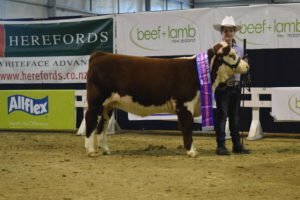 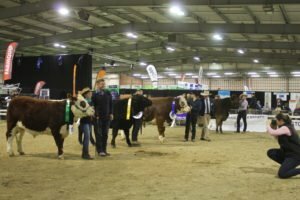 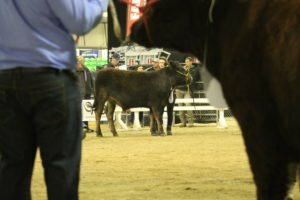 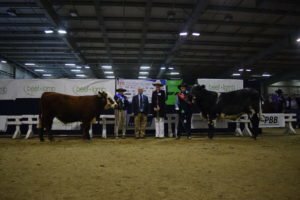 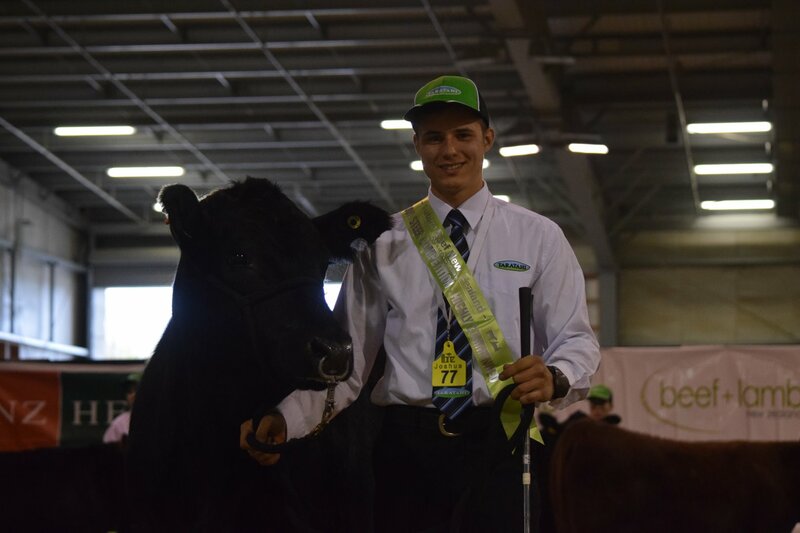 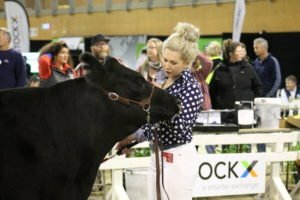 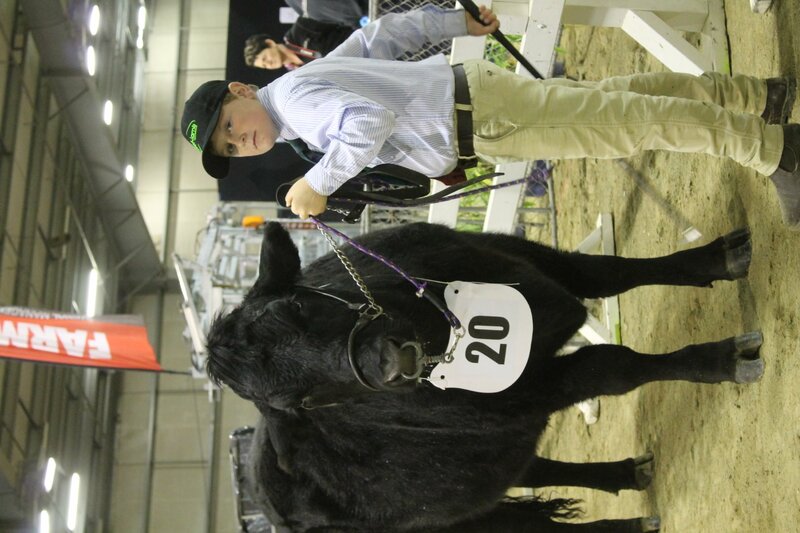 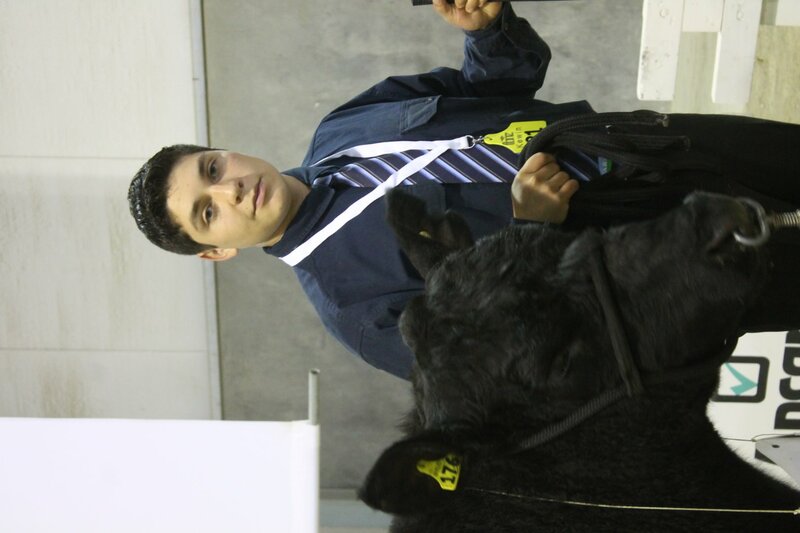 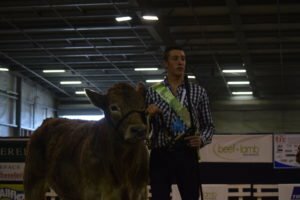 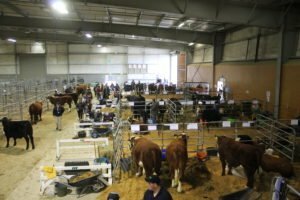 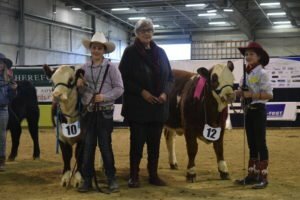 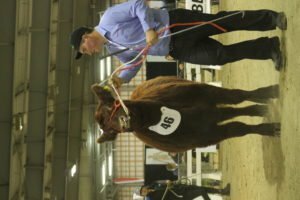 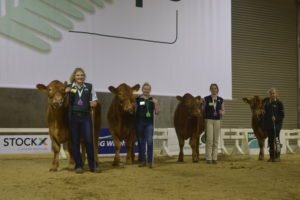 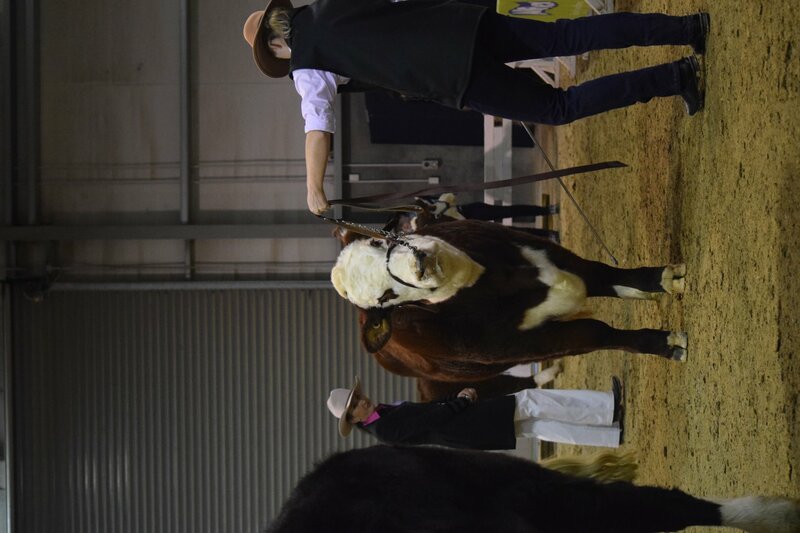 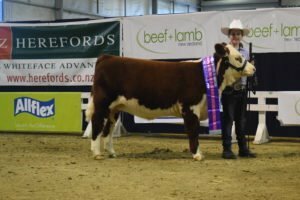 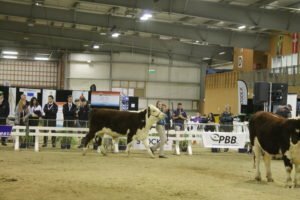 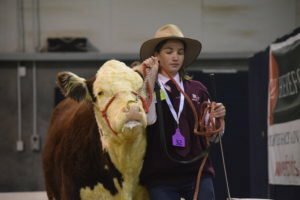 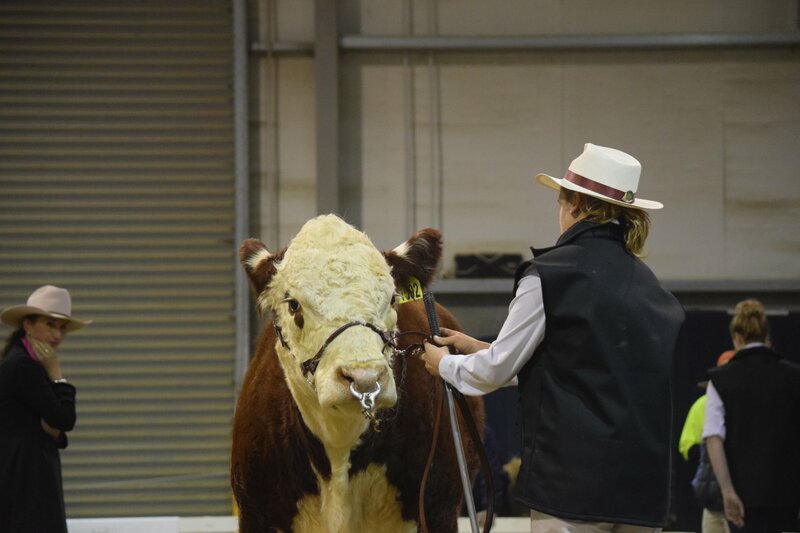 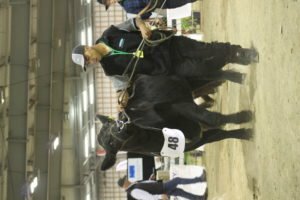 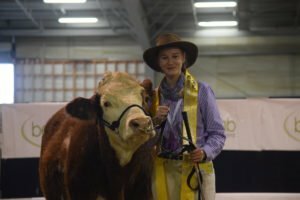 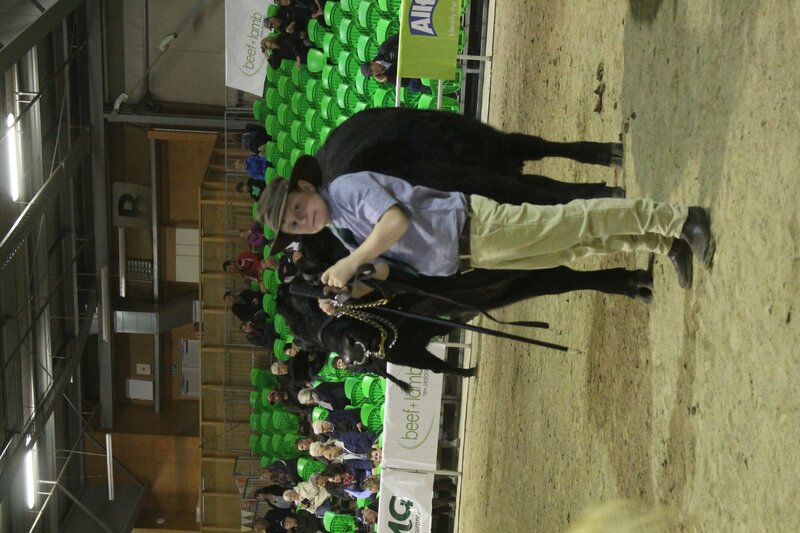 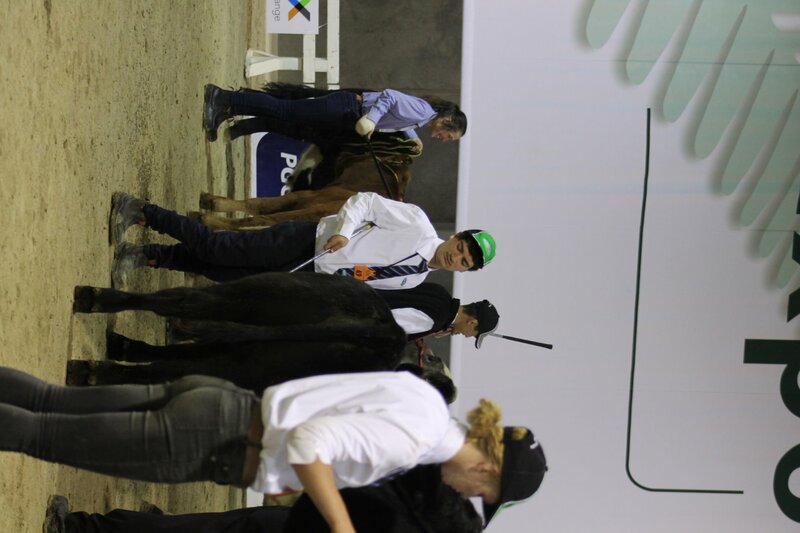 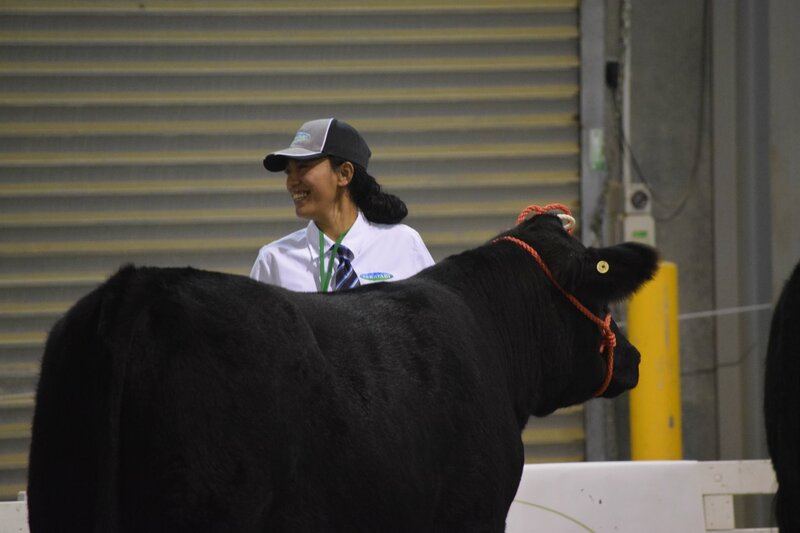 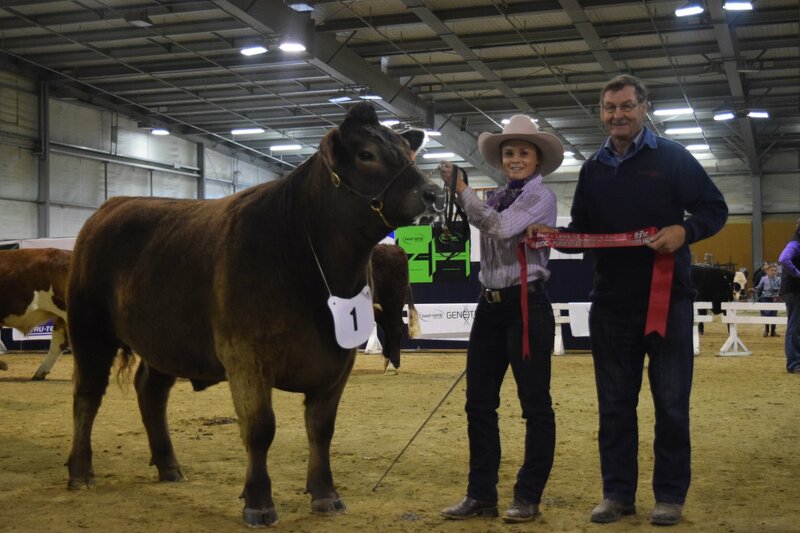 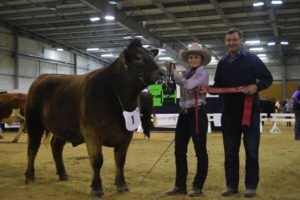 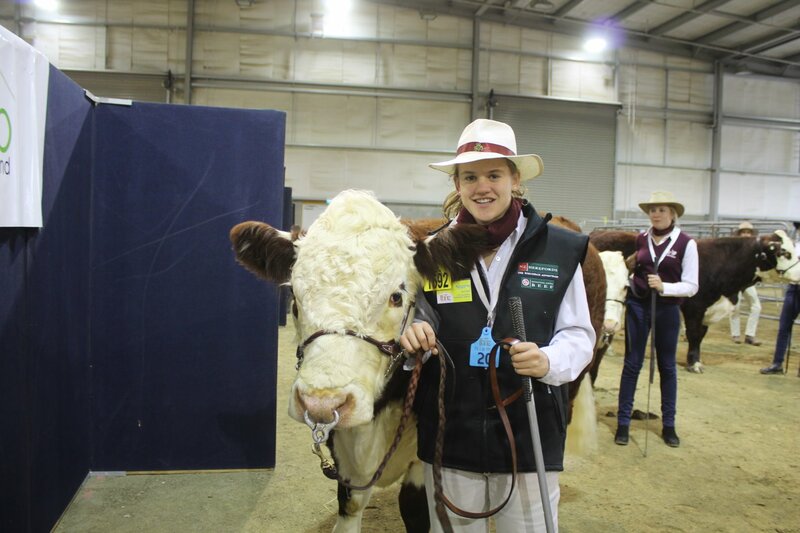 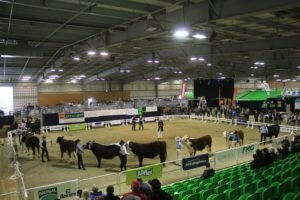 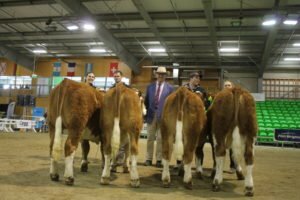 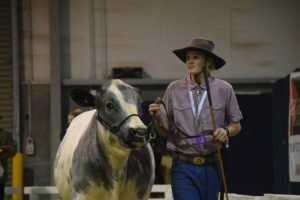 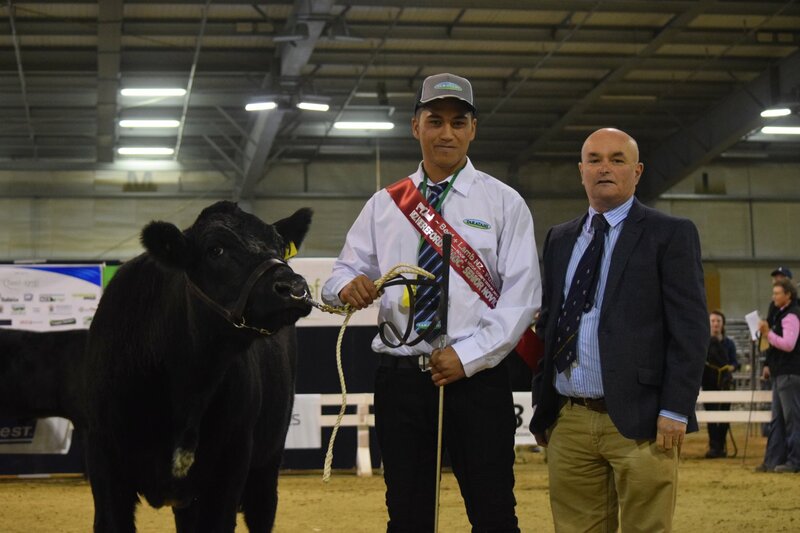 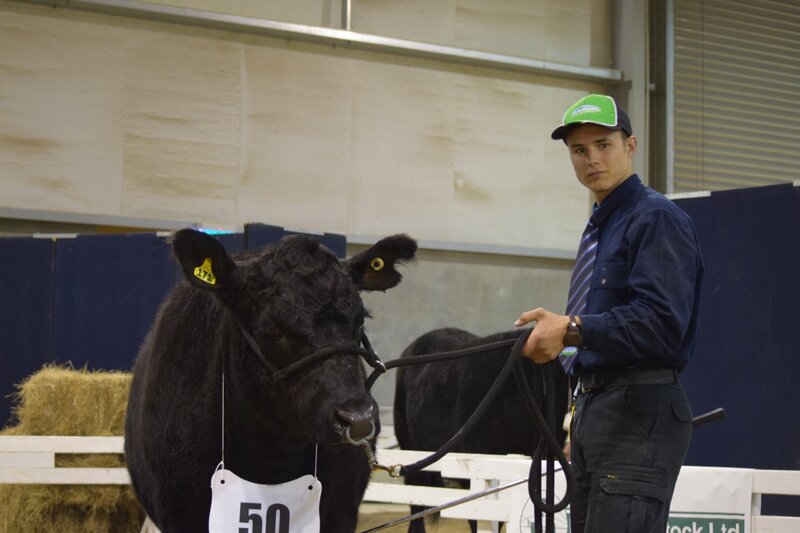 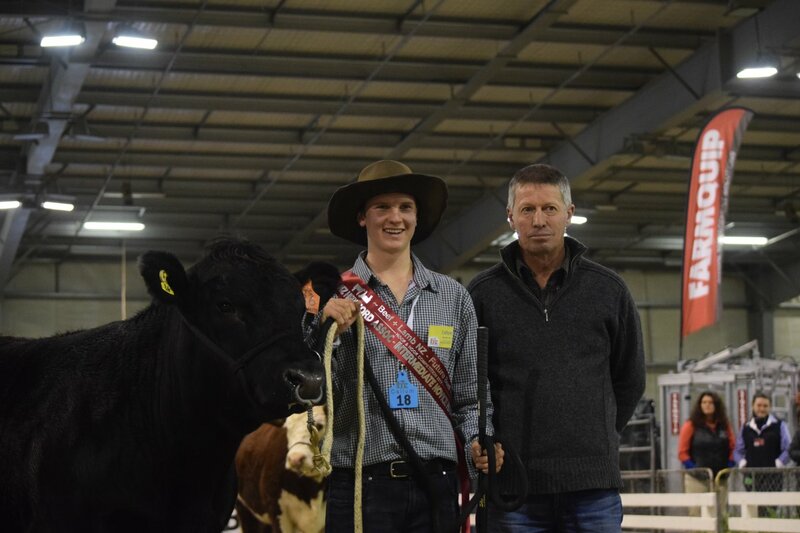 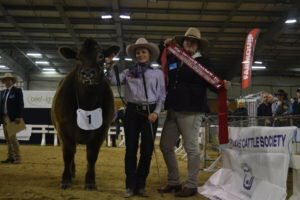 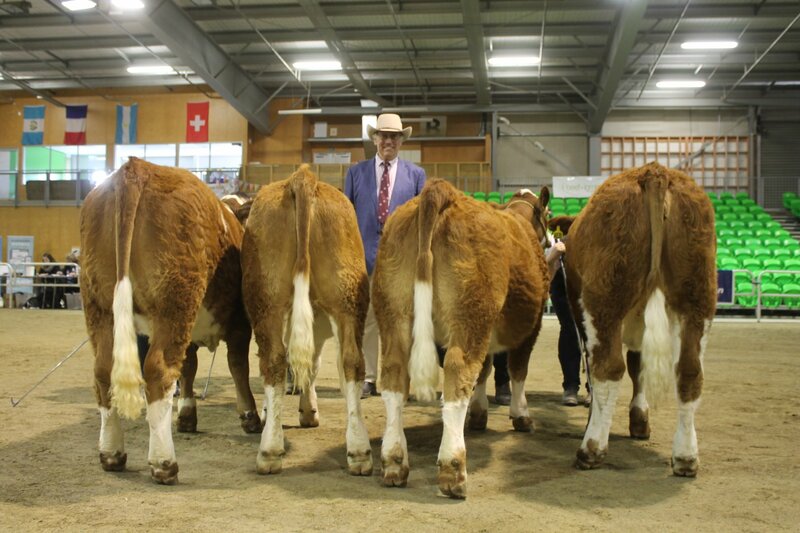 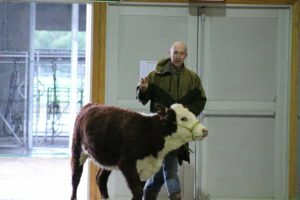 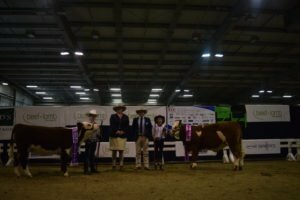 I grew up on my grandparents farm and was actively involved in their stud beef operation and competed in herdsperson competitions successfully in both New Zealand and Australia. 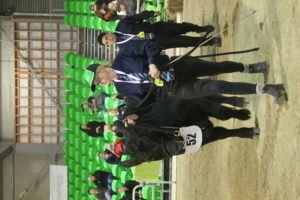 My husband and I have a small lifestyle block in Palmerston North where we live with our 7 month old daughter, two dogs, aged cat and aged horse. 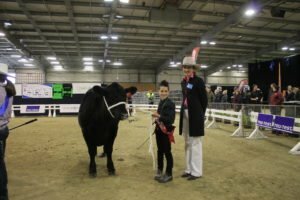 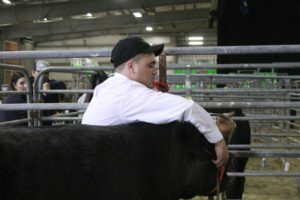 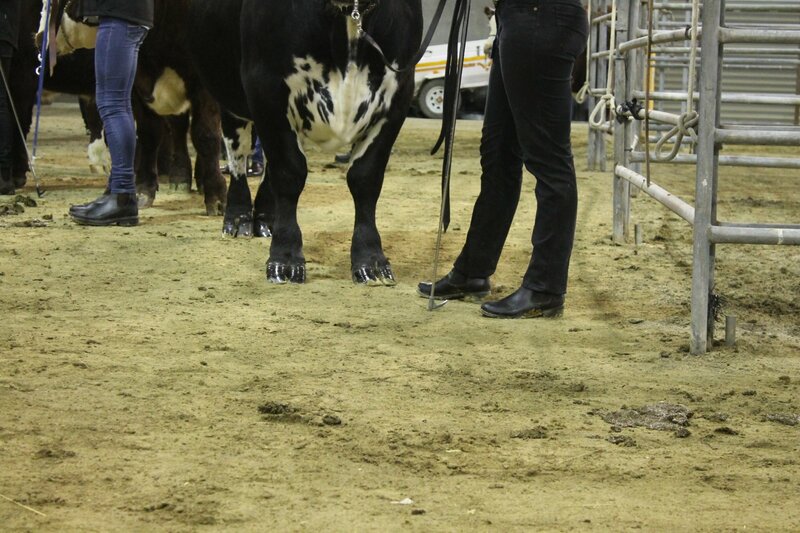 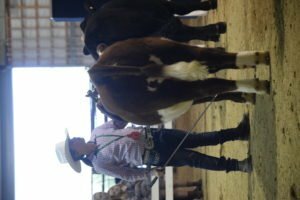 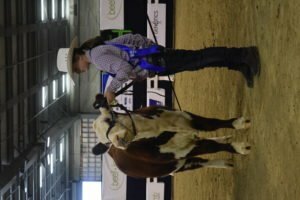 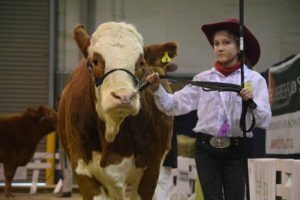 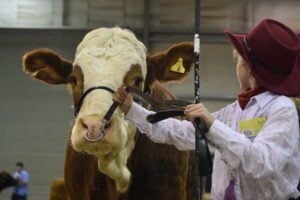 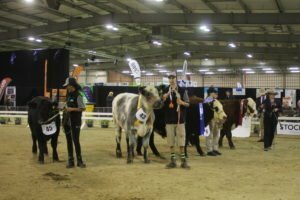 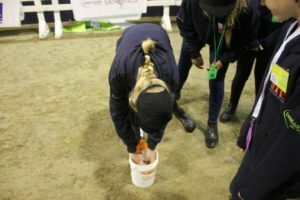 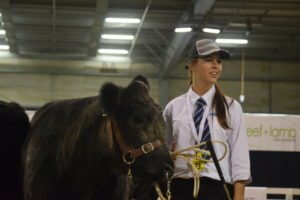 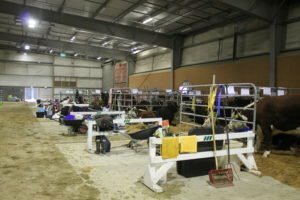 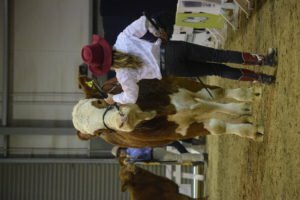 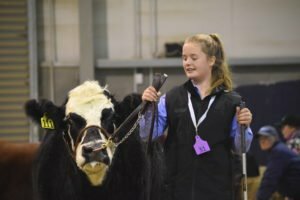 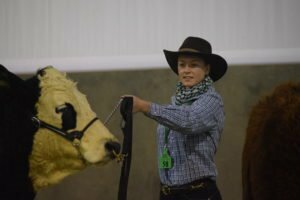 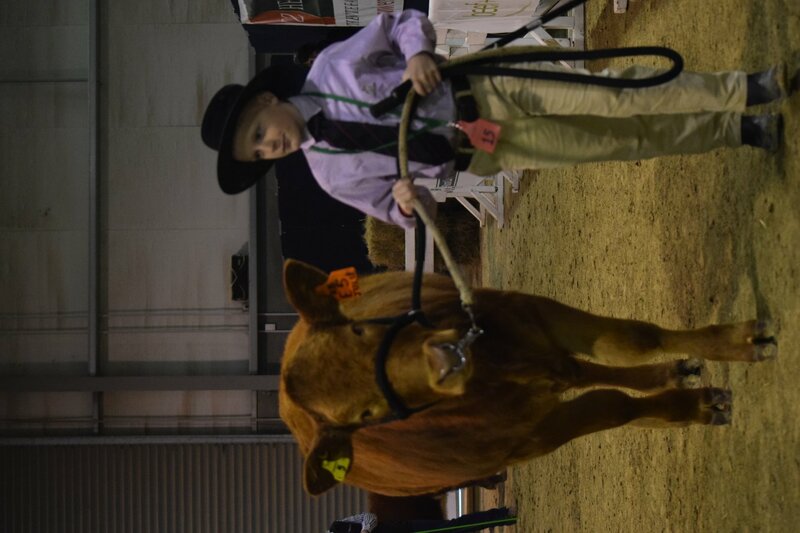 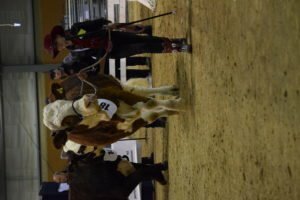 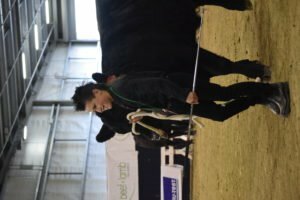 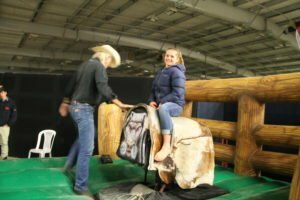 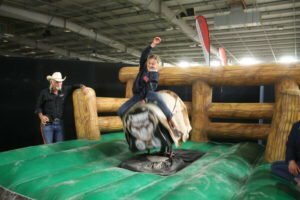 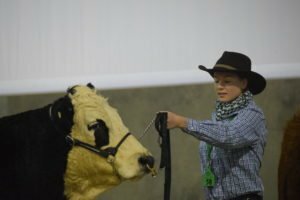 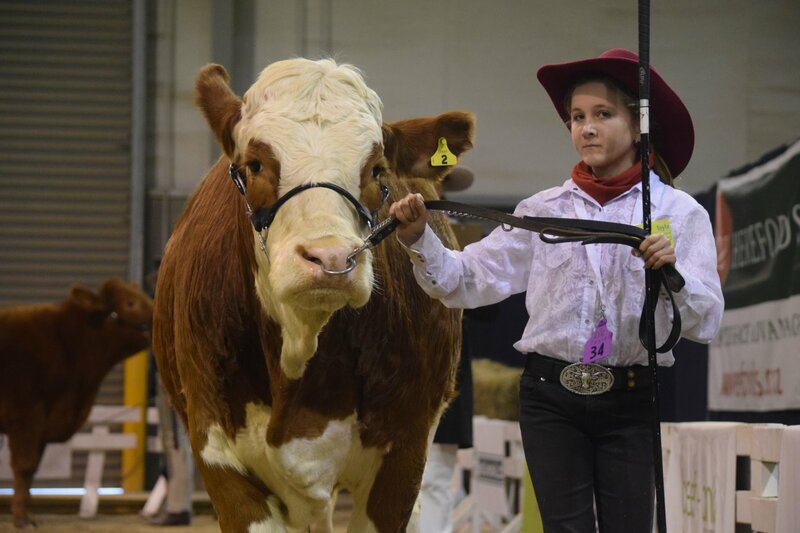 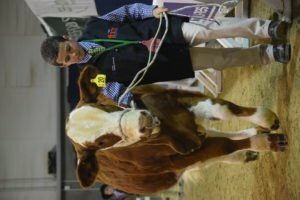 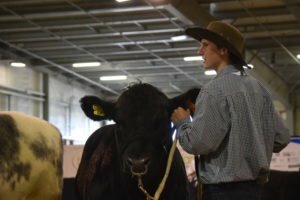 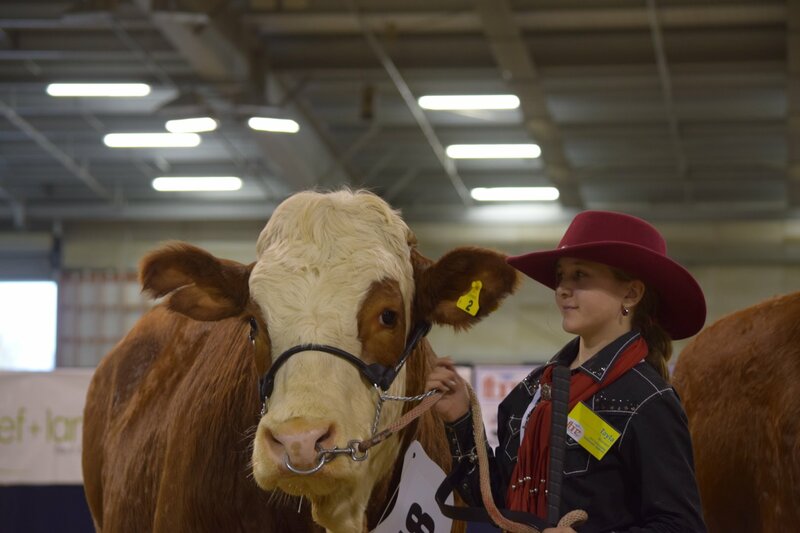 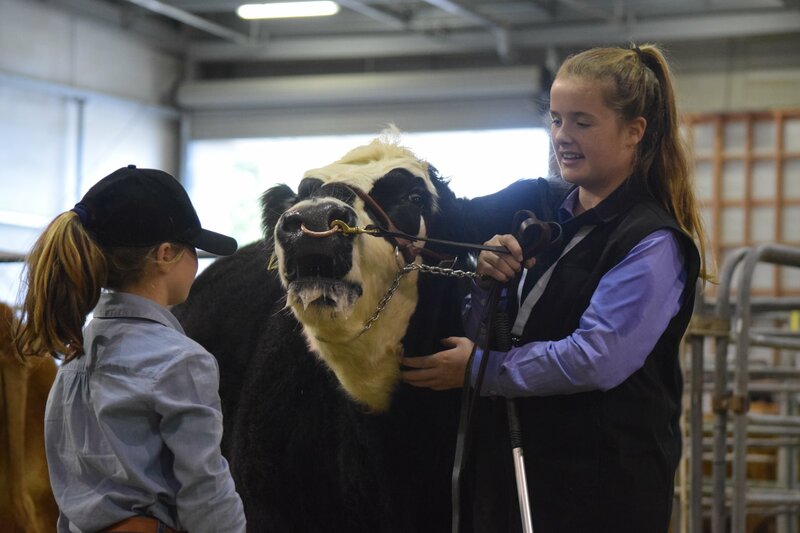 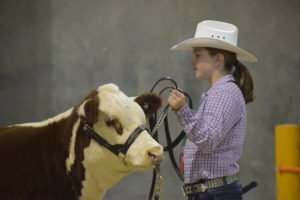 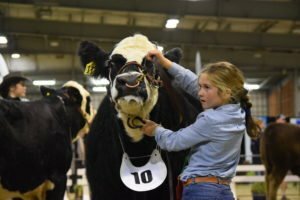 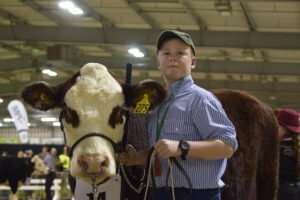 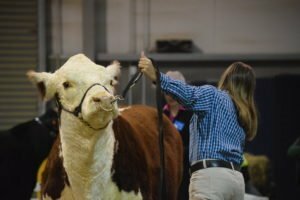 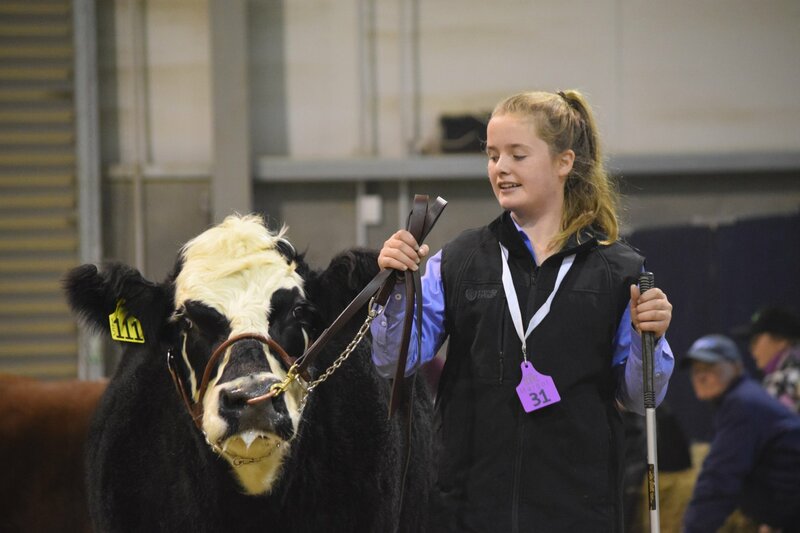 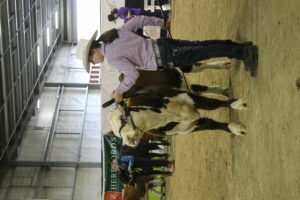 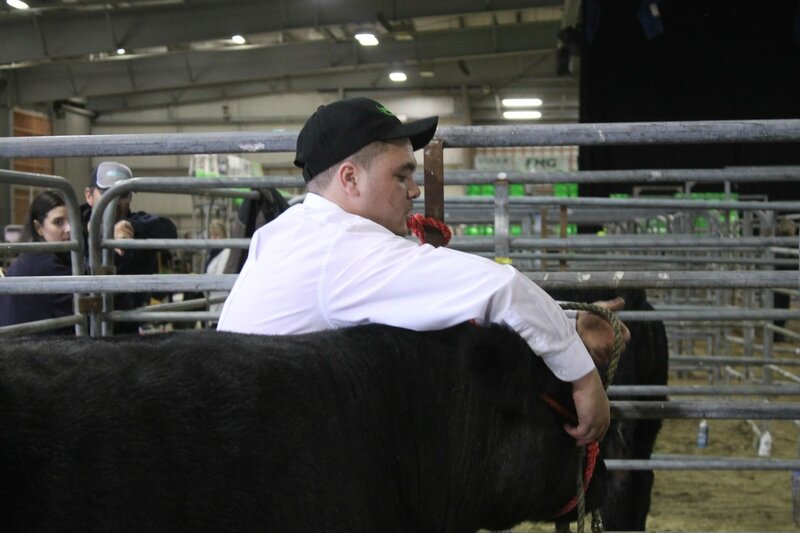 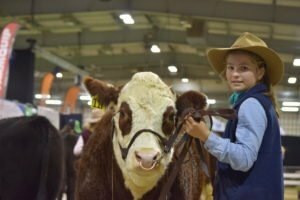 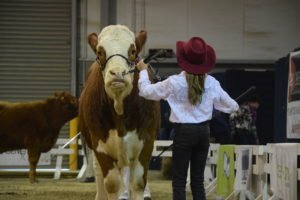 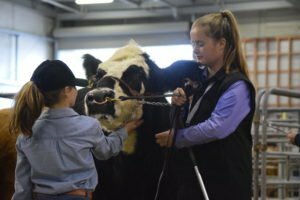 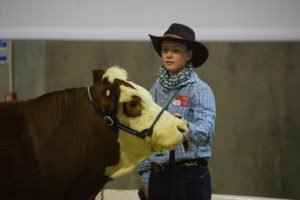 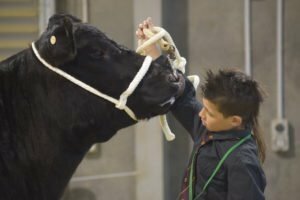 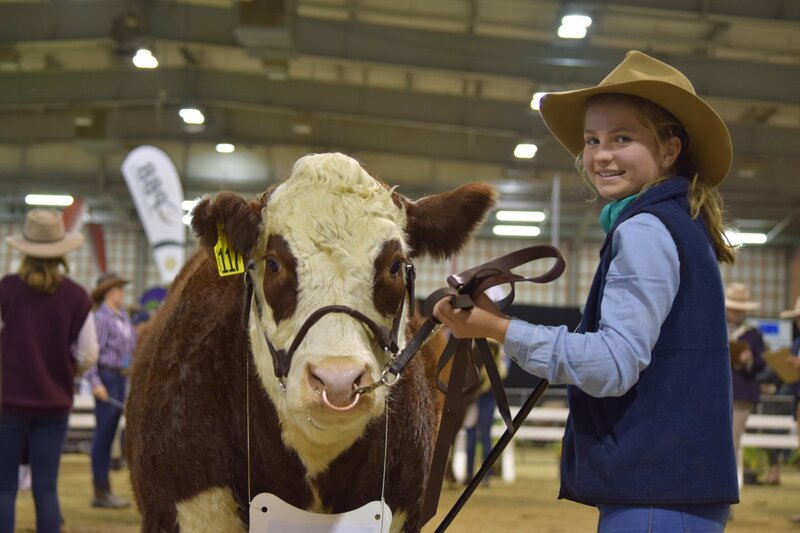 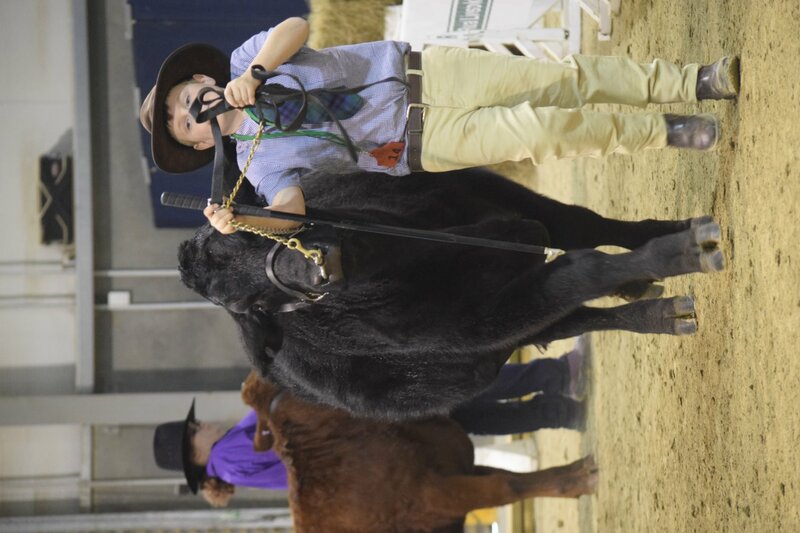 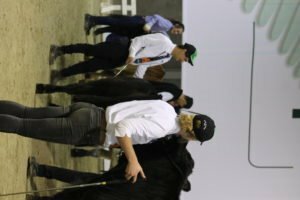 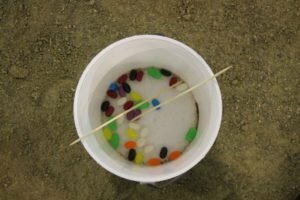 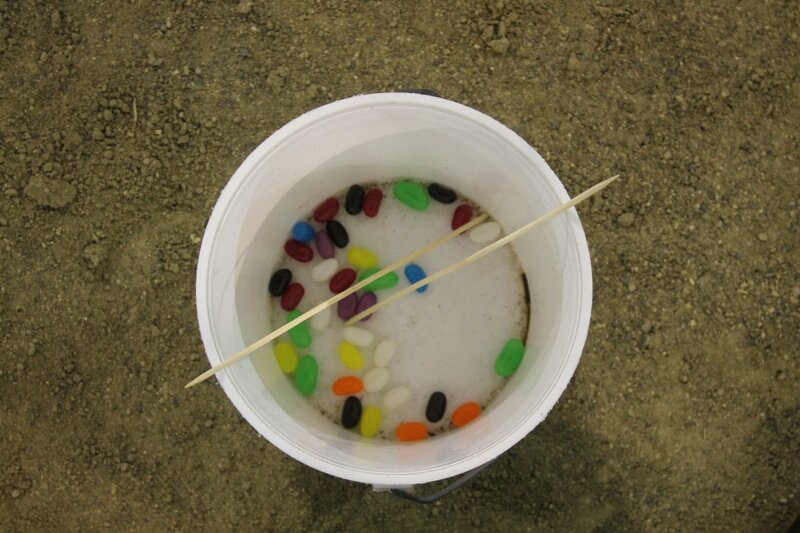 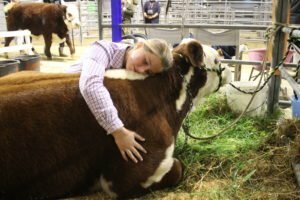 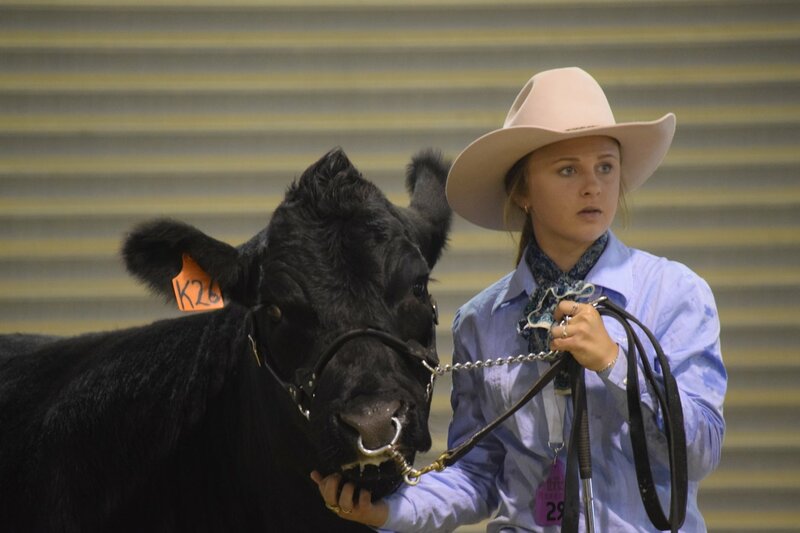 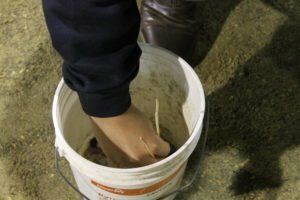 I love helping kids along in their ag journeys and seeing the skills and friendships cultivated at events like Hoof and hook. 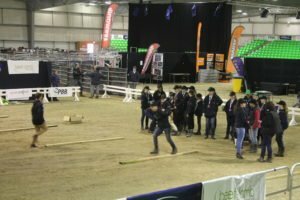 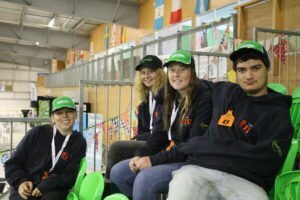 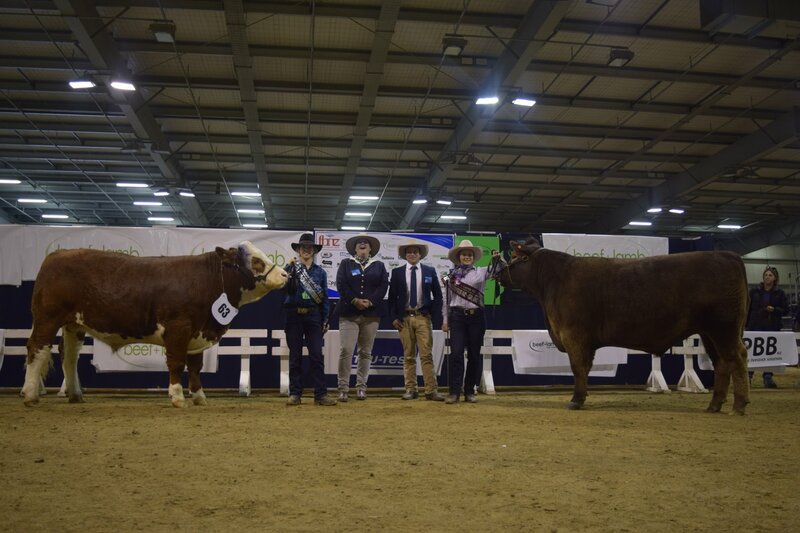 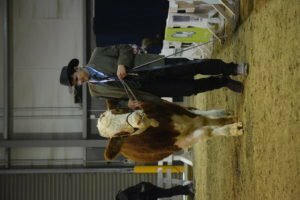 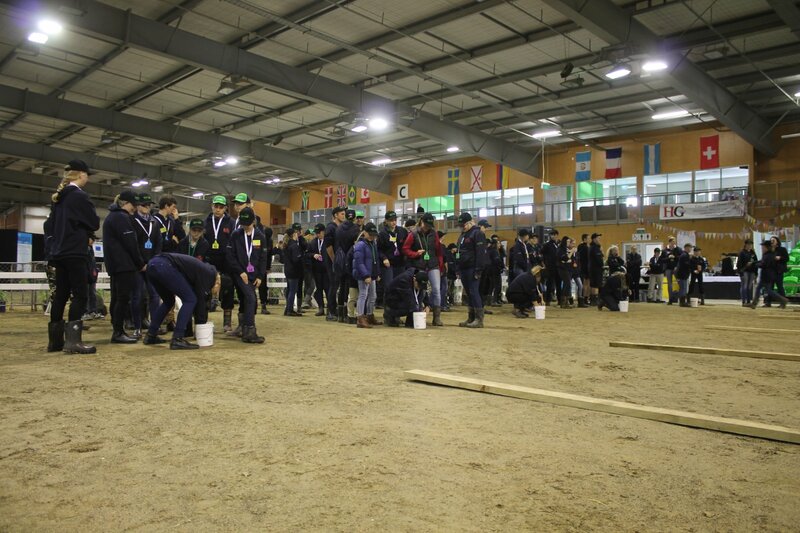 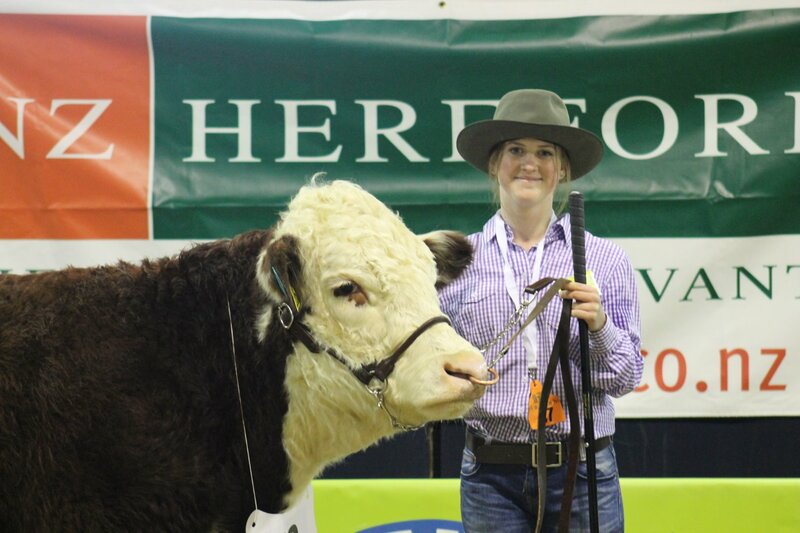 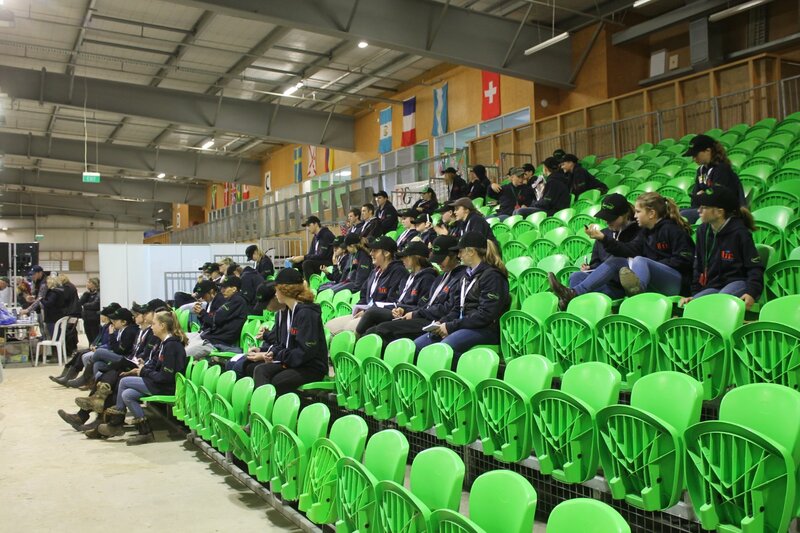 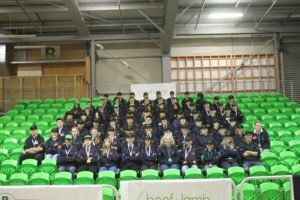 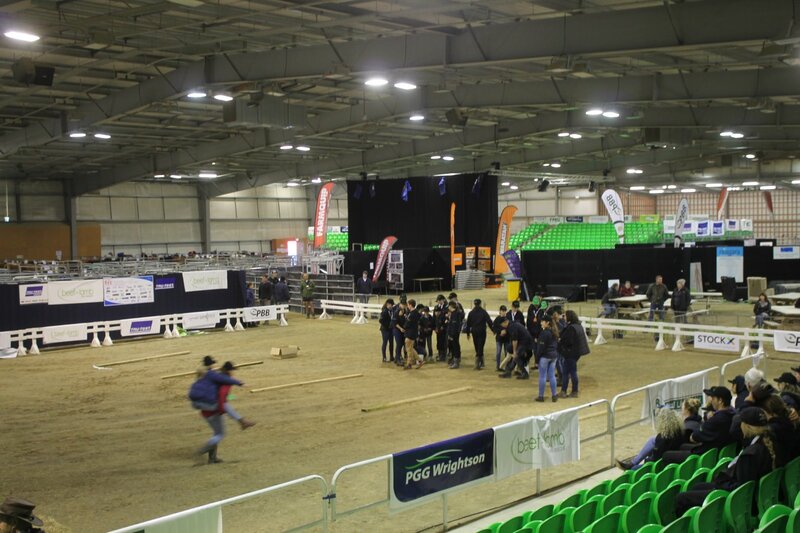 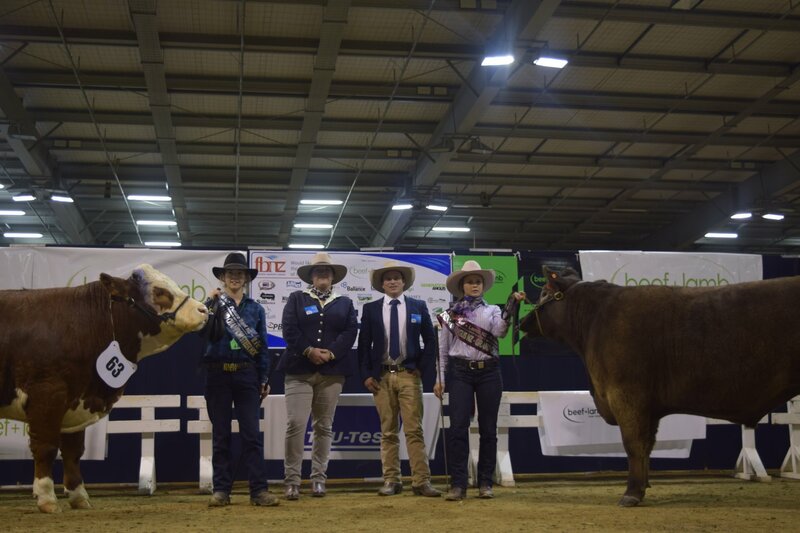 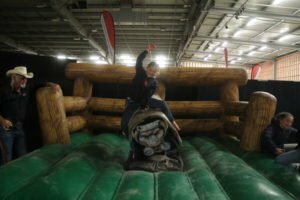 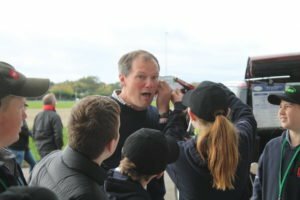 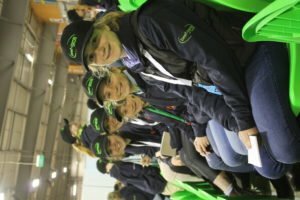 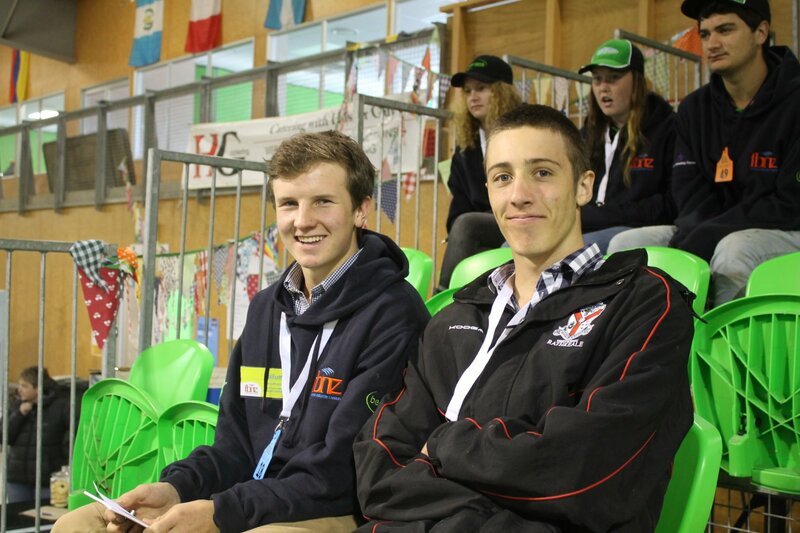 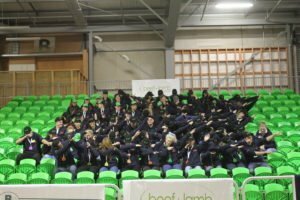 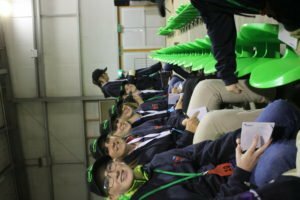 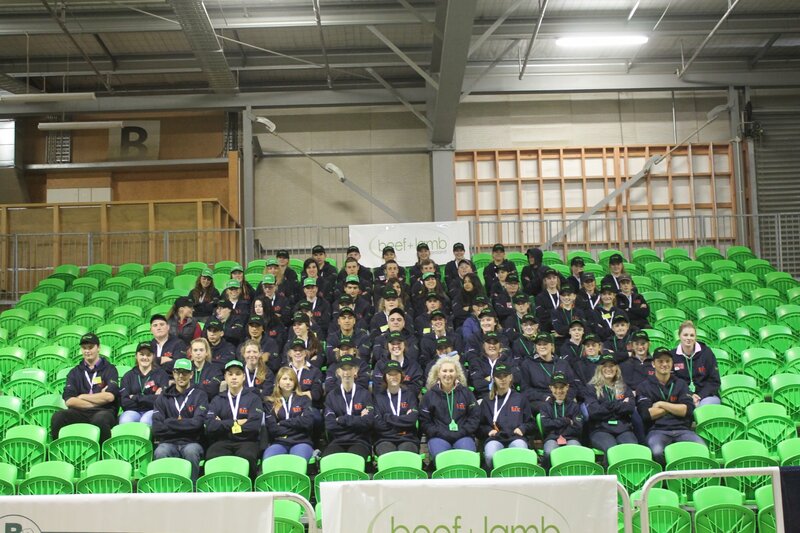 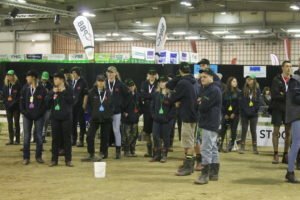 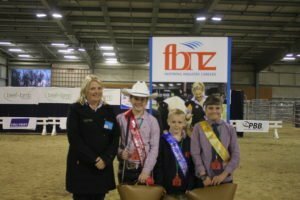 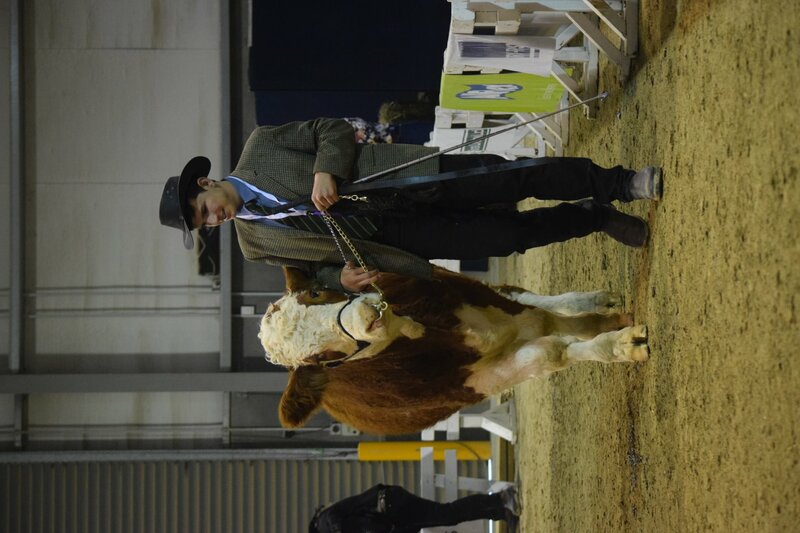 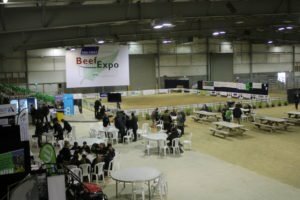 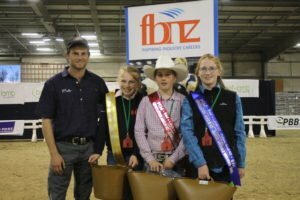 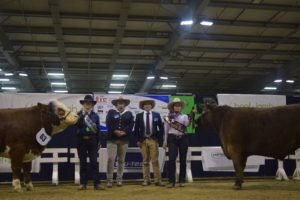 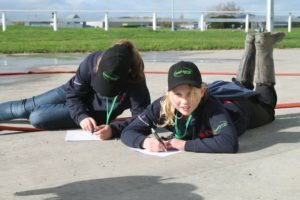 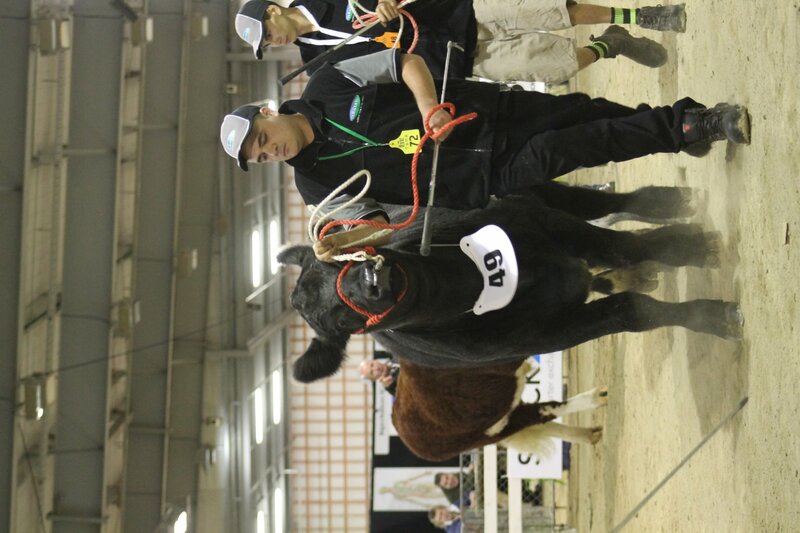 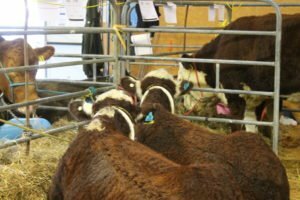 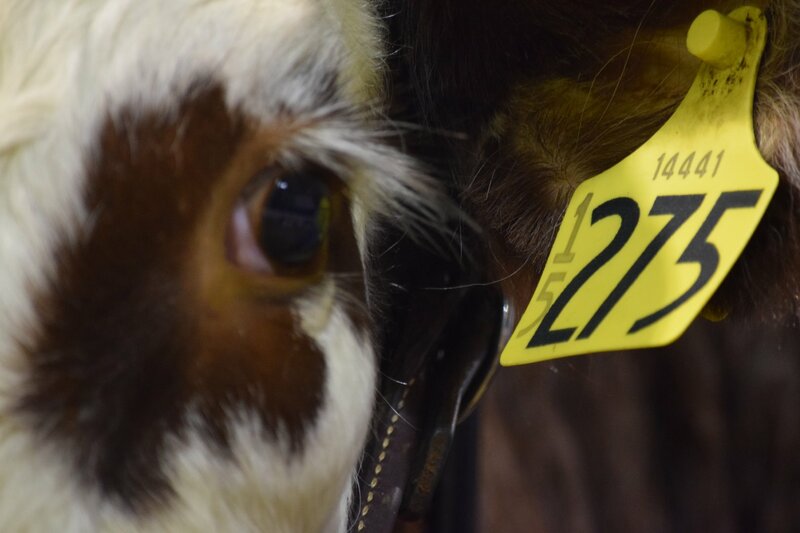 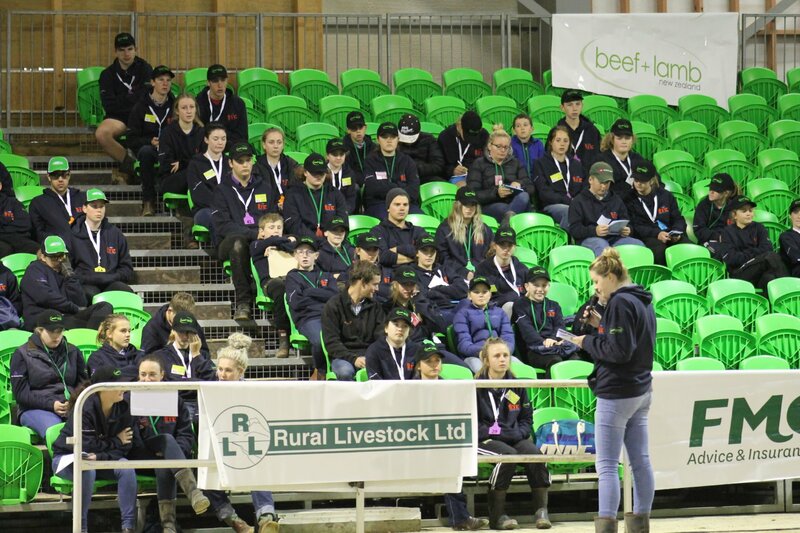 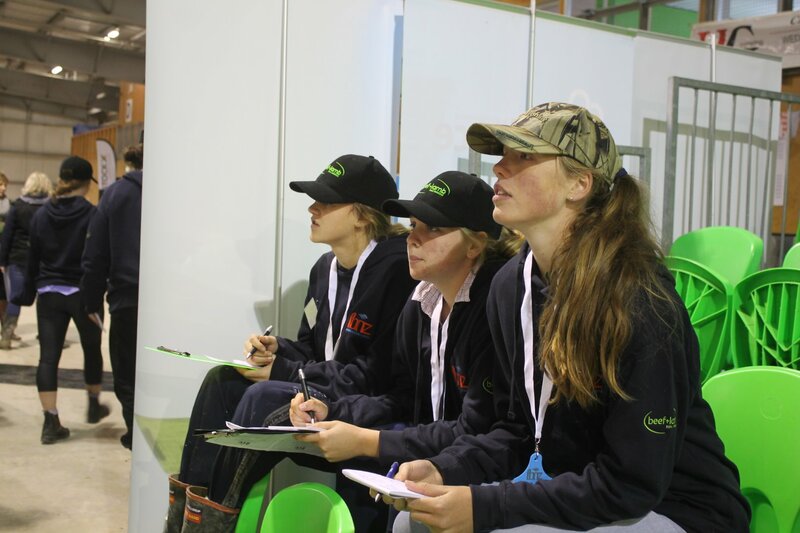 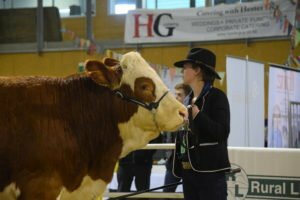 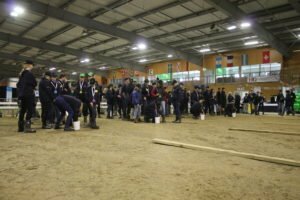 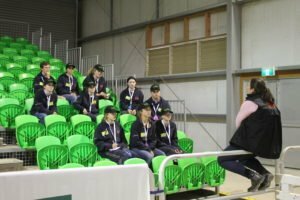 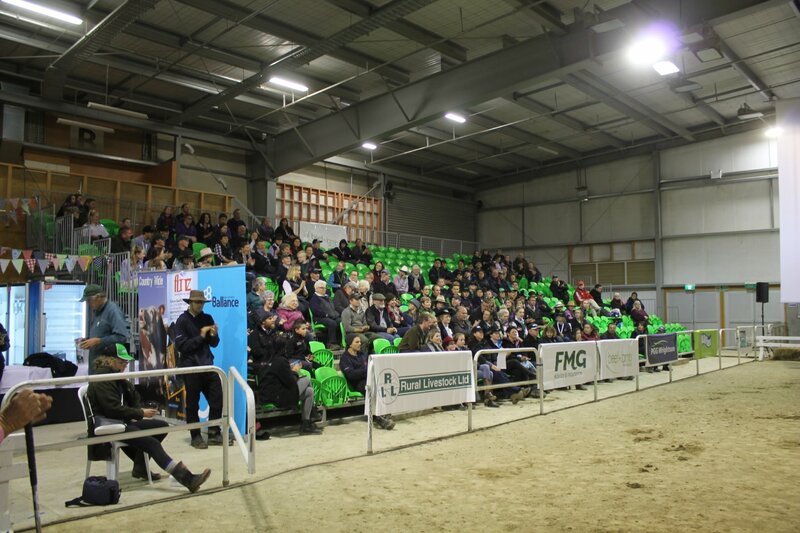 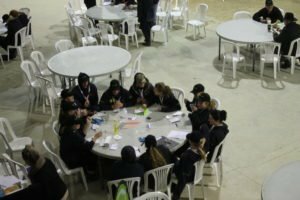 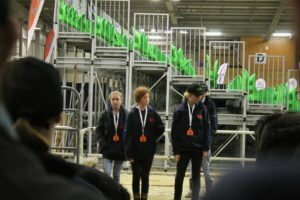 The FBNZ Committee are very excited to announce that we will be selecting a team to head to the 2020 World Hereford Conference to compete in the youth competition. 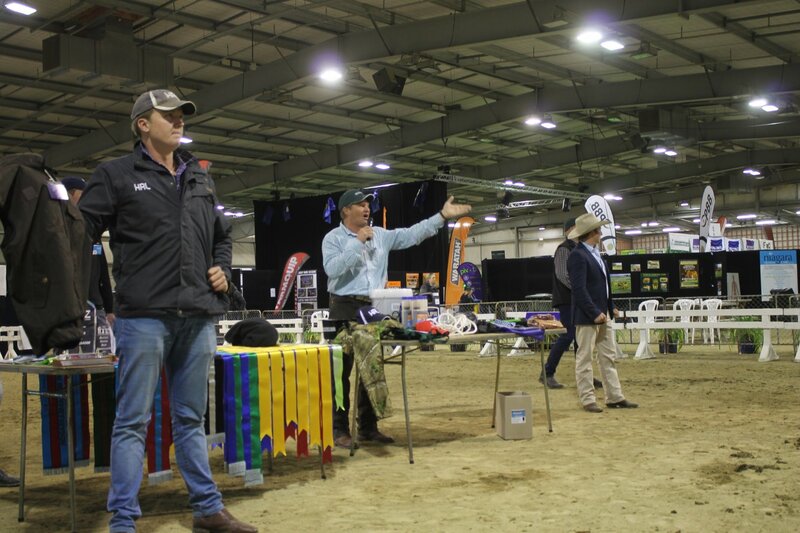 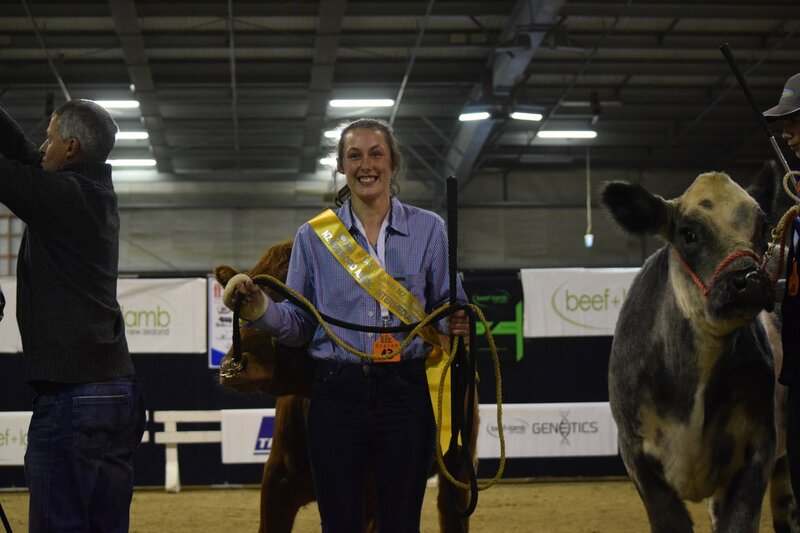 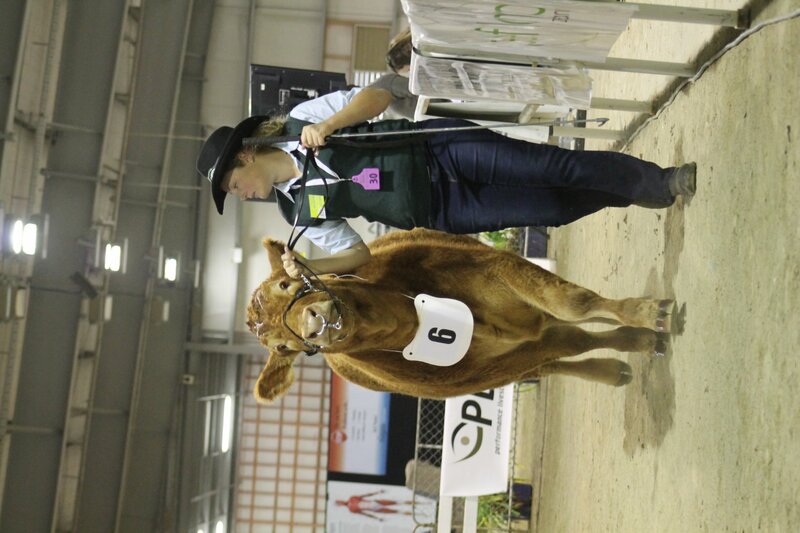 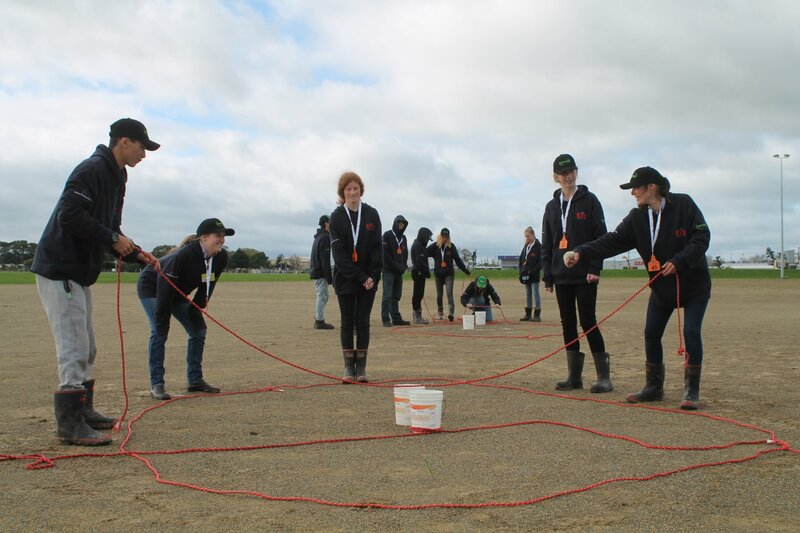 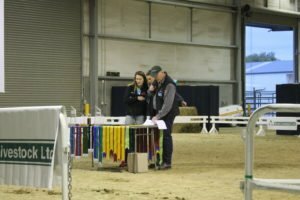 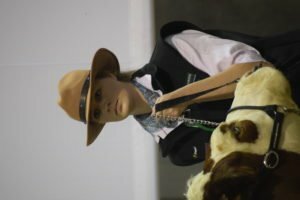 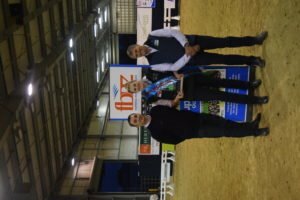 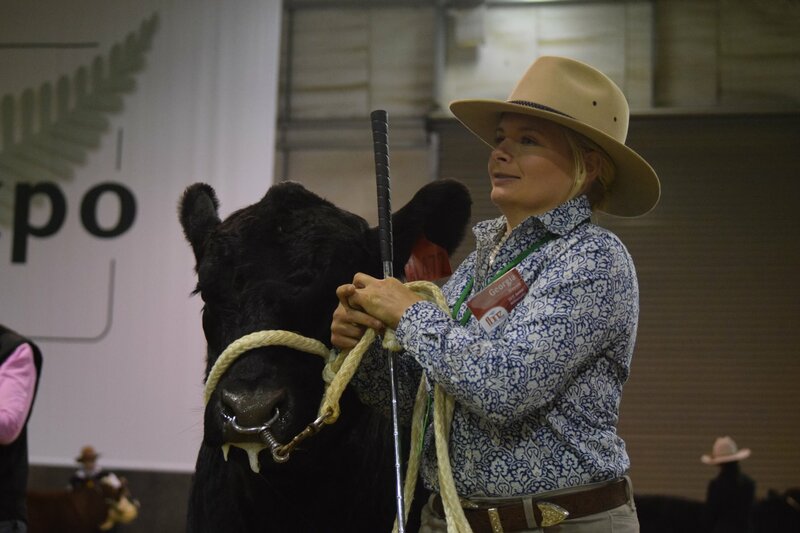 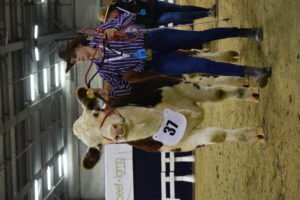 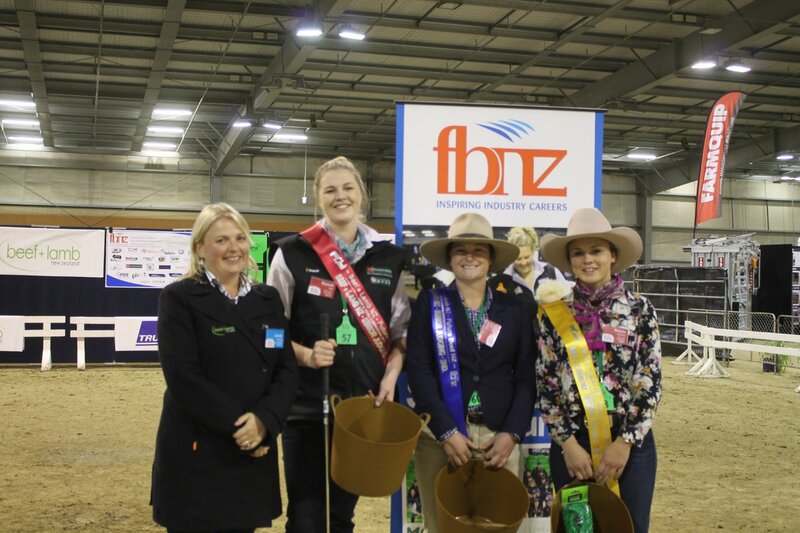 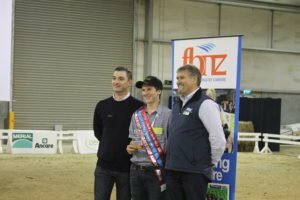 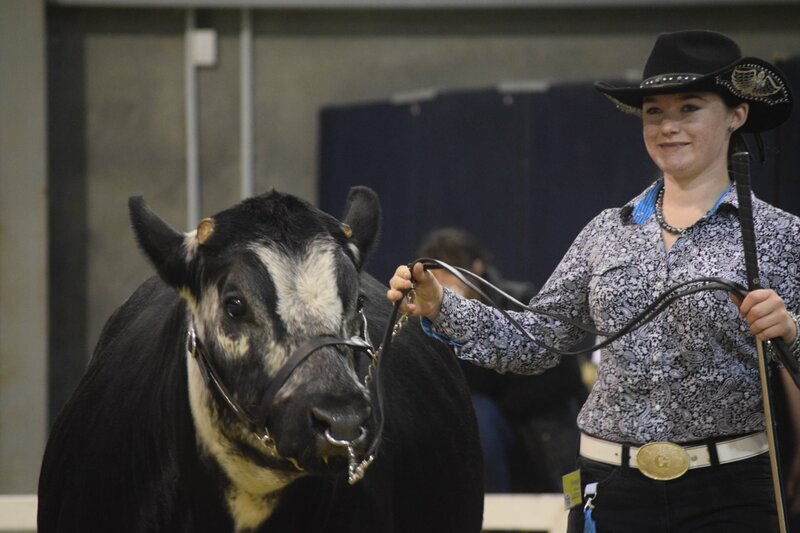 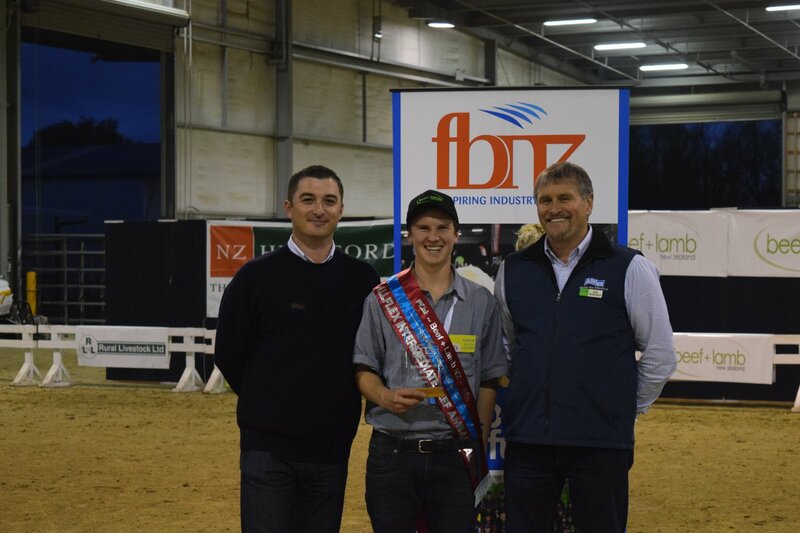 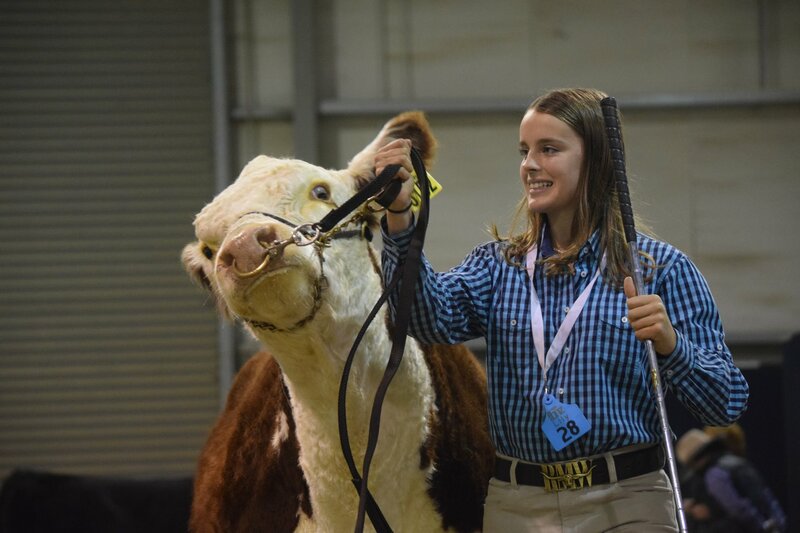 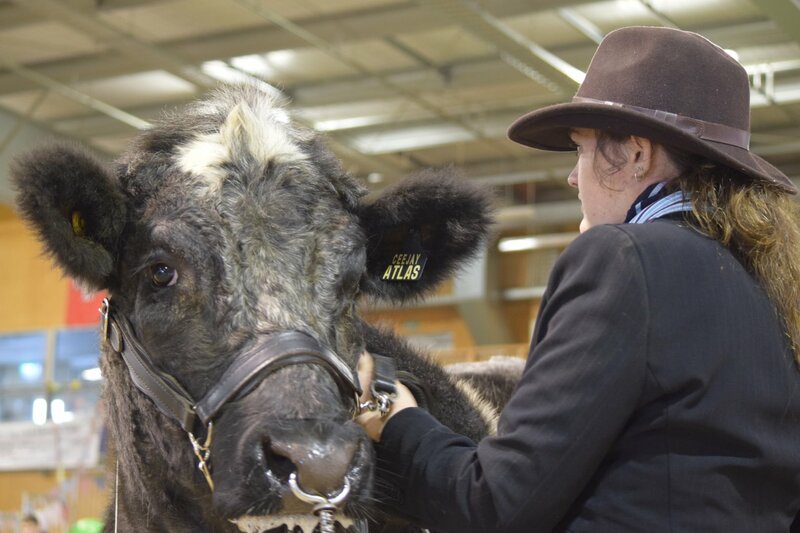 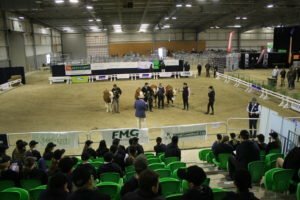 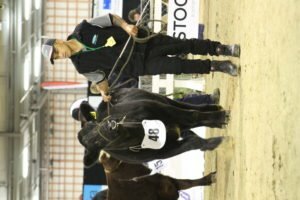 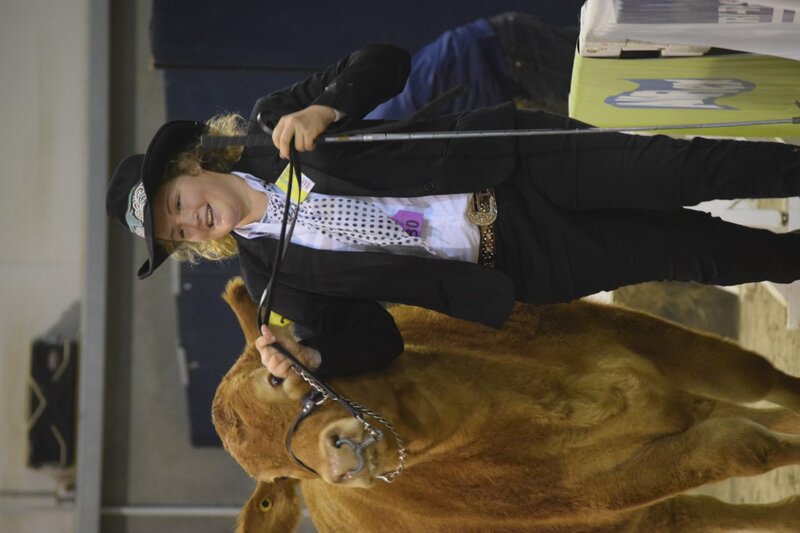 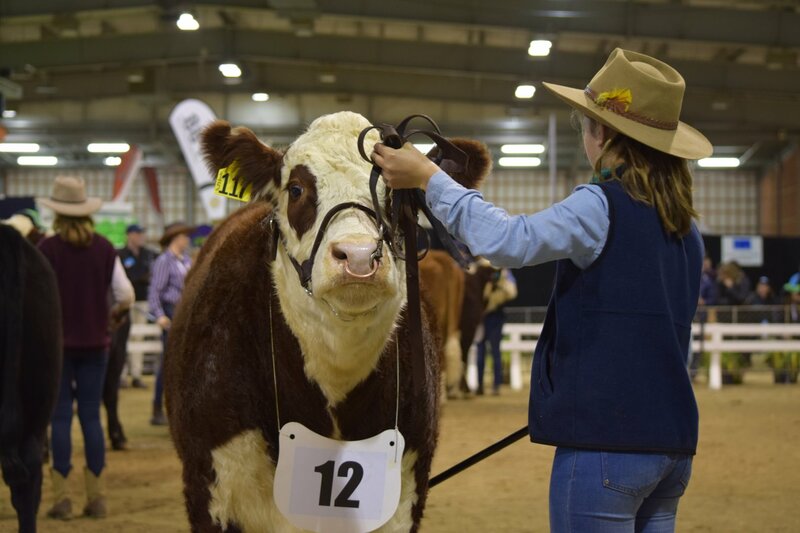 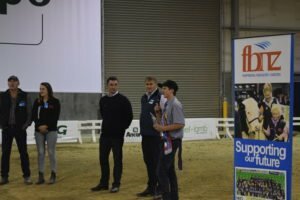 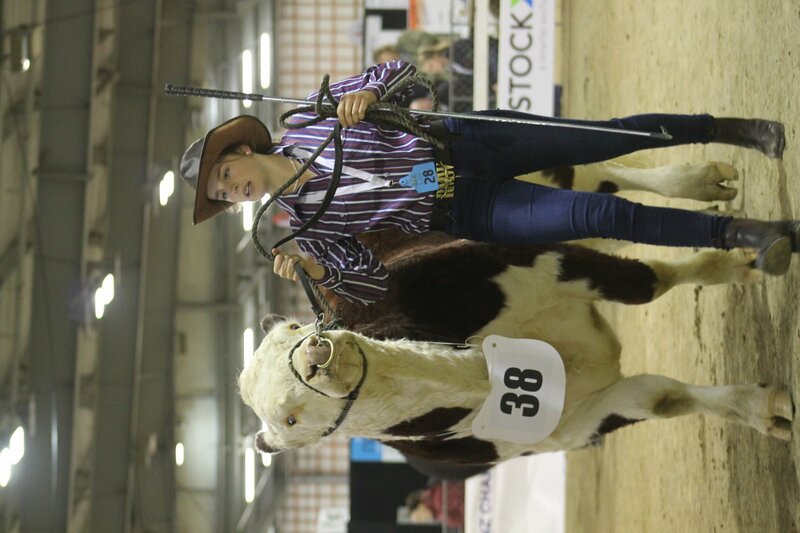 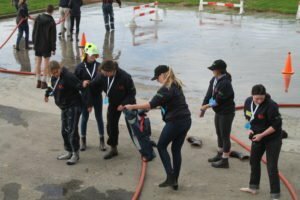 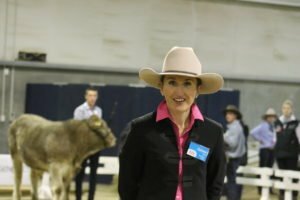 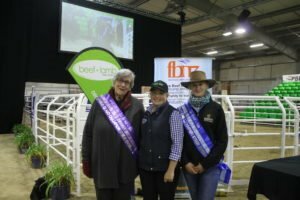 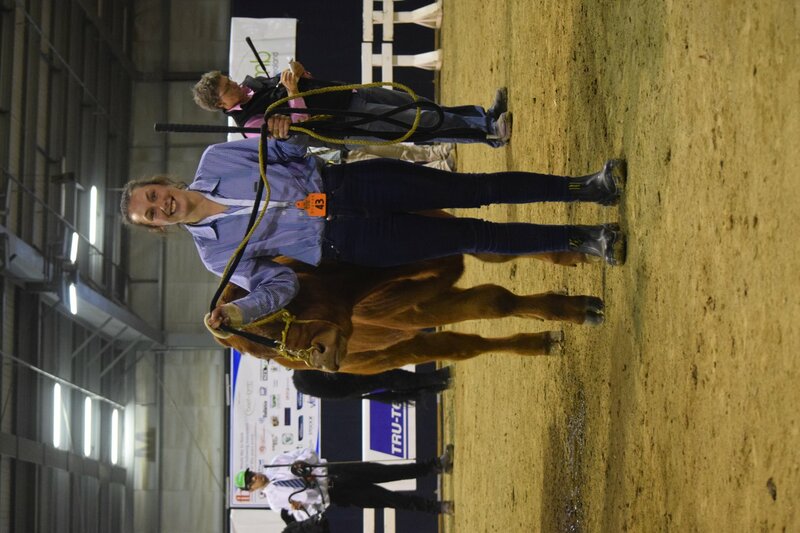 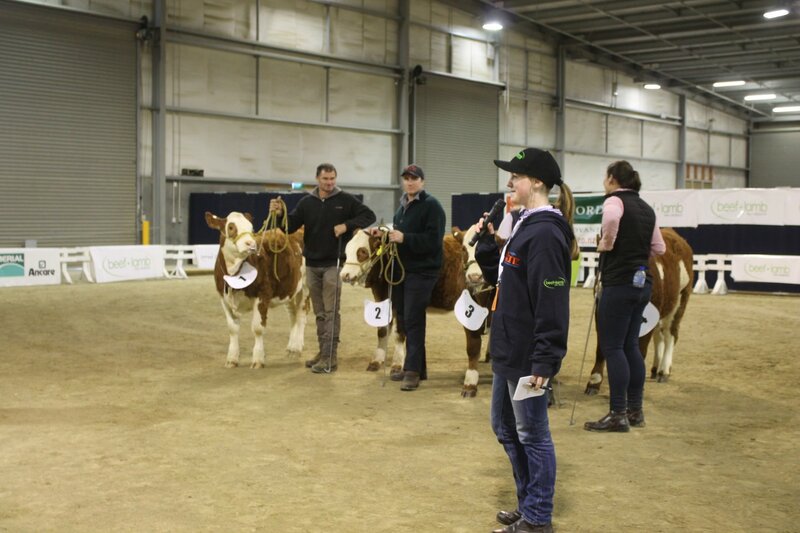 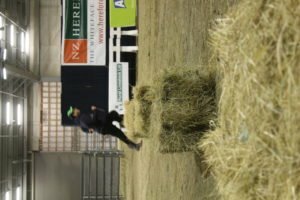 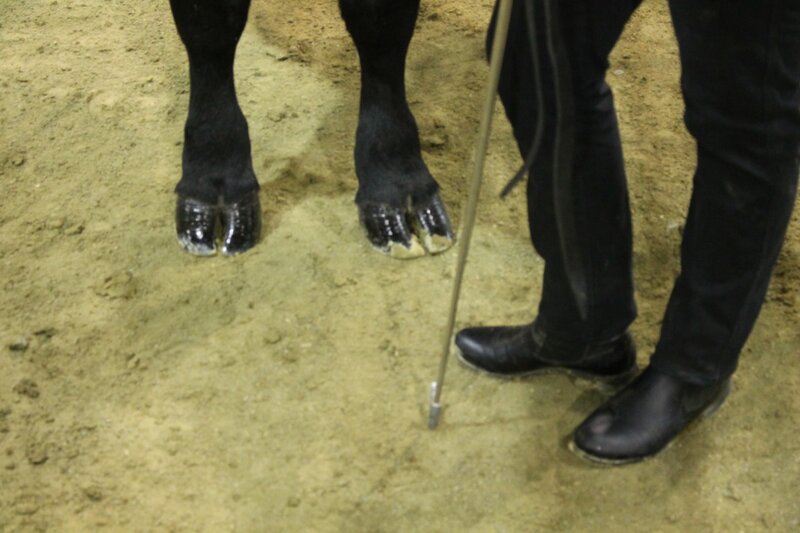 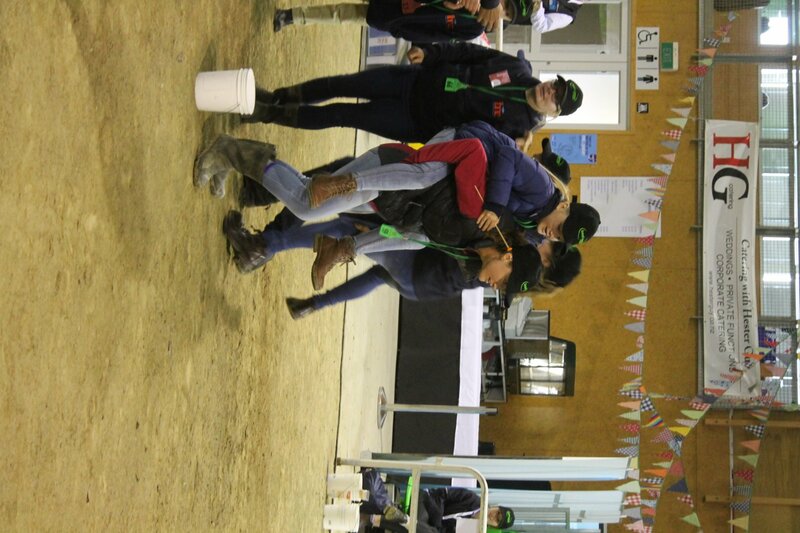 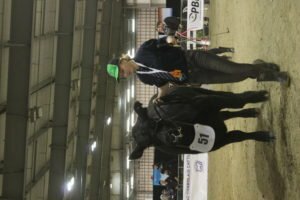 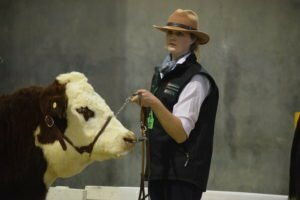 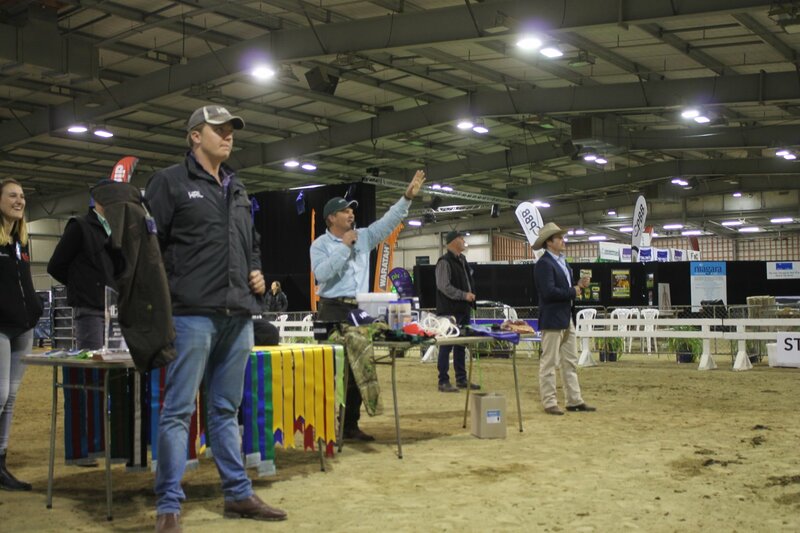 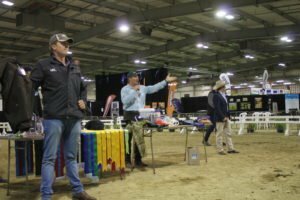 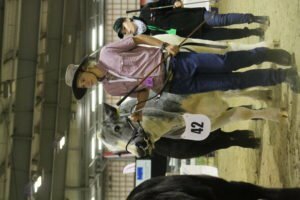 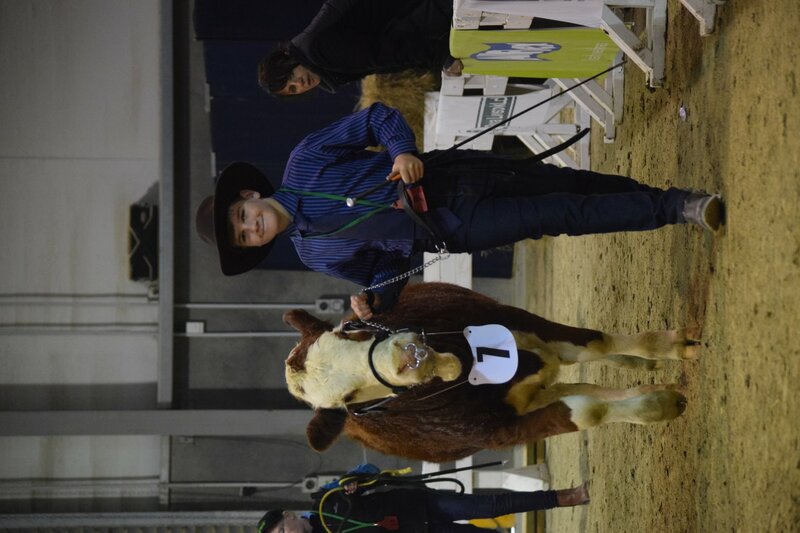 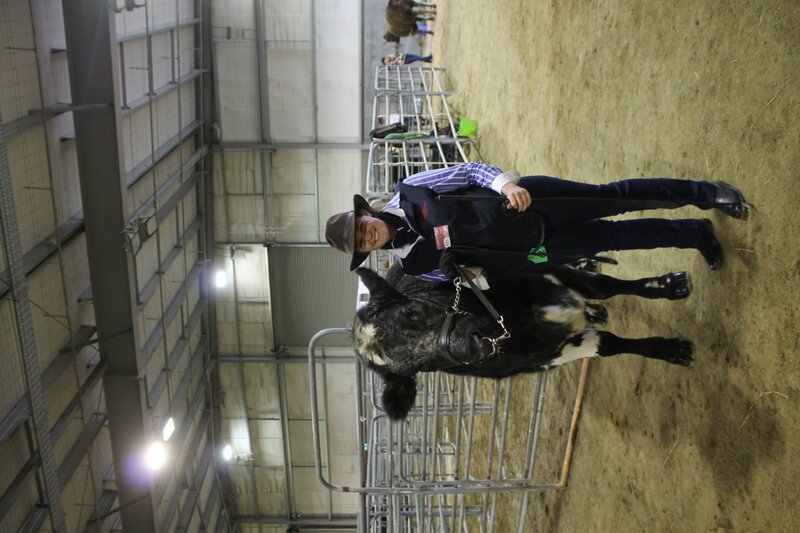 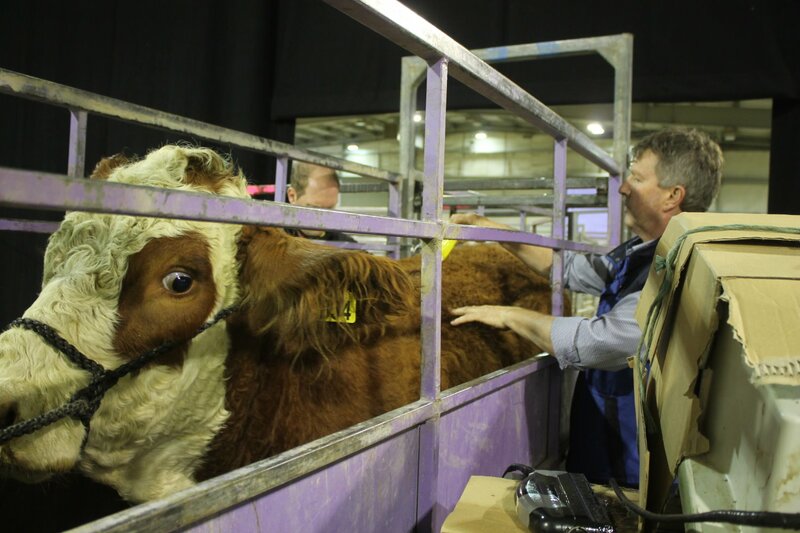 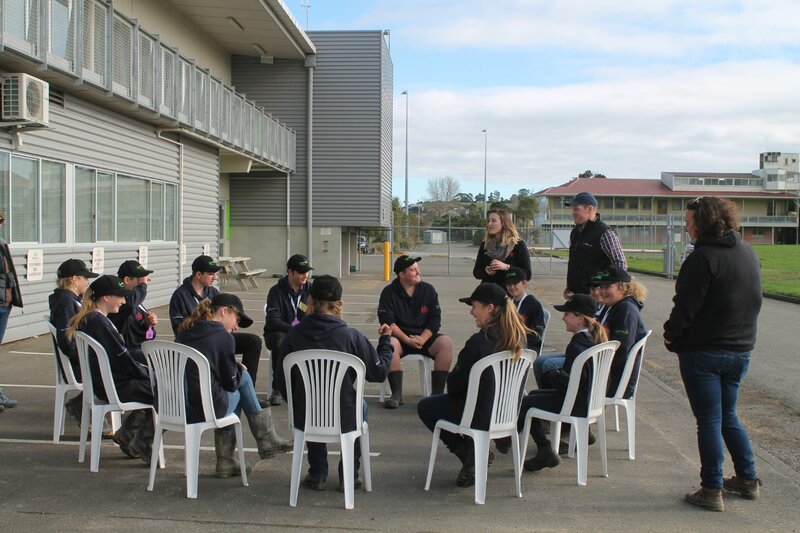 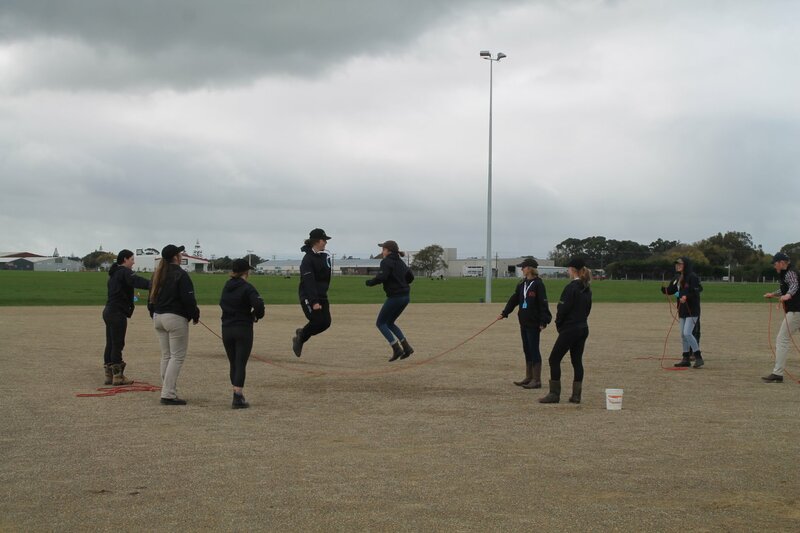 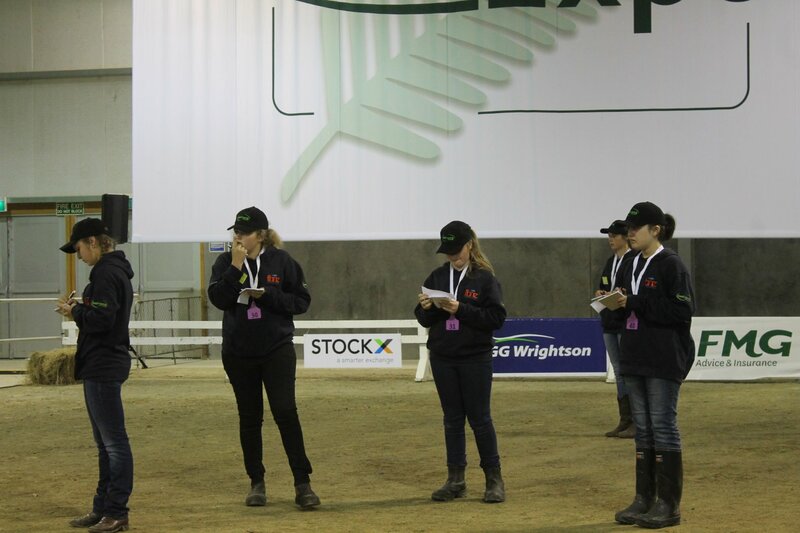 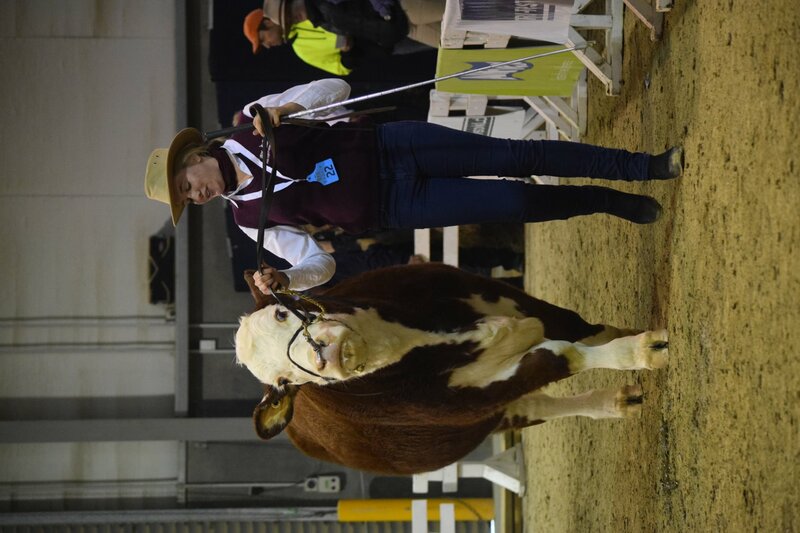 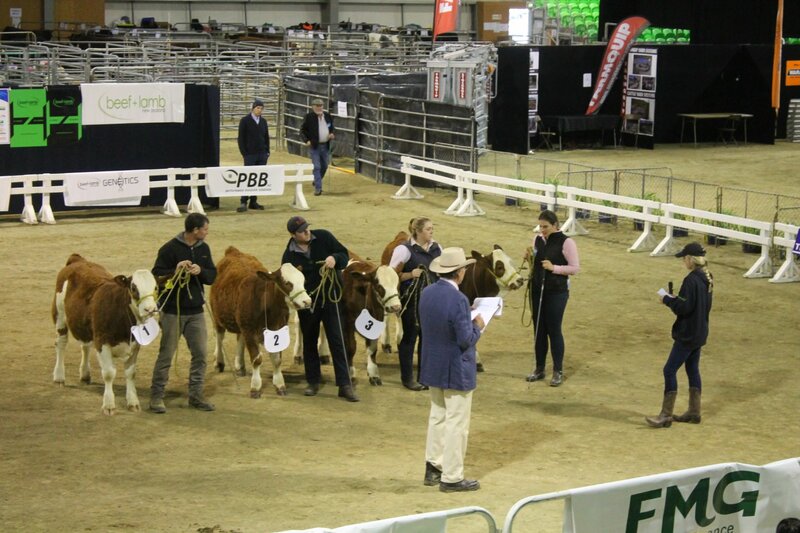 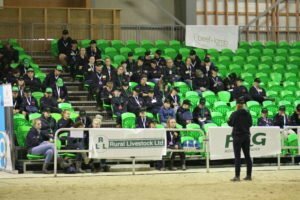 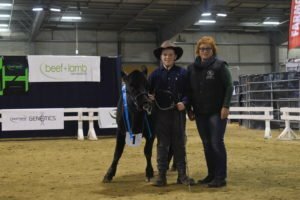 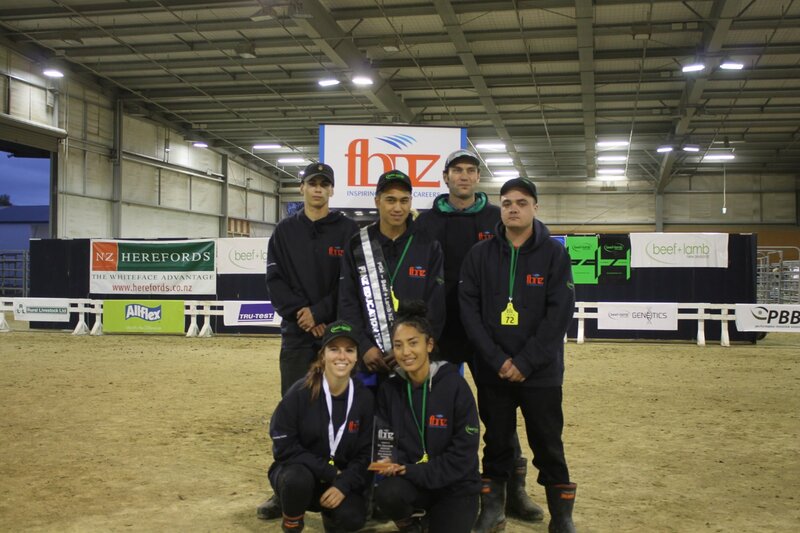 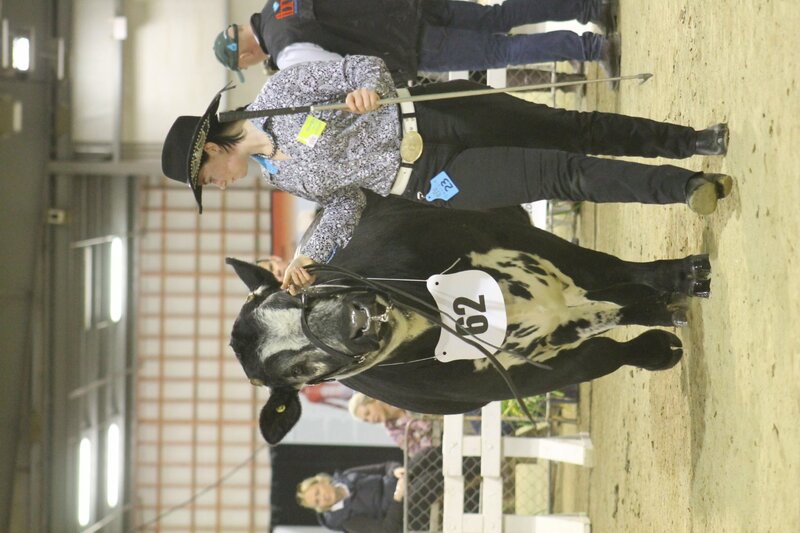 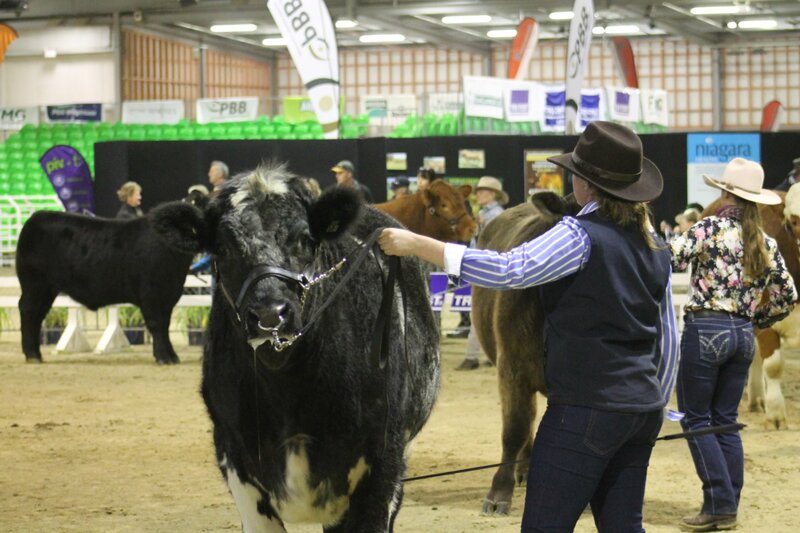 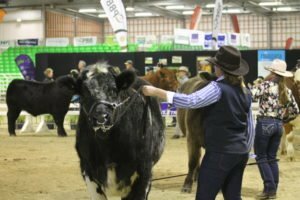 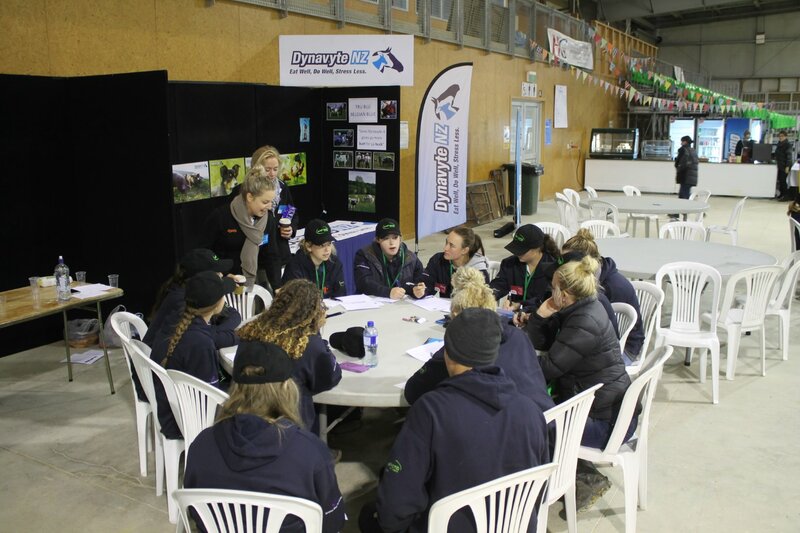 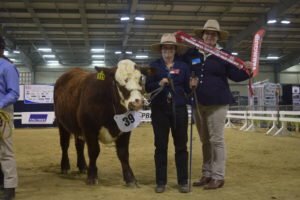 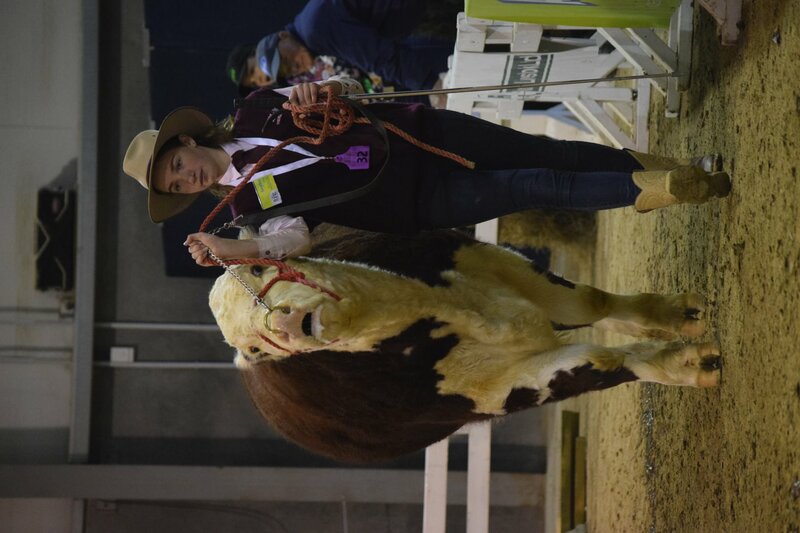 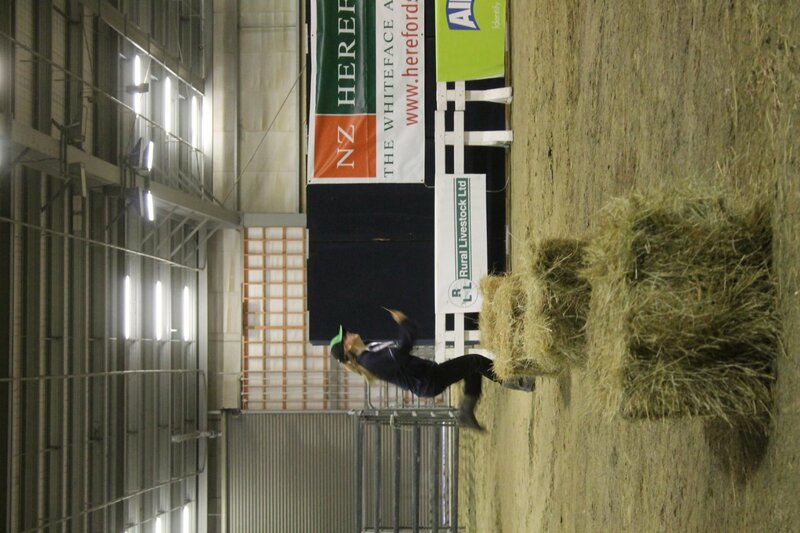 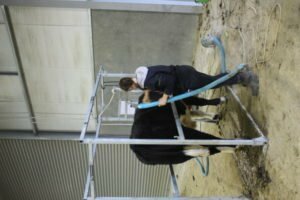 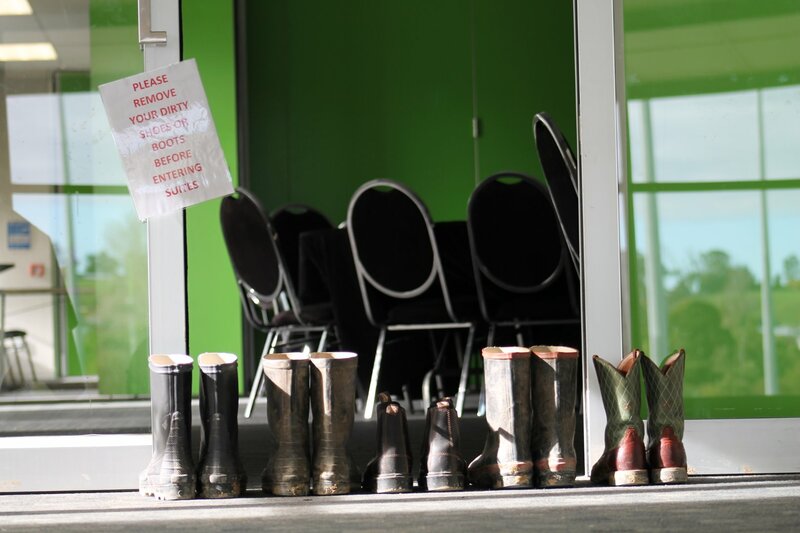 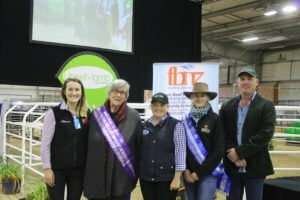 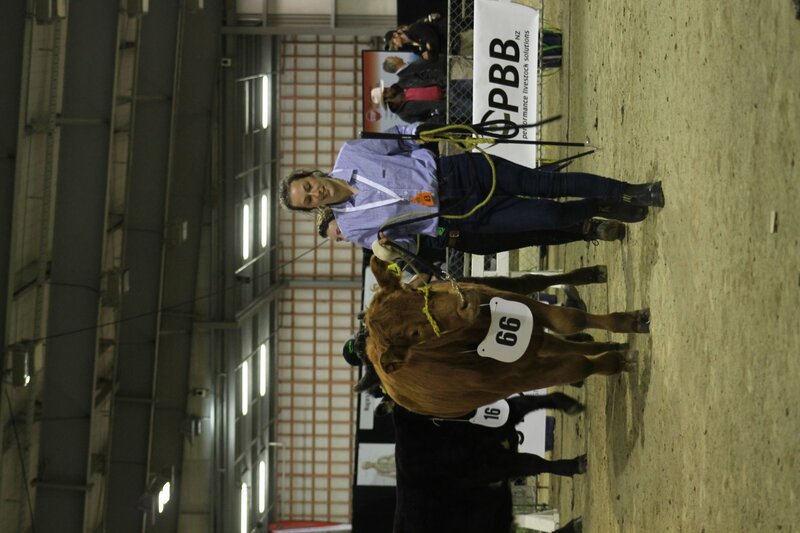 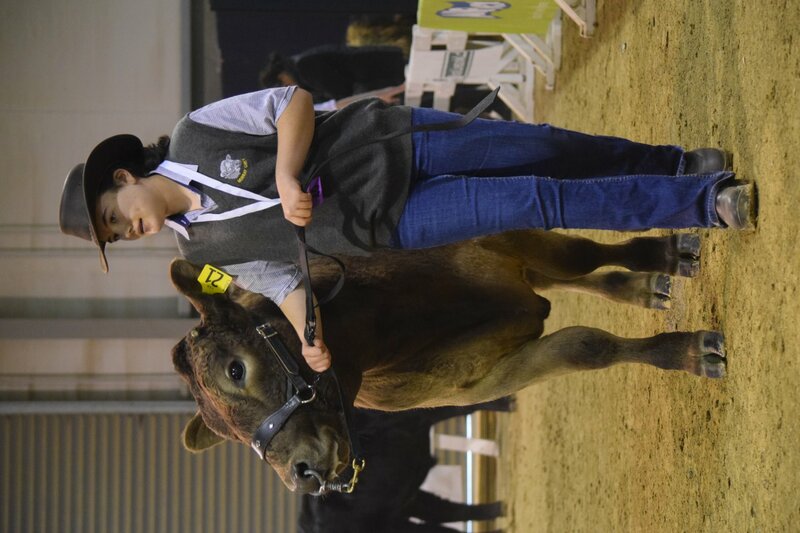 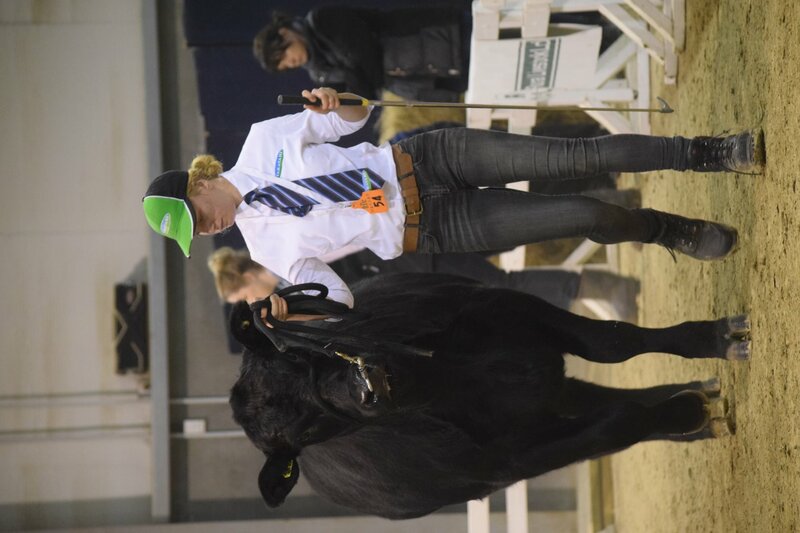 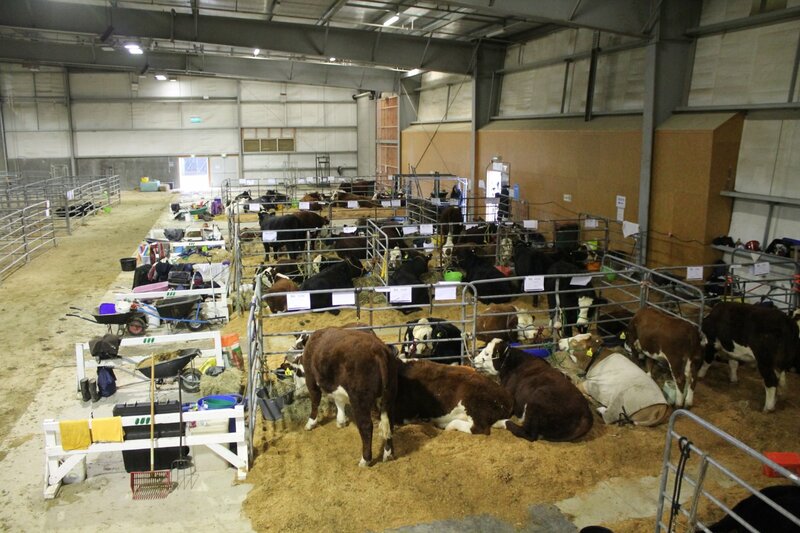 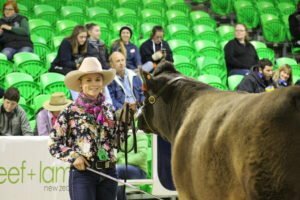 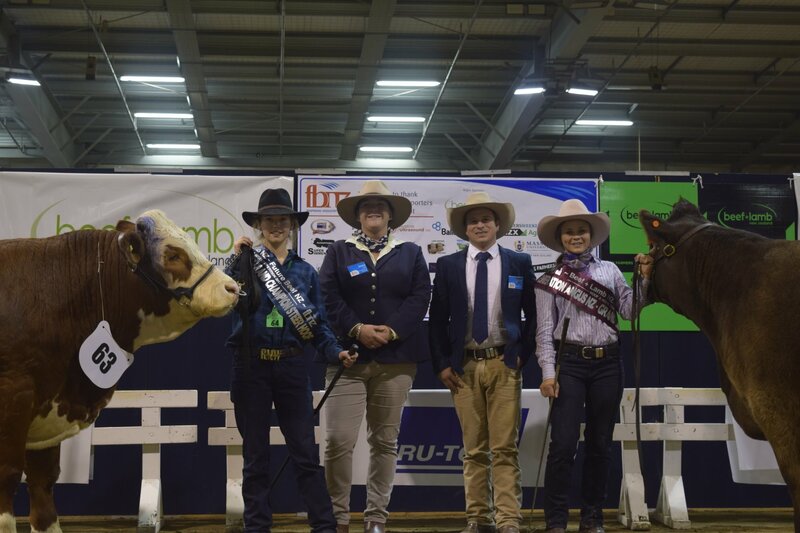 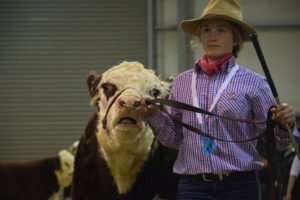 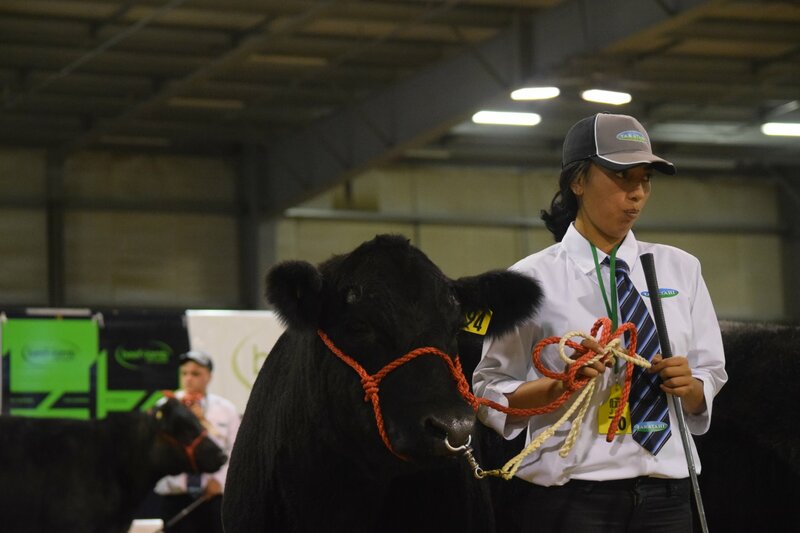 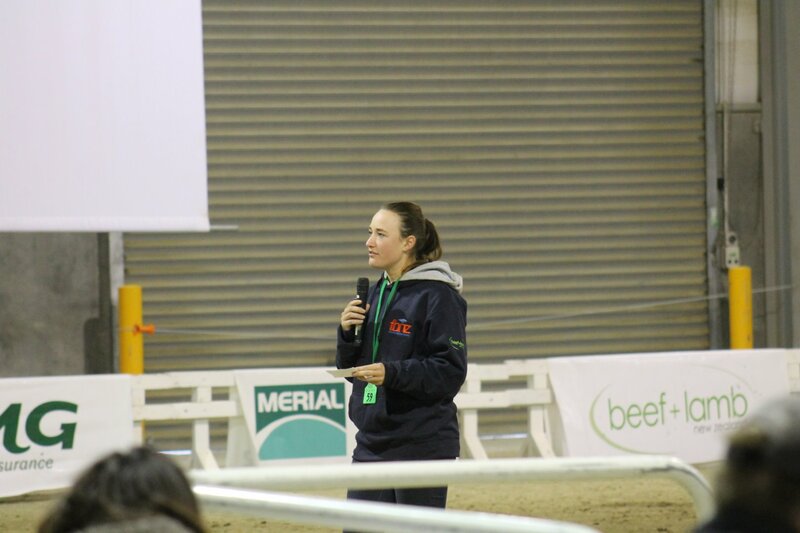 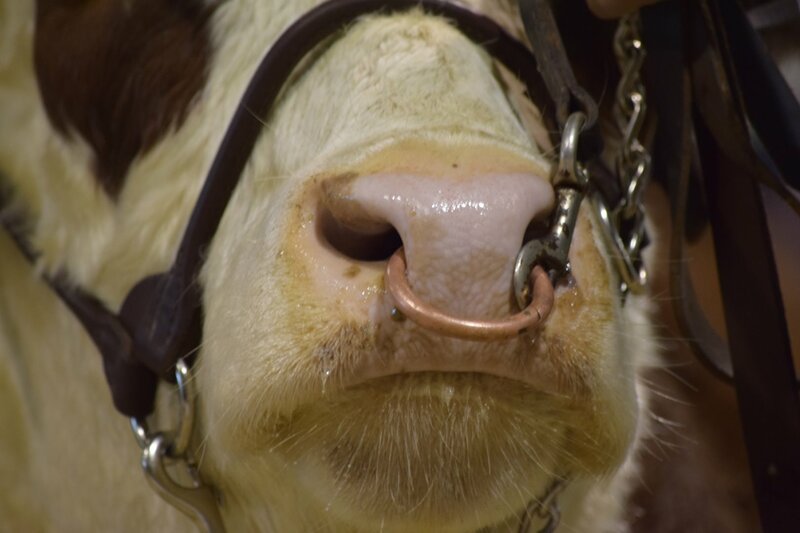 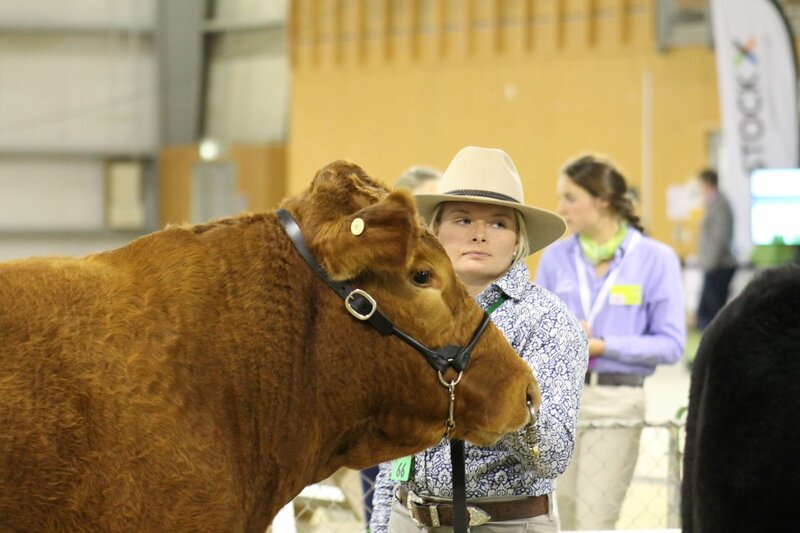 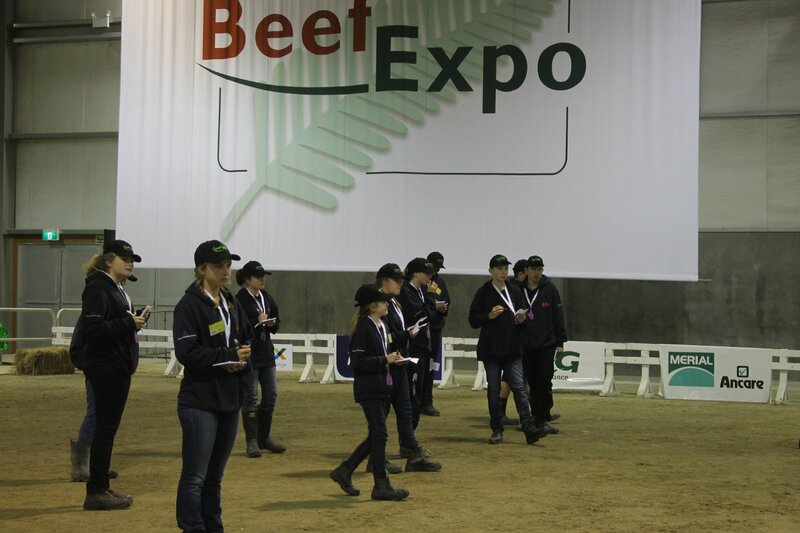 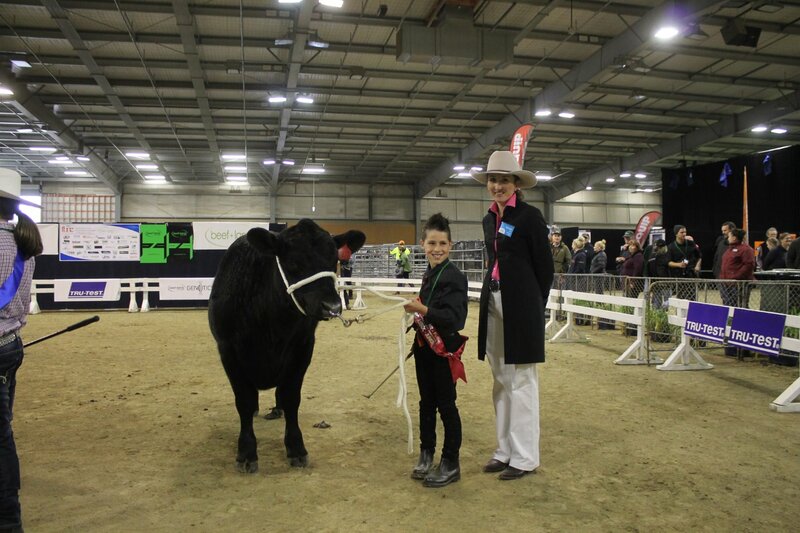 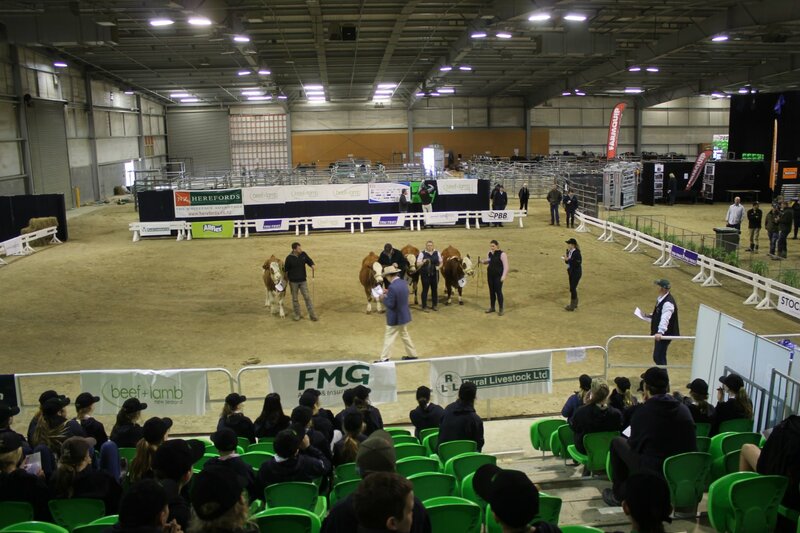 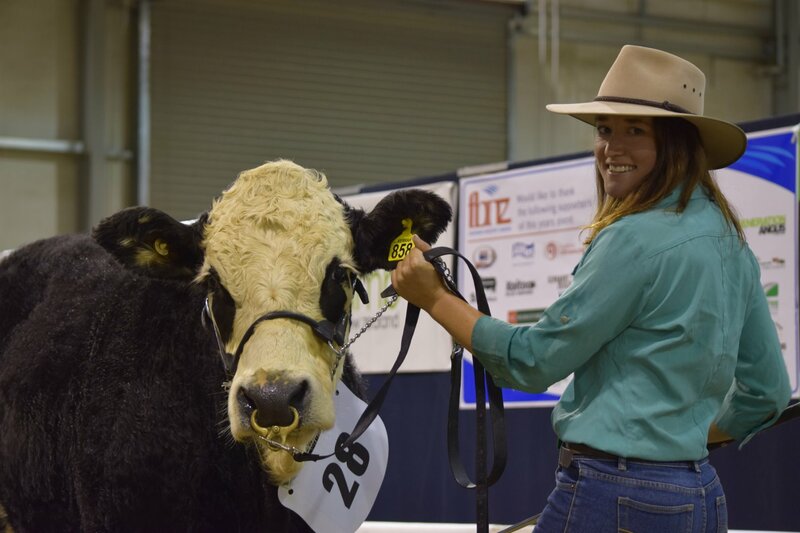 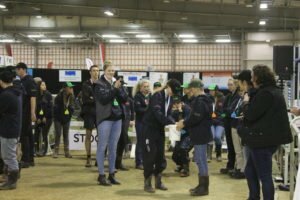 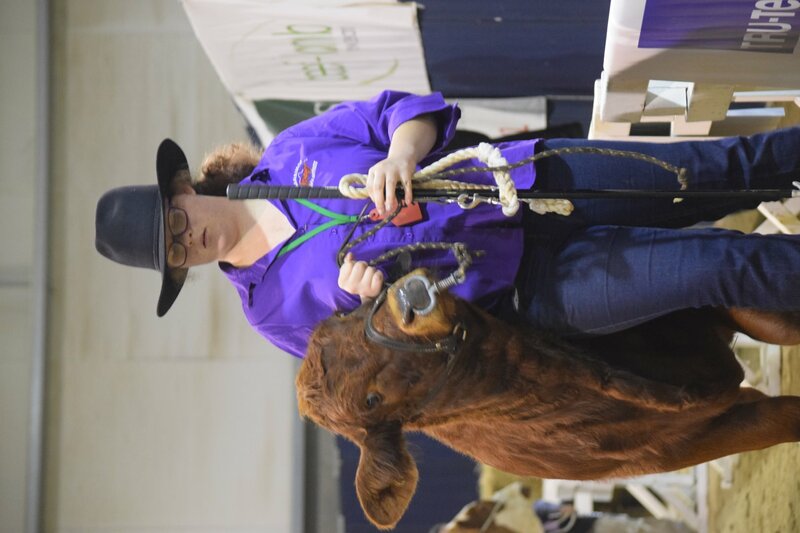 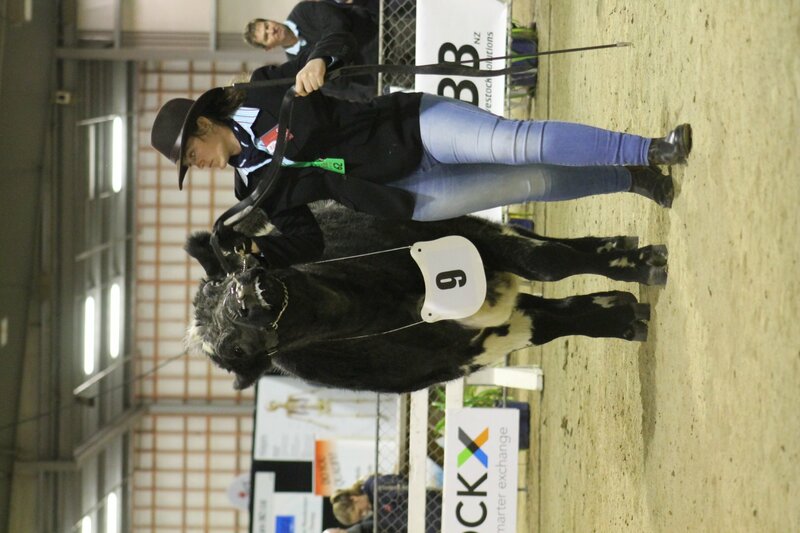 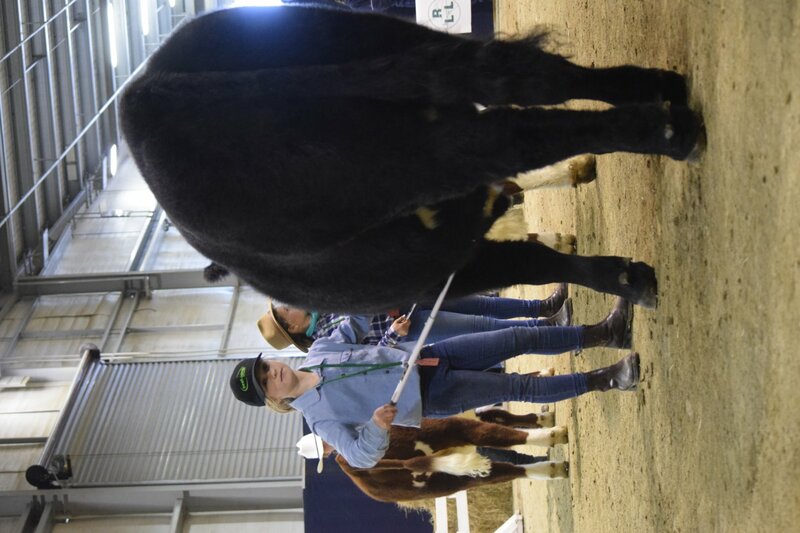 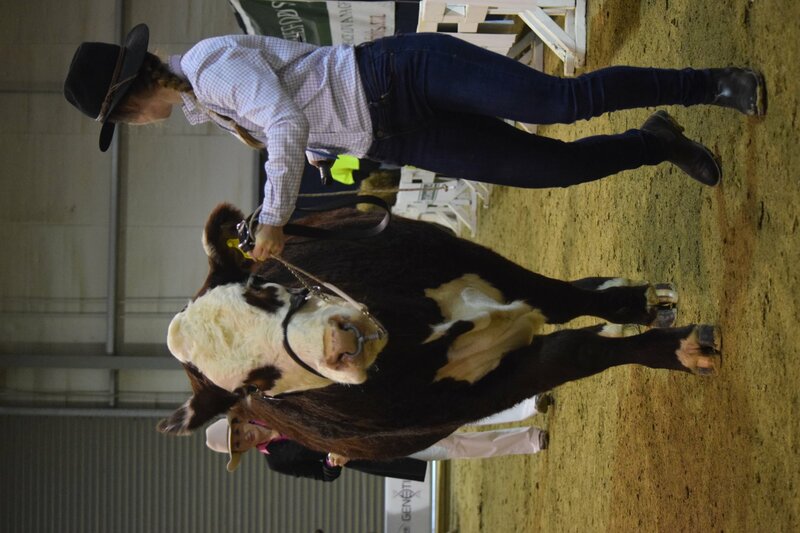 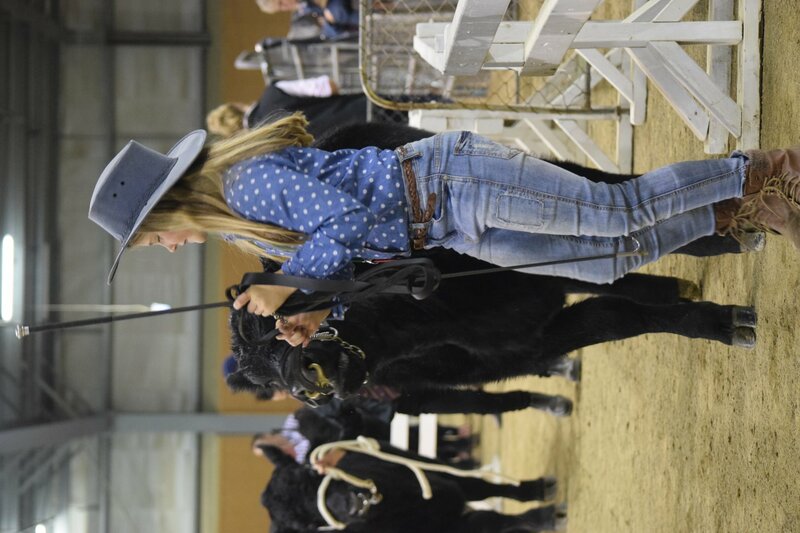 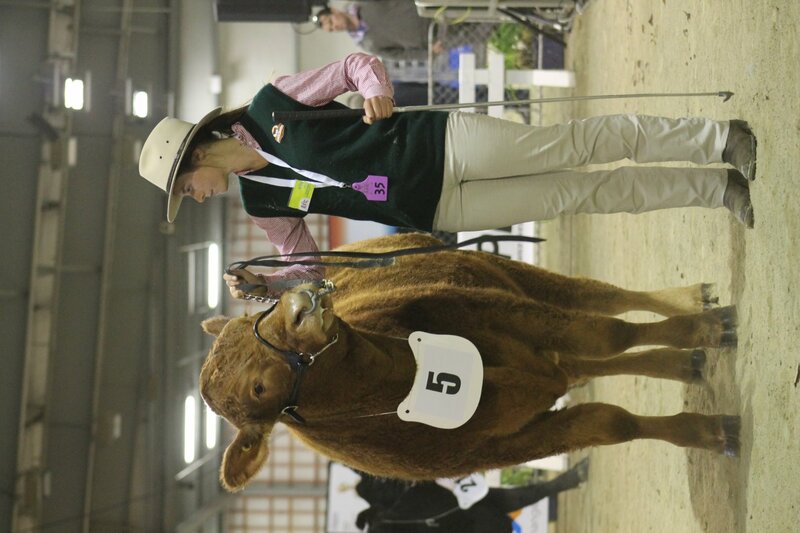 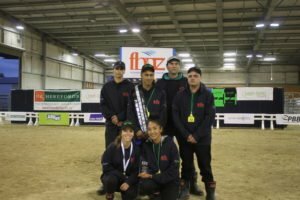 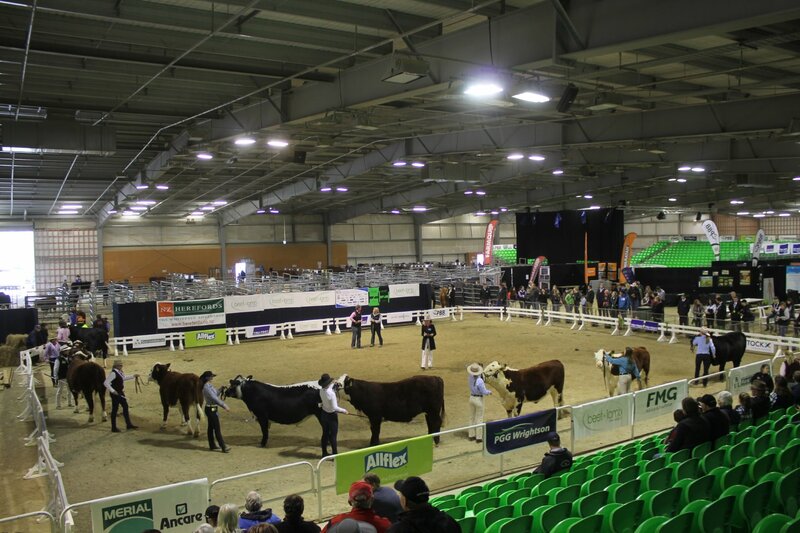 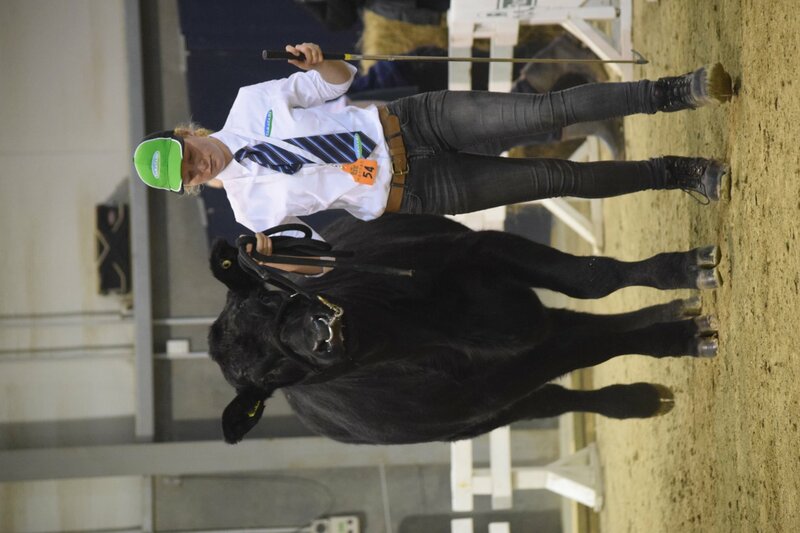 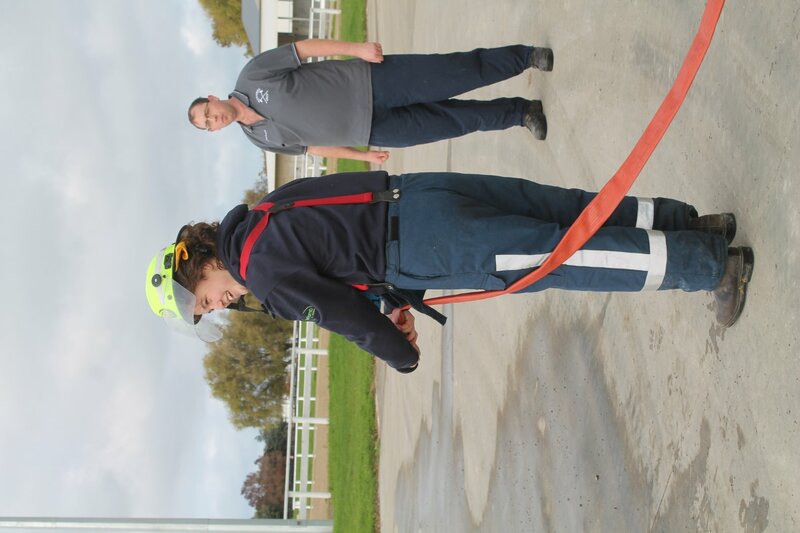 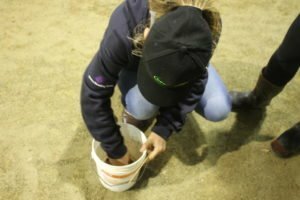 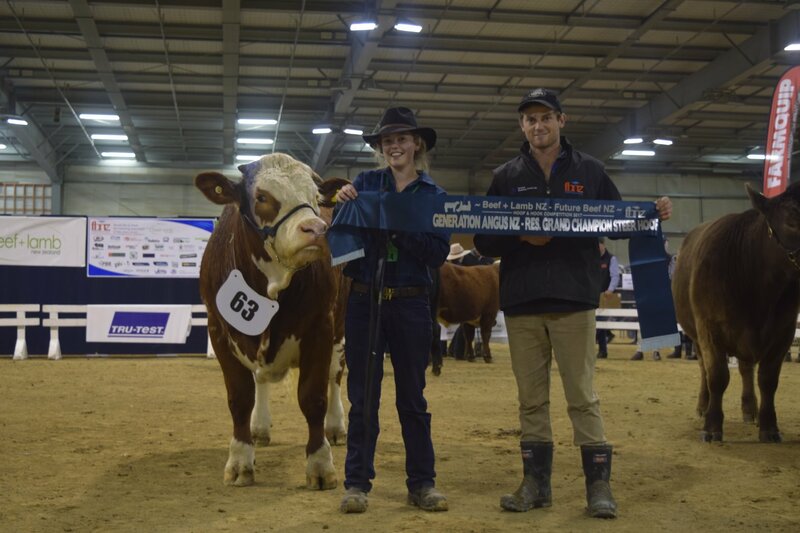 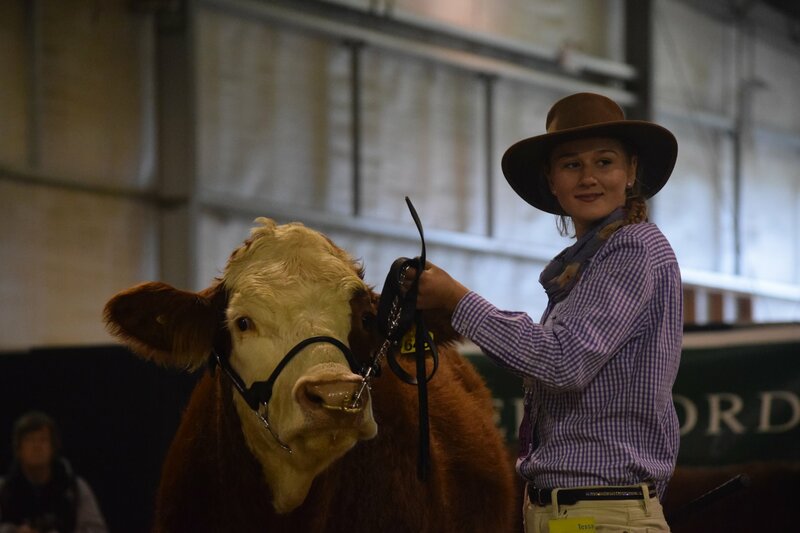 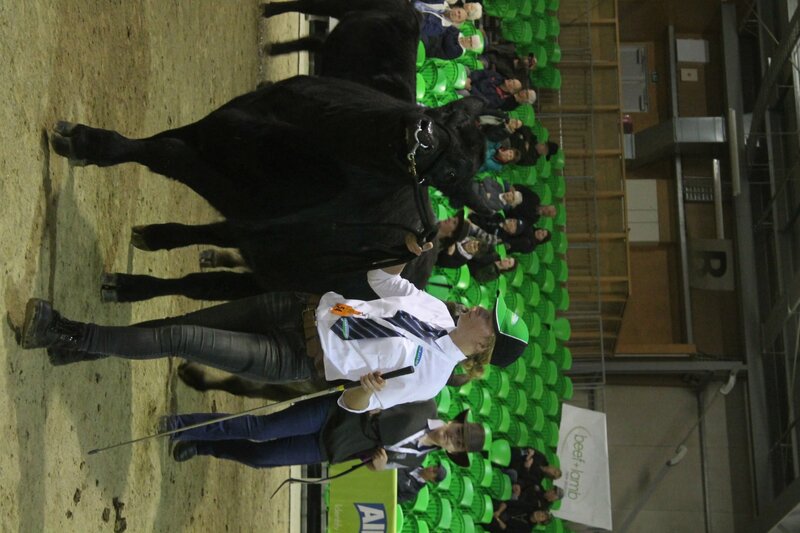 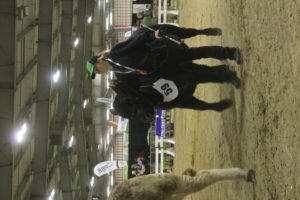 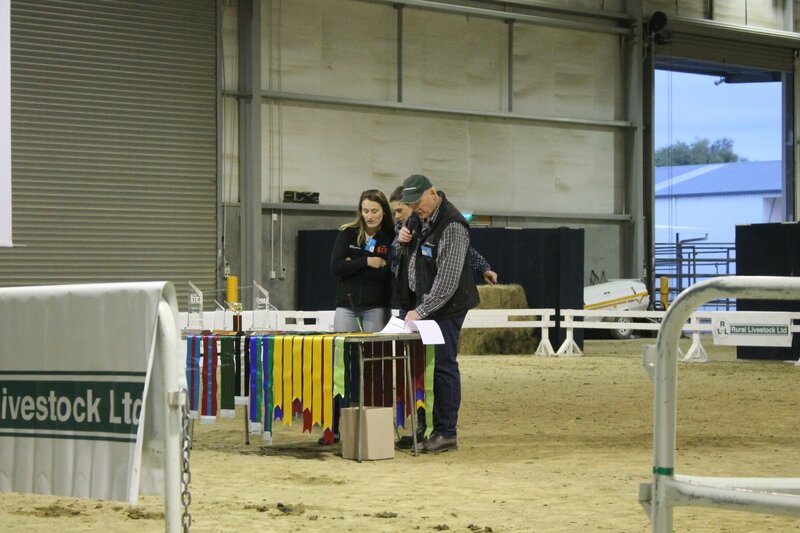 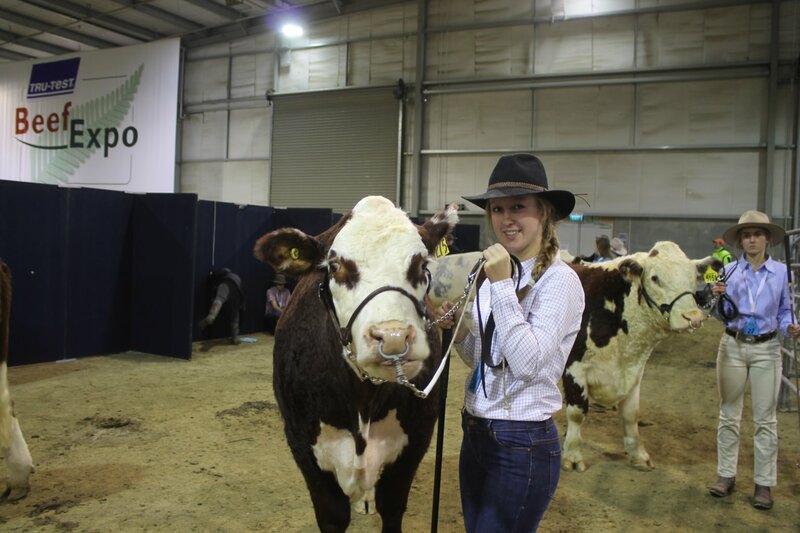 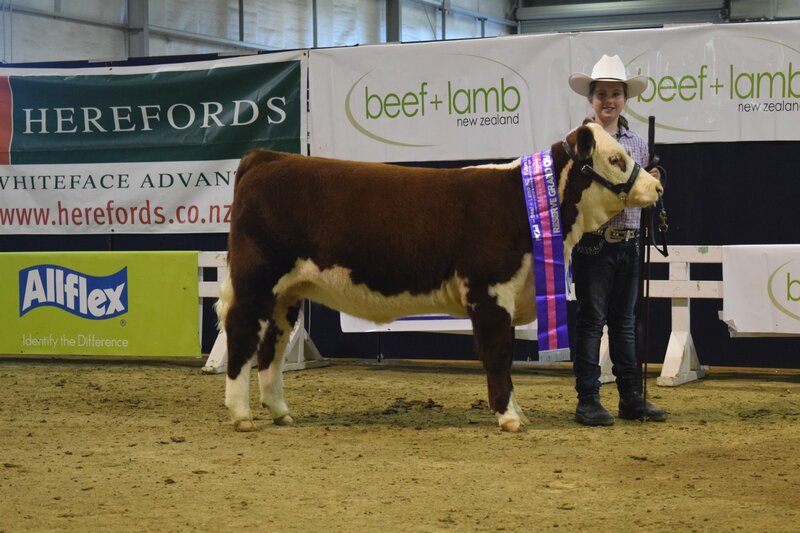 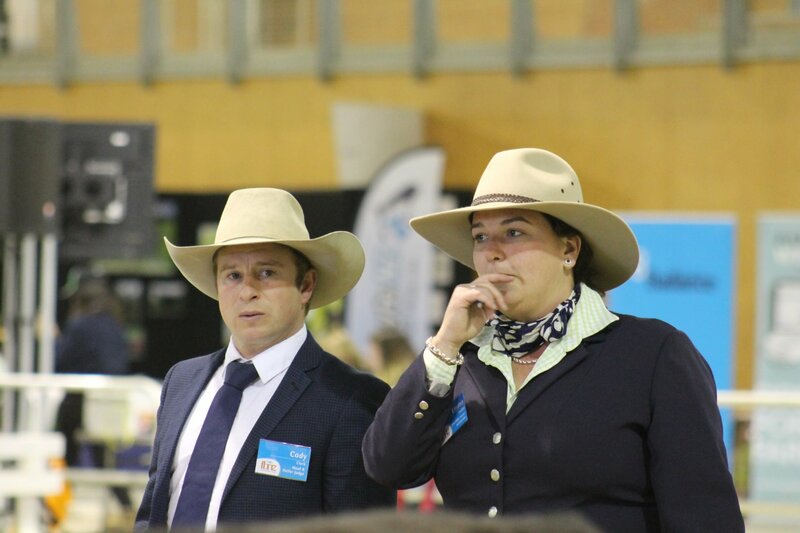 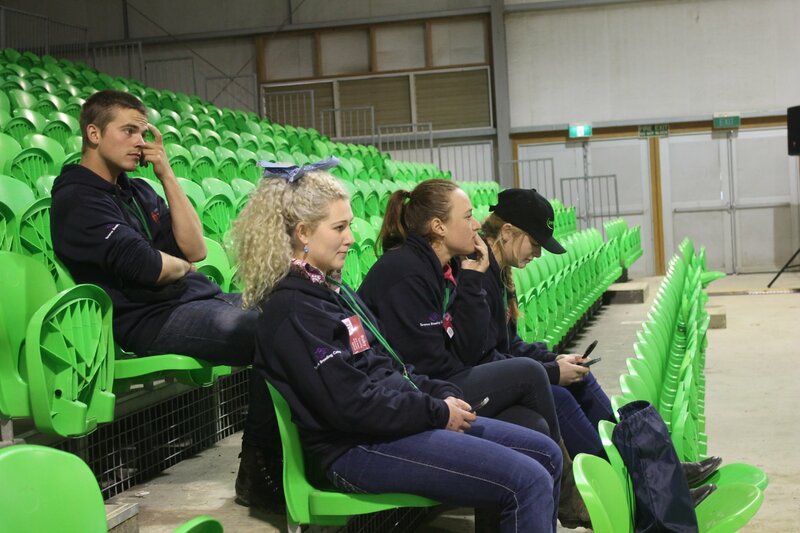 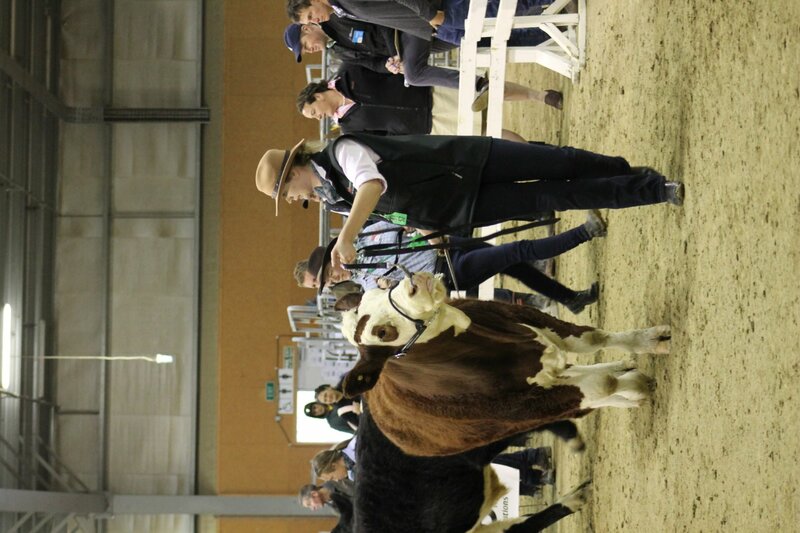 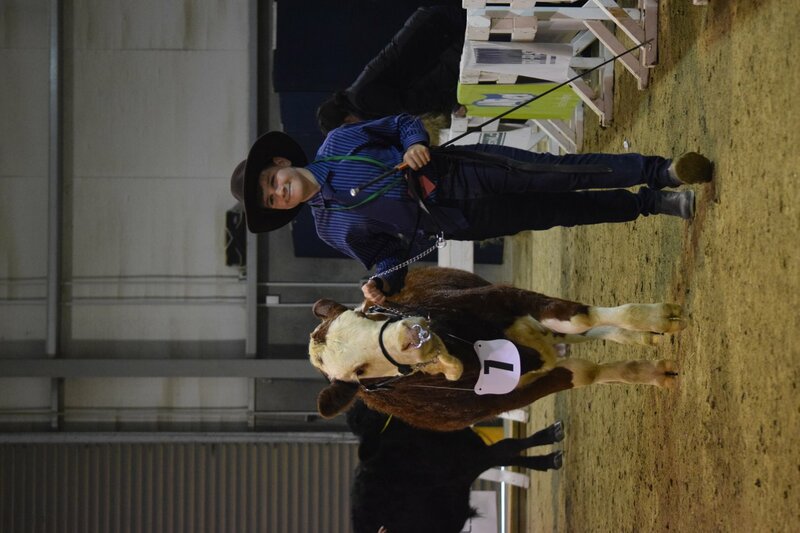 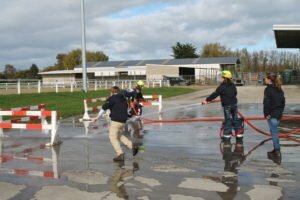 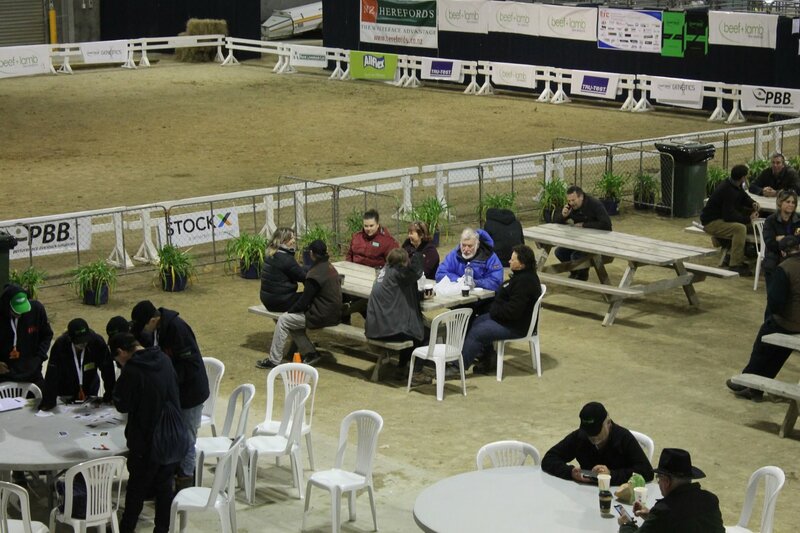 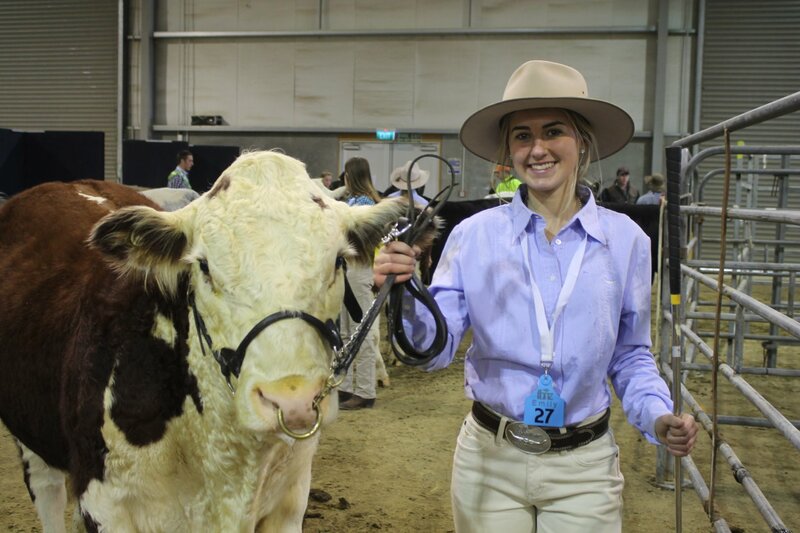 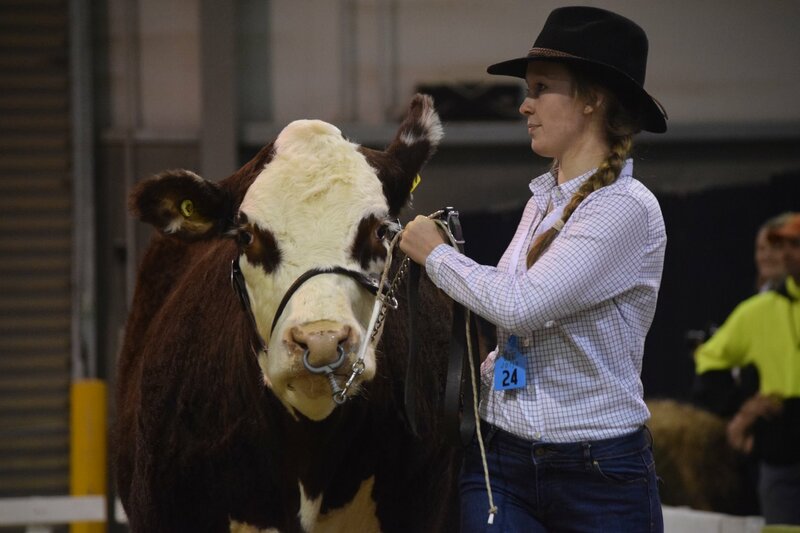 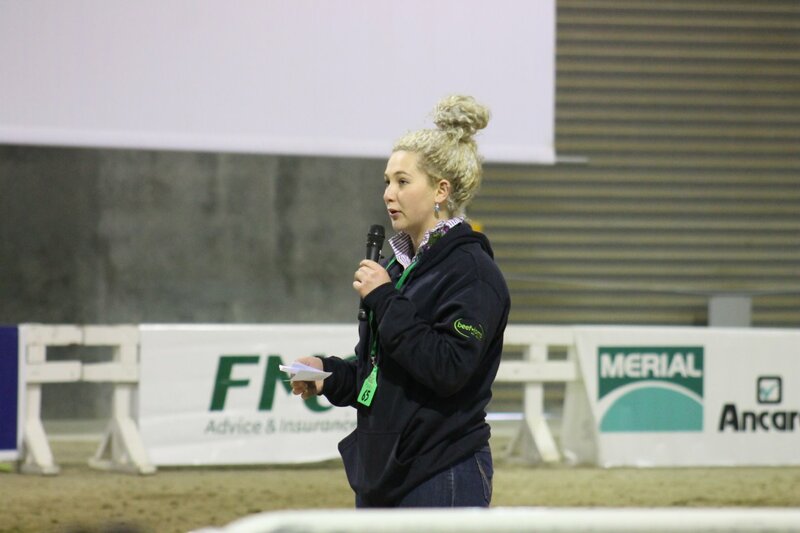 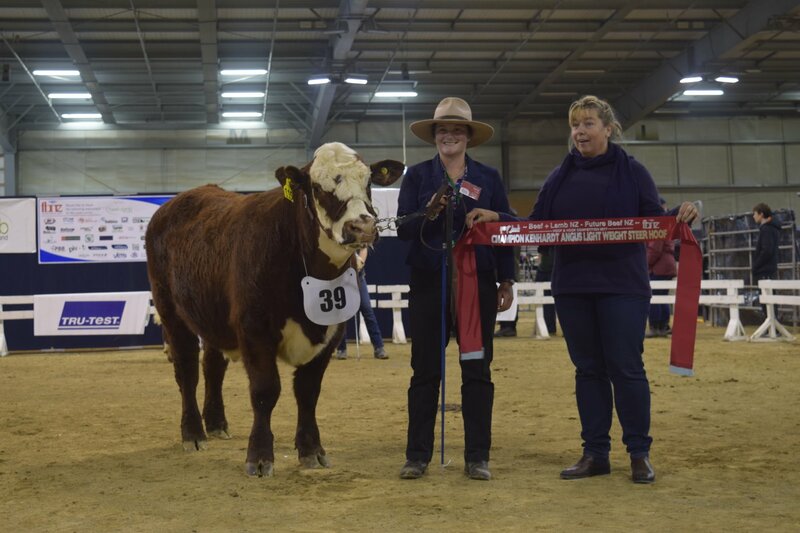 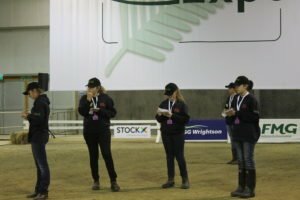 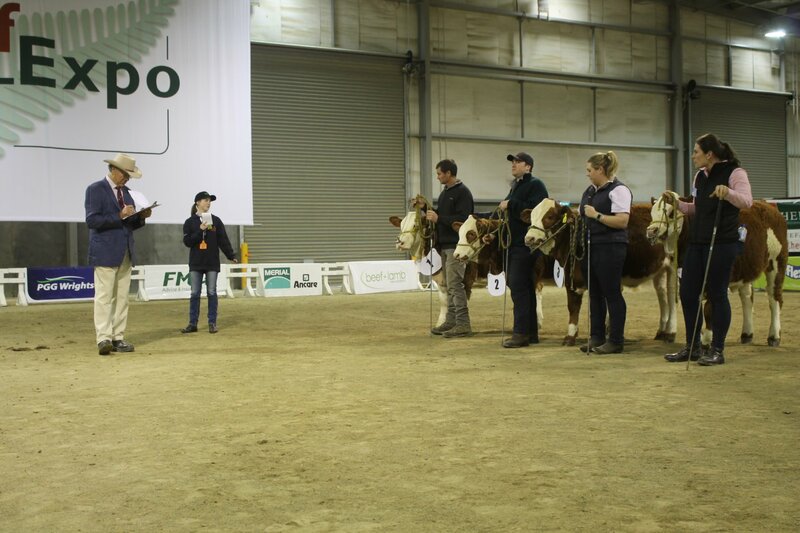 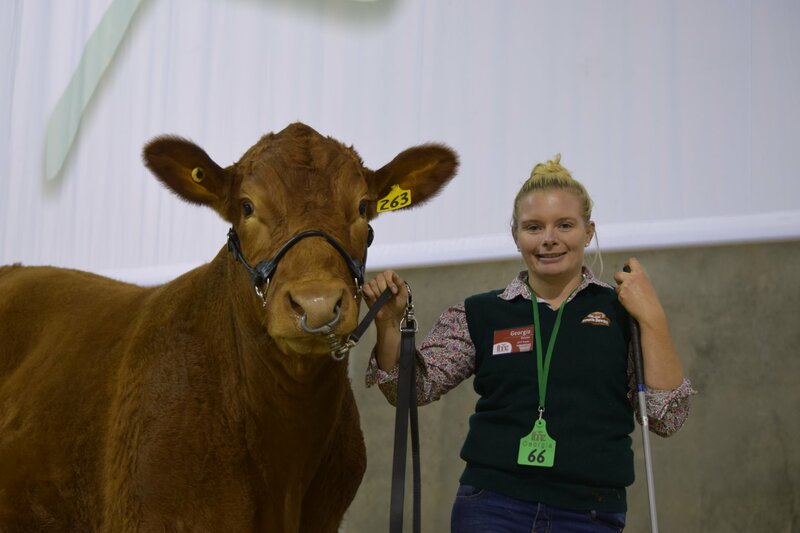 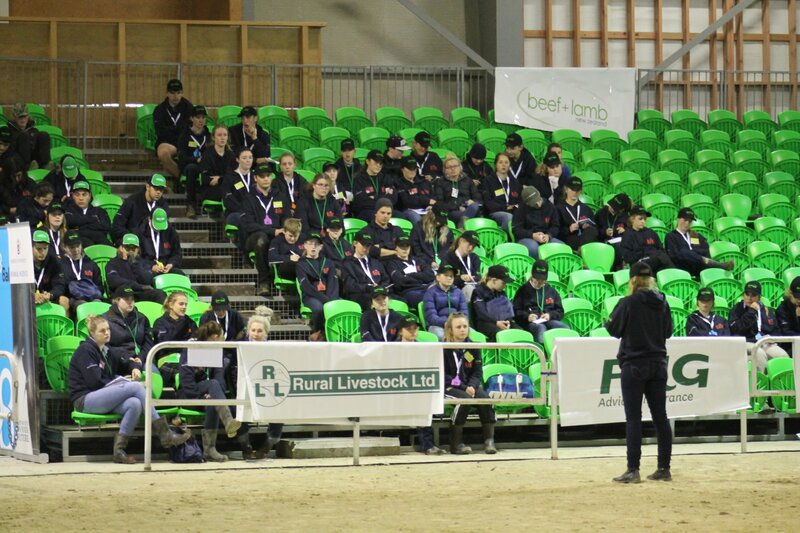 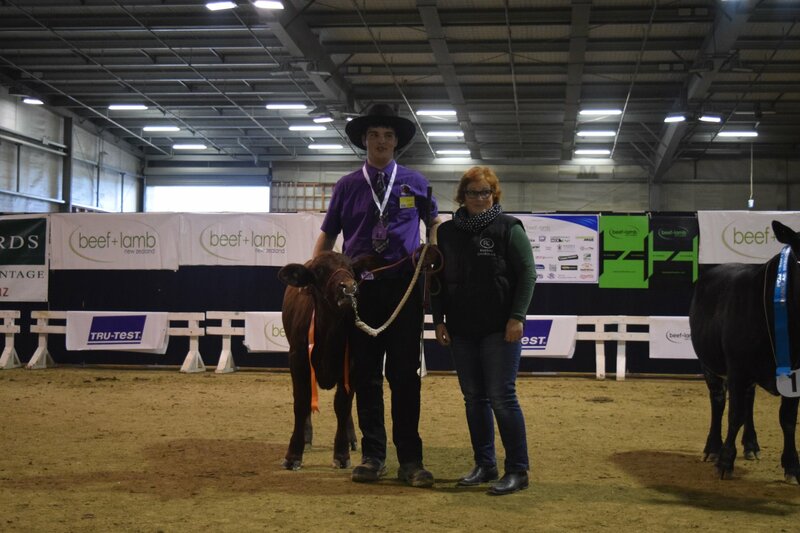 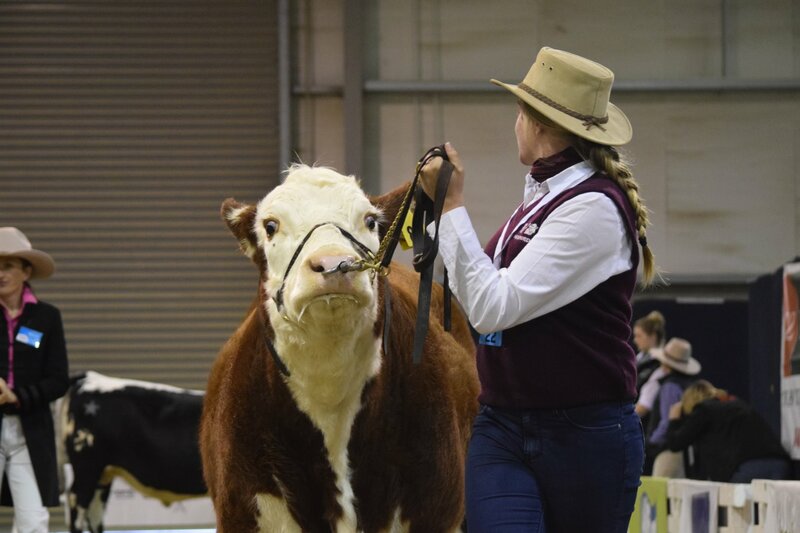 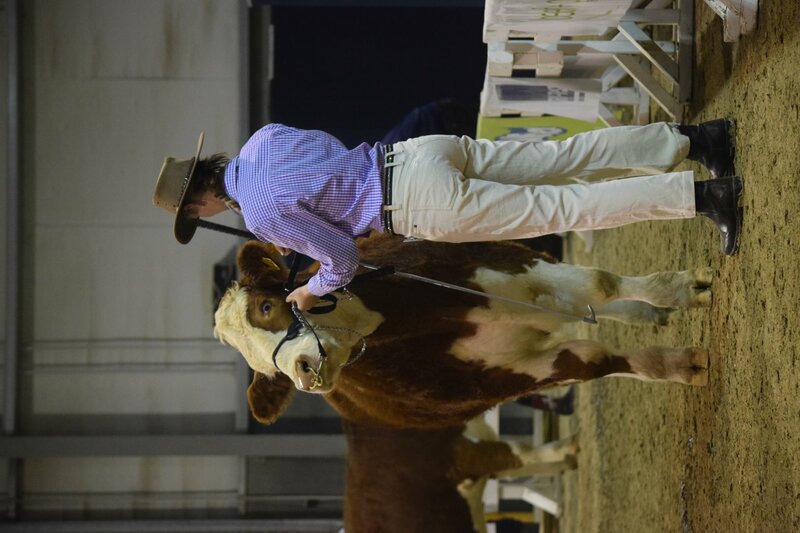 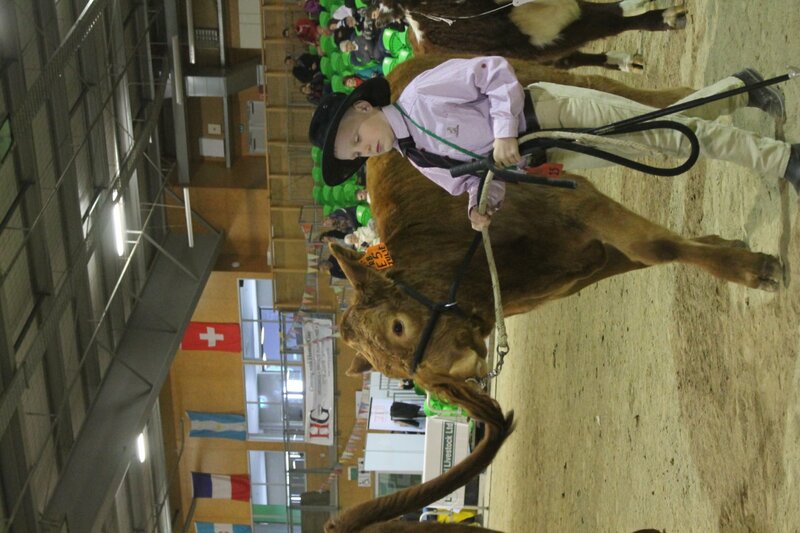 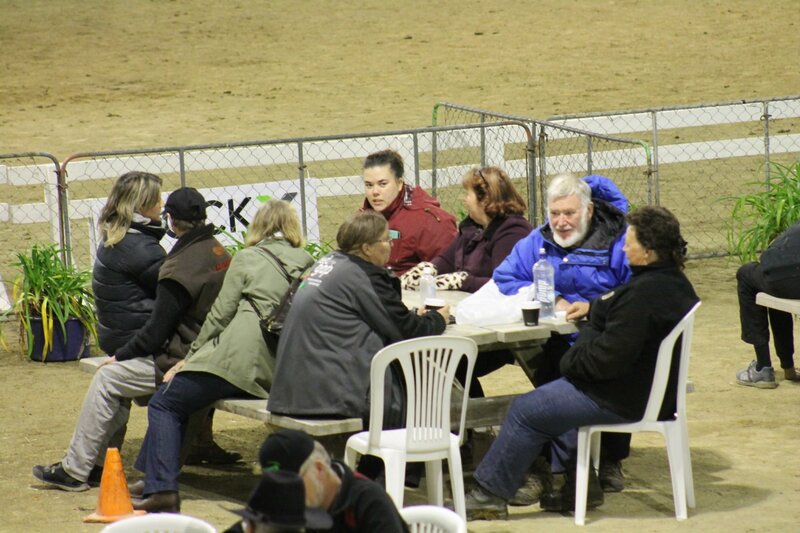 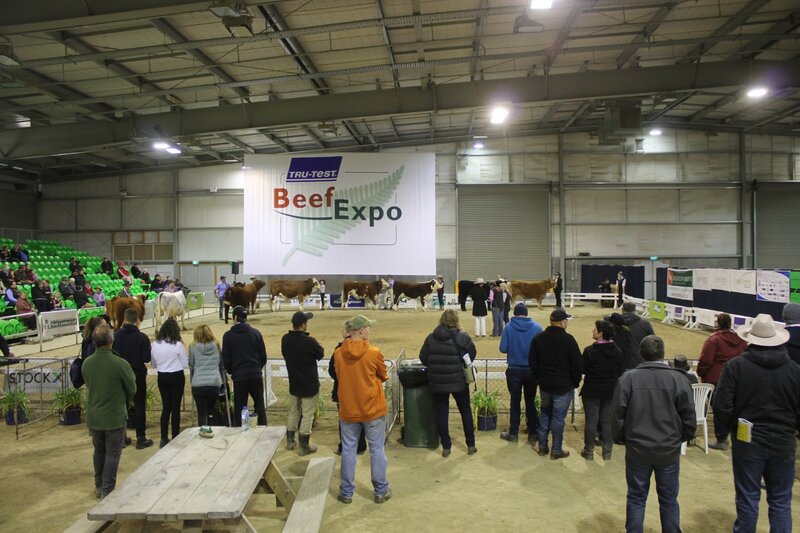 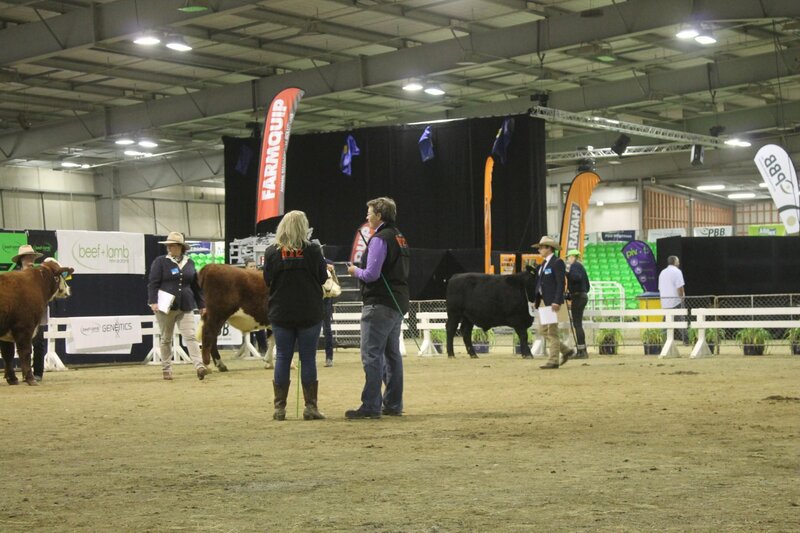 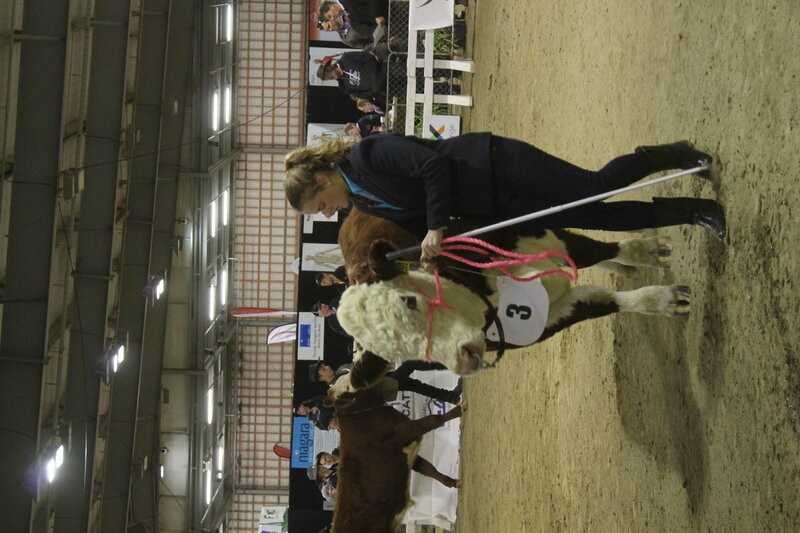 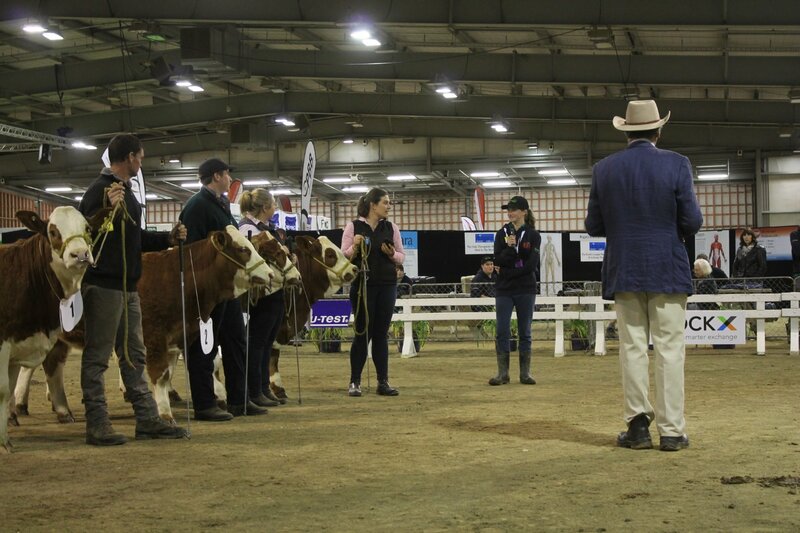 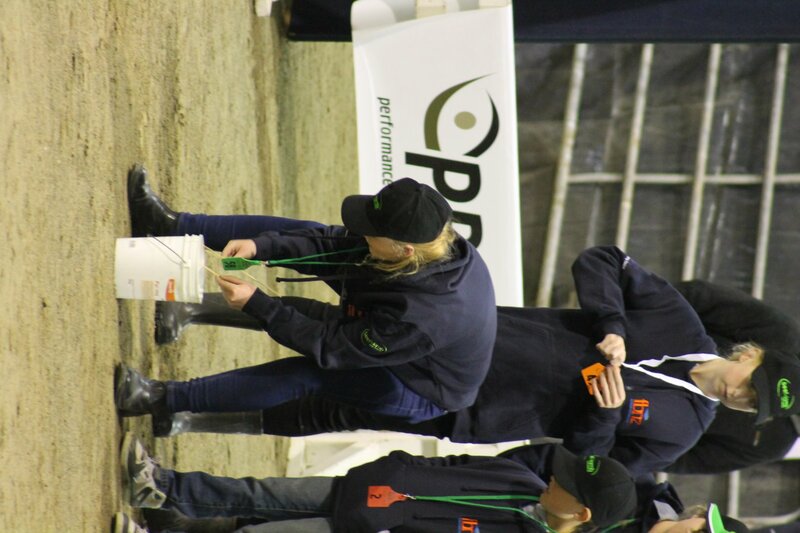 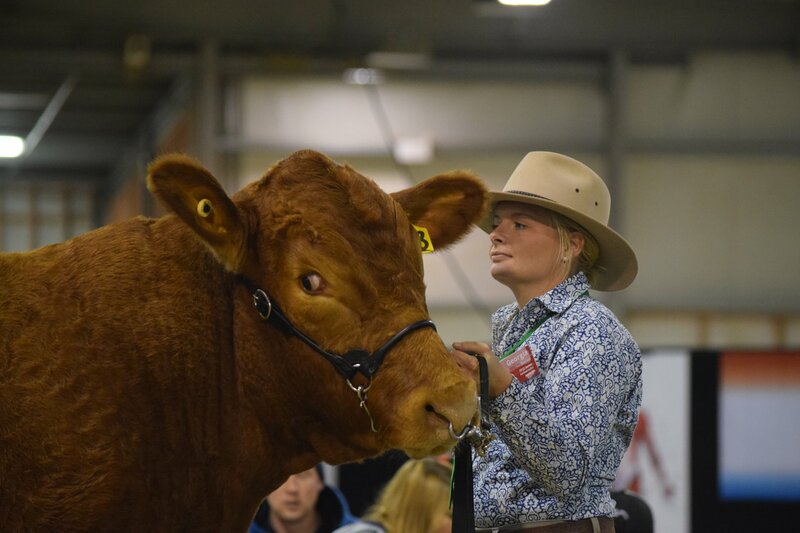 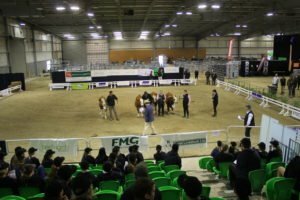 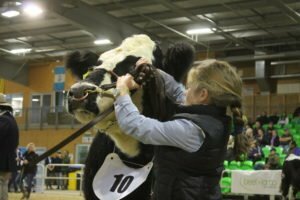 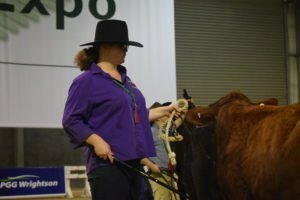 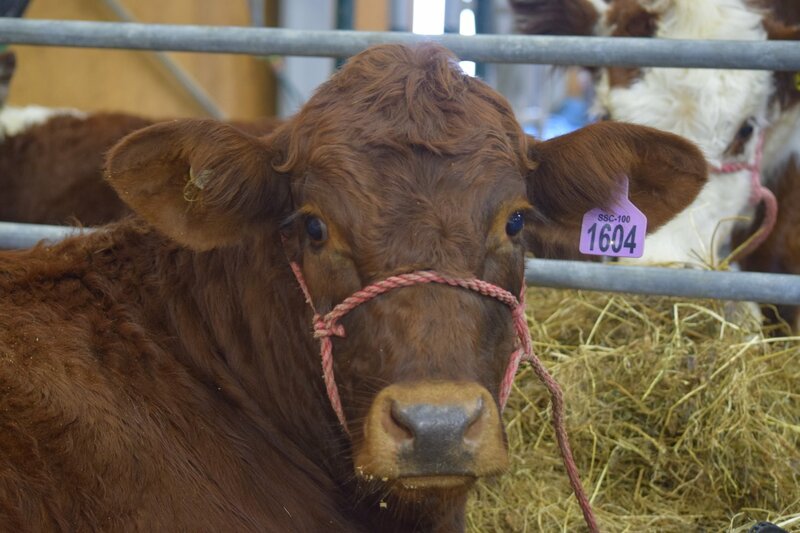 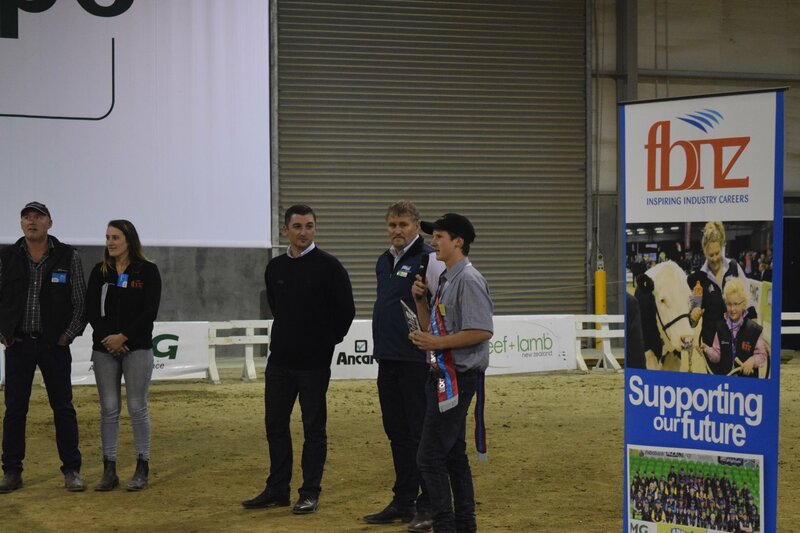 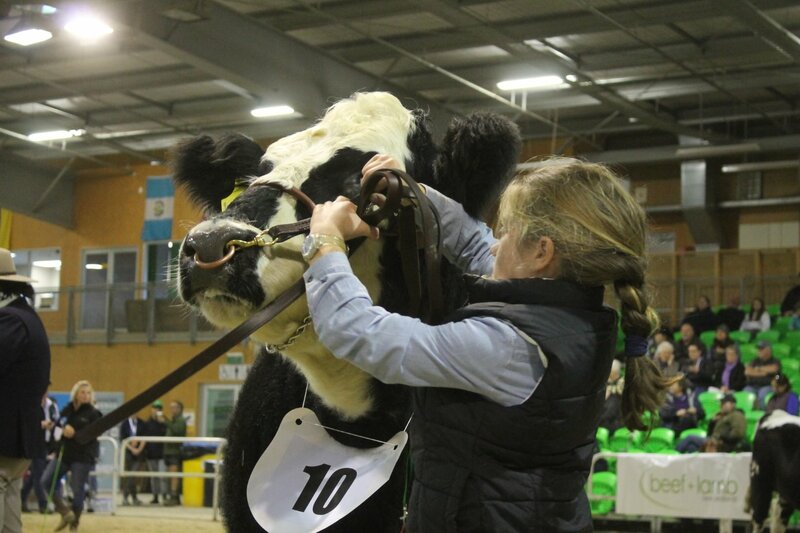 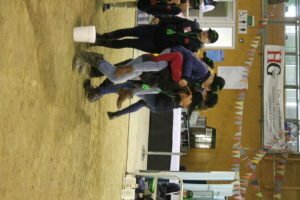 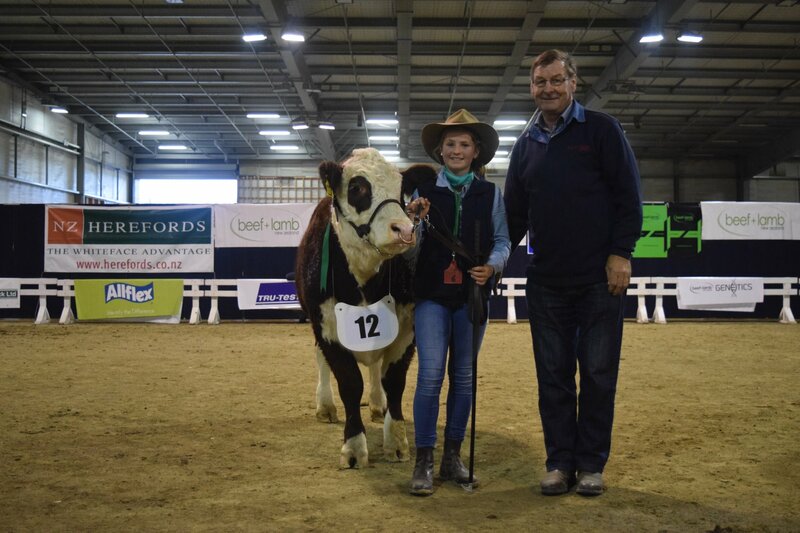 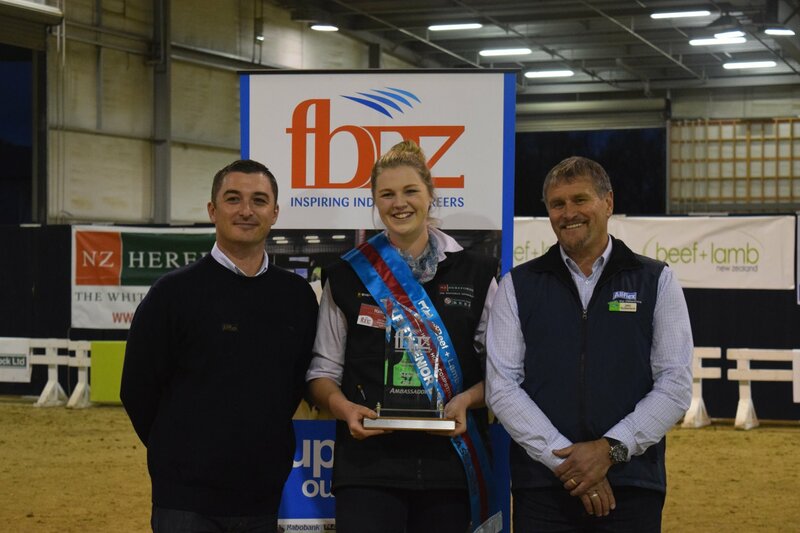 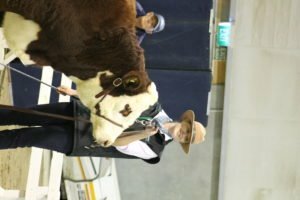 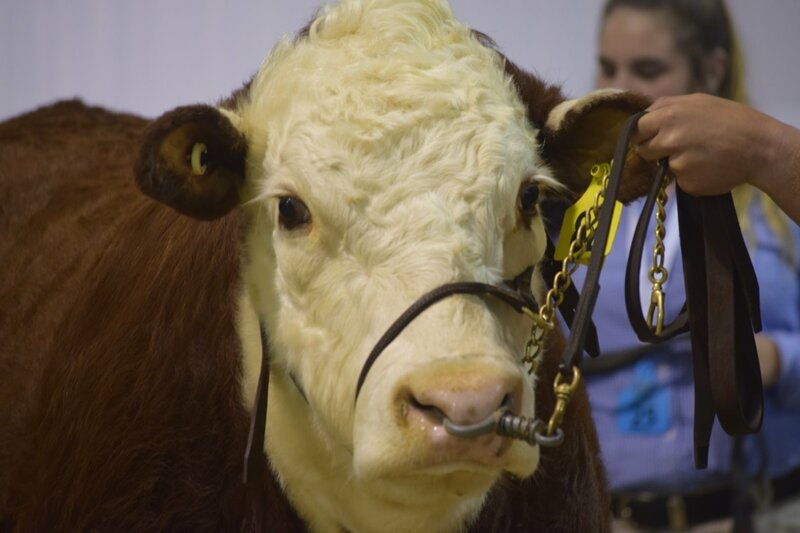 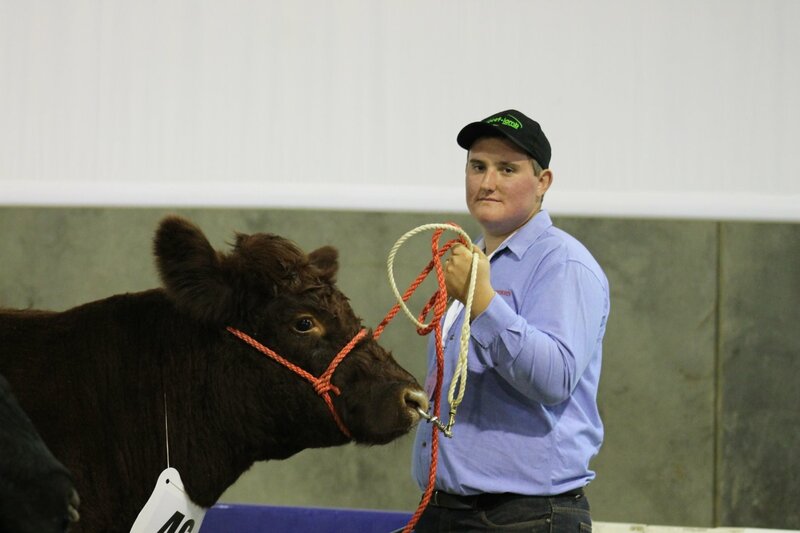 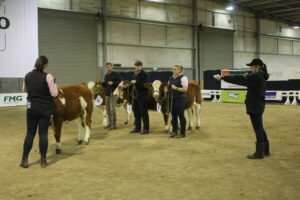 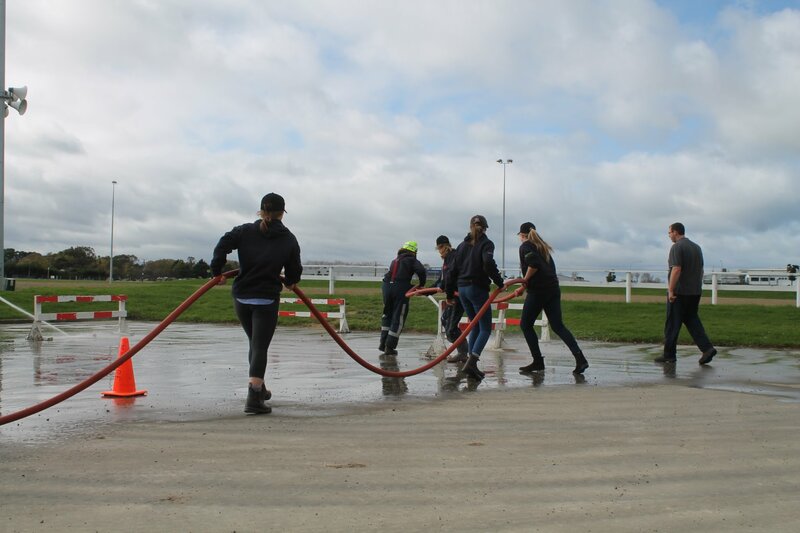 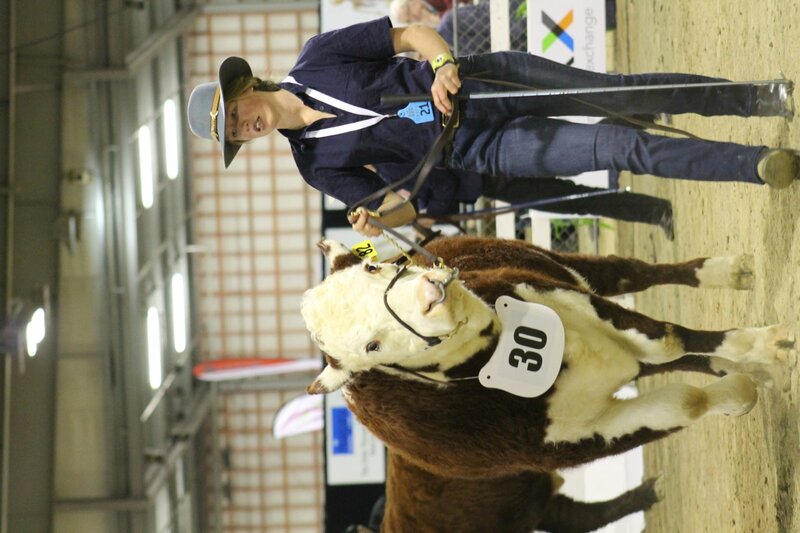 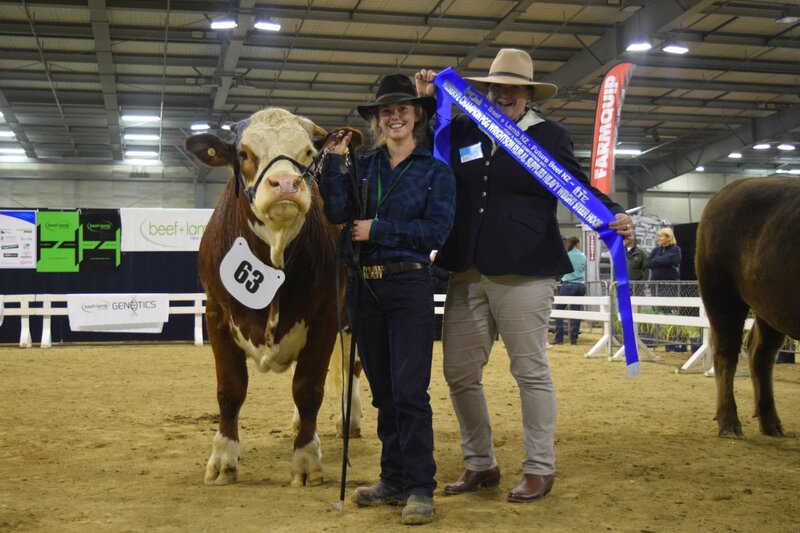 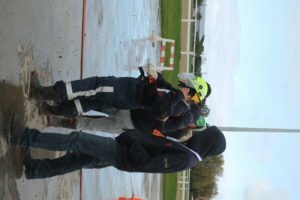 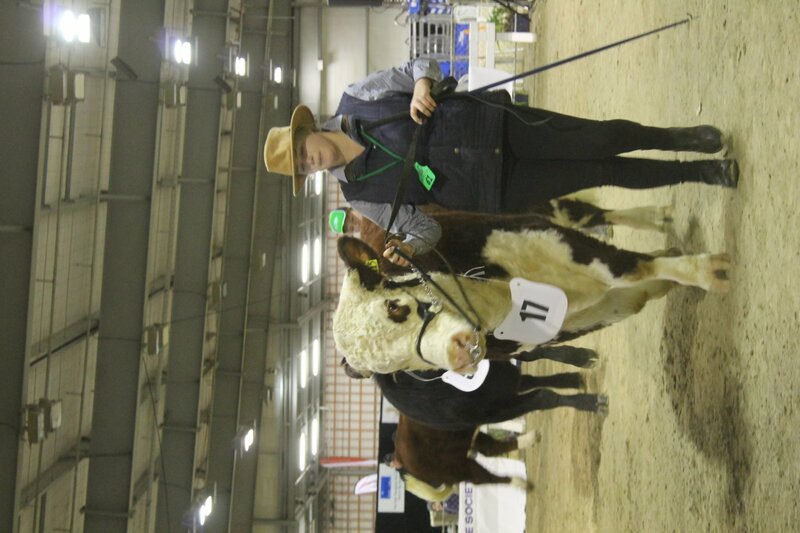 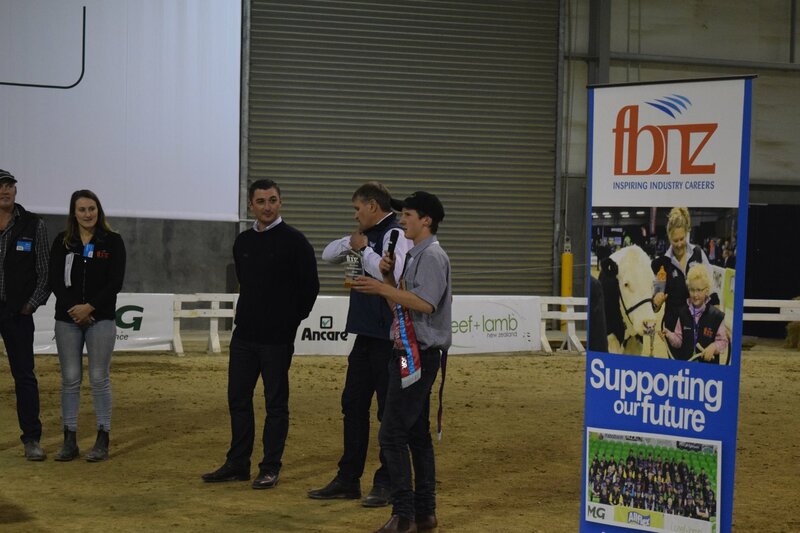 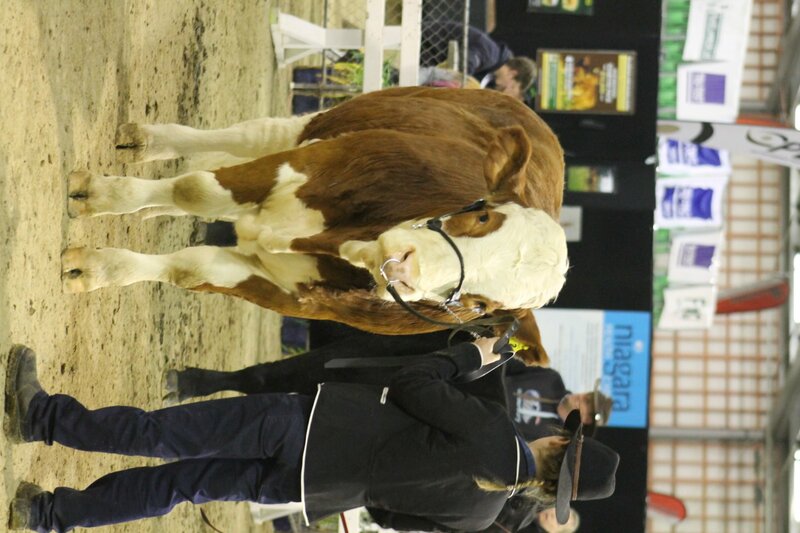 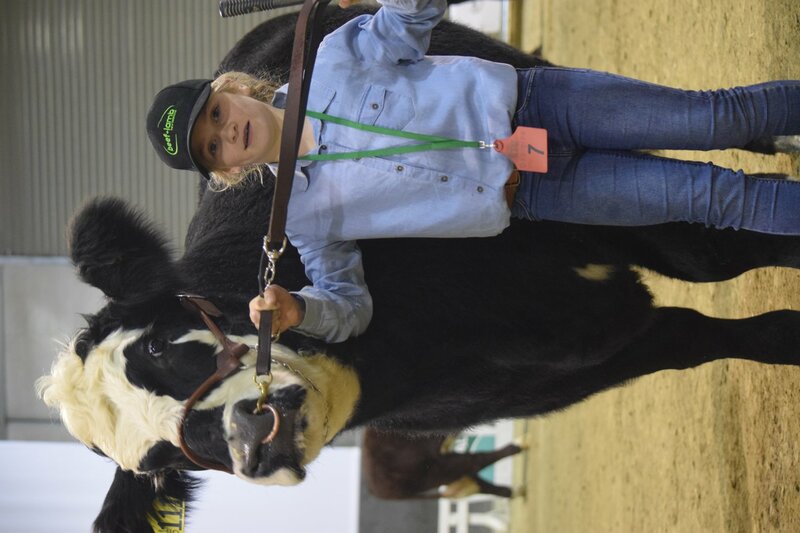 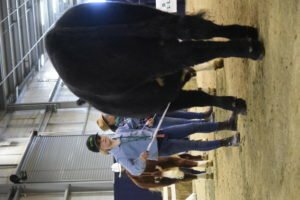 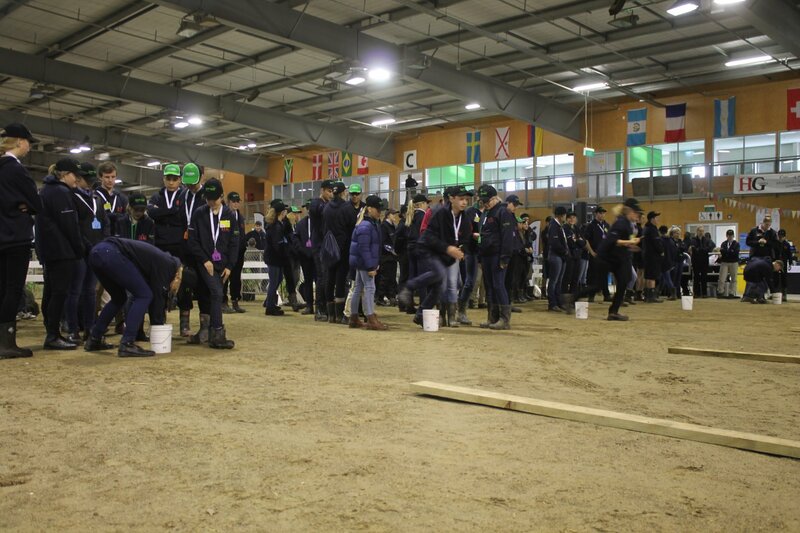 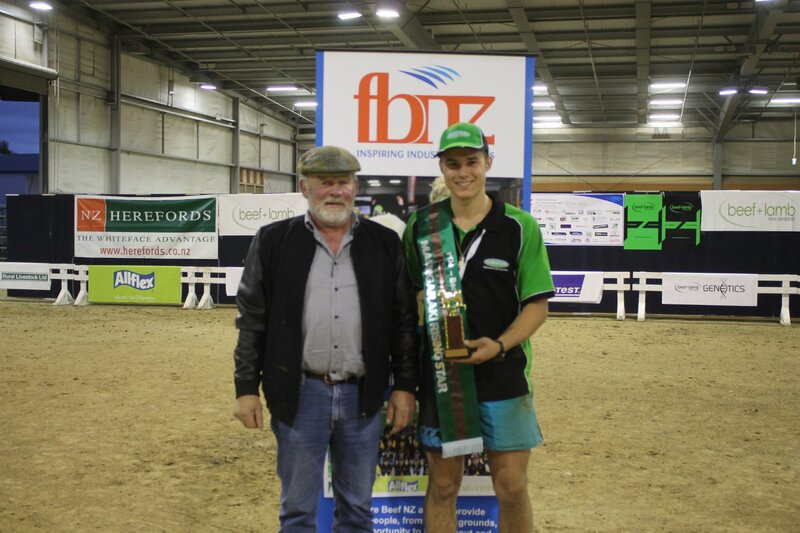 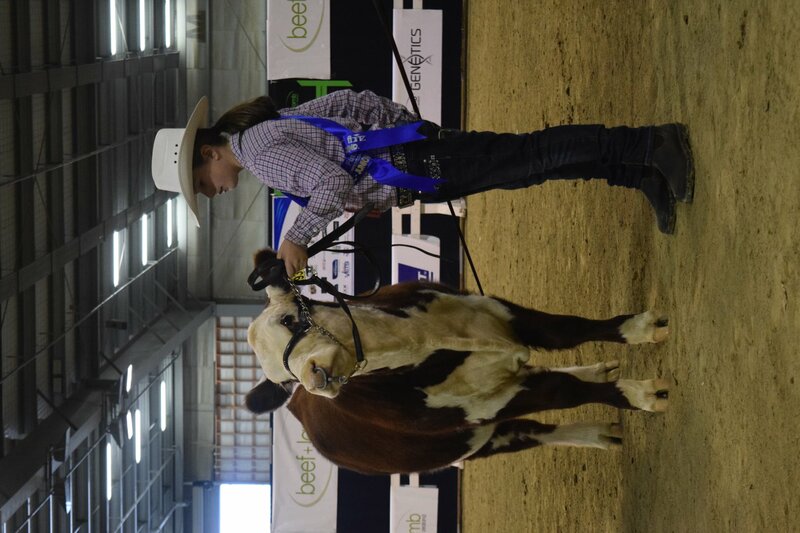 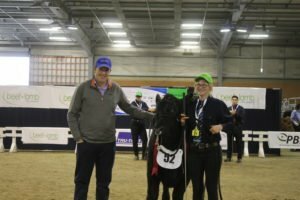 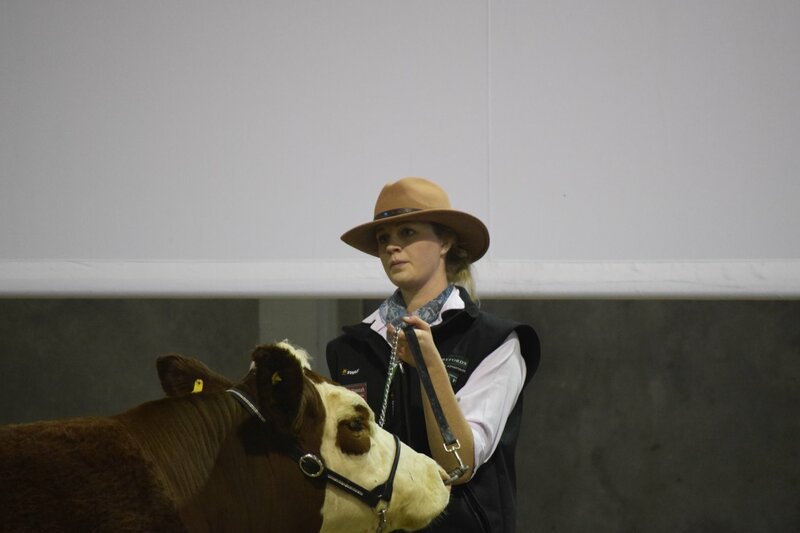 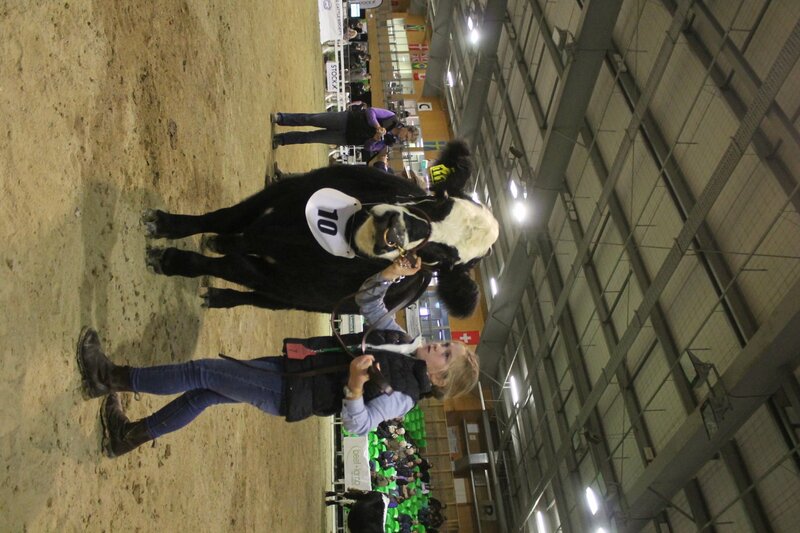 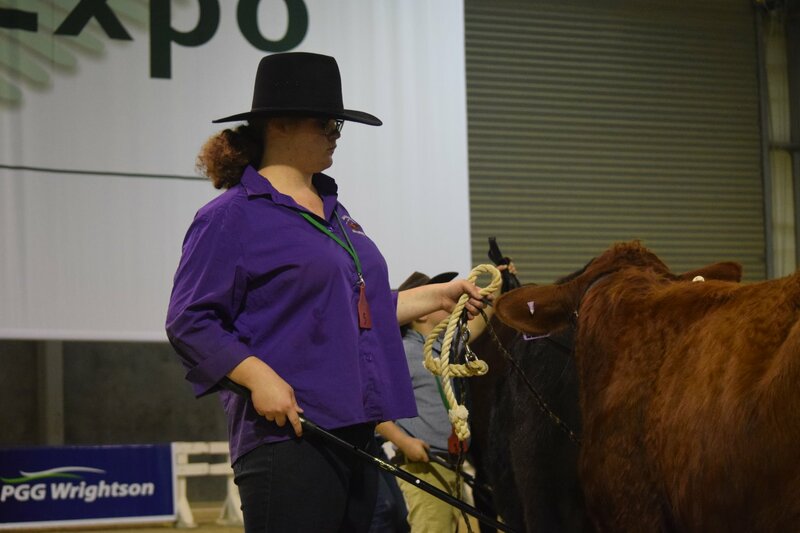 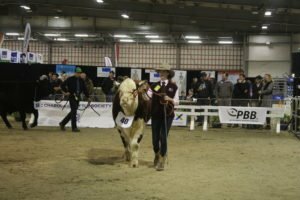 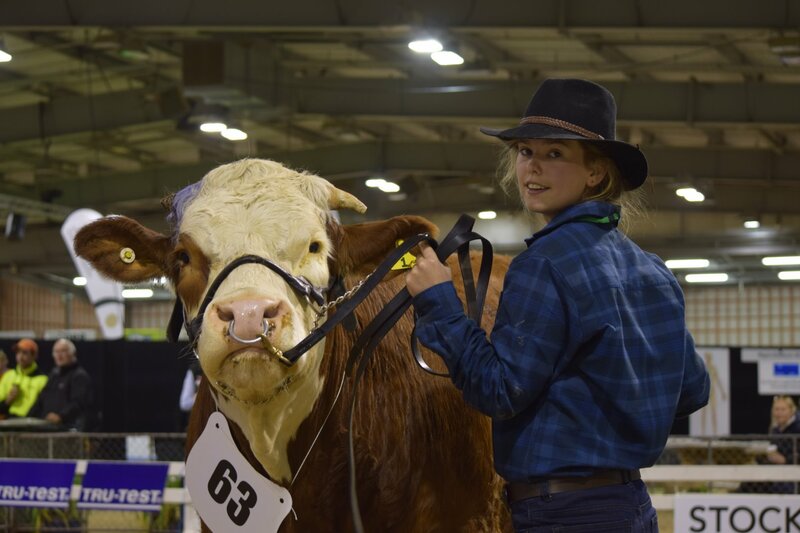 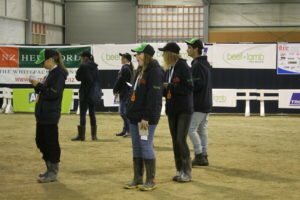 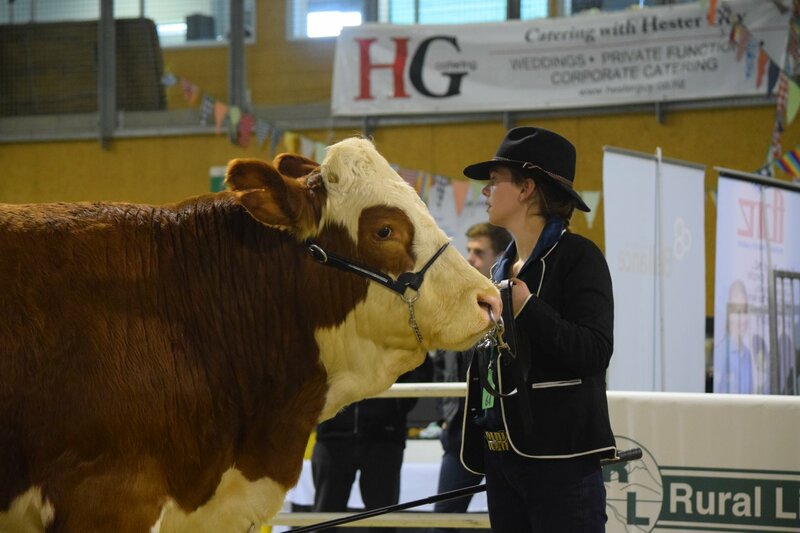 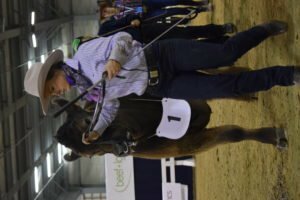 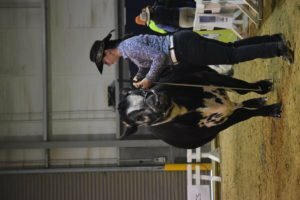 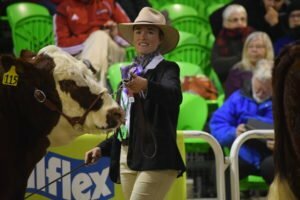 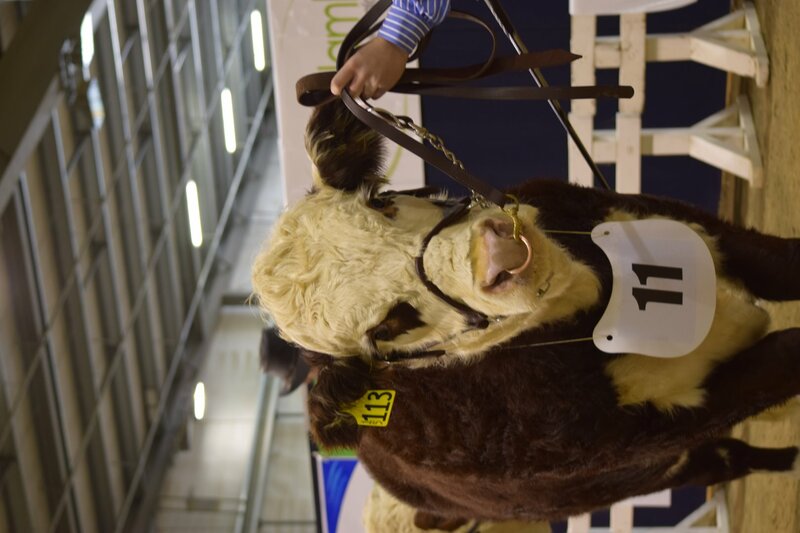 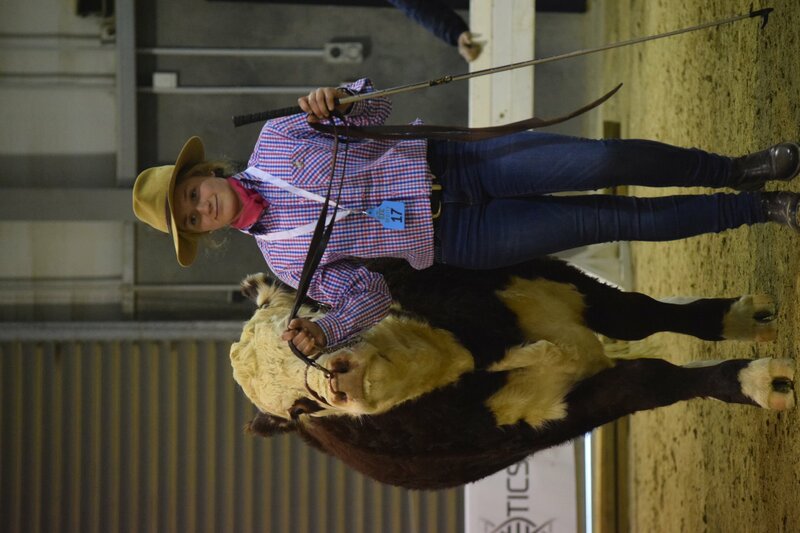 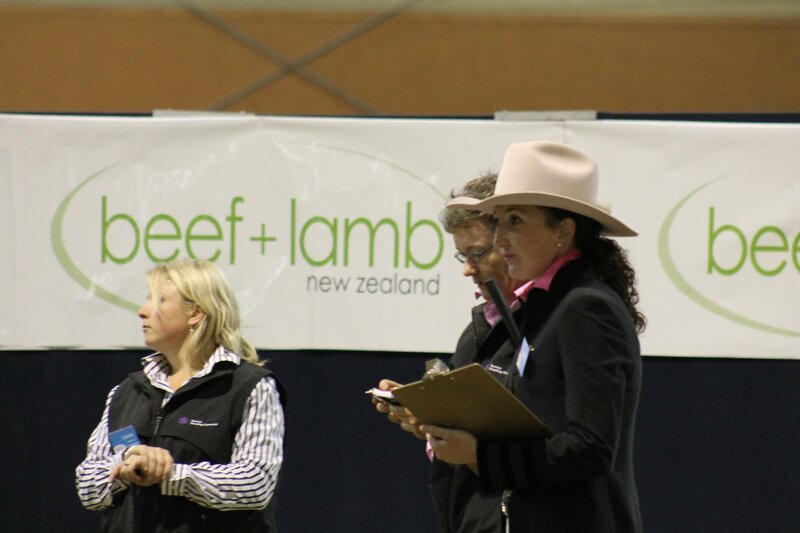 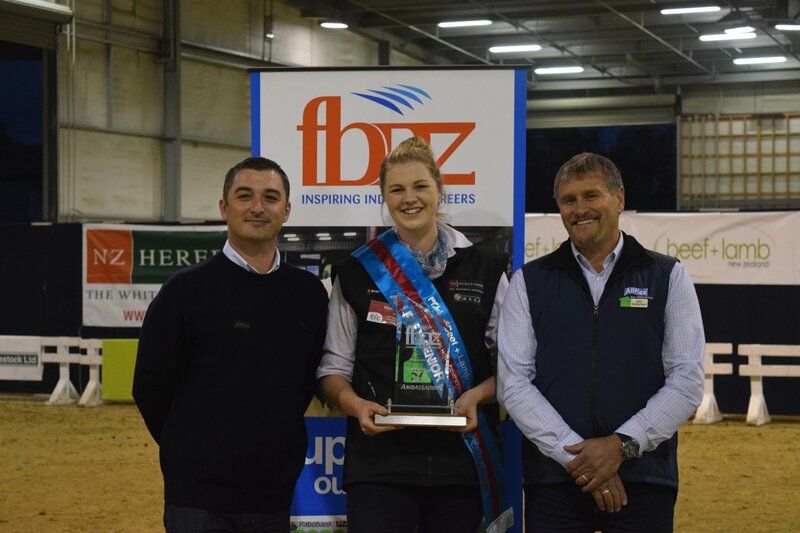 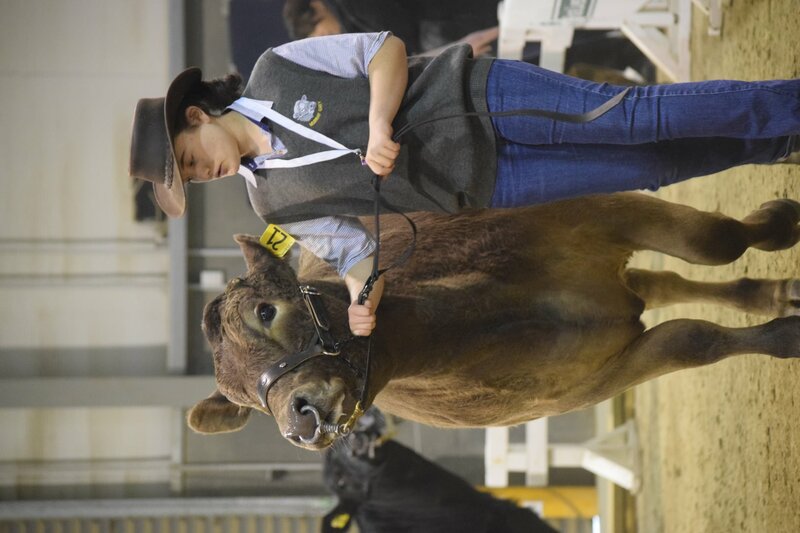 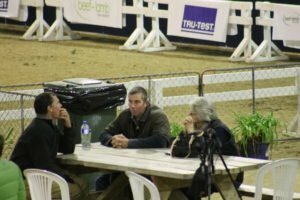 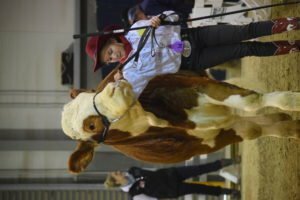 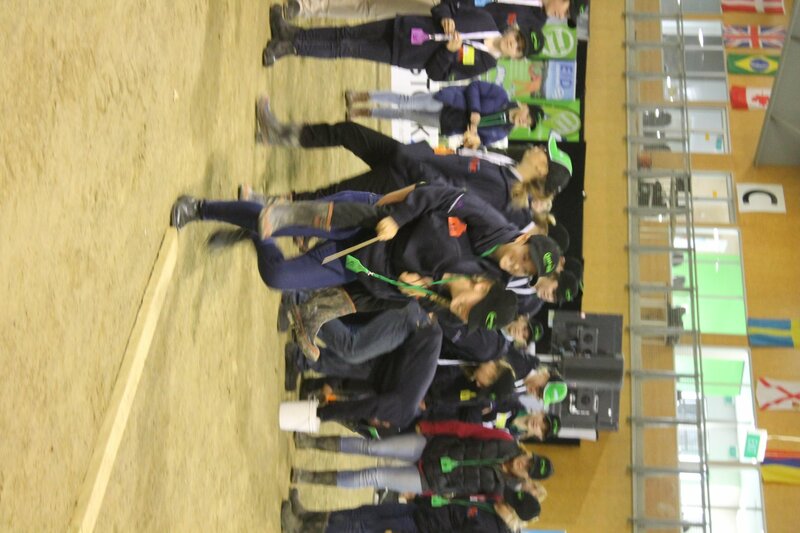 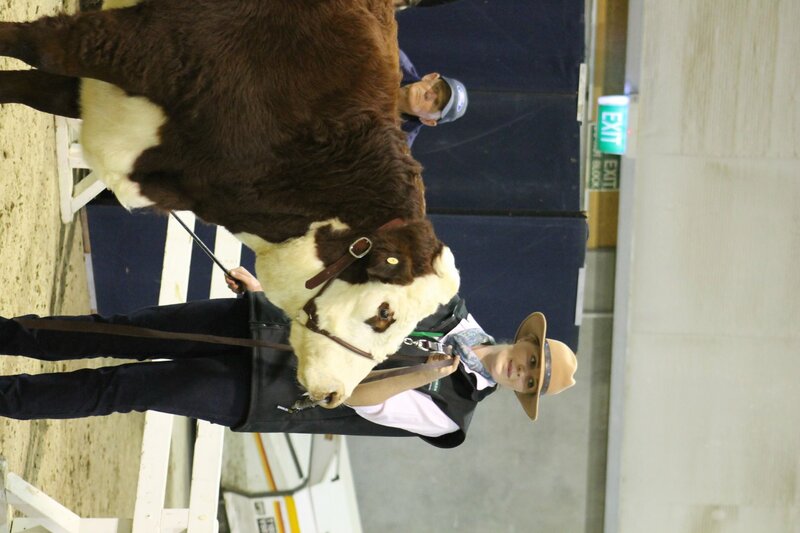 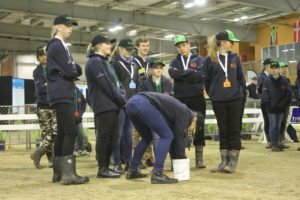 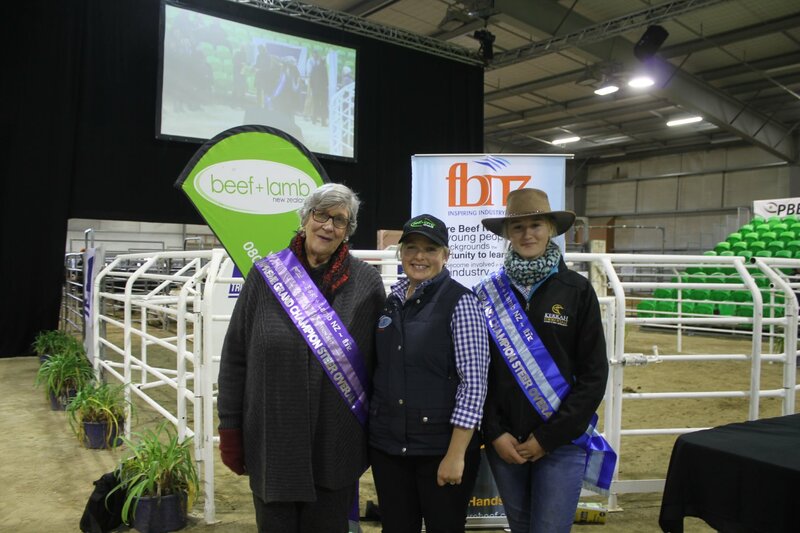 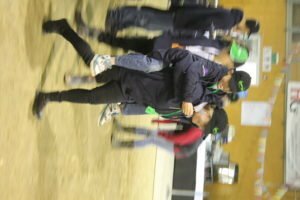 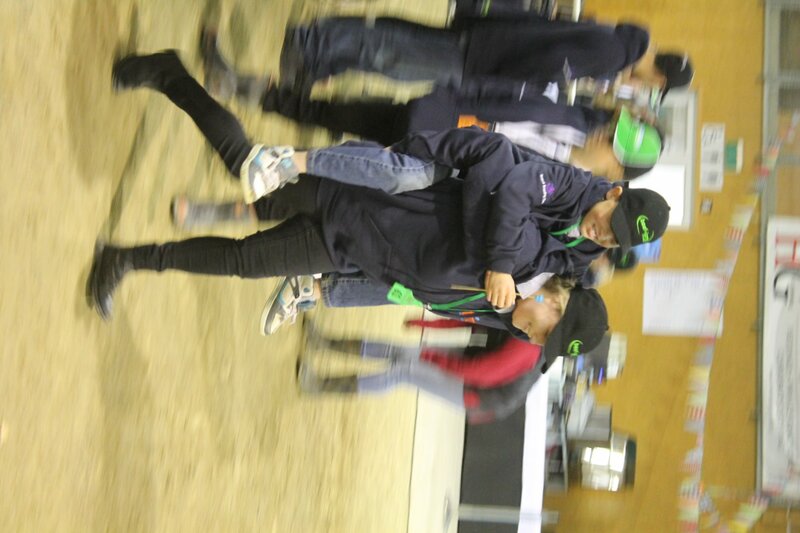 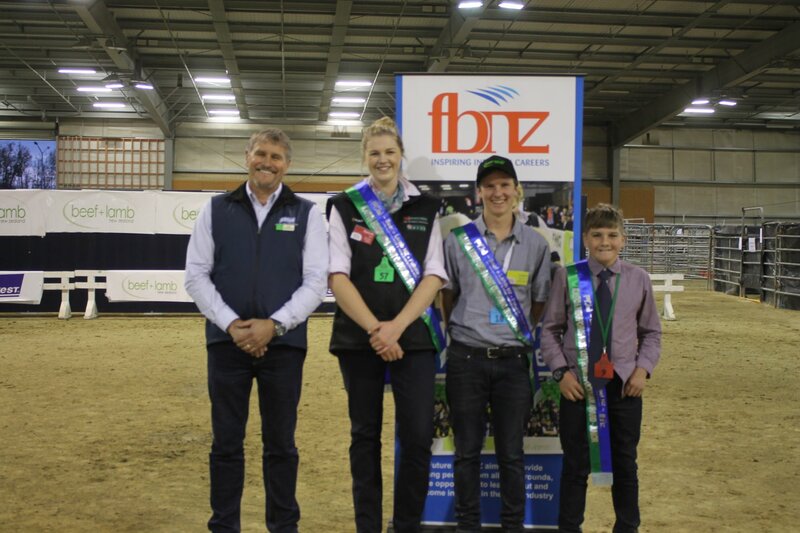 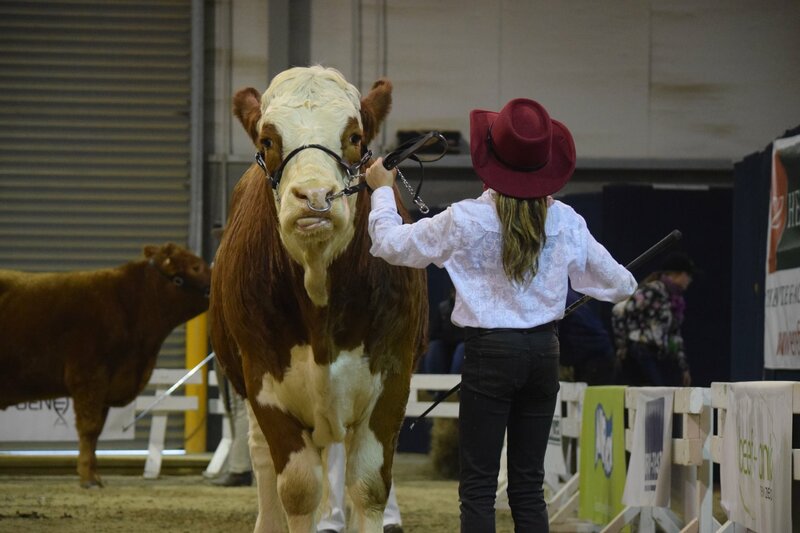 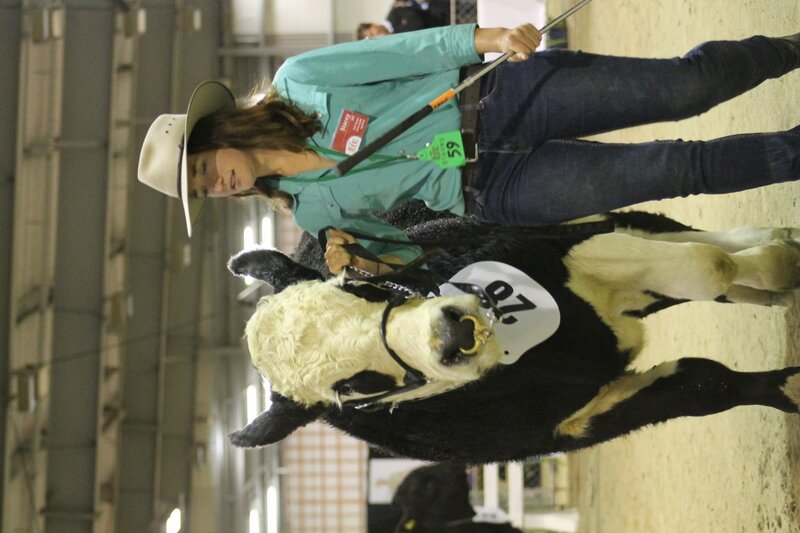 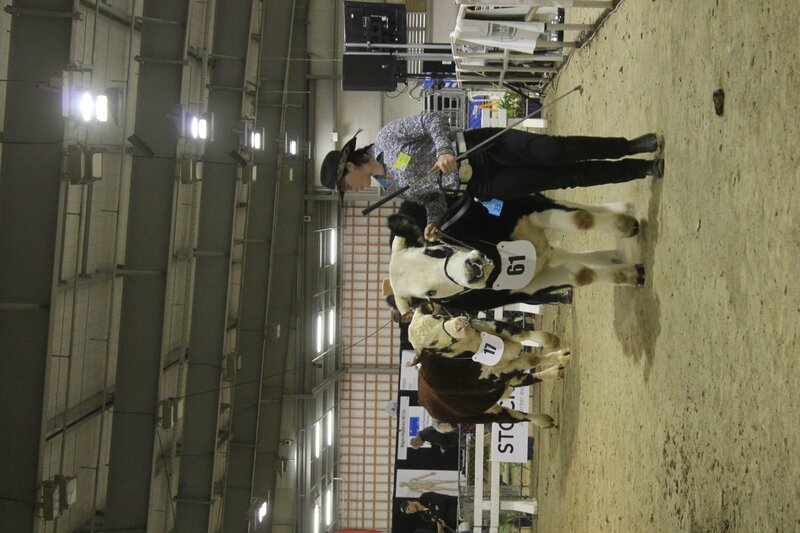 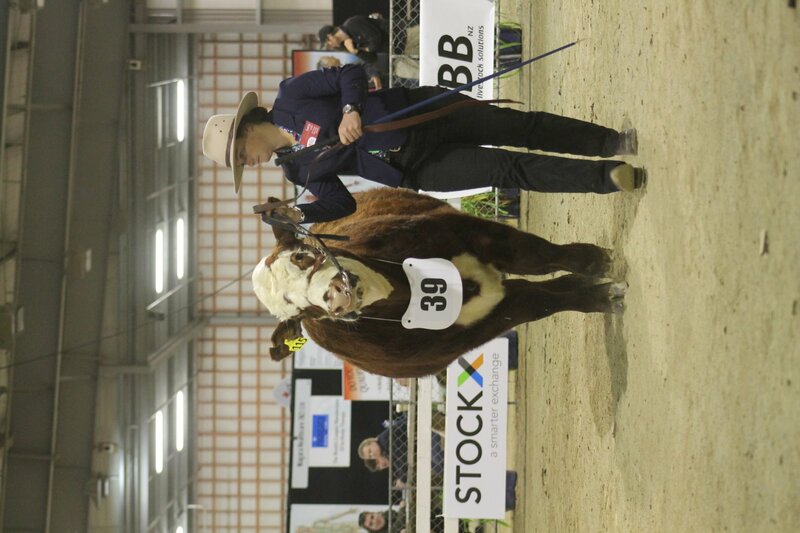 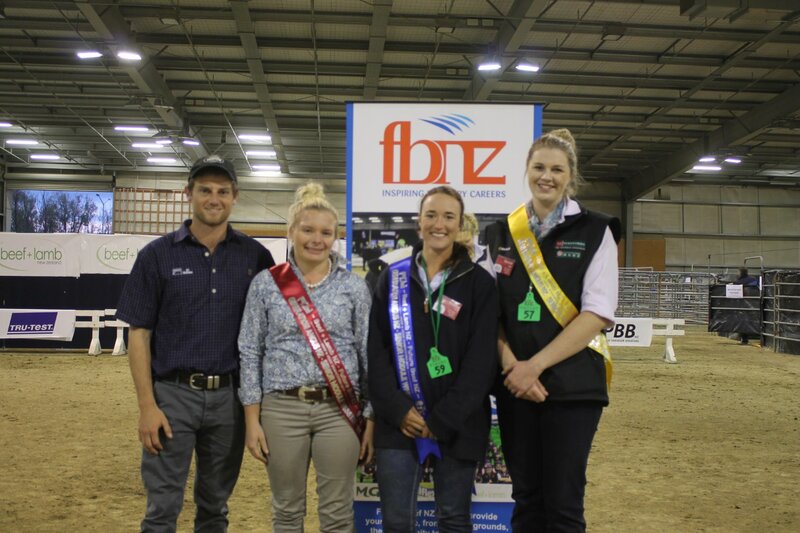 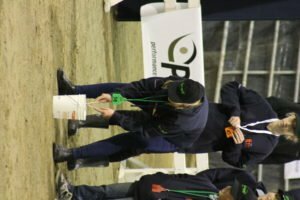 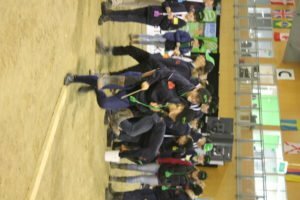 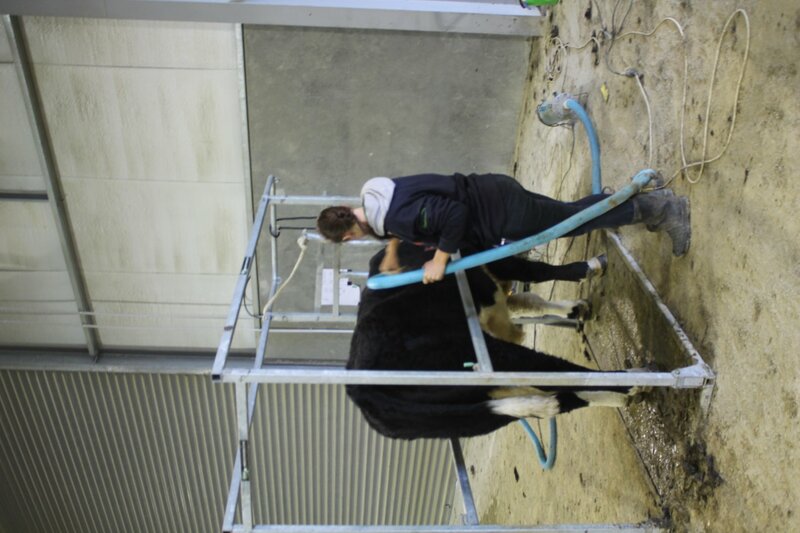 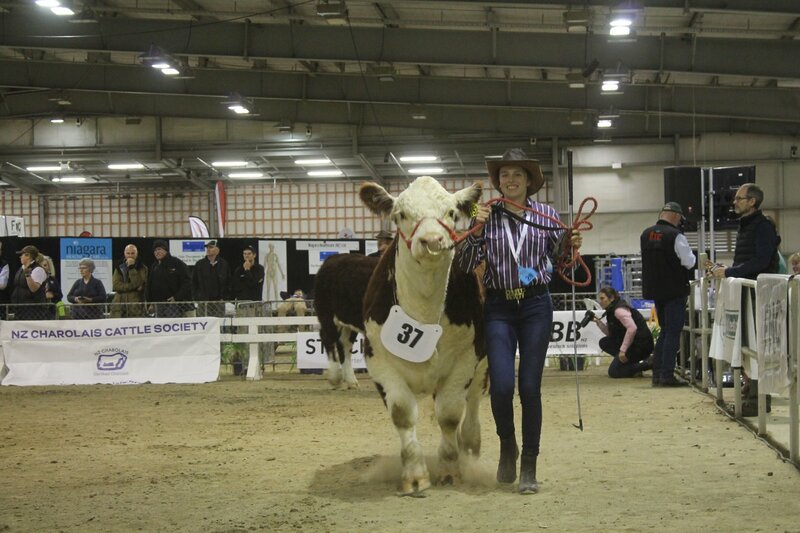 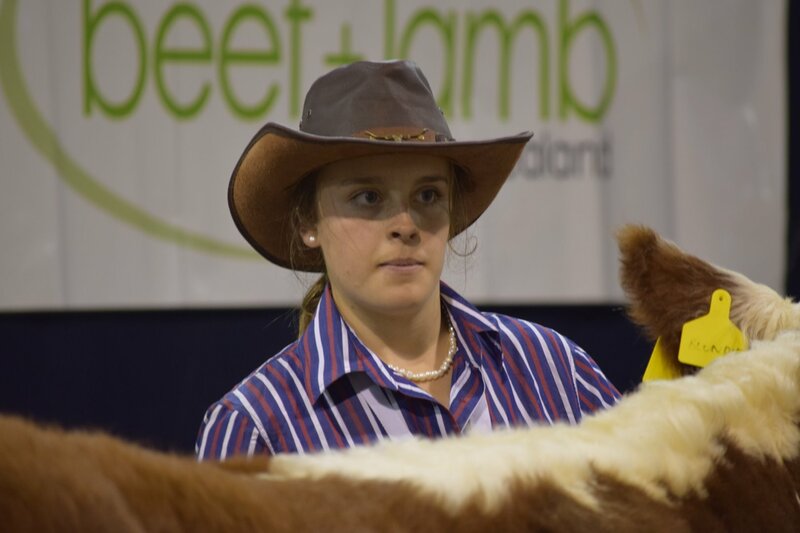 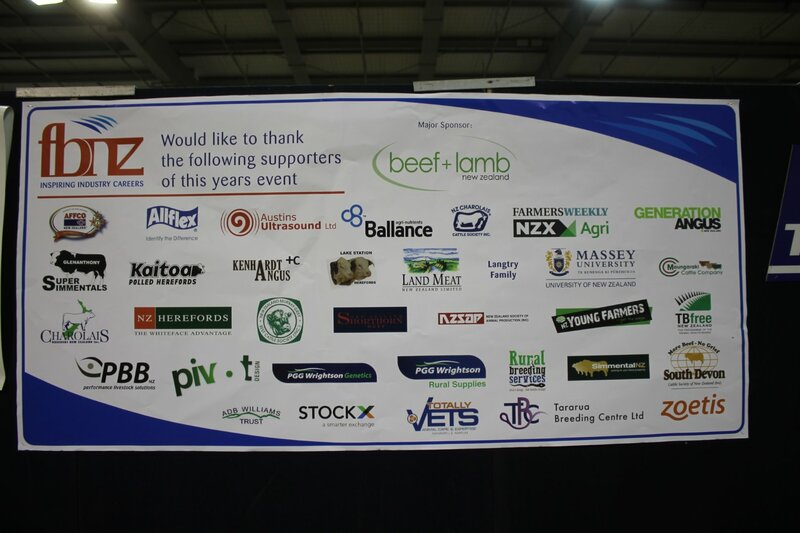 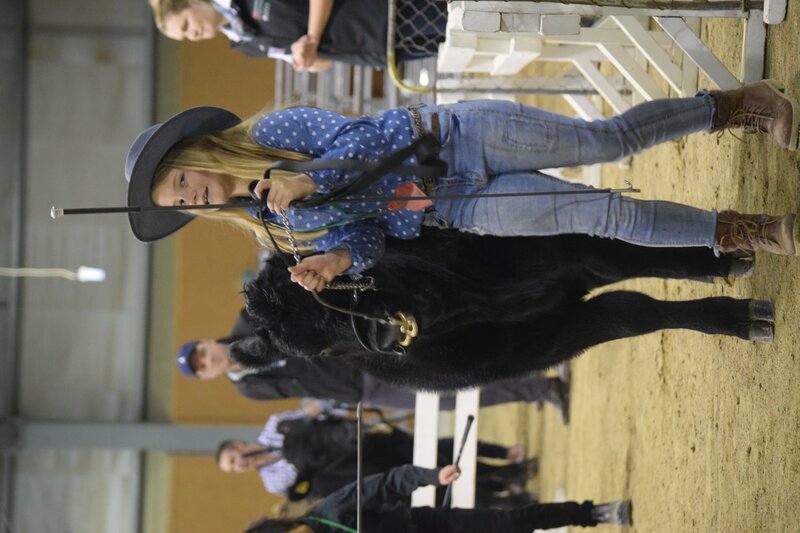 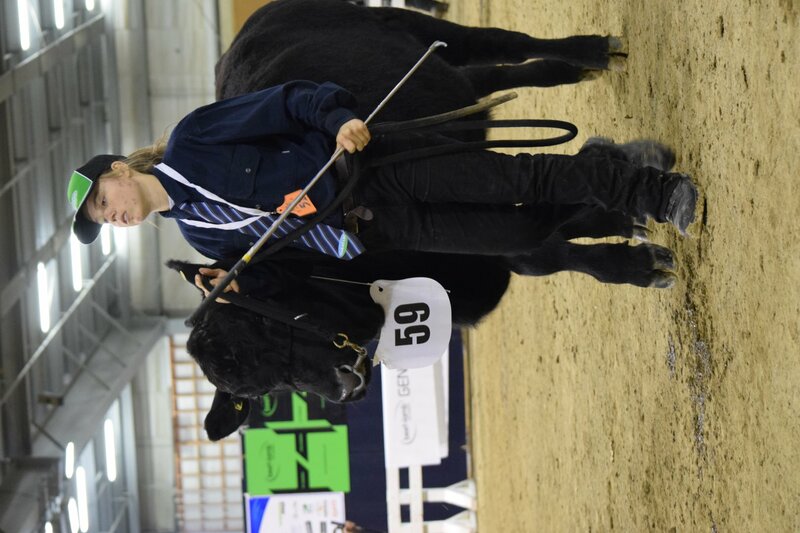 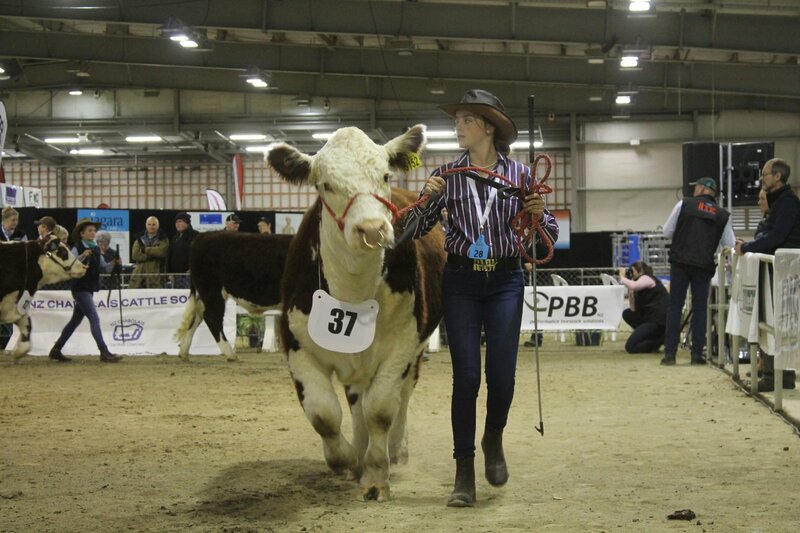 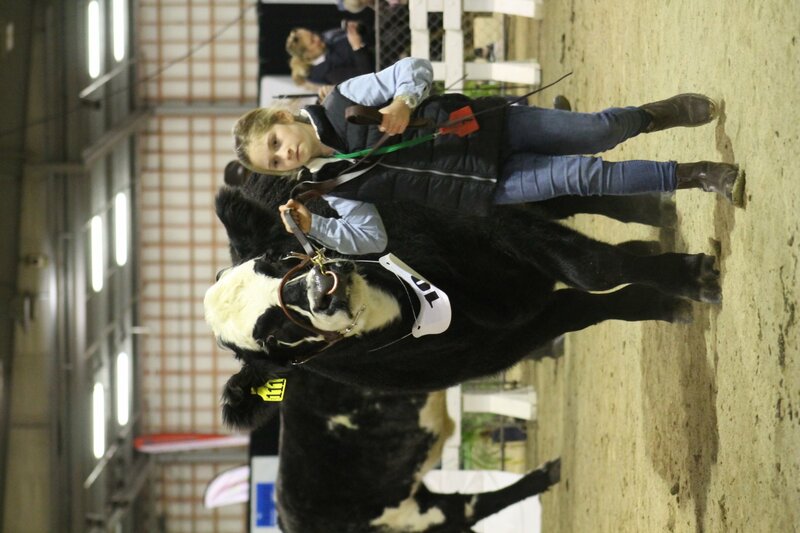 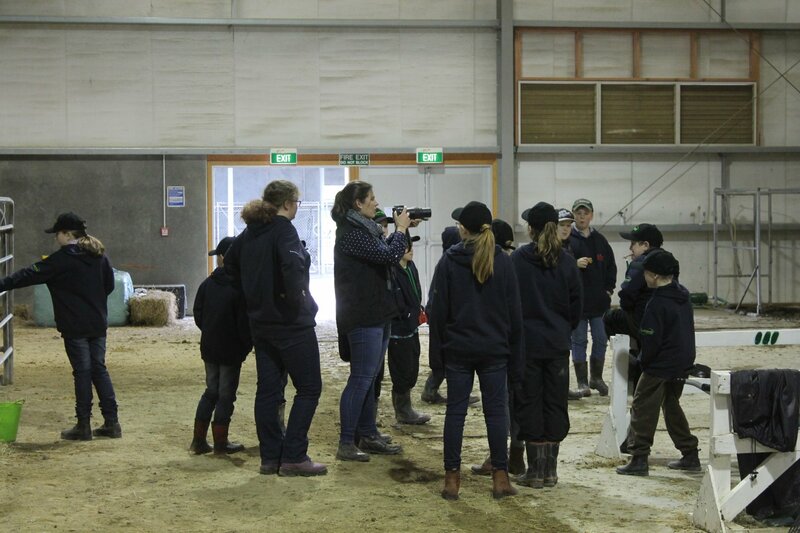 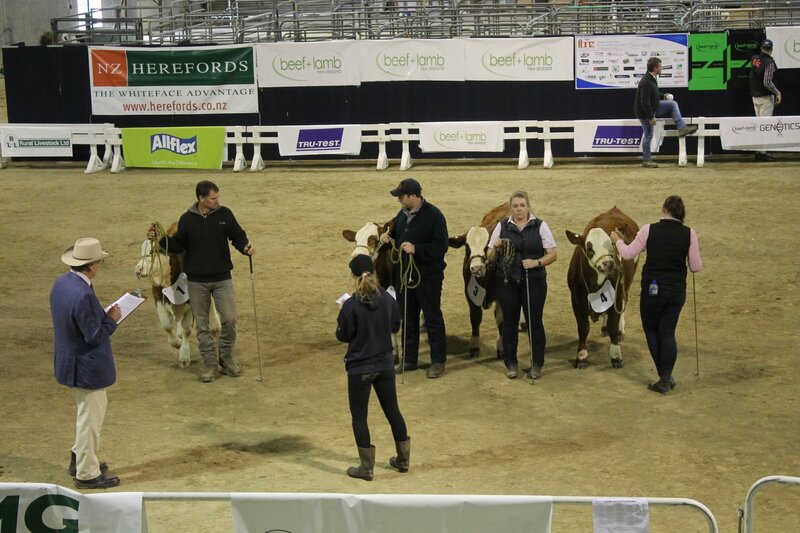 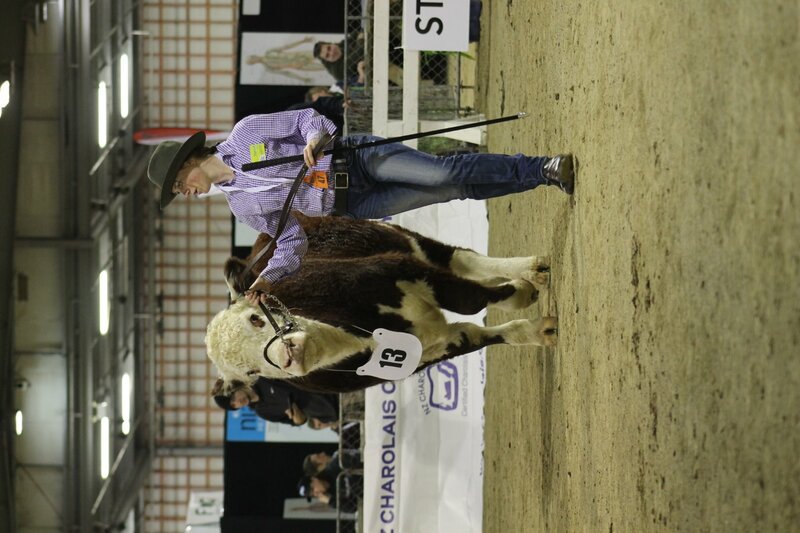 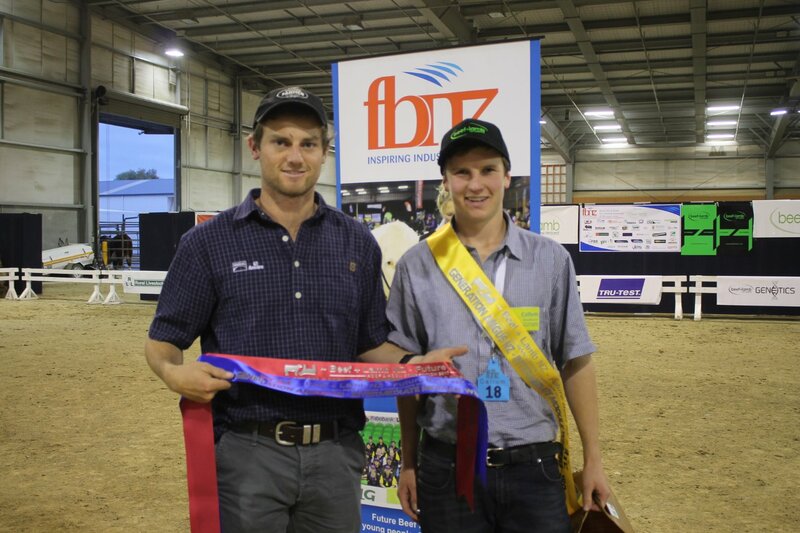 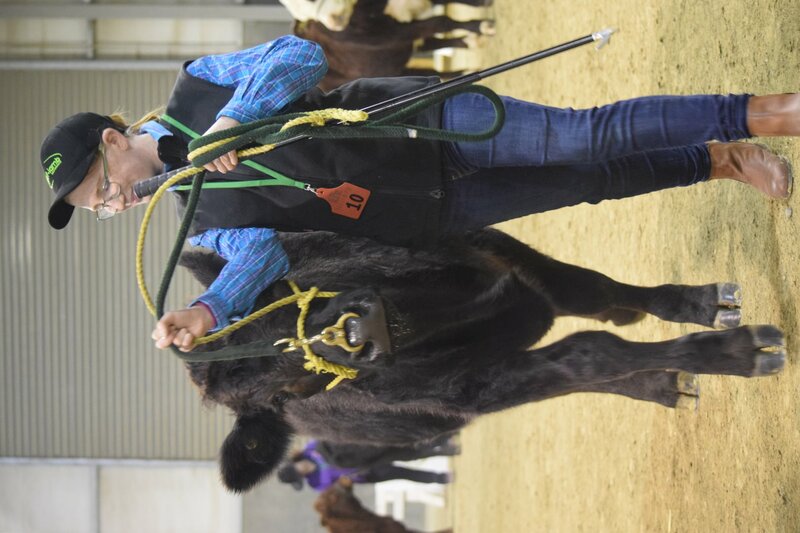 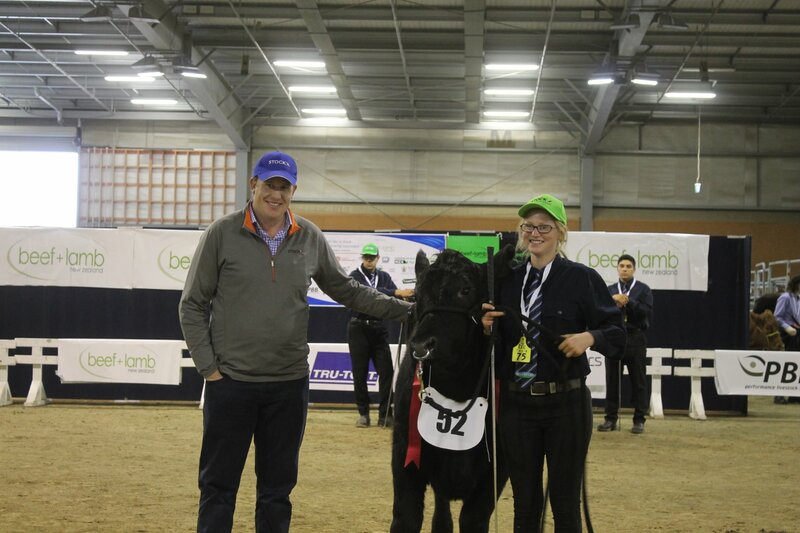 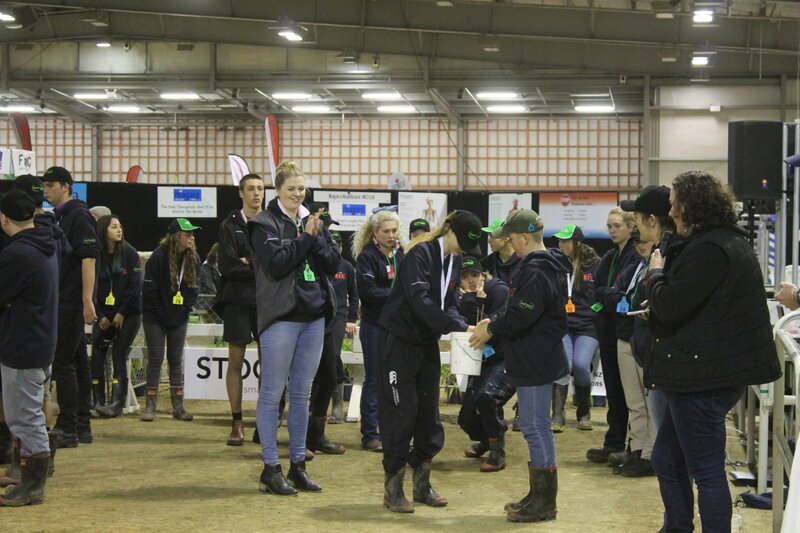 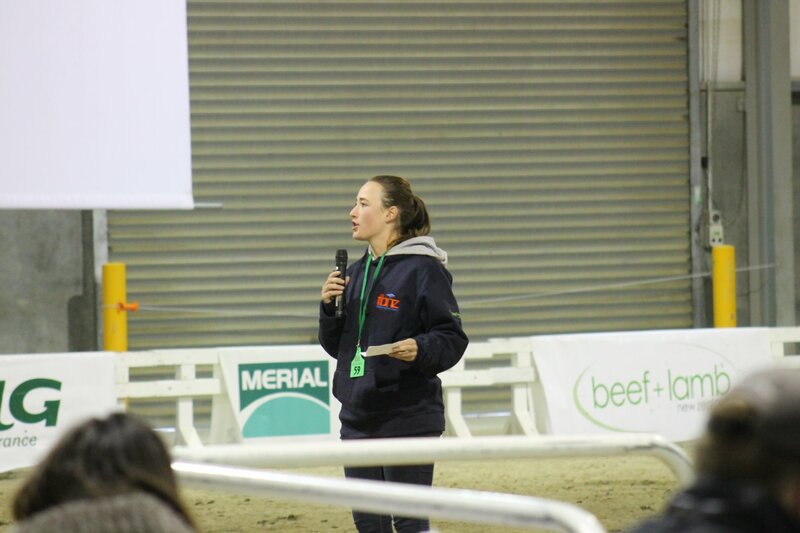 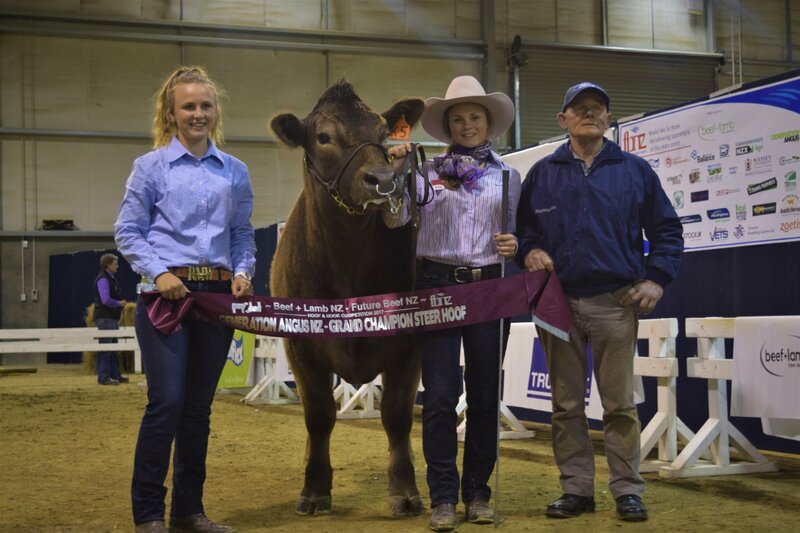 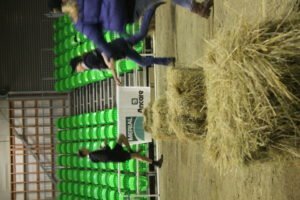 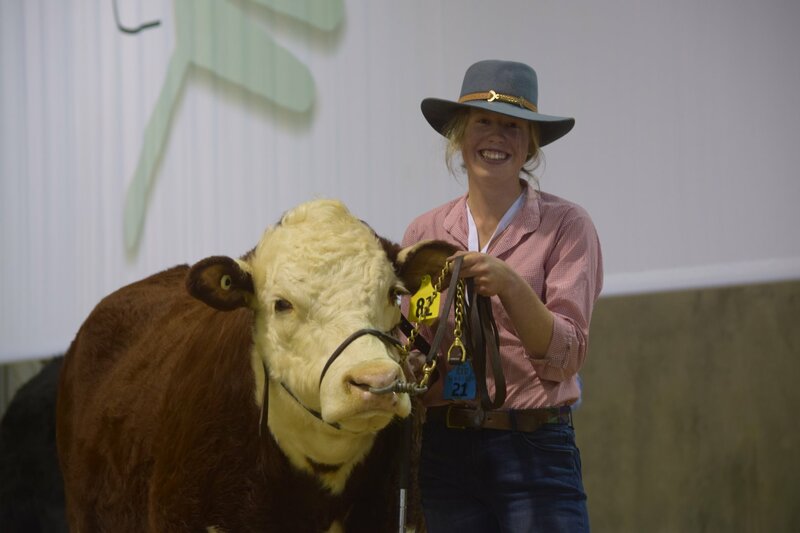 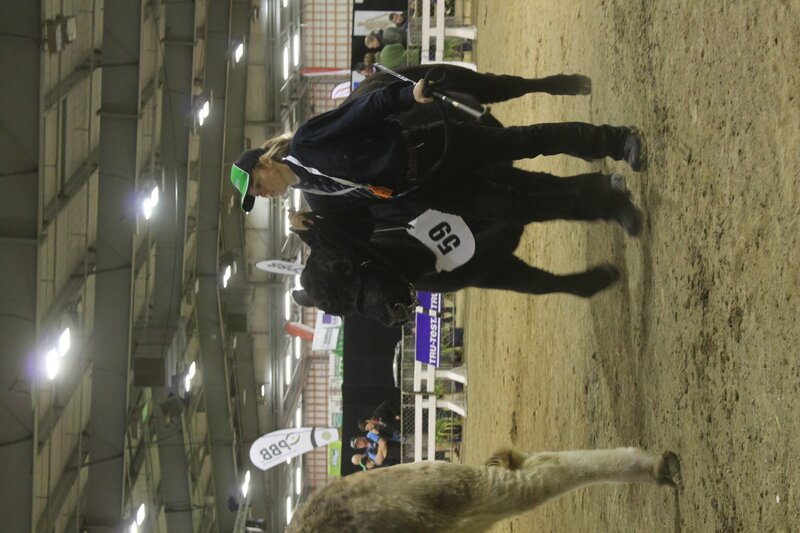 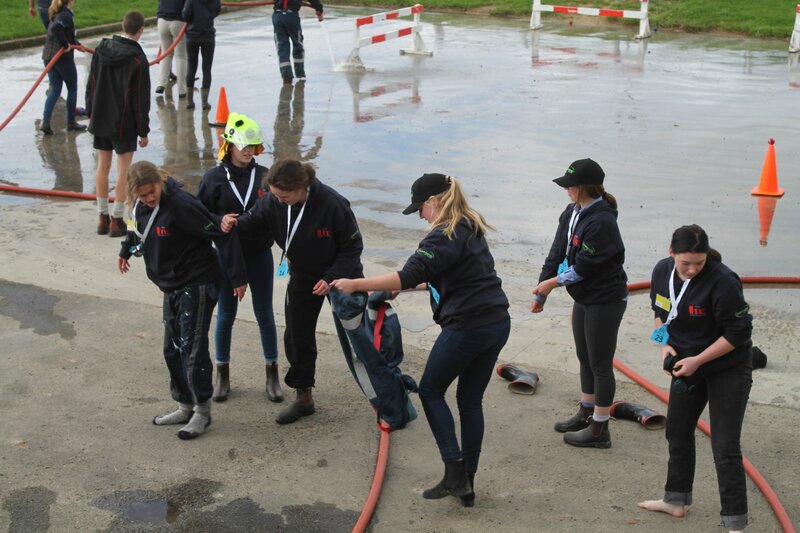 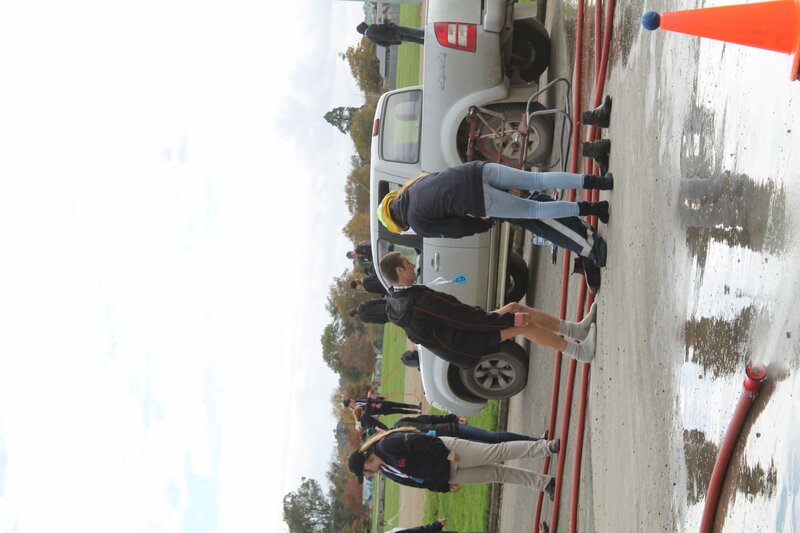 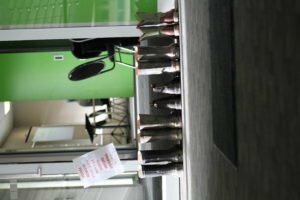 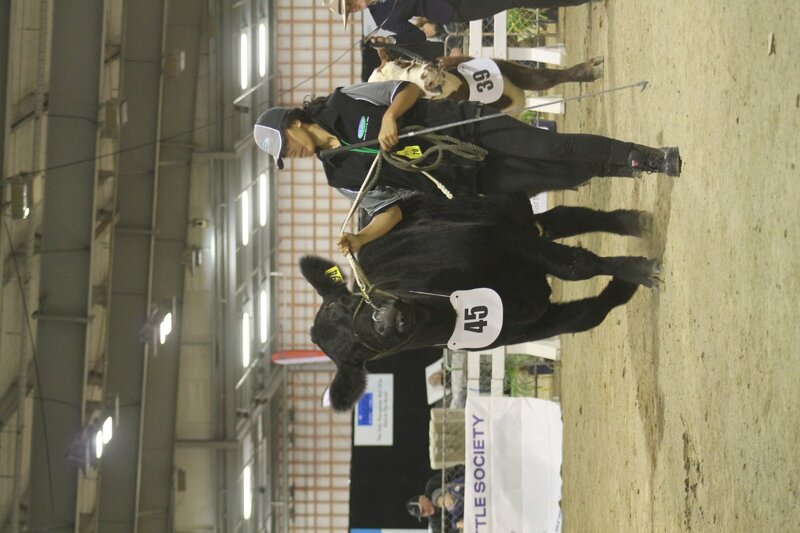 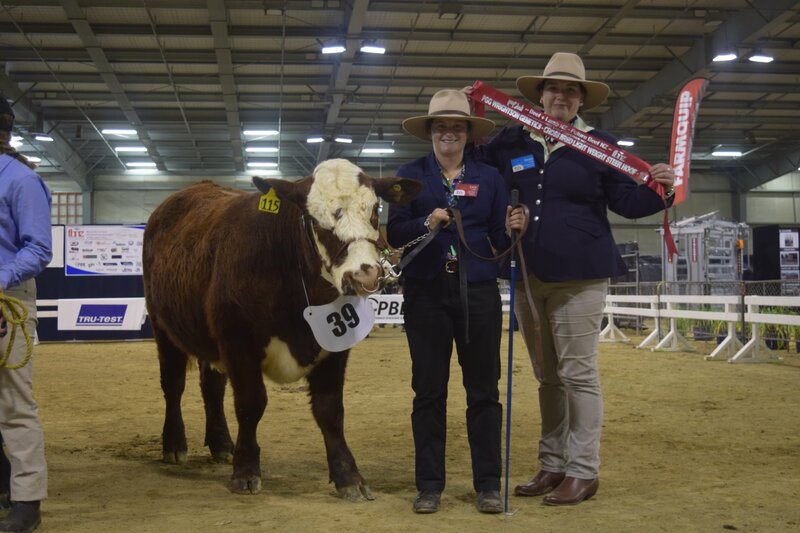 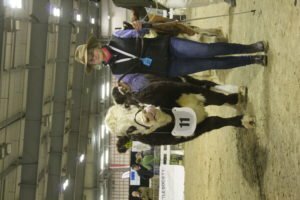 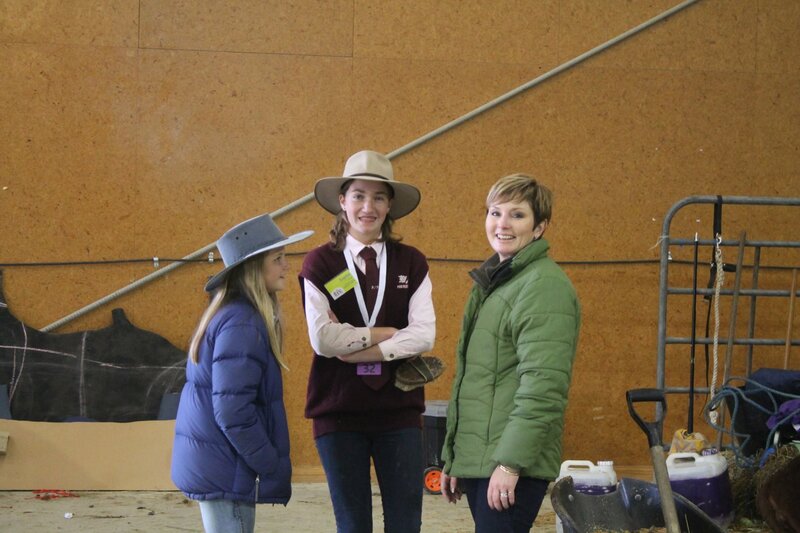 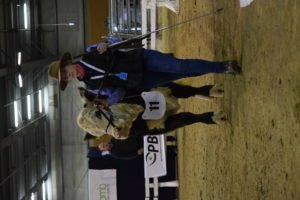 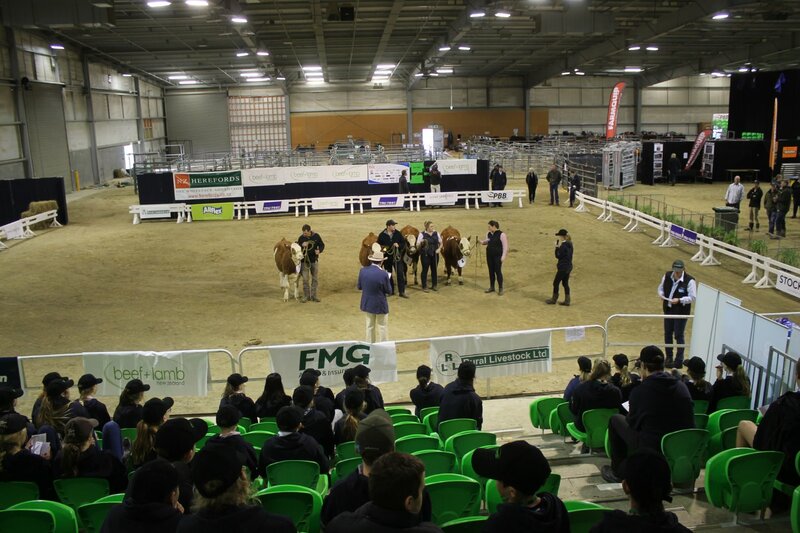 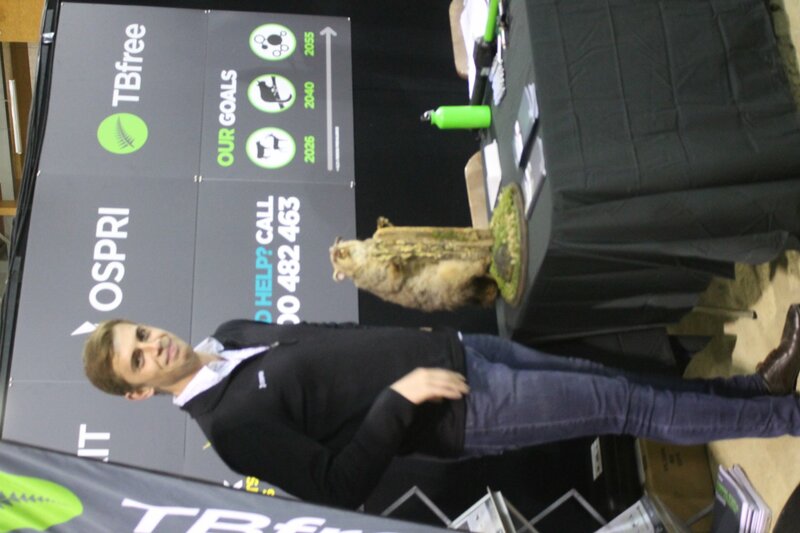 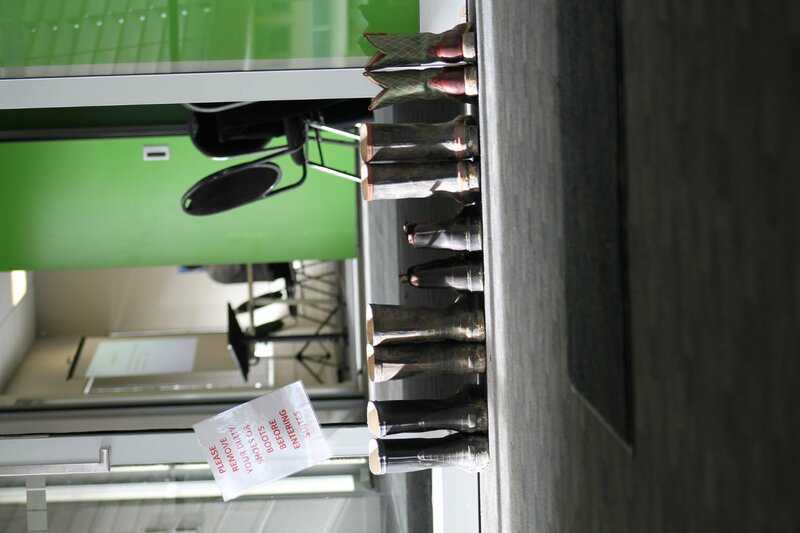 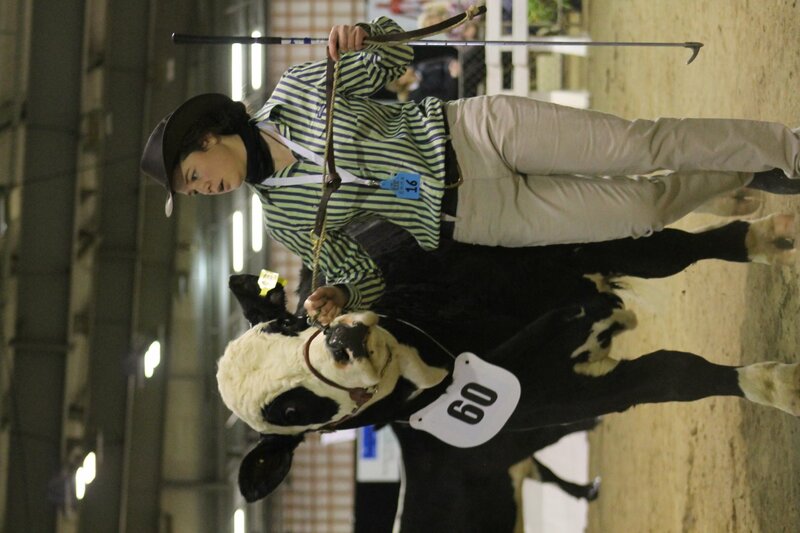 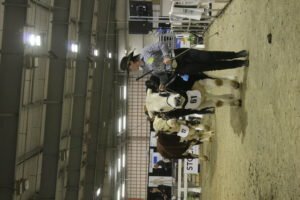 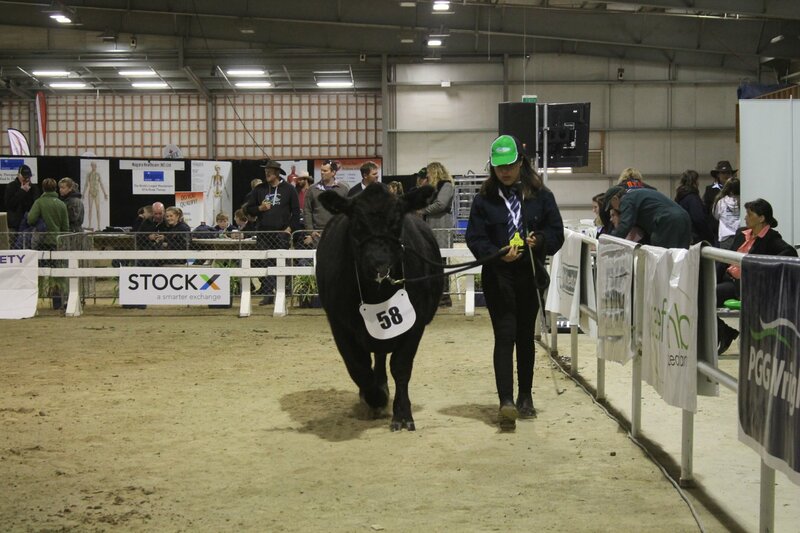 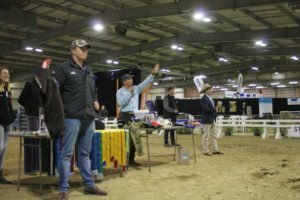 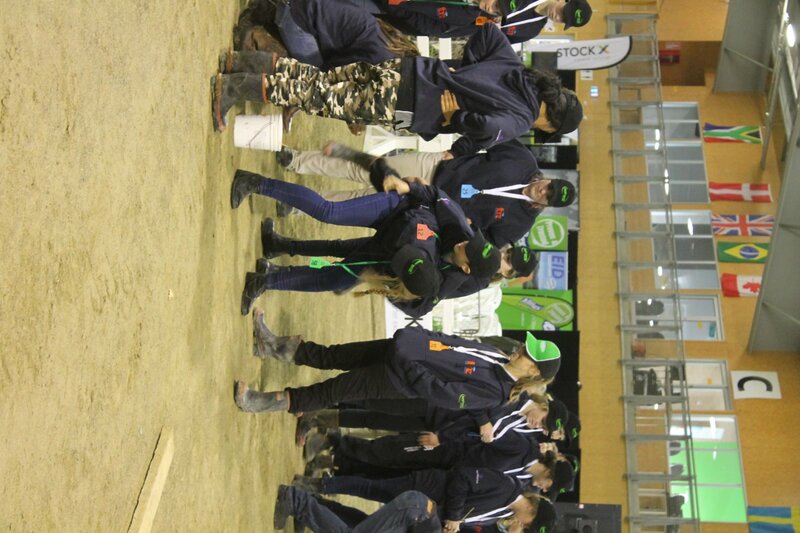 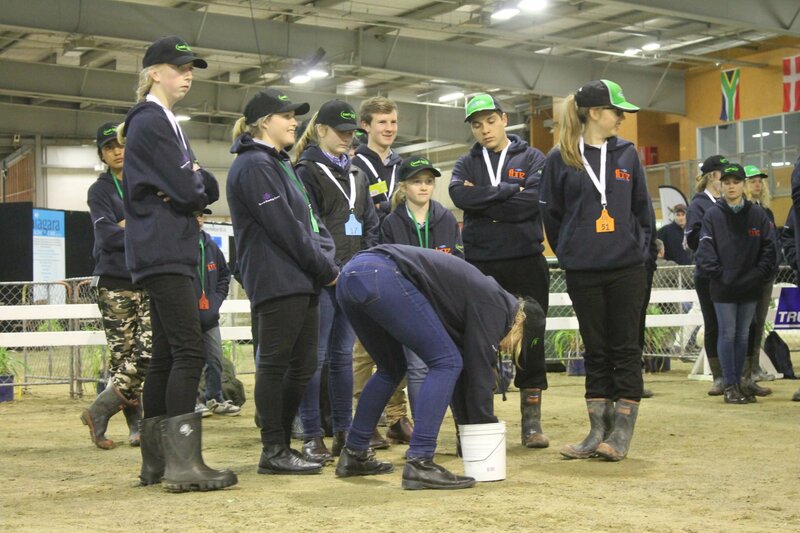 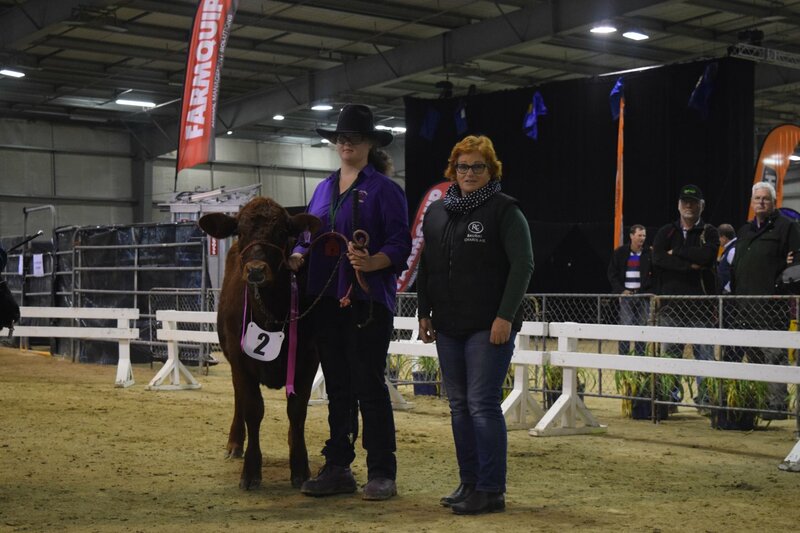 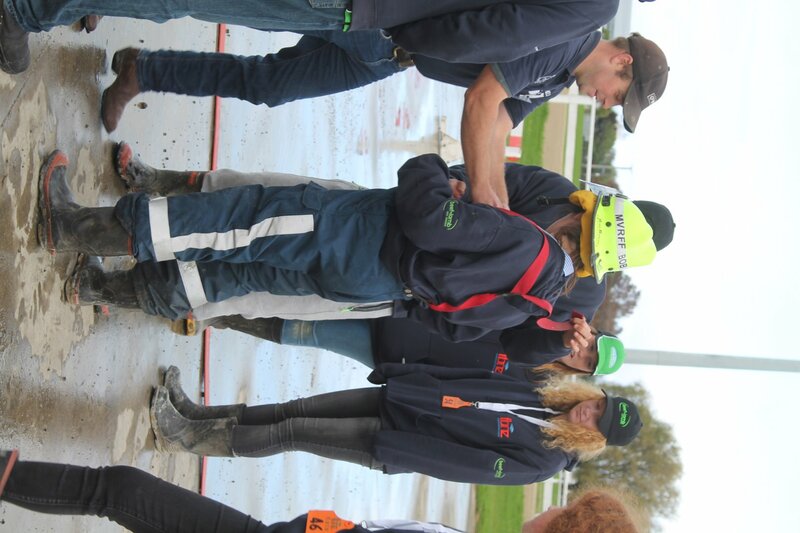 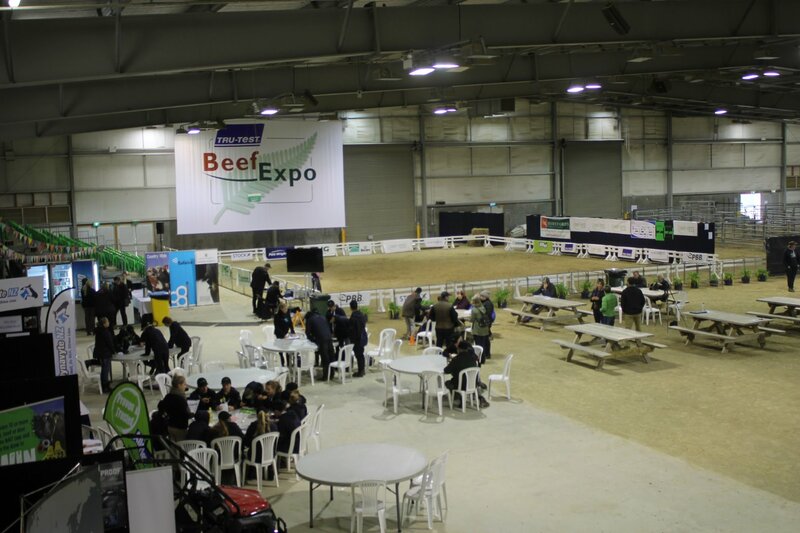 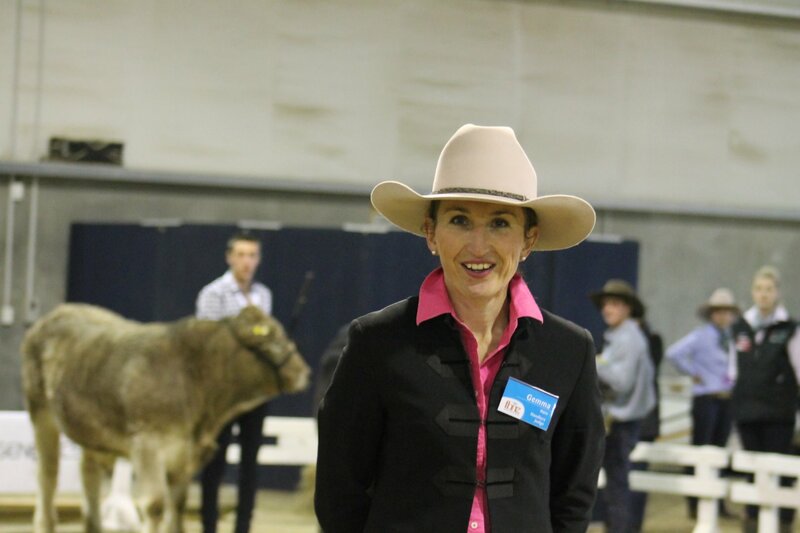 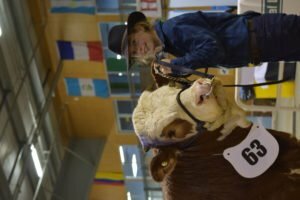 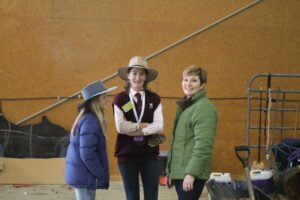 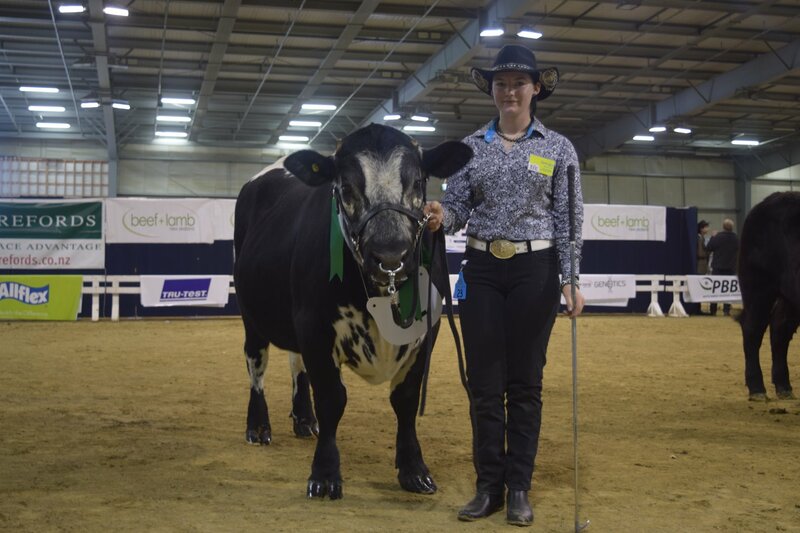 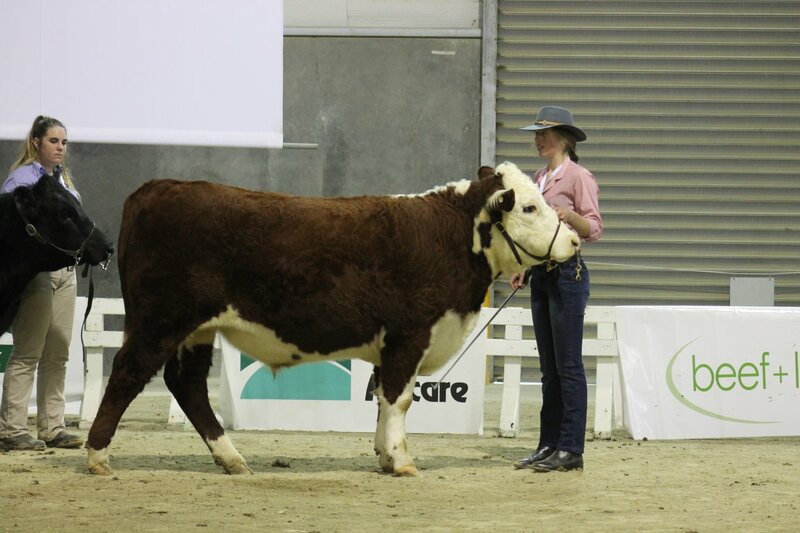 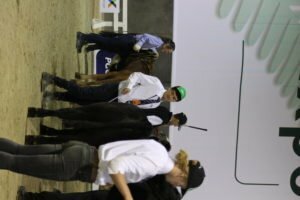 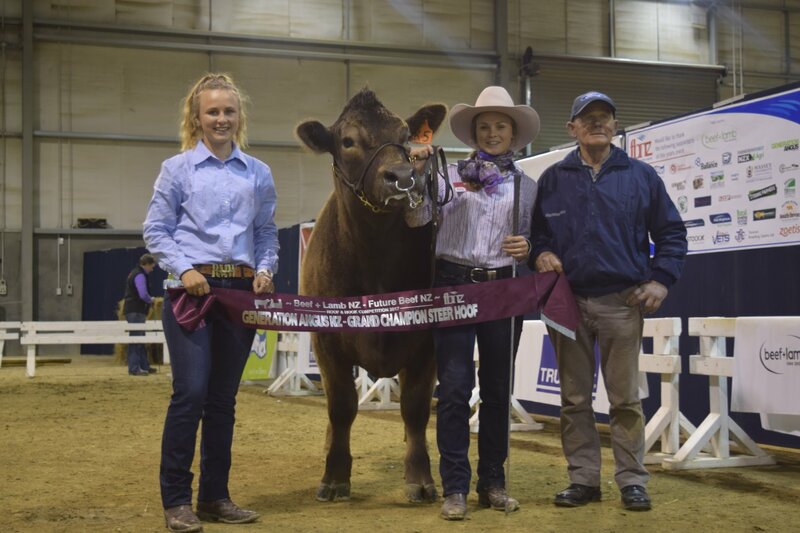 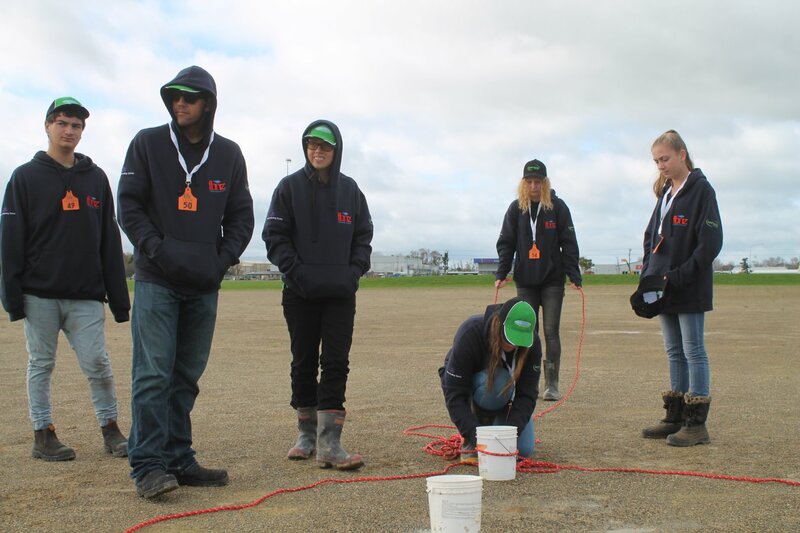 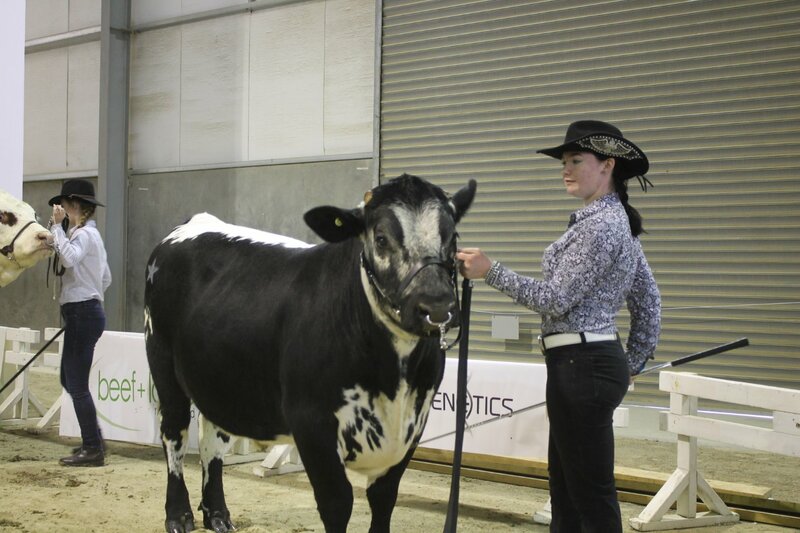 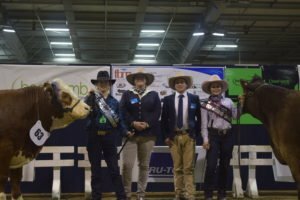 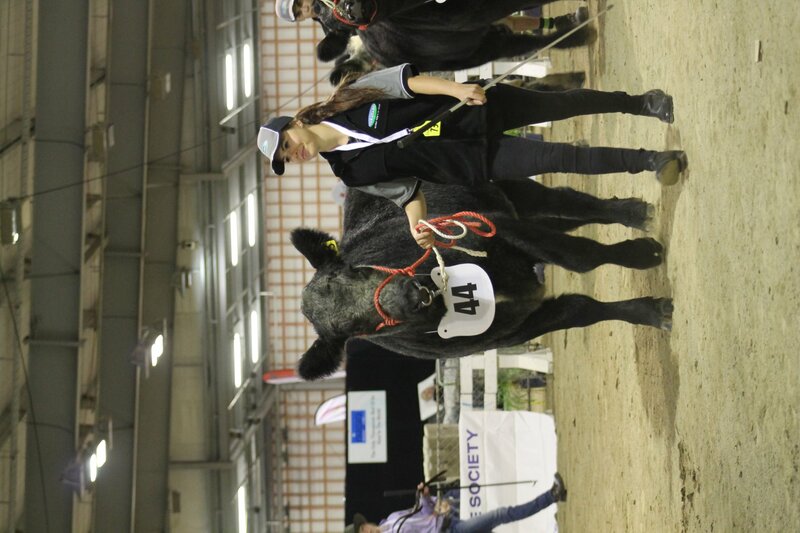 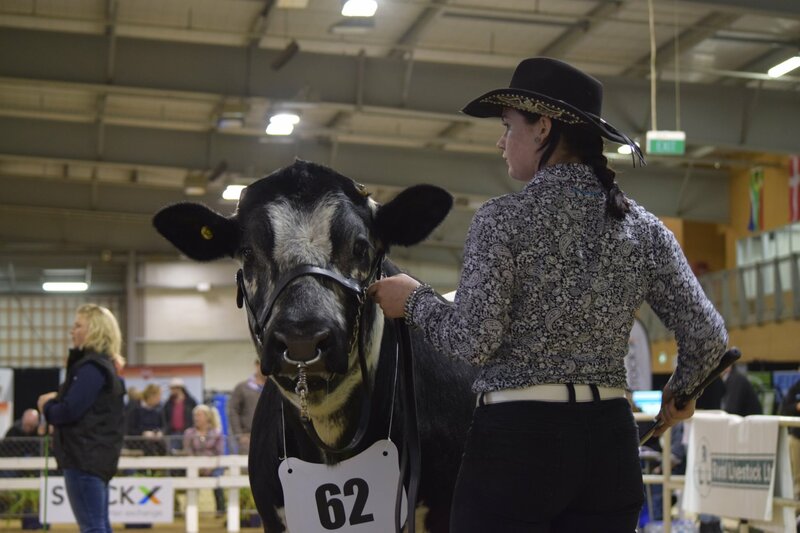 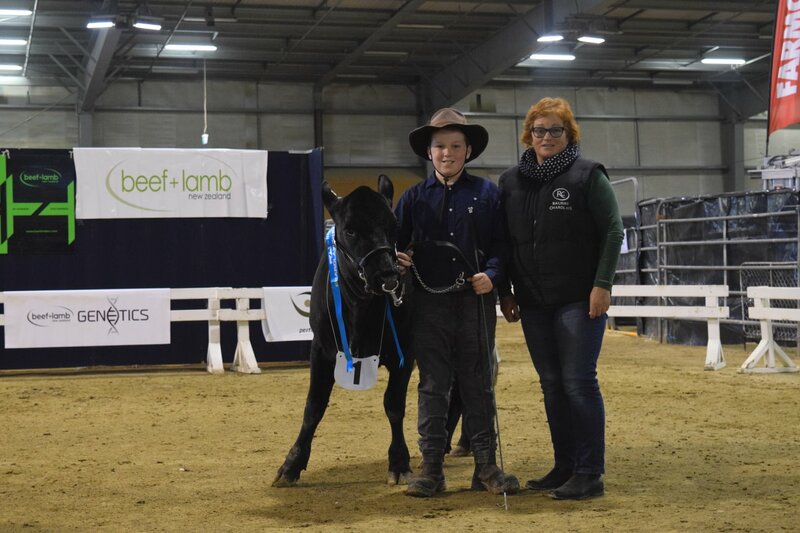 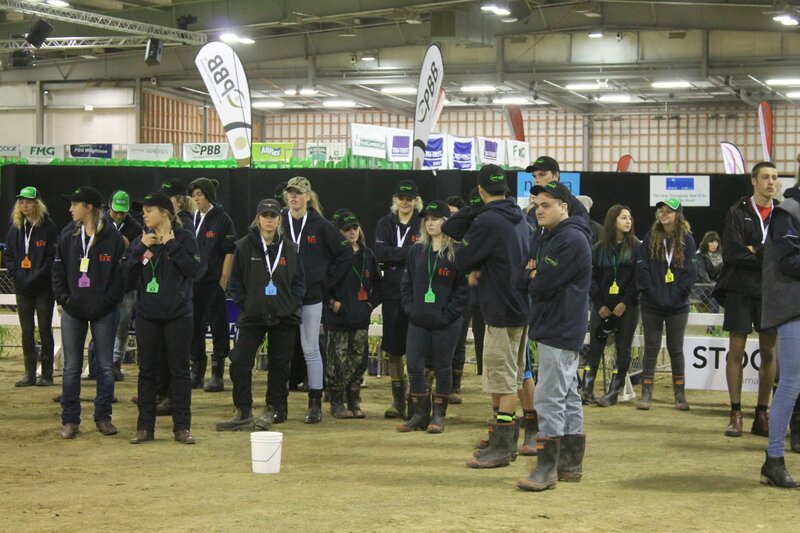 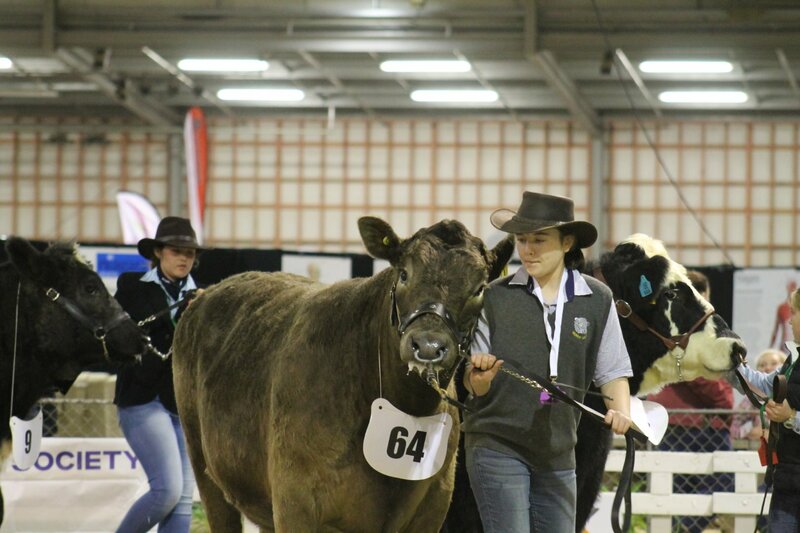 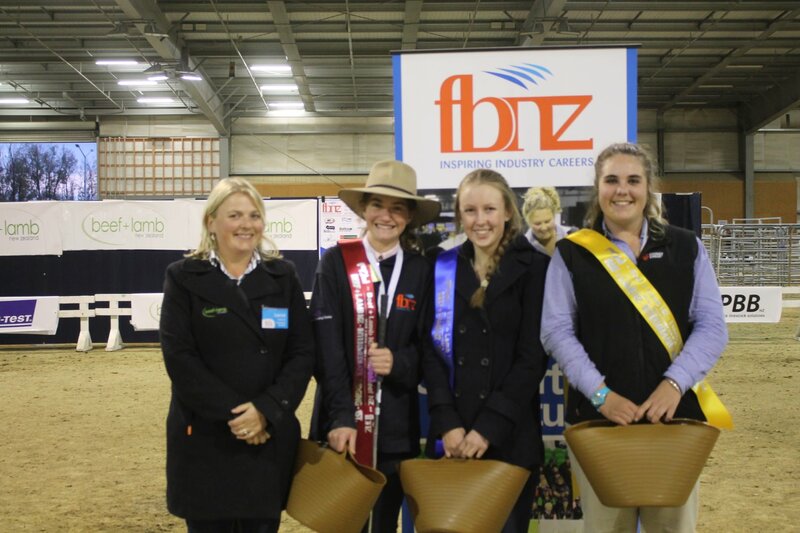 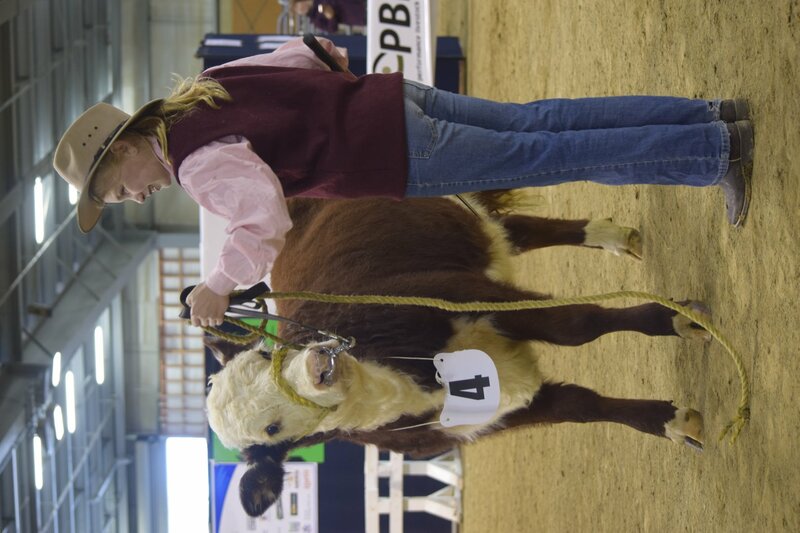 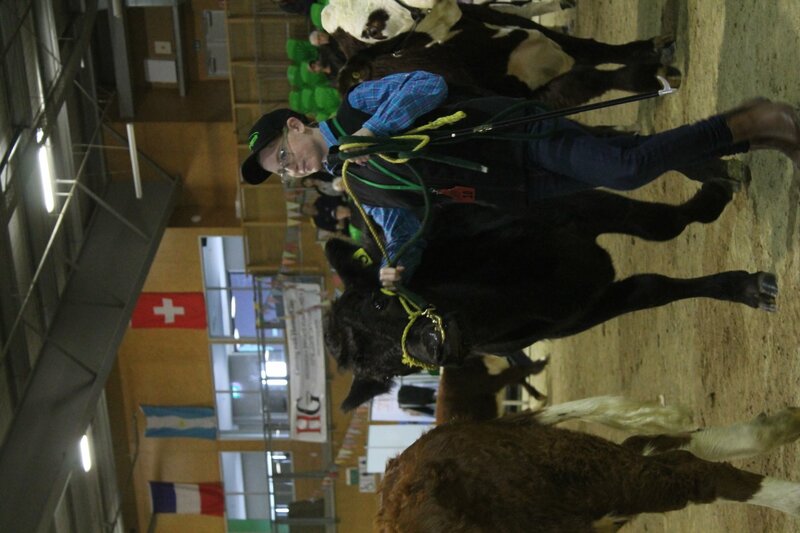 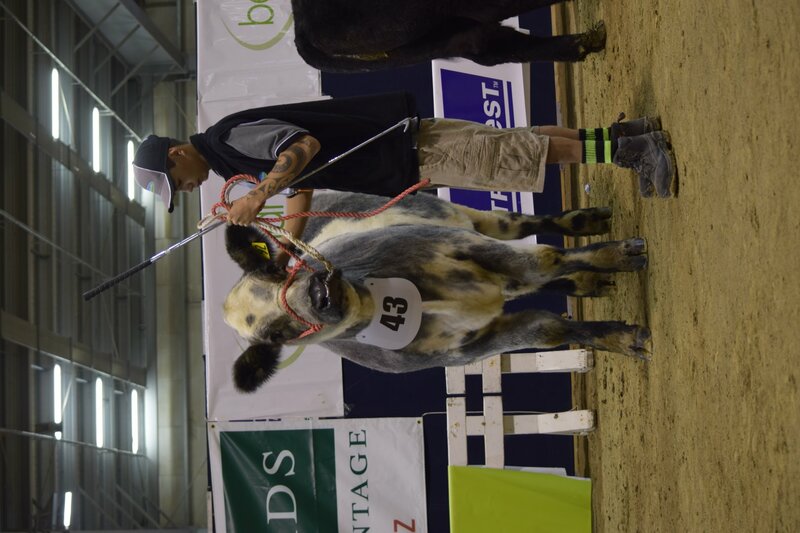 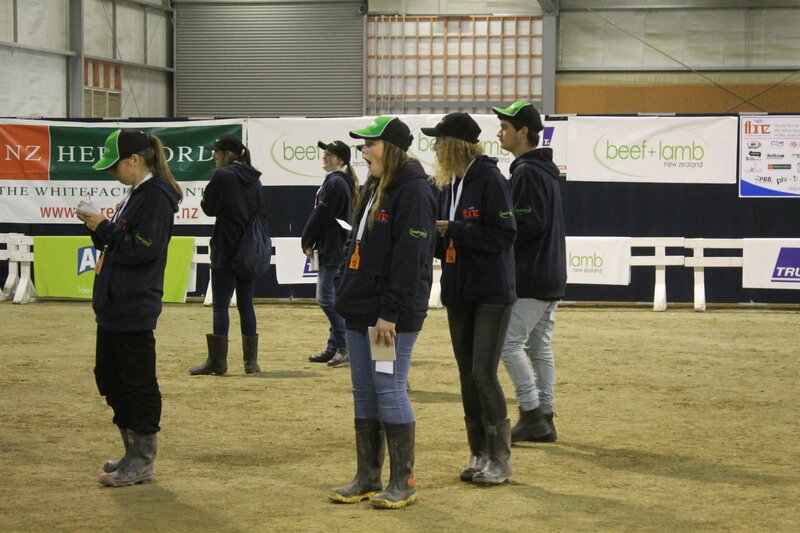 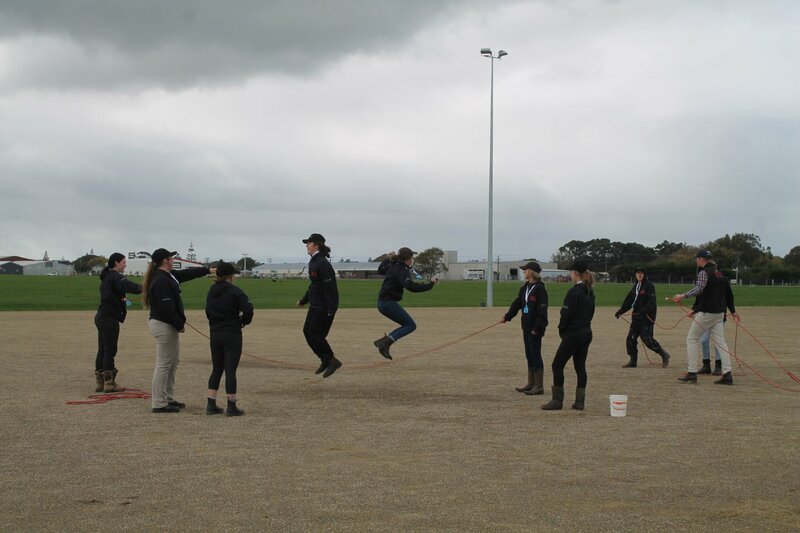 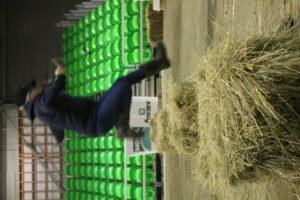 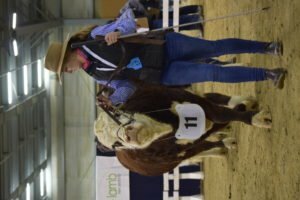 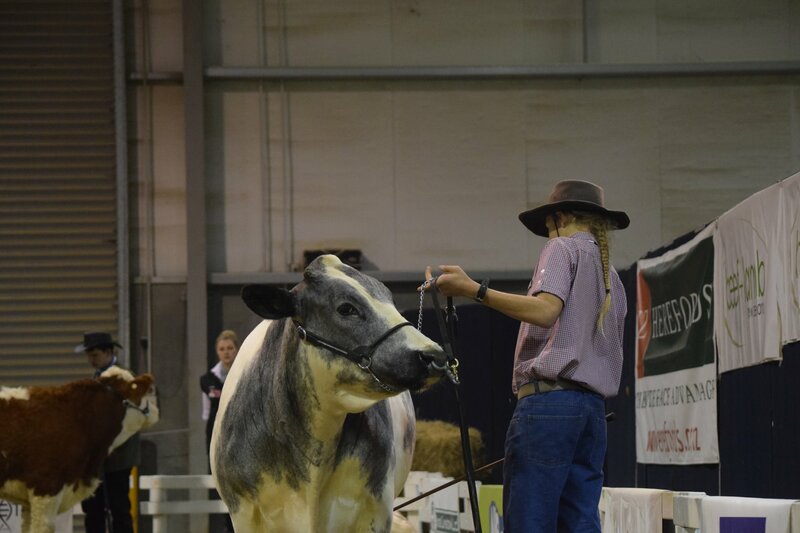 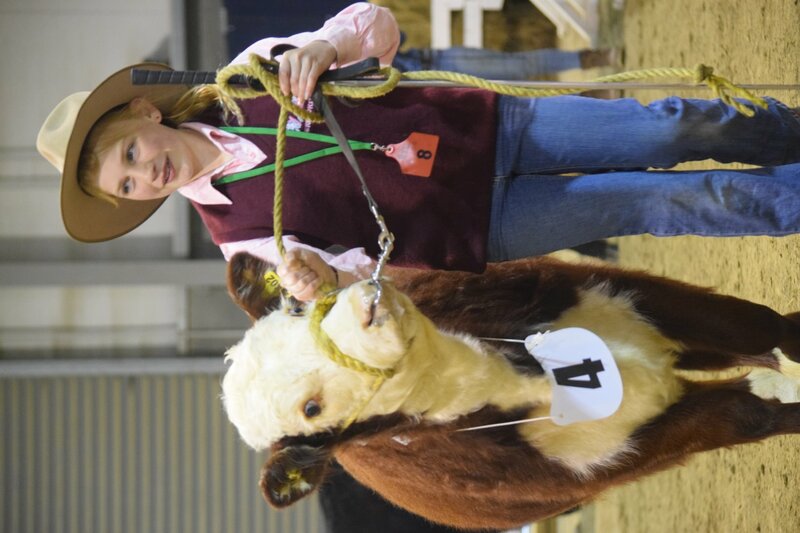 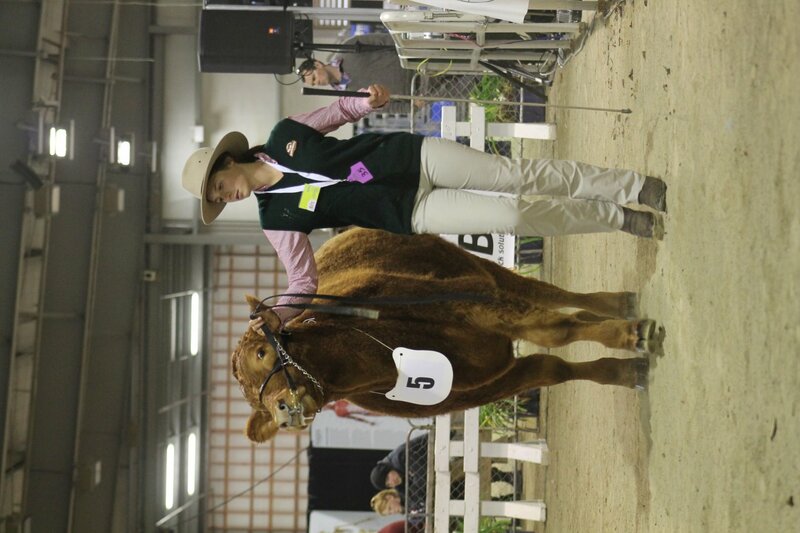 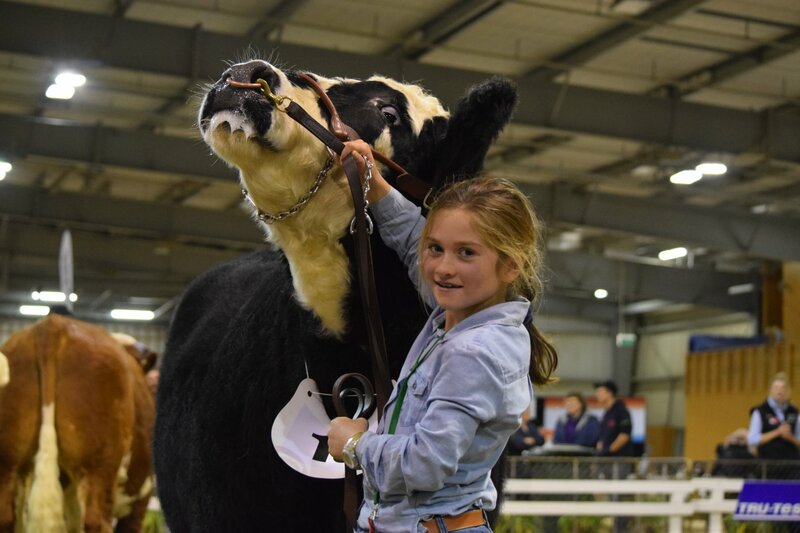 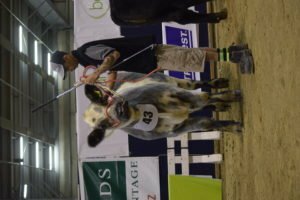 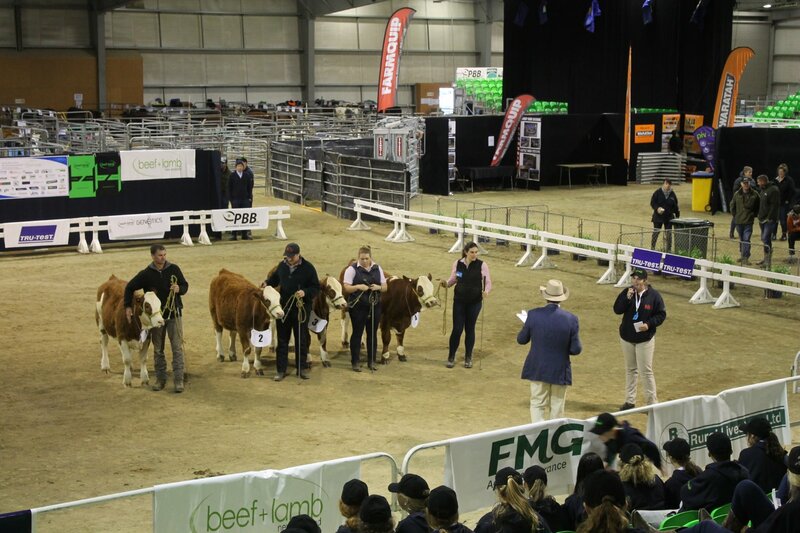 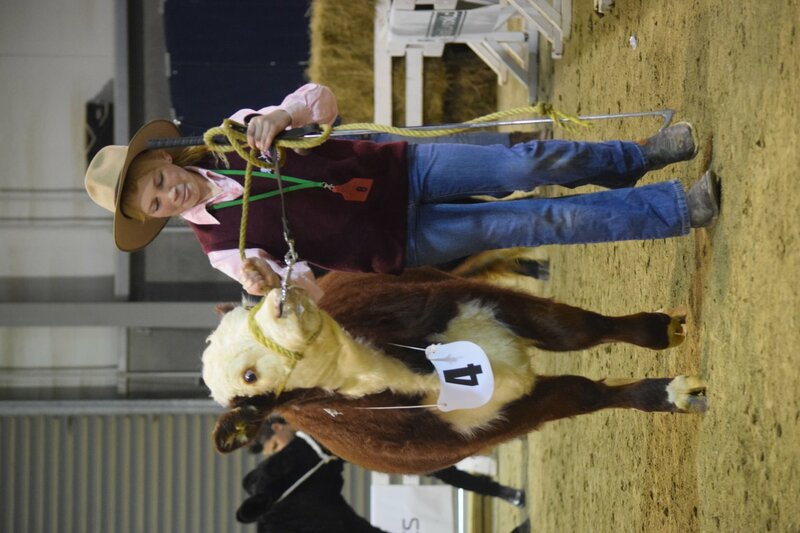 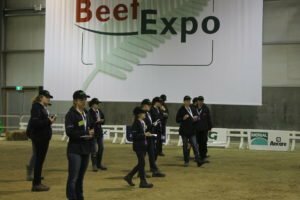 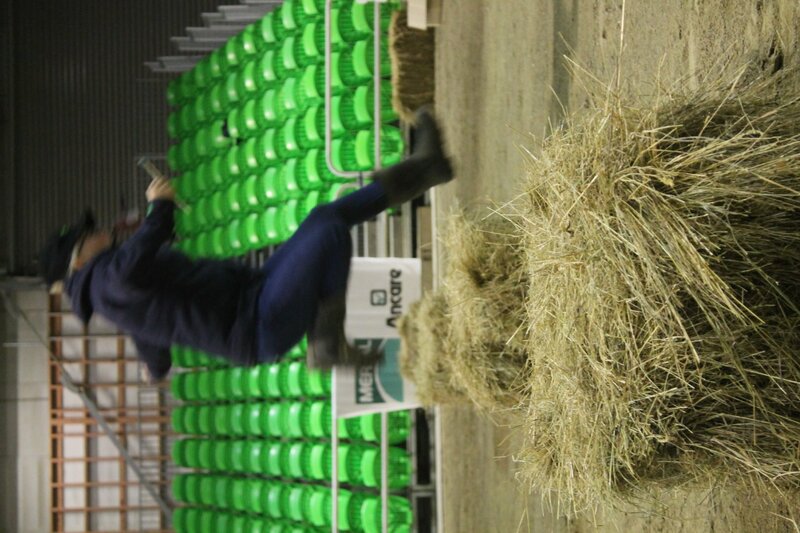 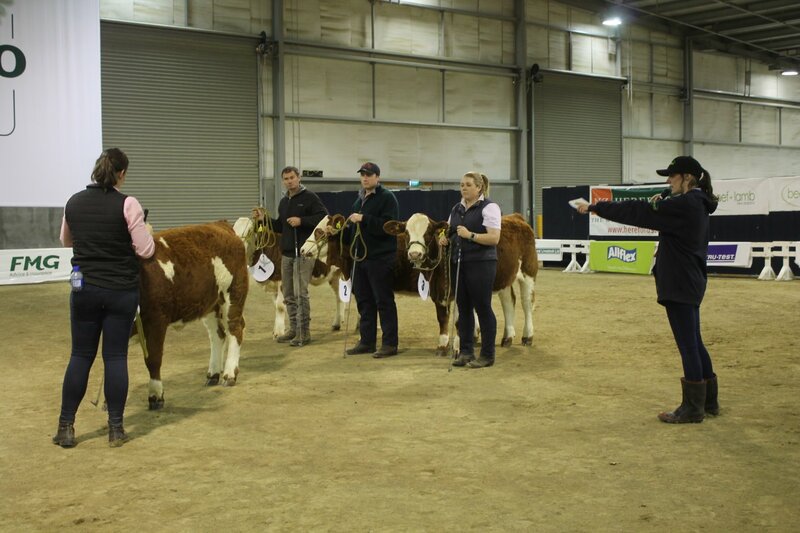 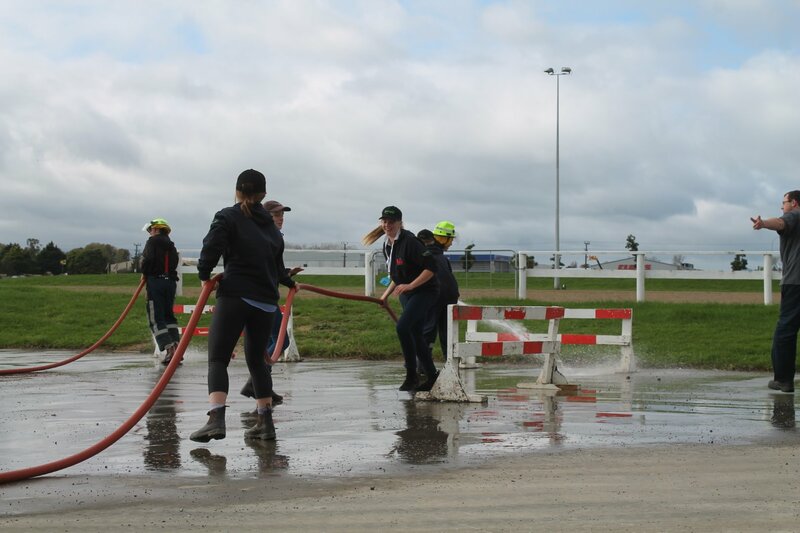 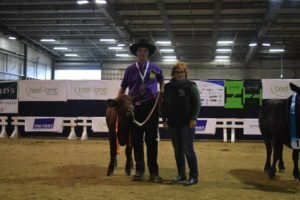 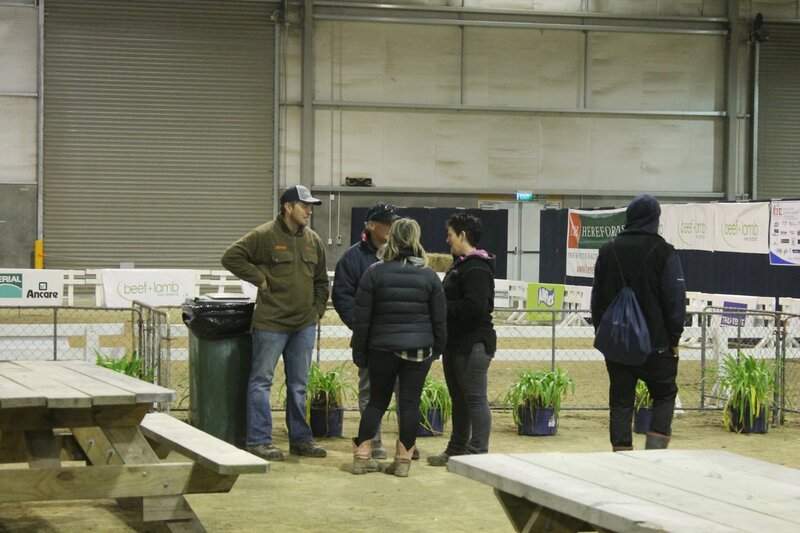 Our team will be selected from the competitors of our 2019 Hoof & Hook Competition in Masterton, lead by Lucy Collin our current Allflex Senior Ambassador. 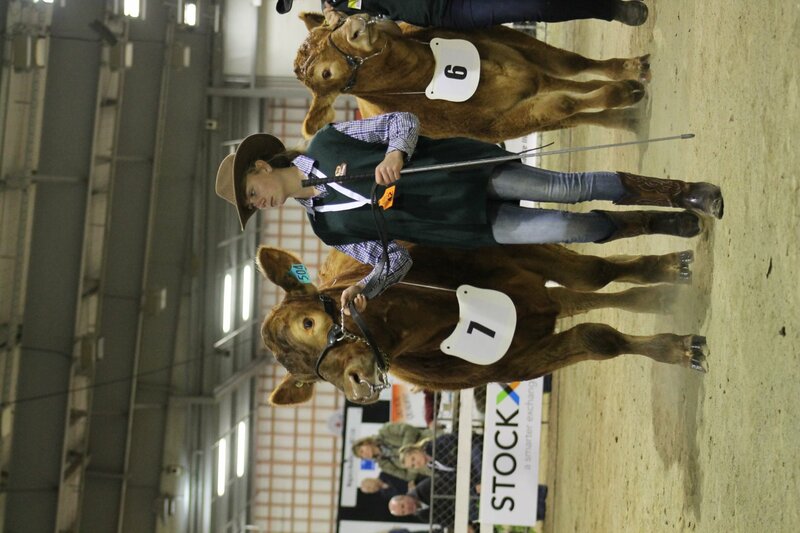 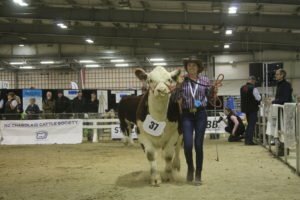 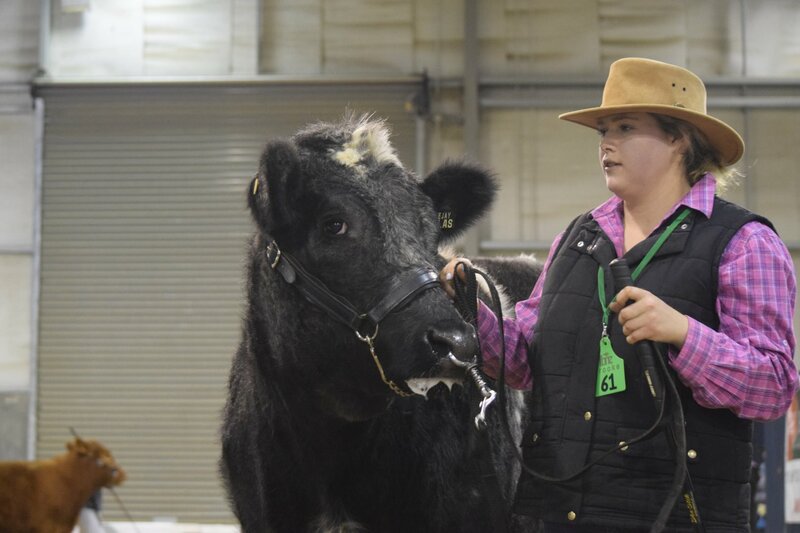 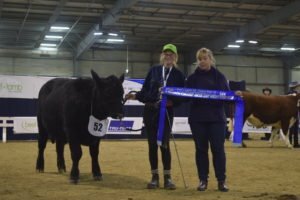 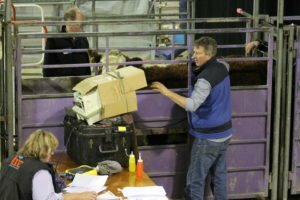 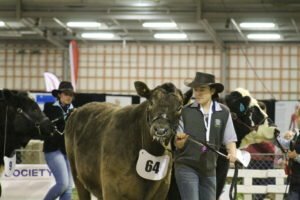 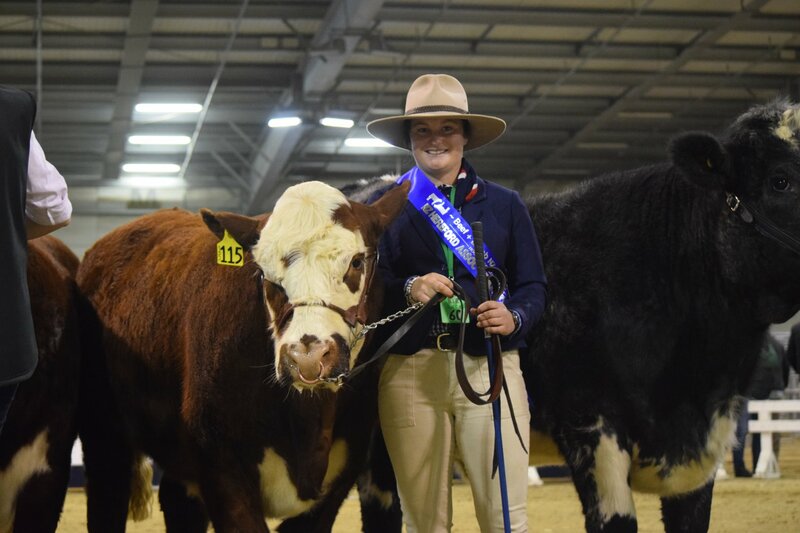 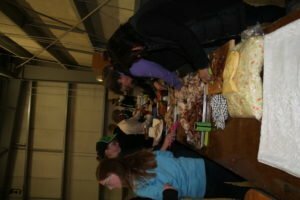 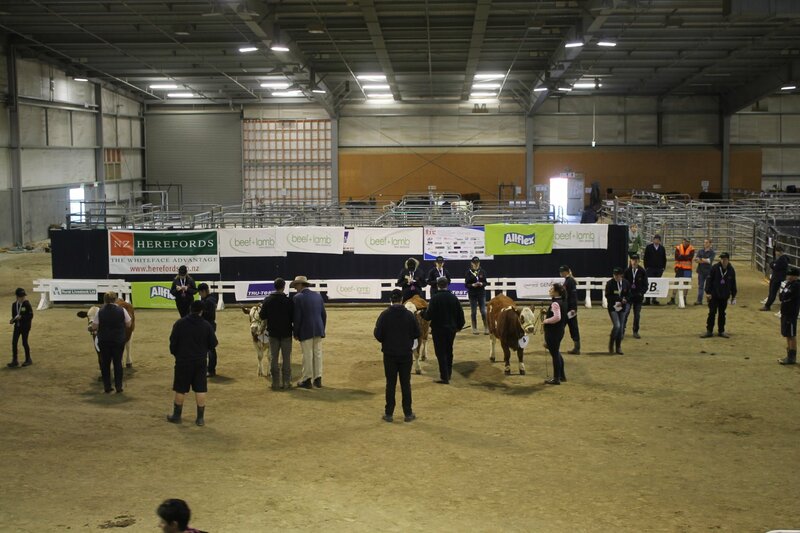 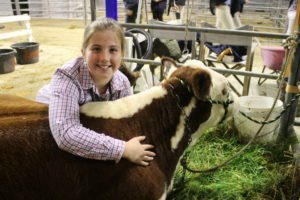 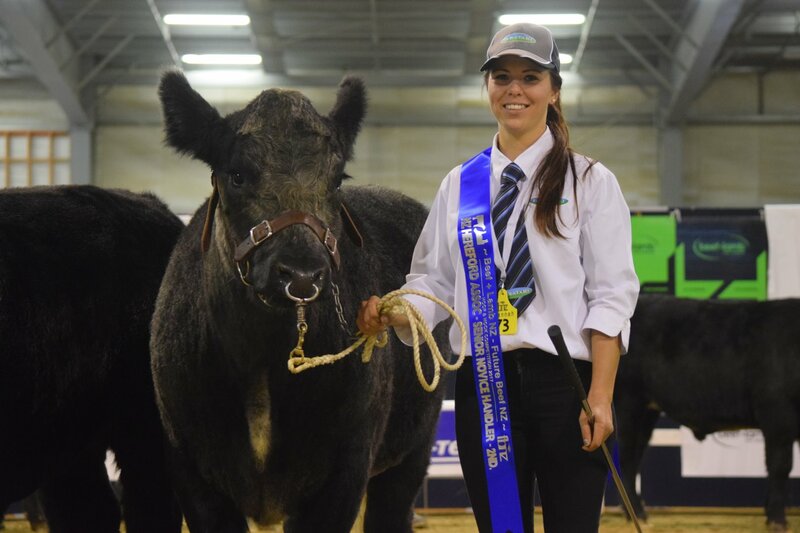 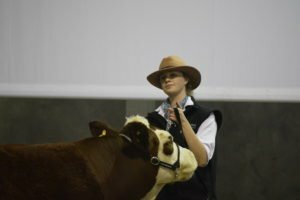 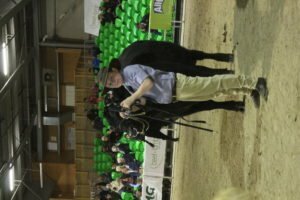 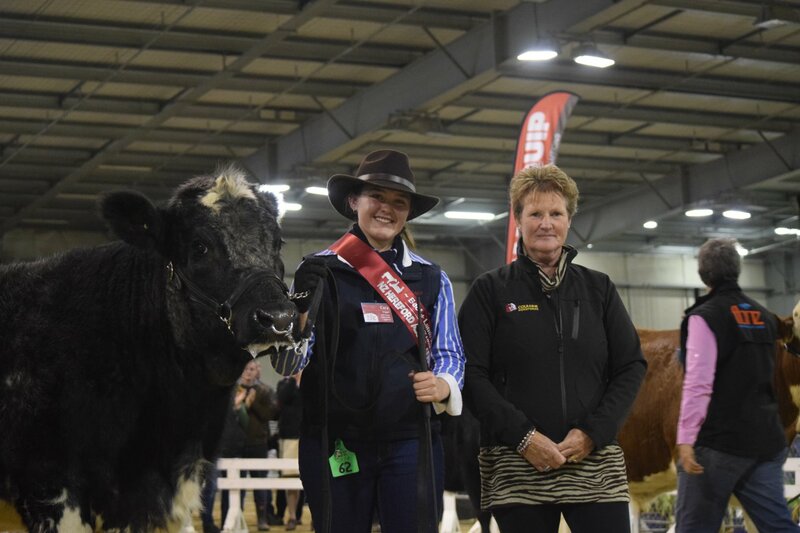 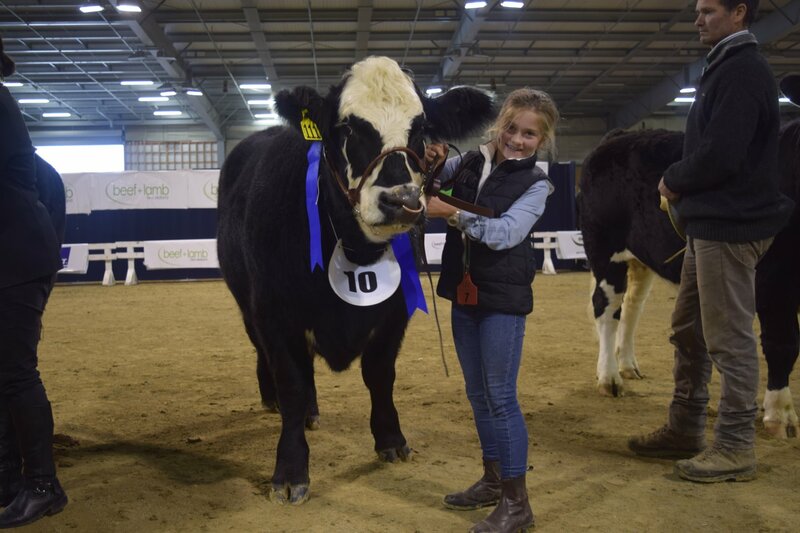 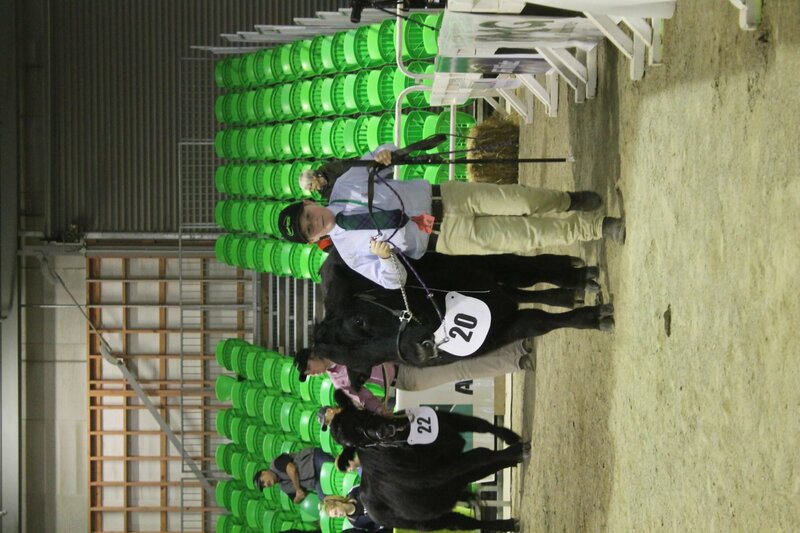 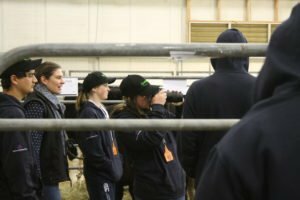 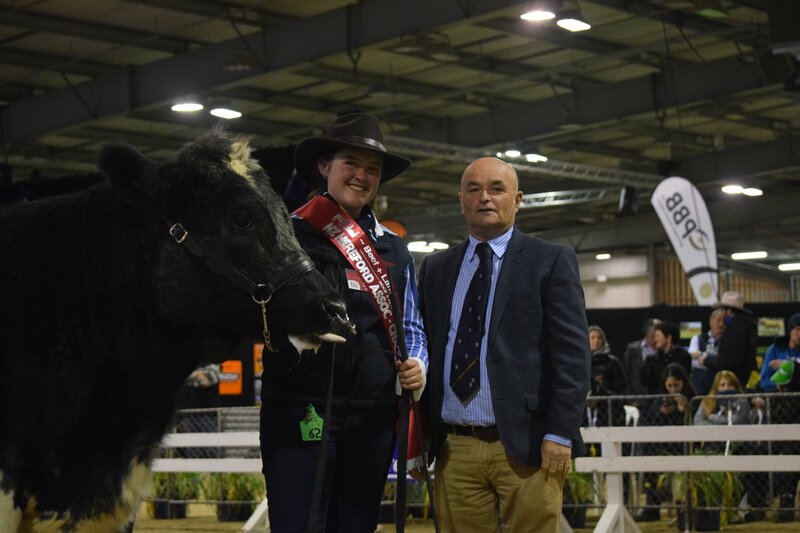 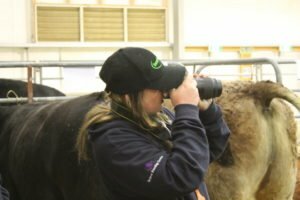 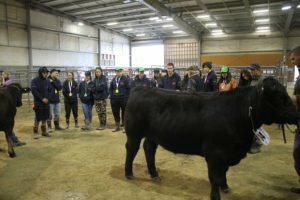 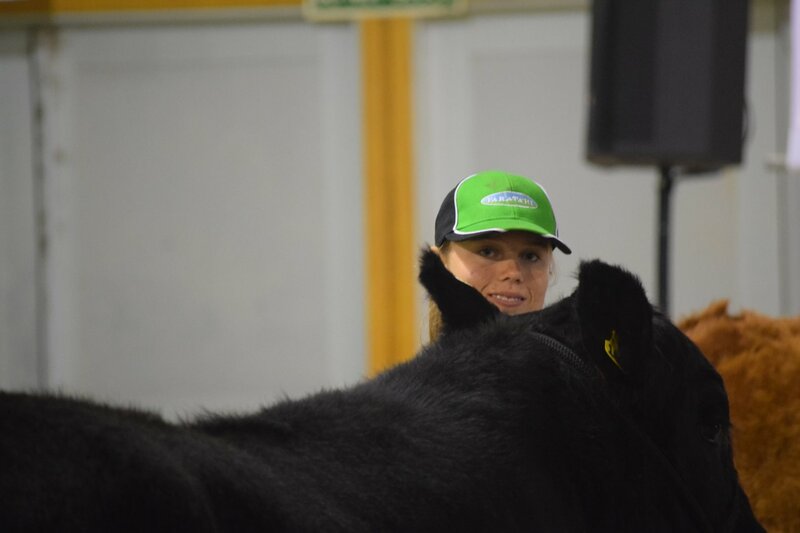 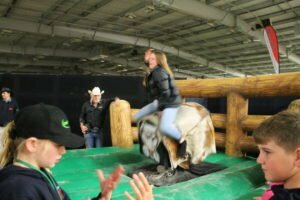 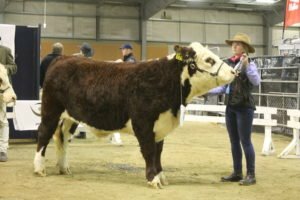 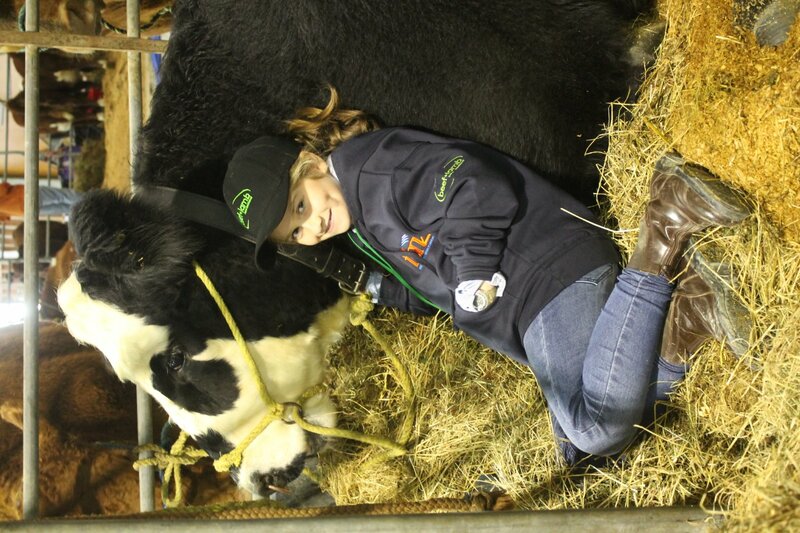 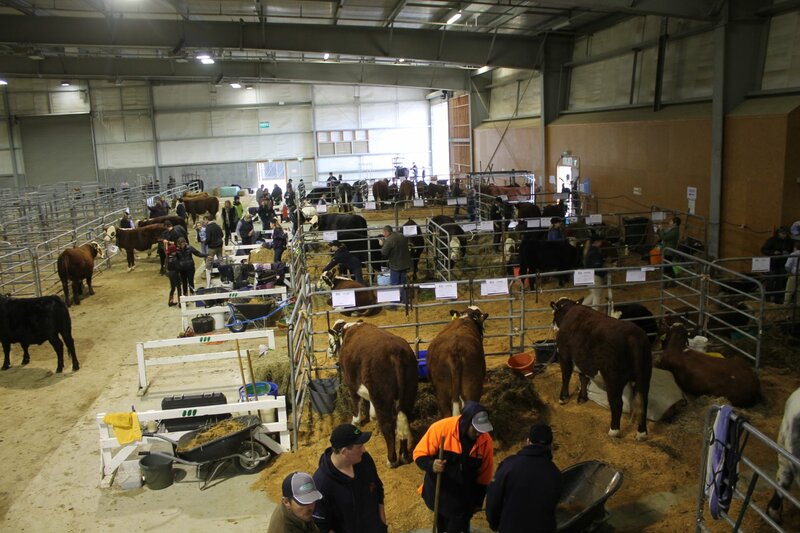 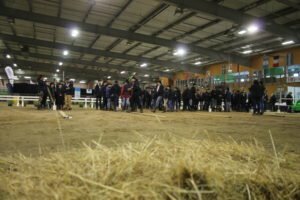 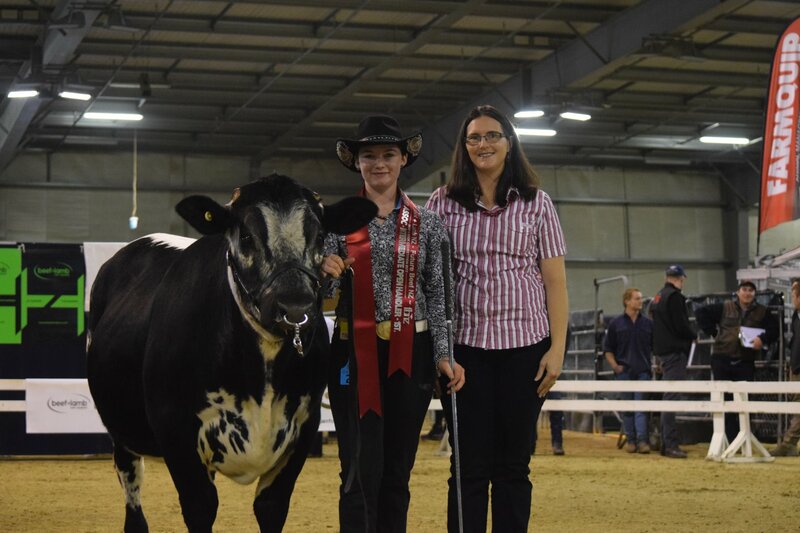 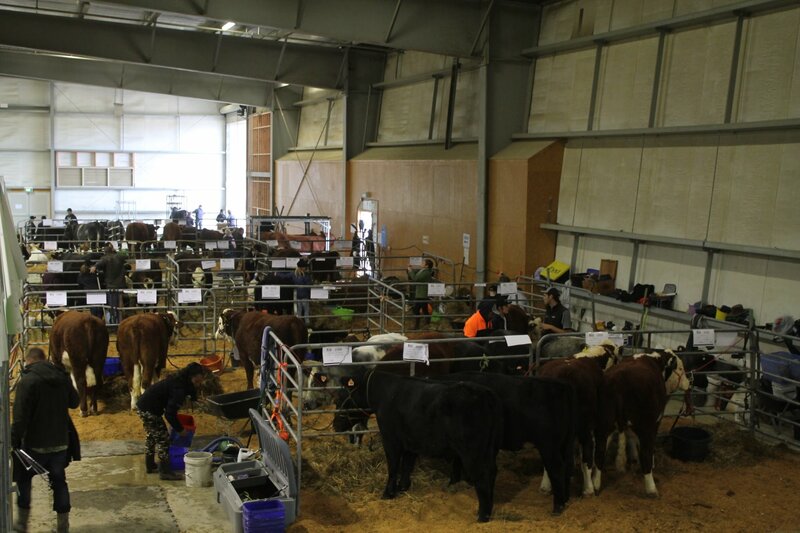 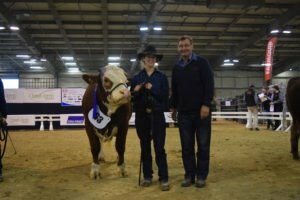 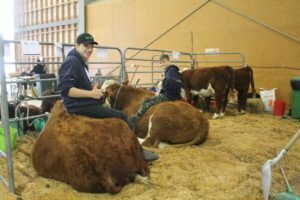 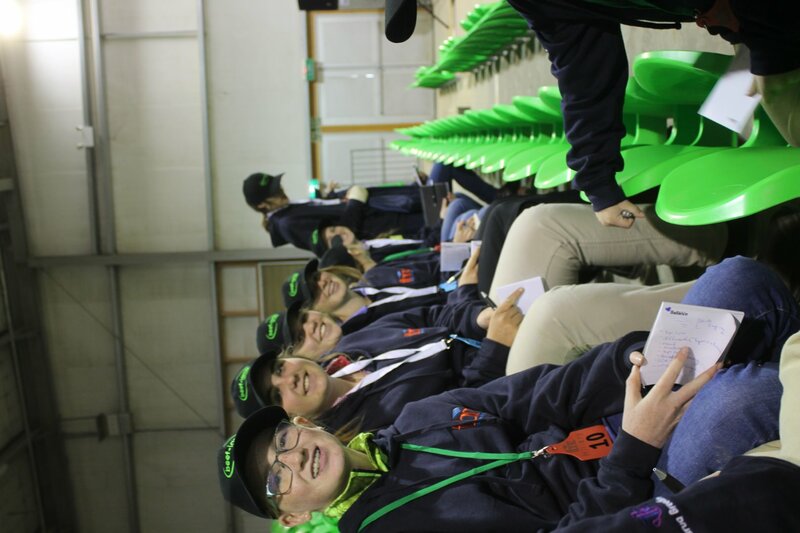 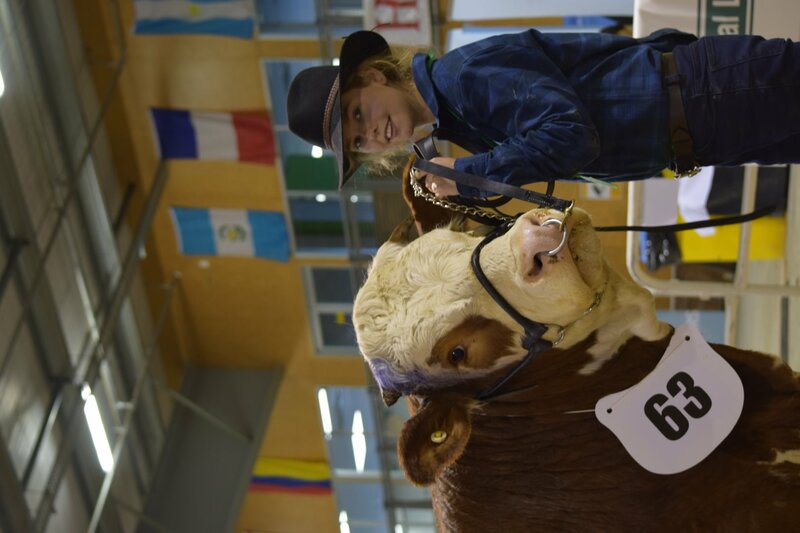 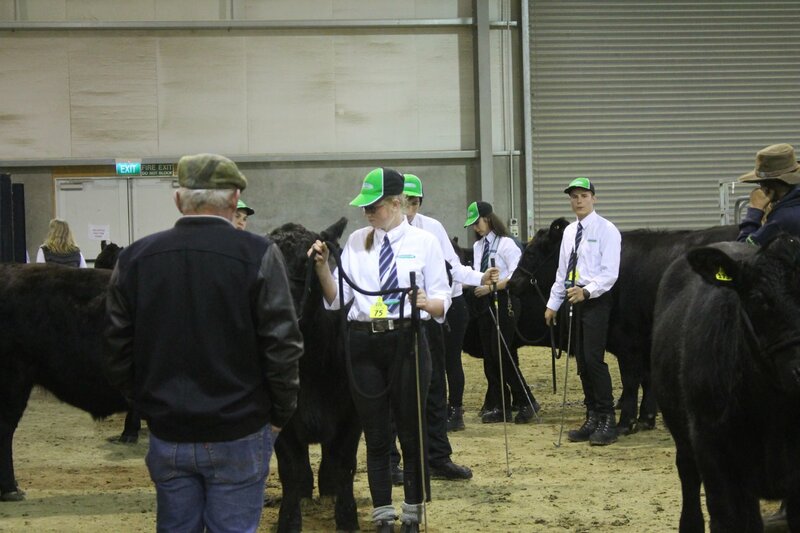 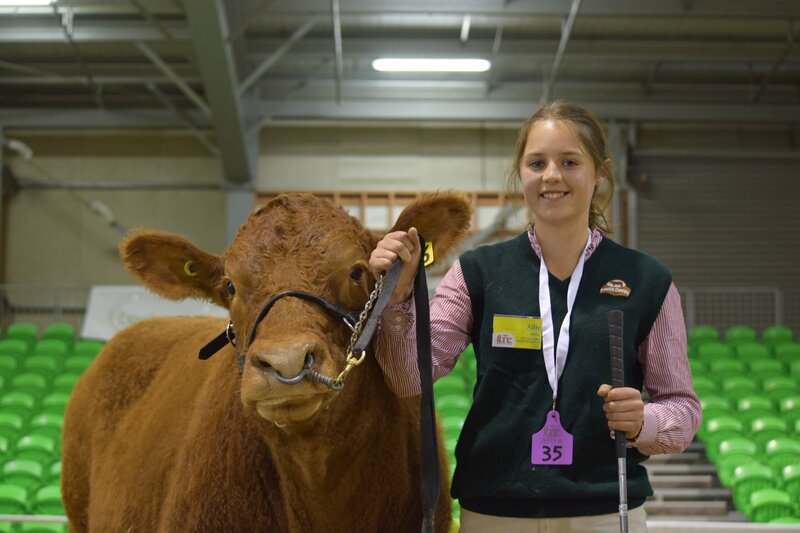 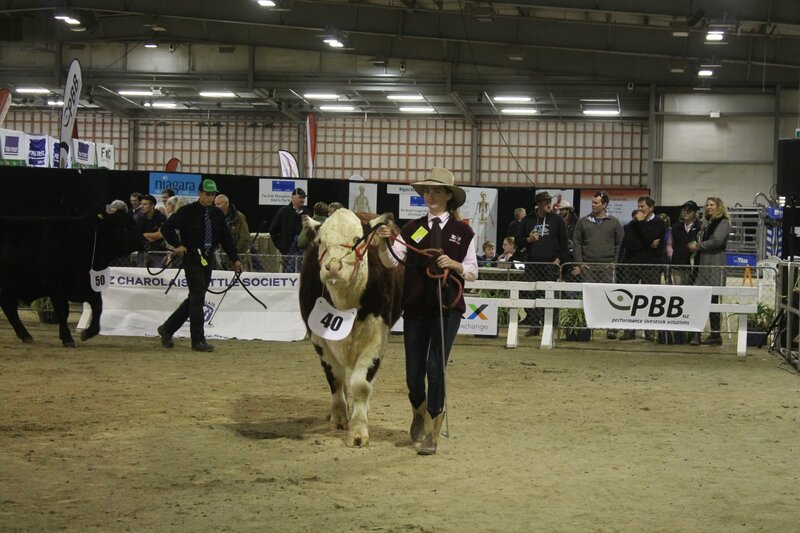 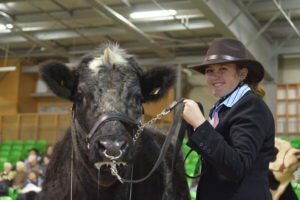 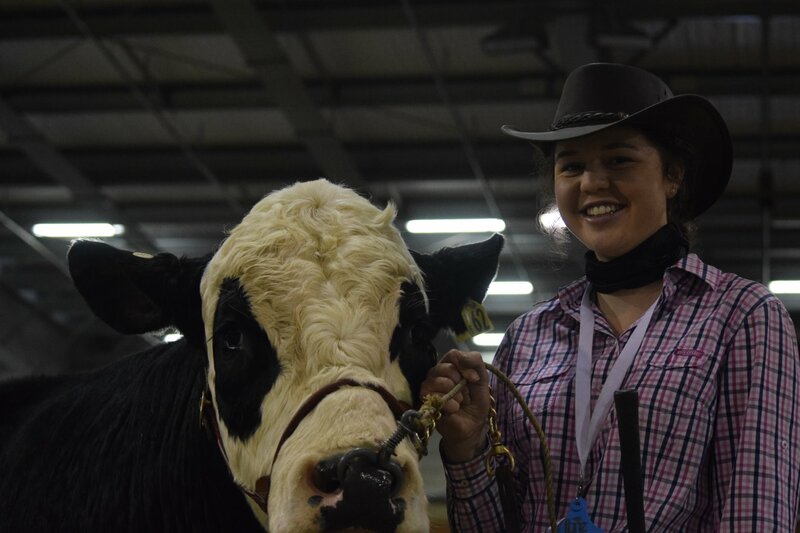 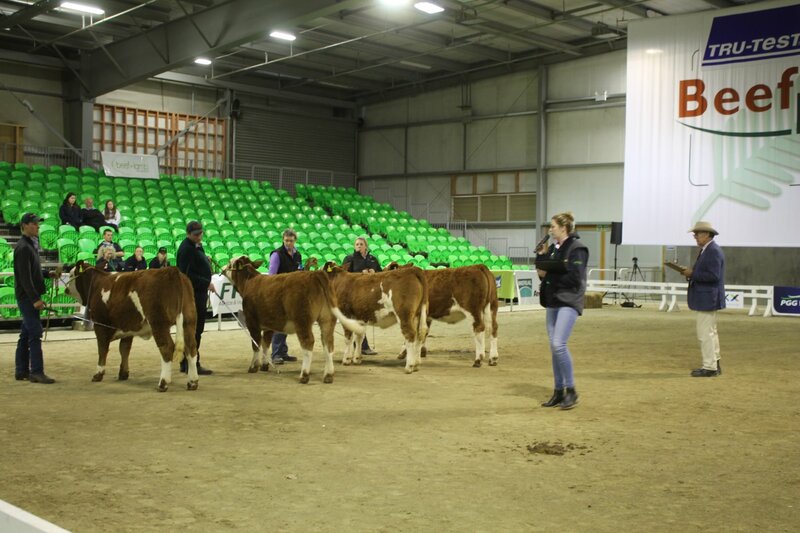 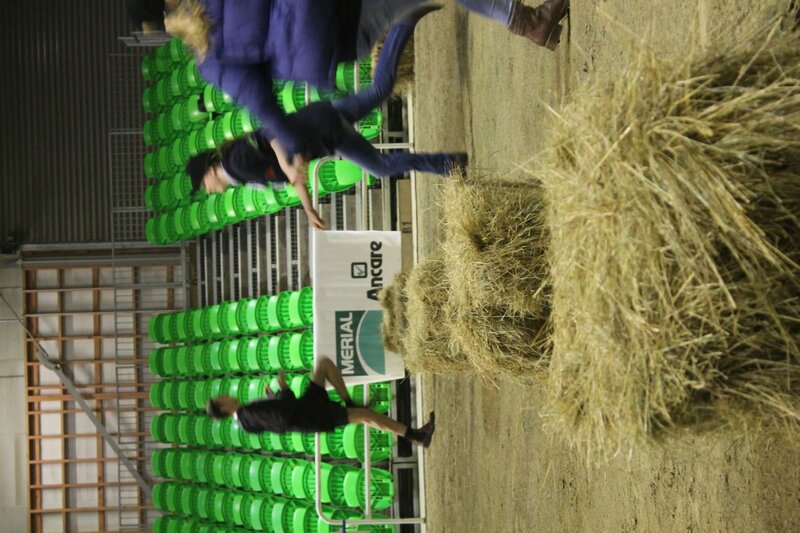 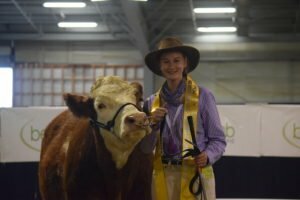 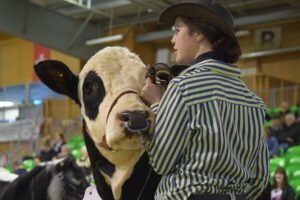 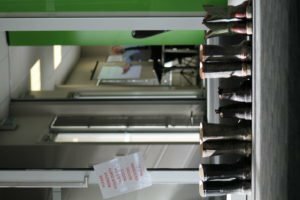 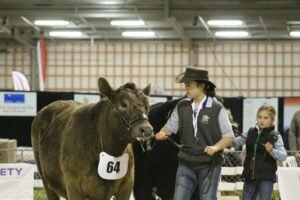 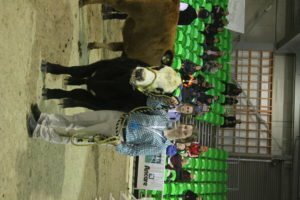 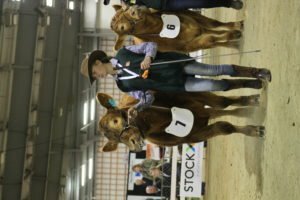 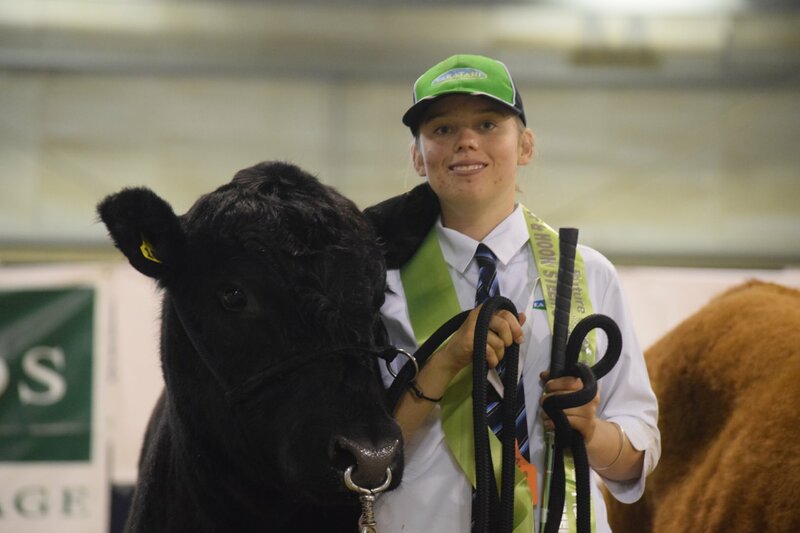 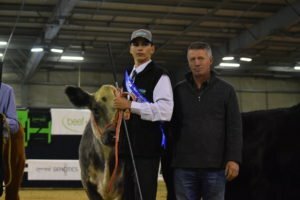 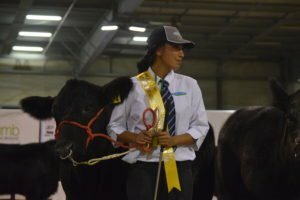 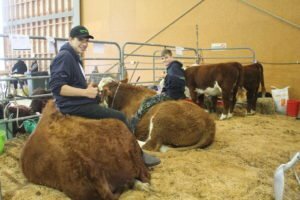 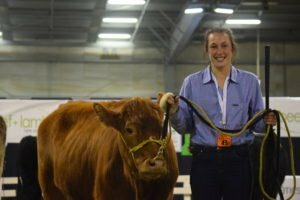 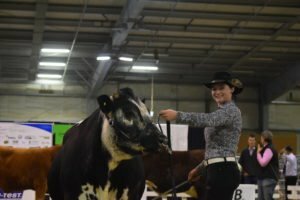 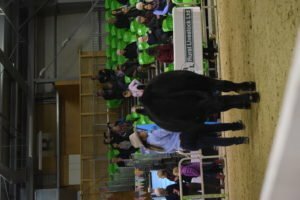 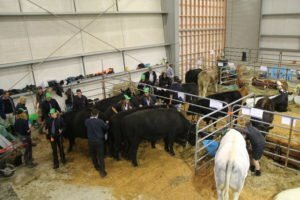 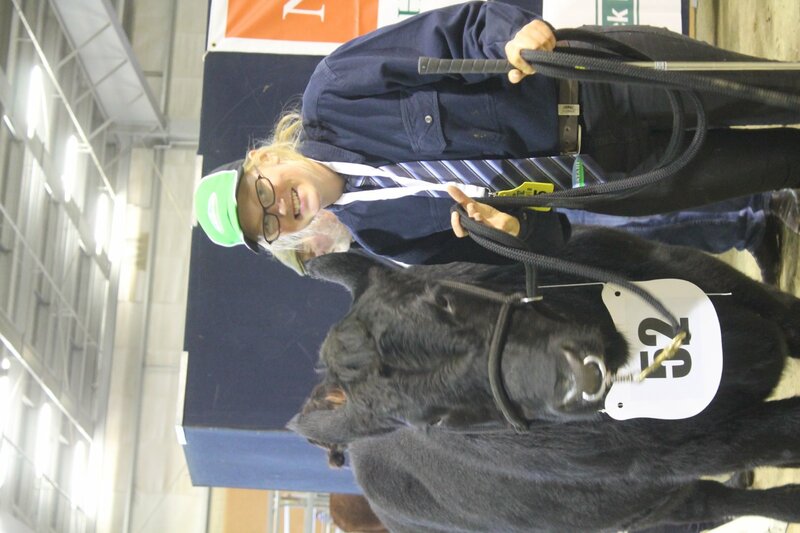 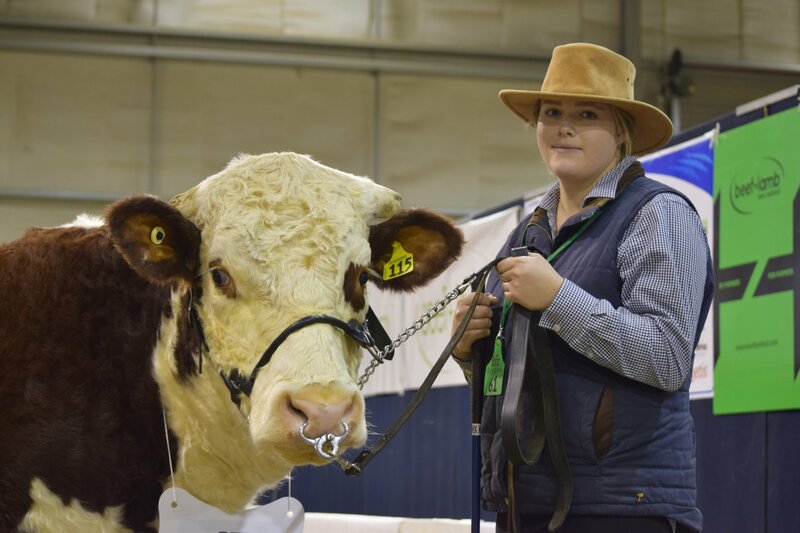 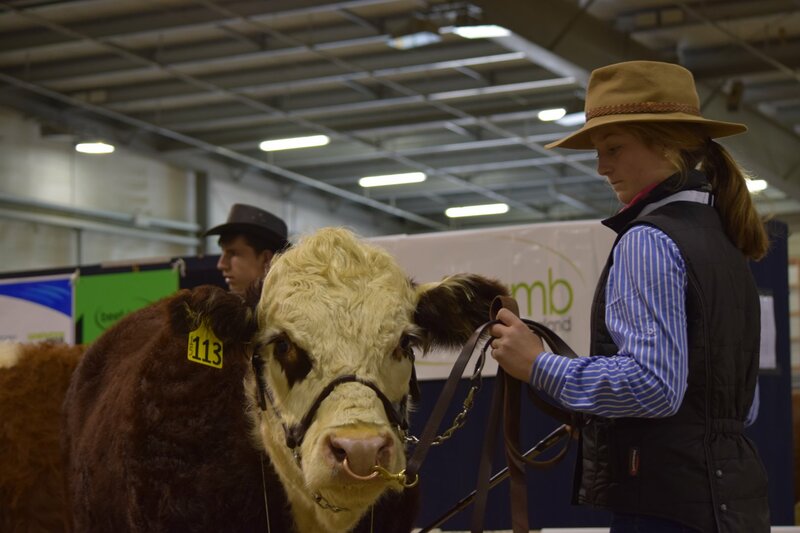 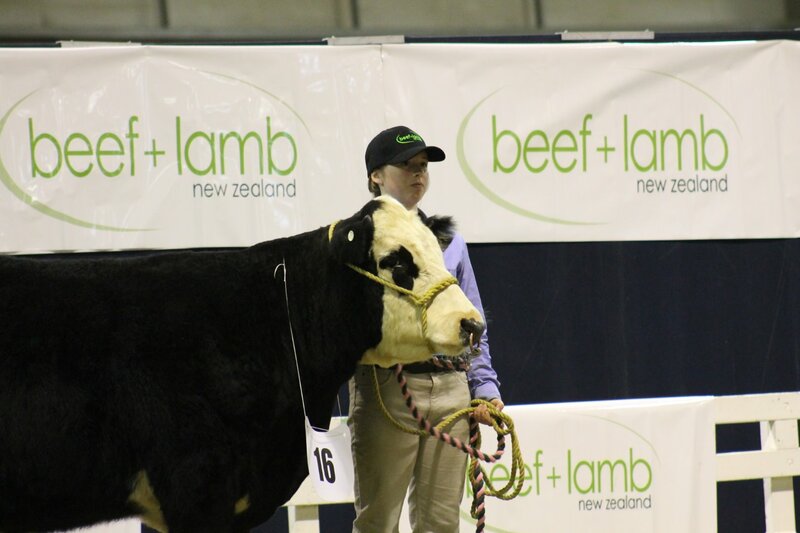 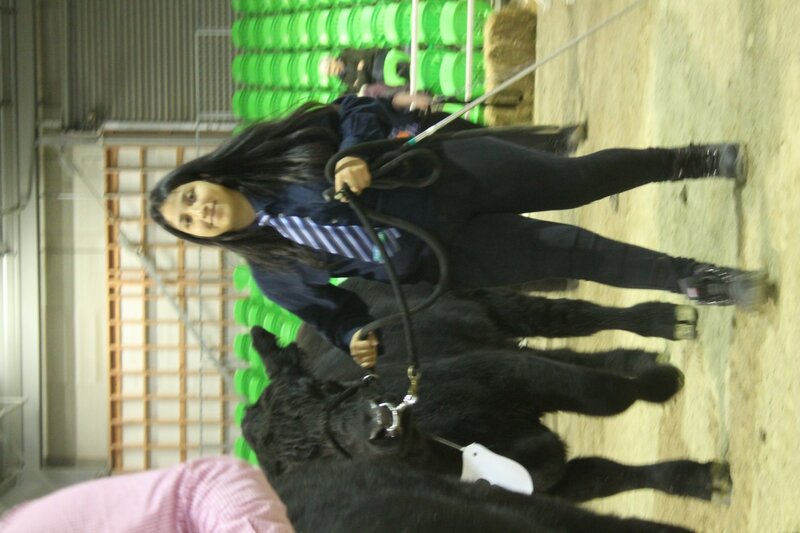 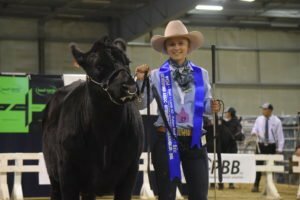 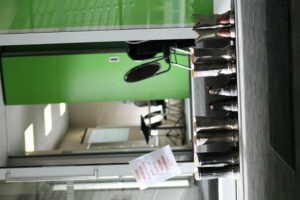 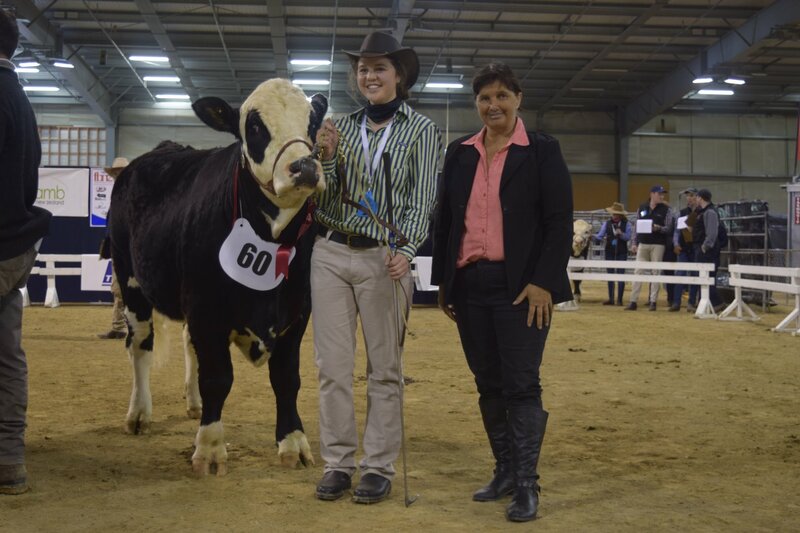 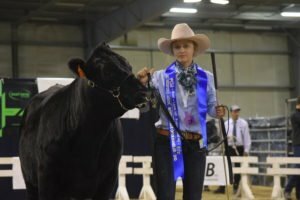 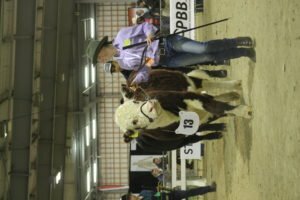 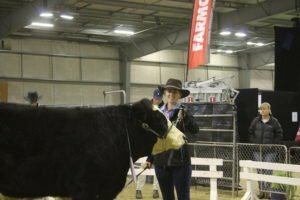 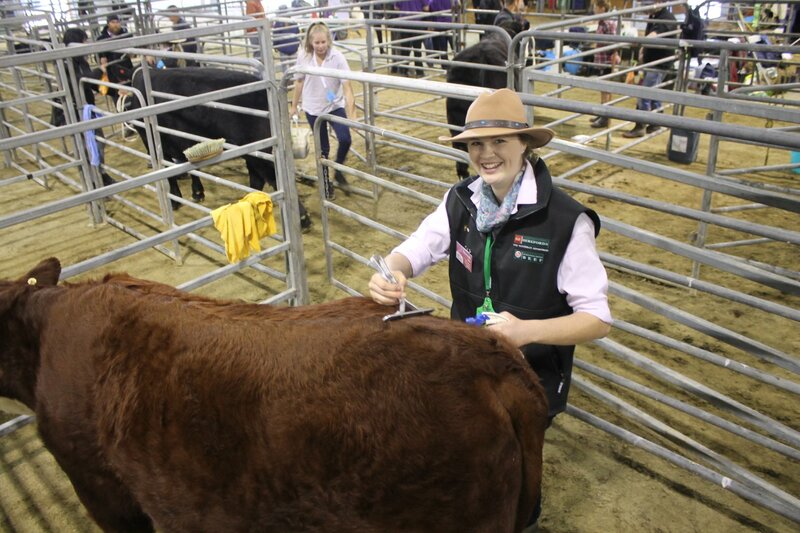 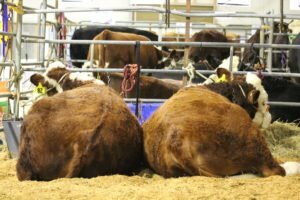 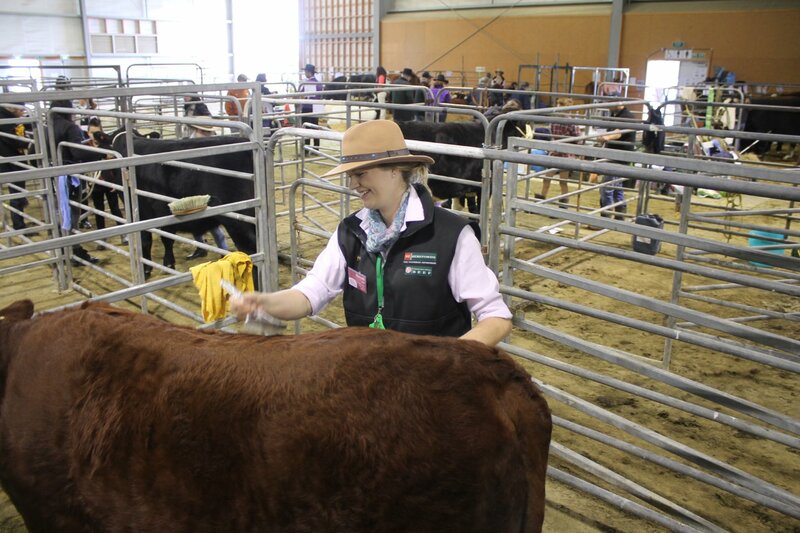 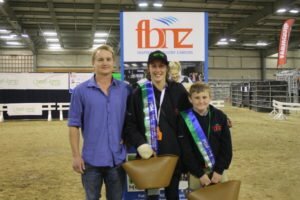 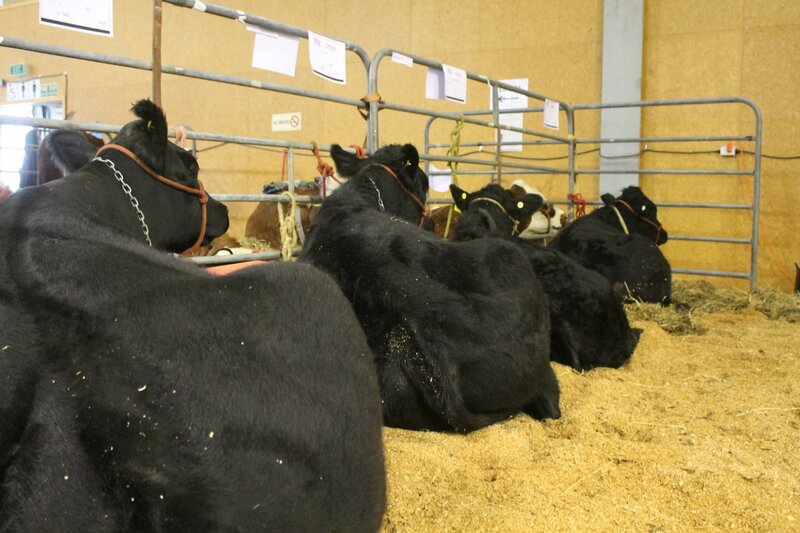 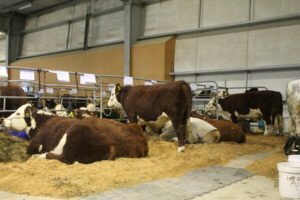 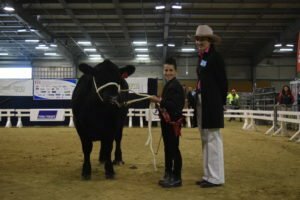 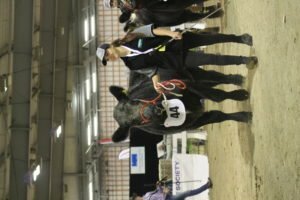 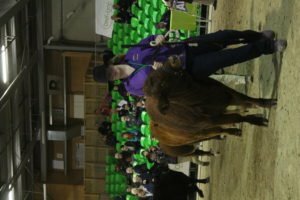 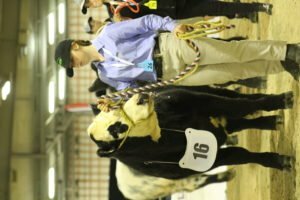 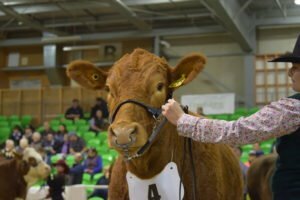 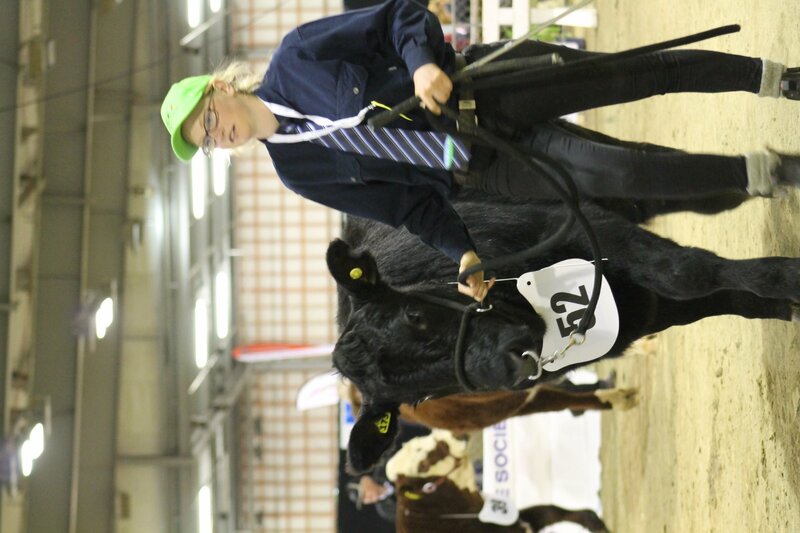 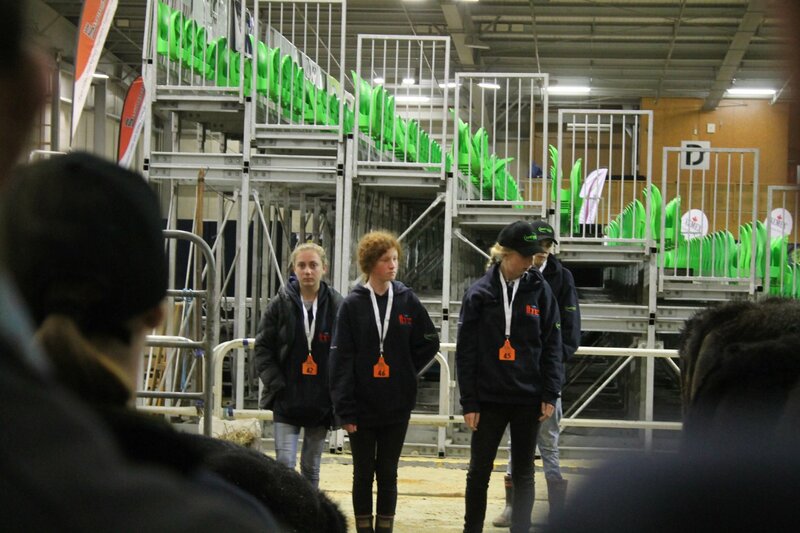 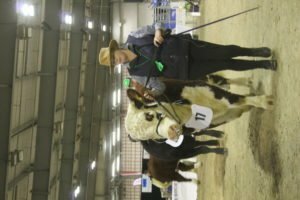 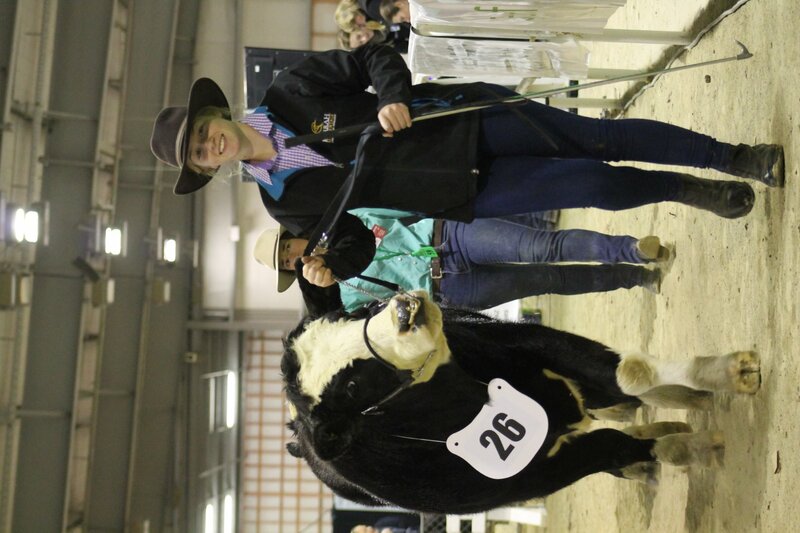 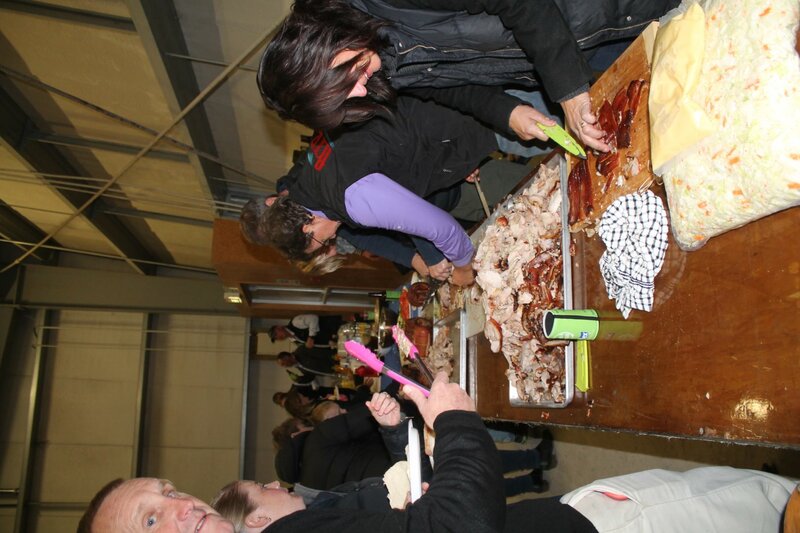 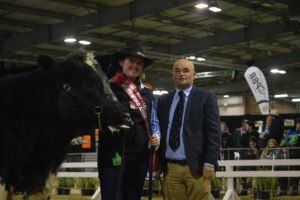 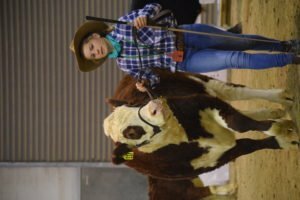 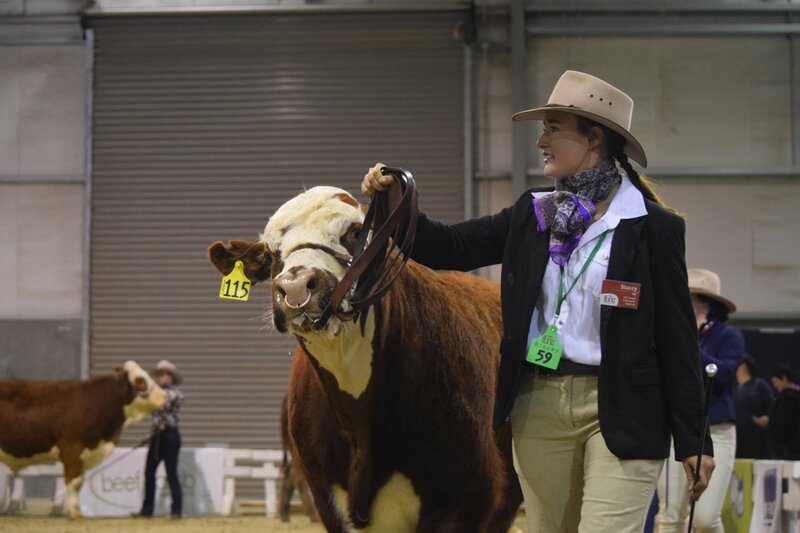 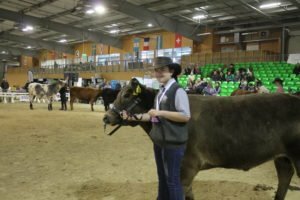 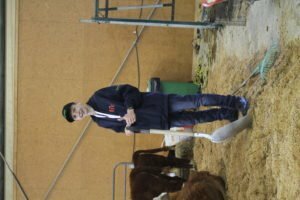 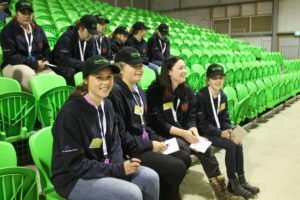 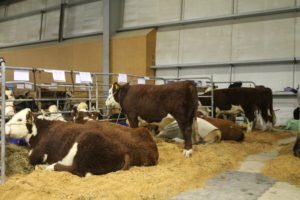 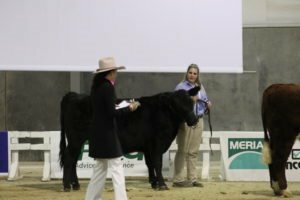 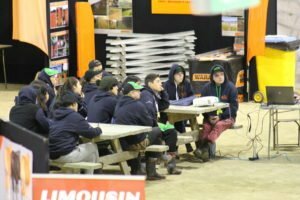 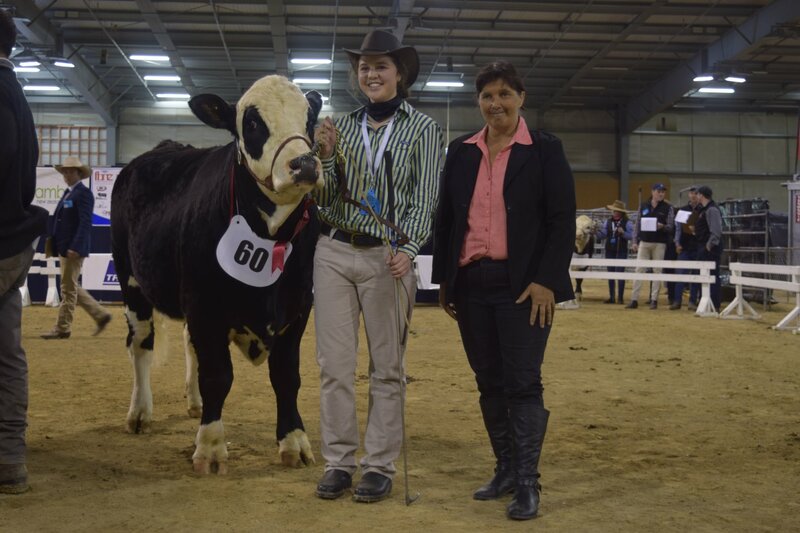 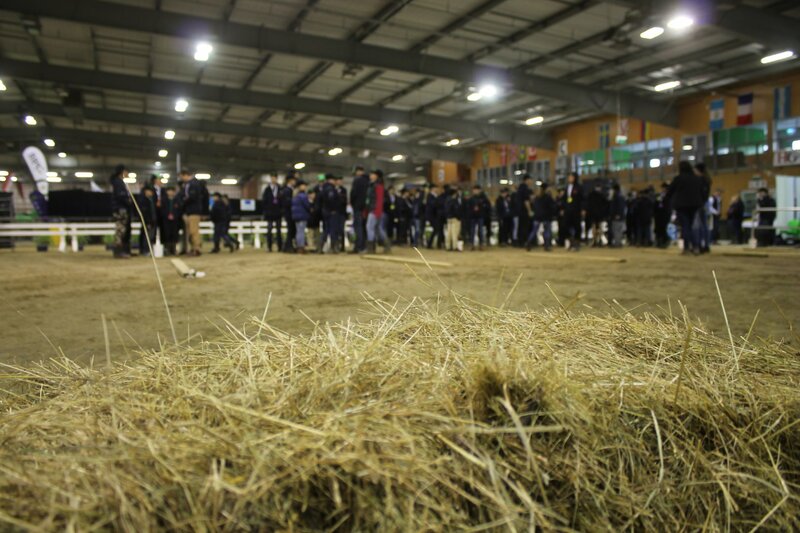 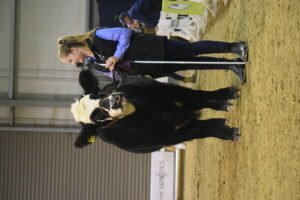 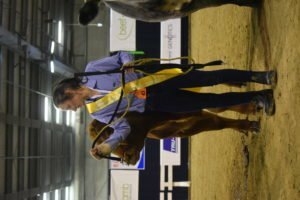 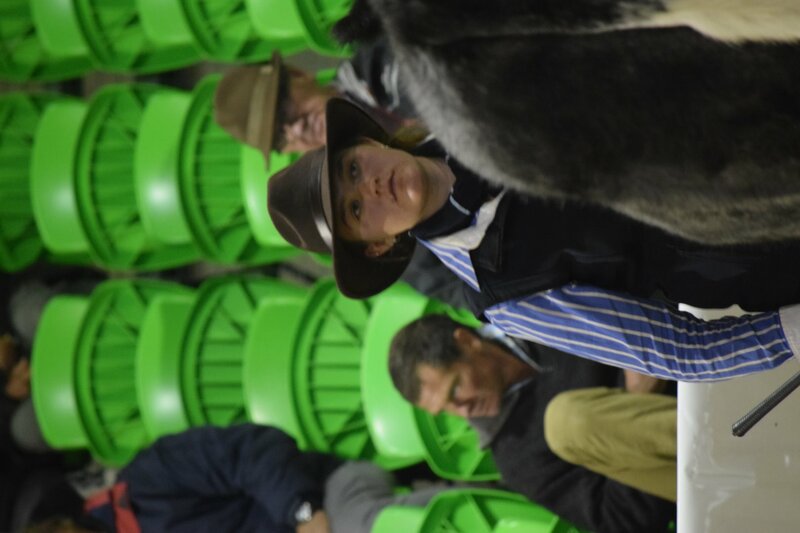 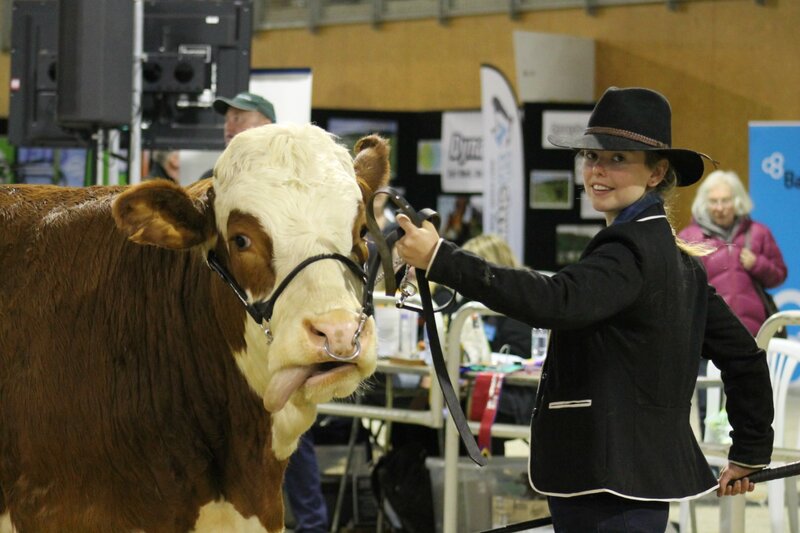 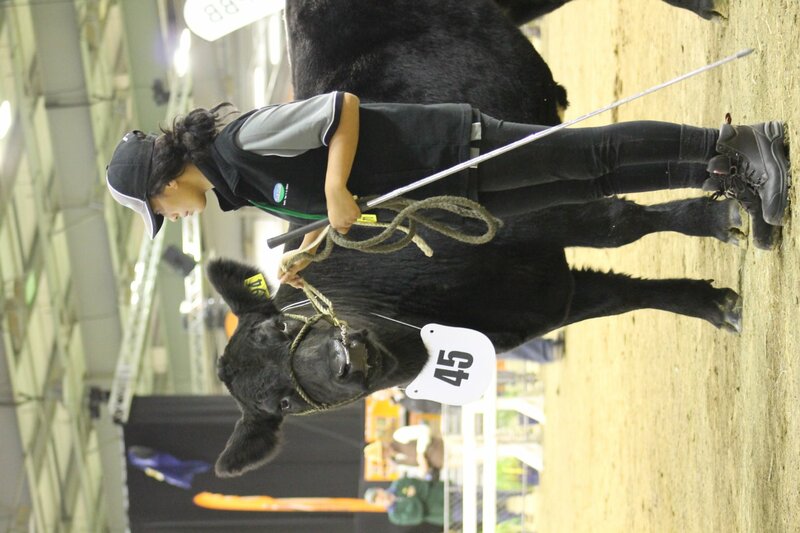 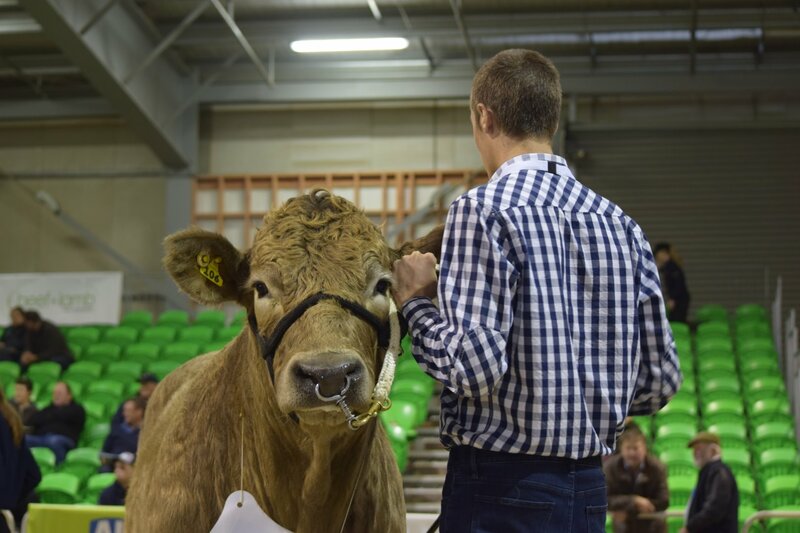 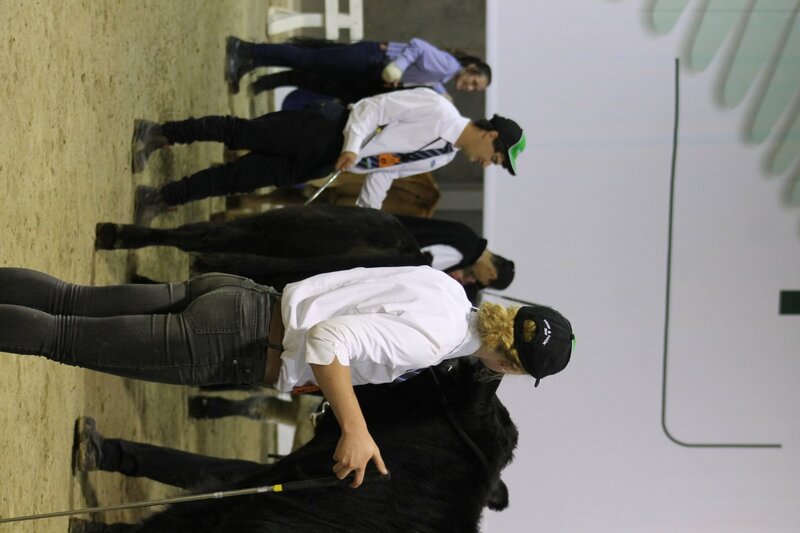 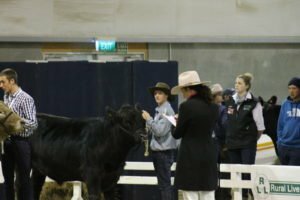 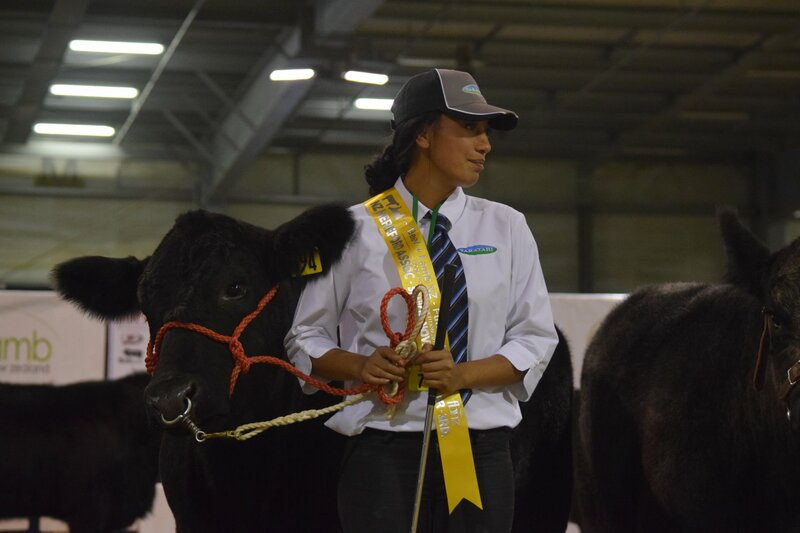 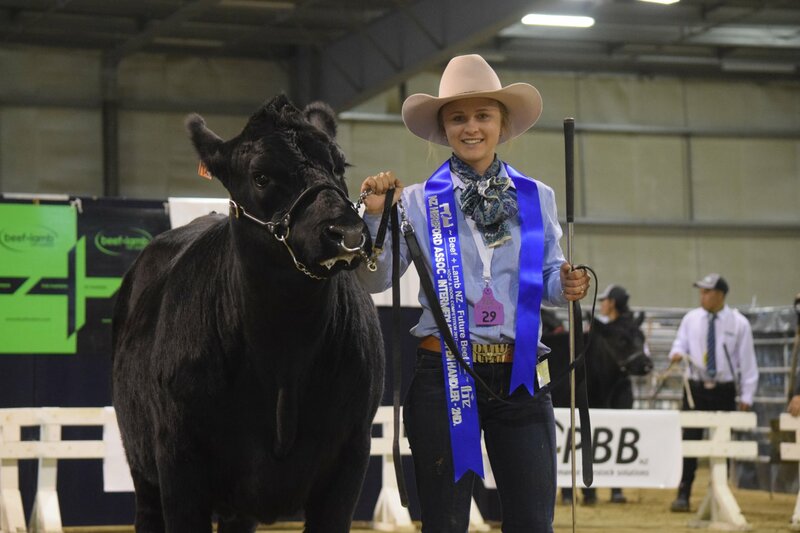 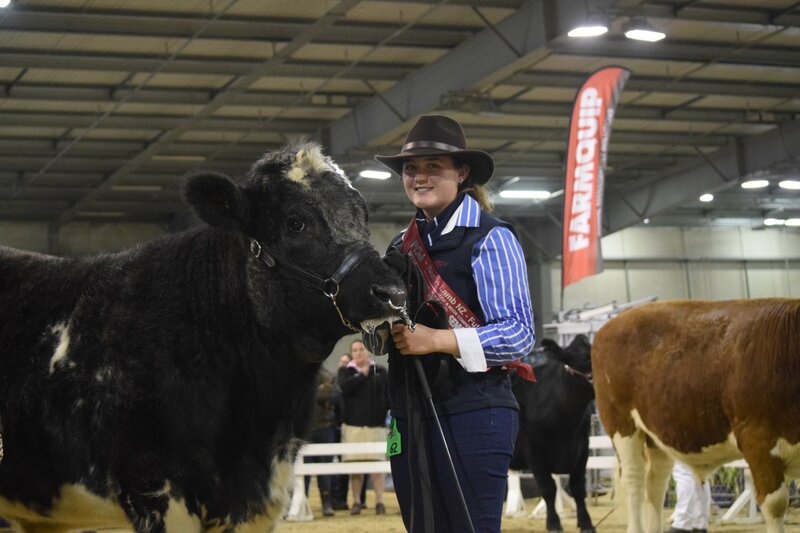 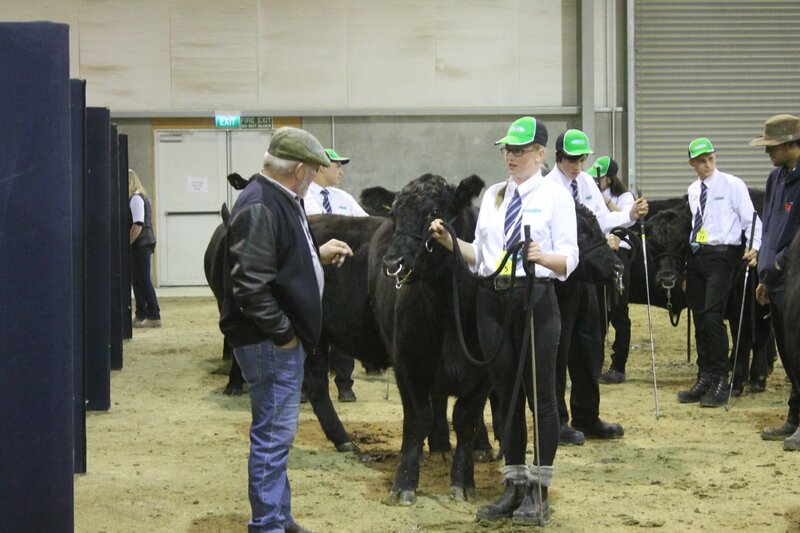 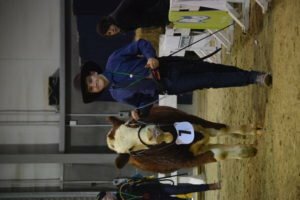 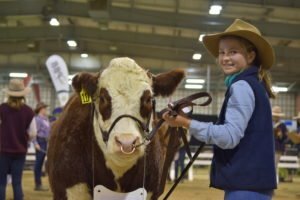 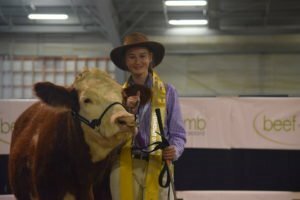 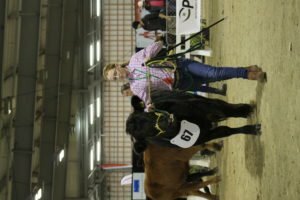 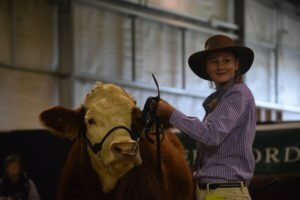 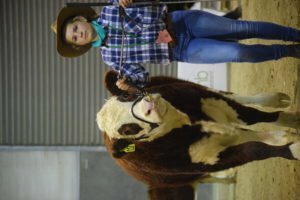 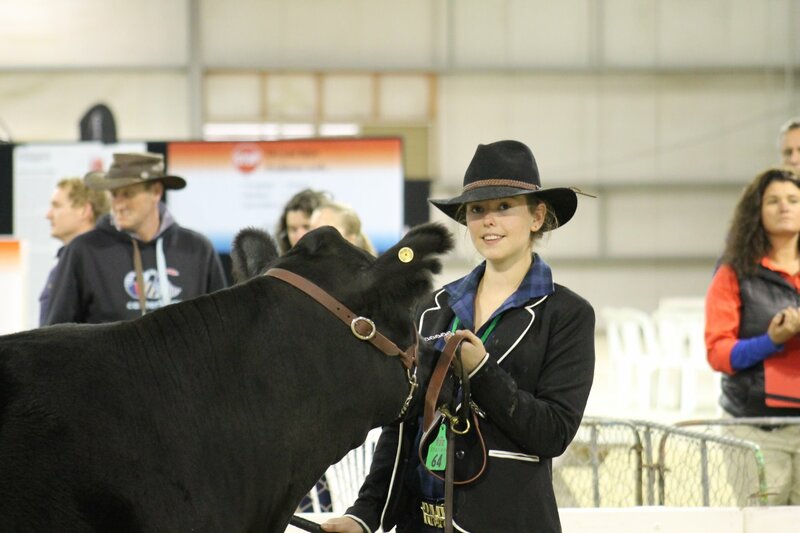 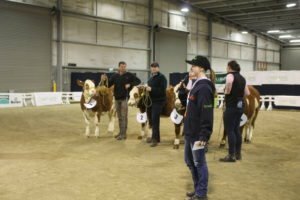 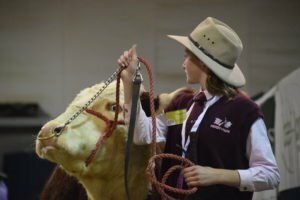 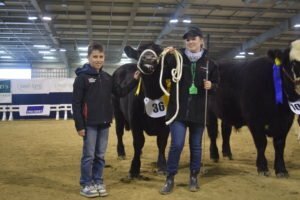 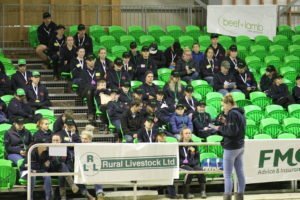 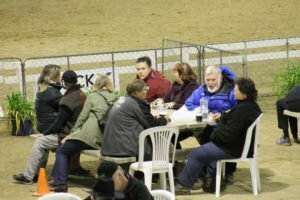 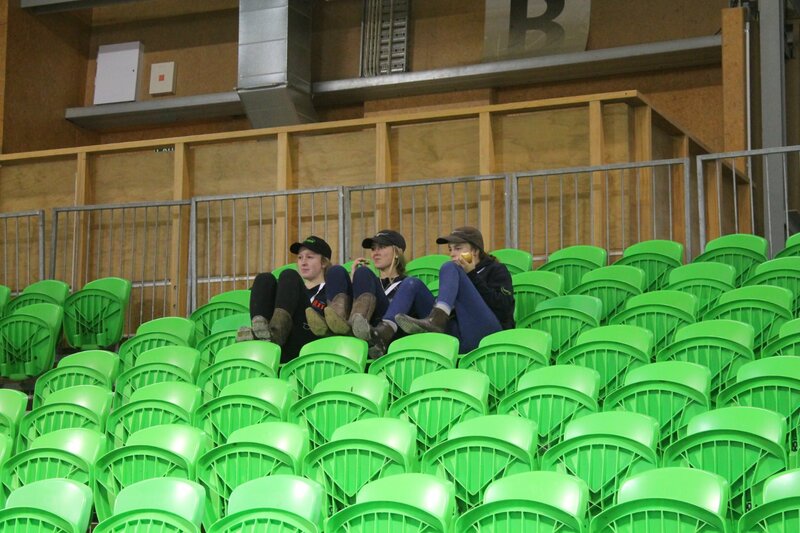 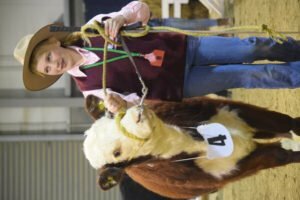 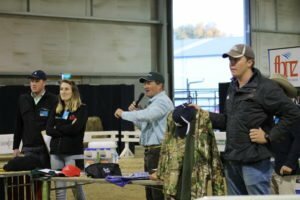 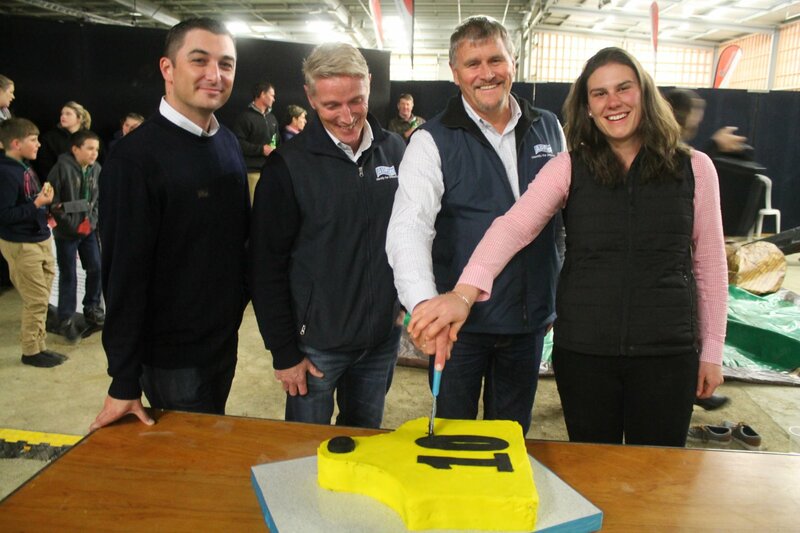 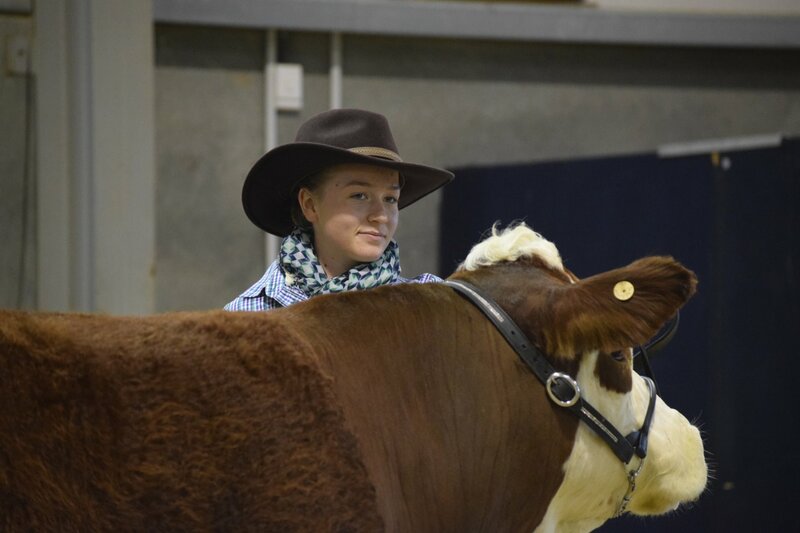 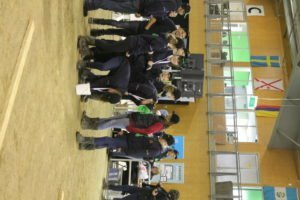 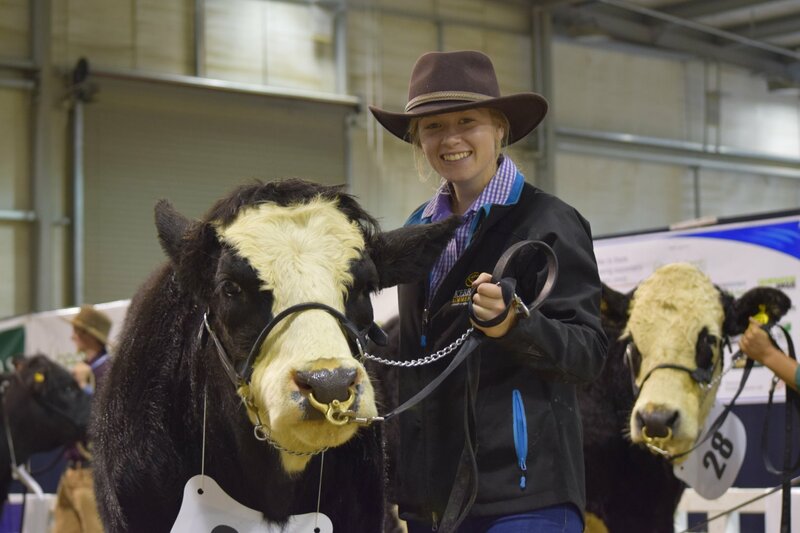 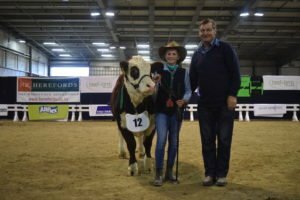 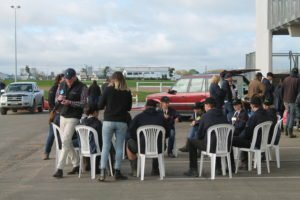 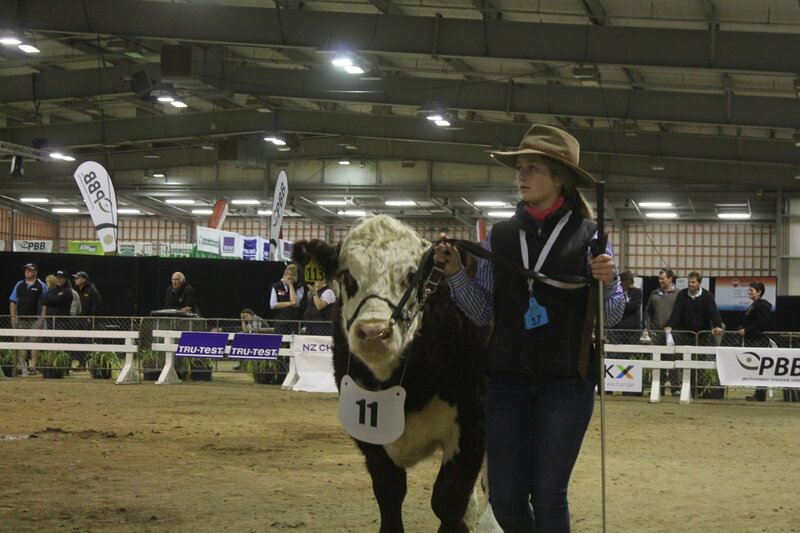 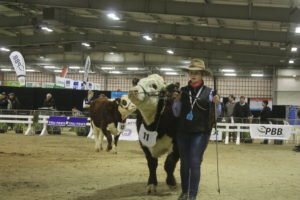 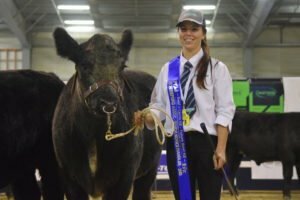 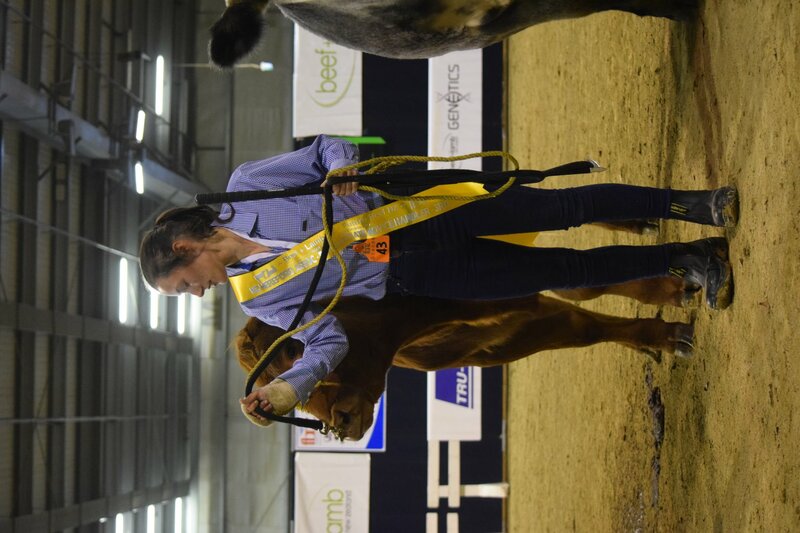 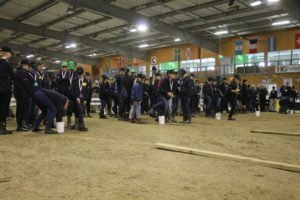 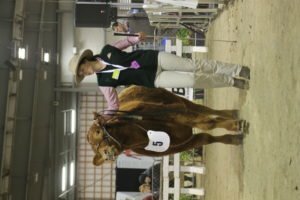 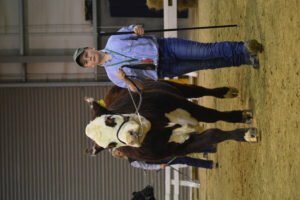 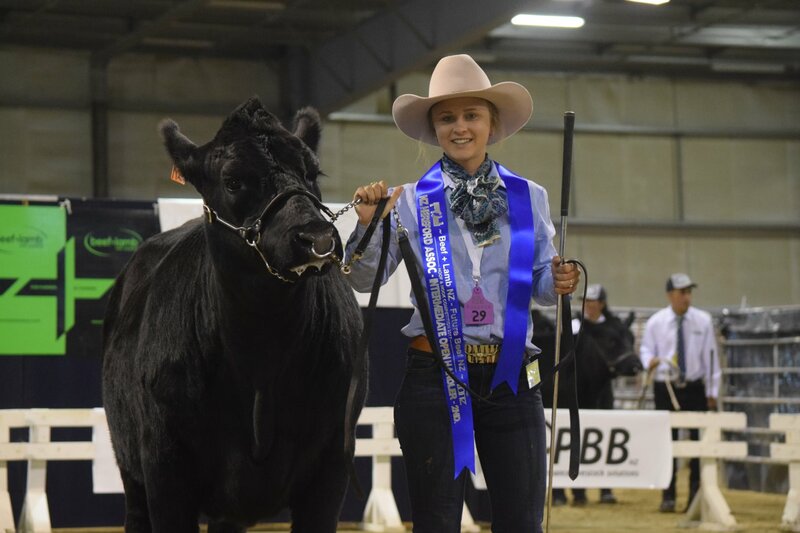 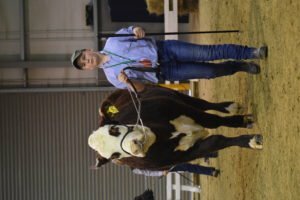 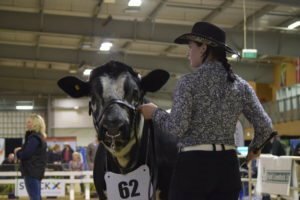 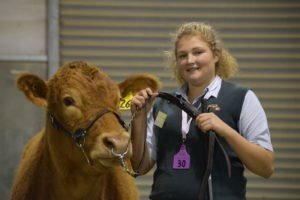 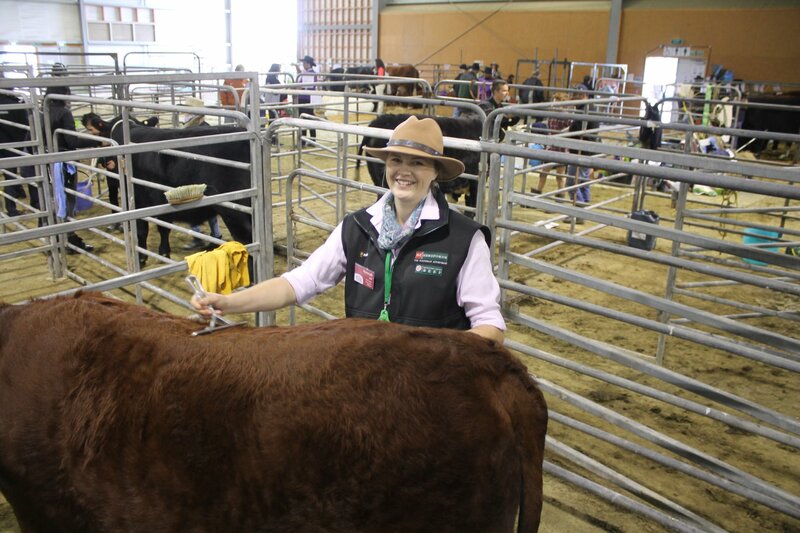 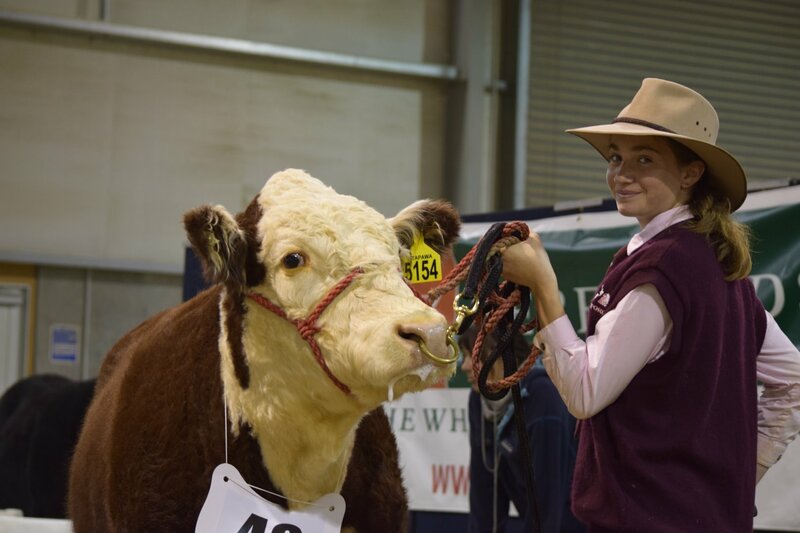 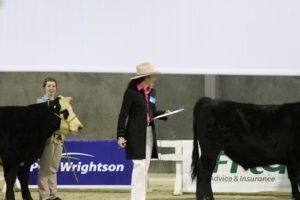 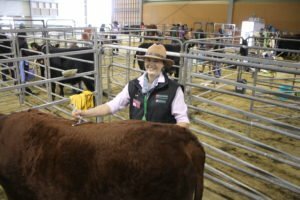 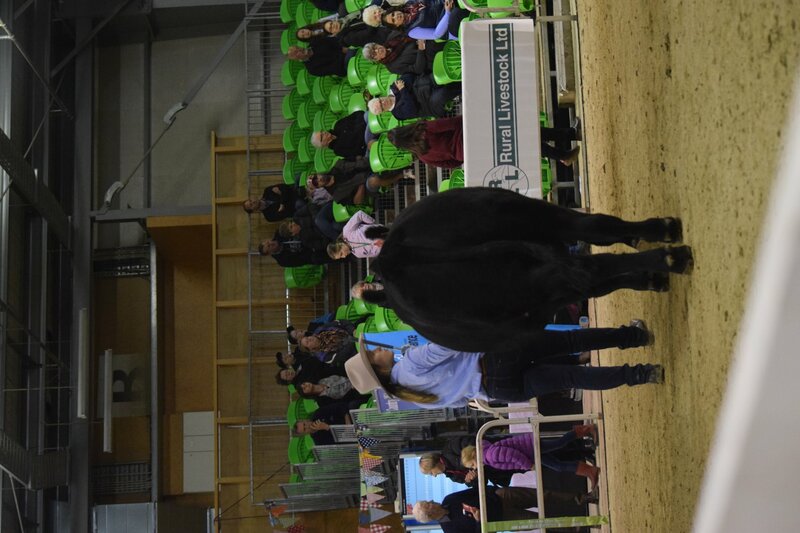 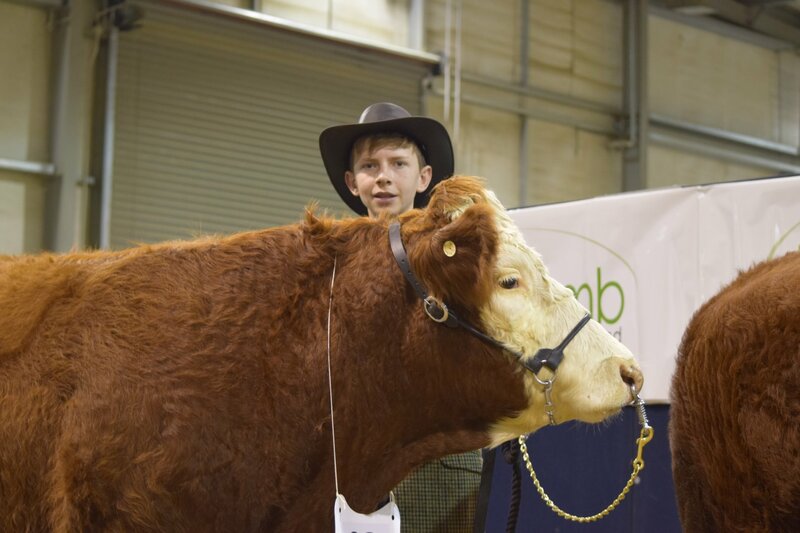 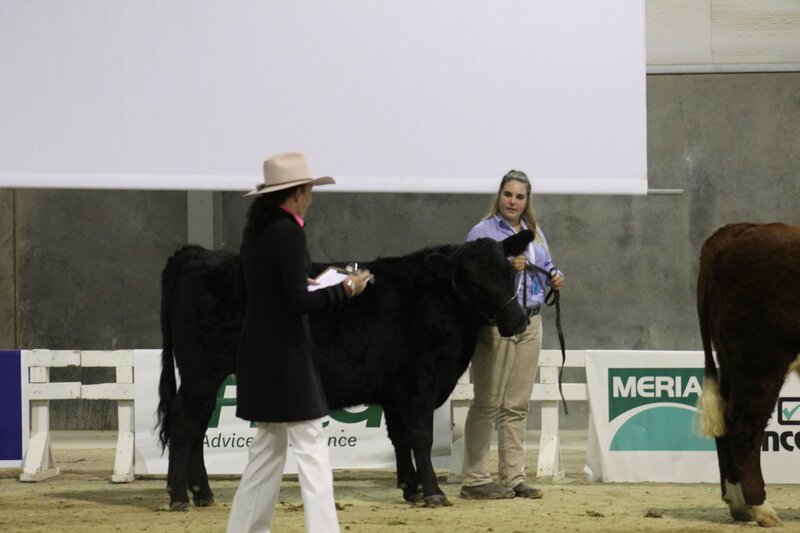 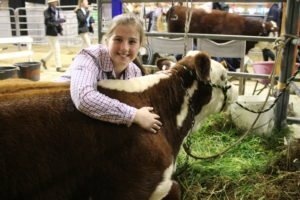 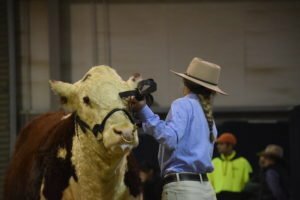 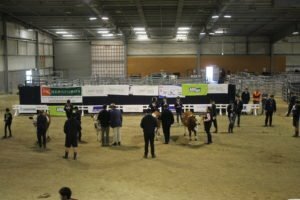 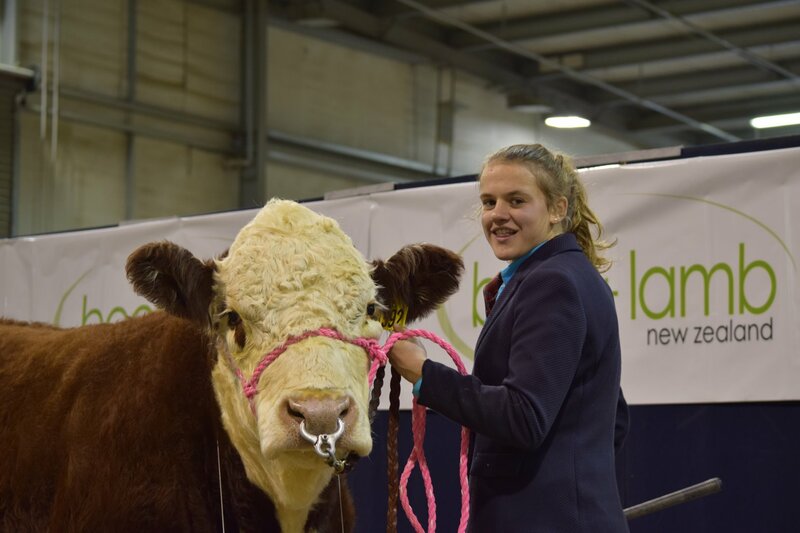 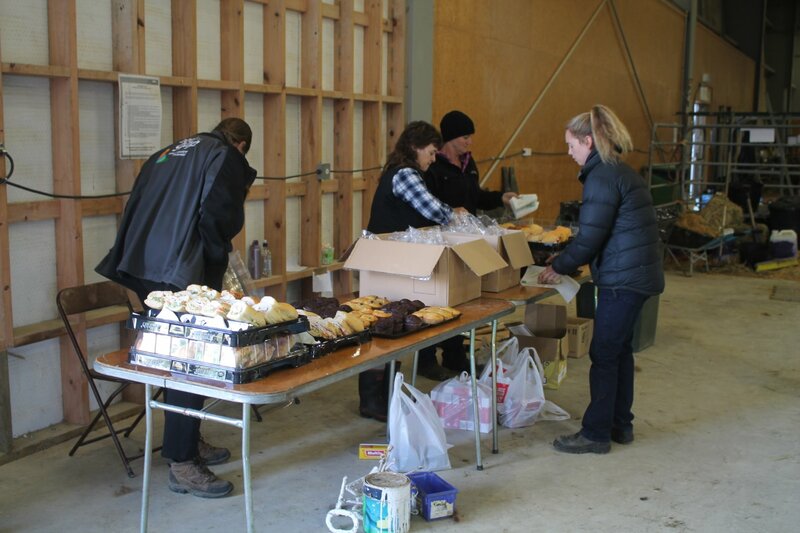 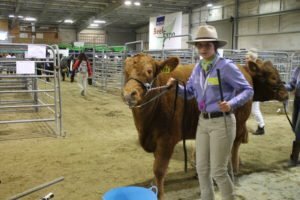 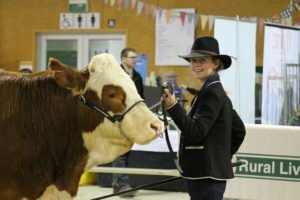 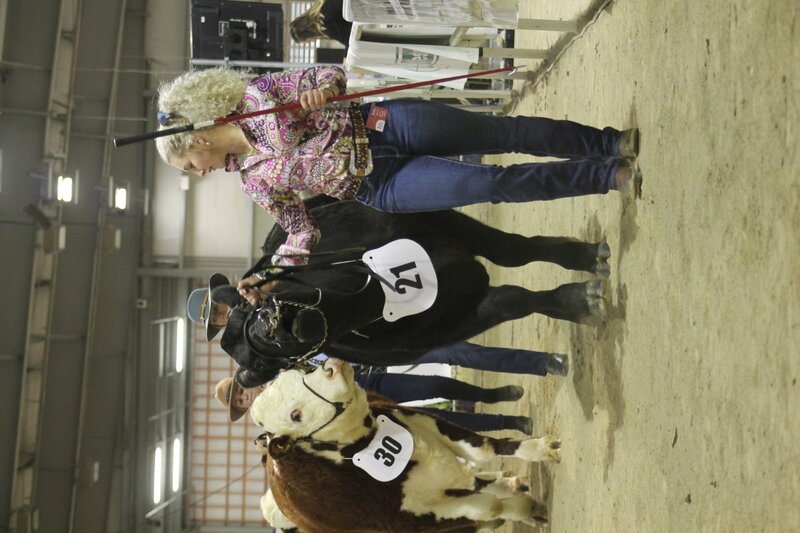 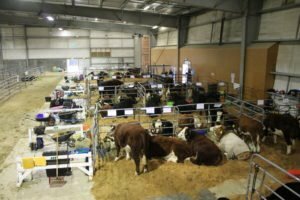 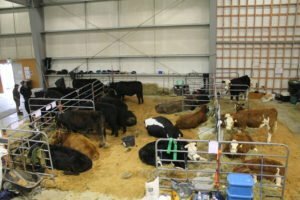 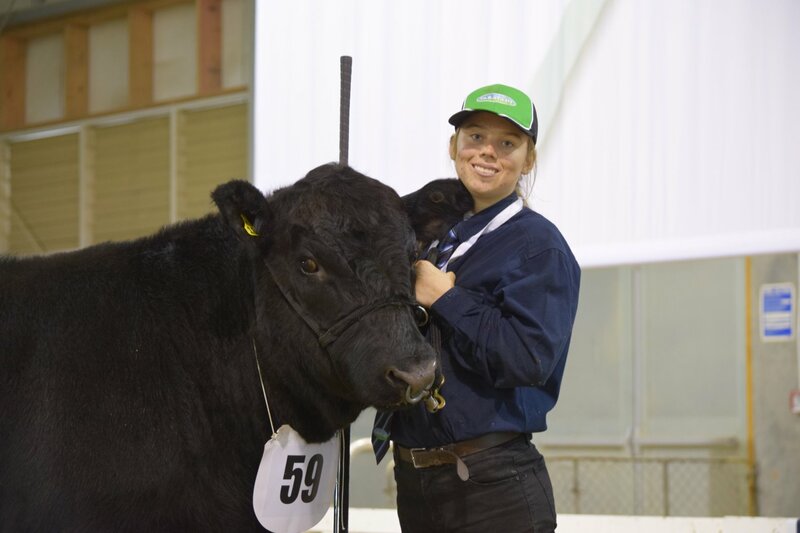 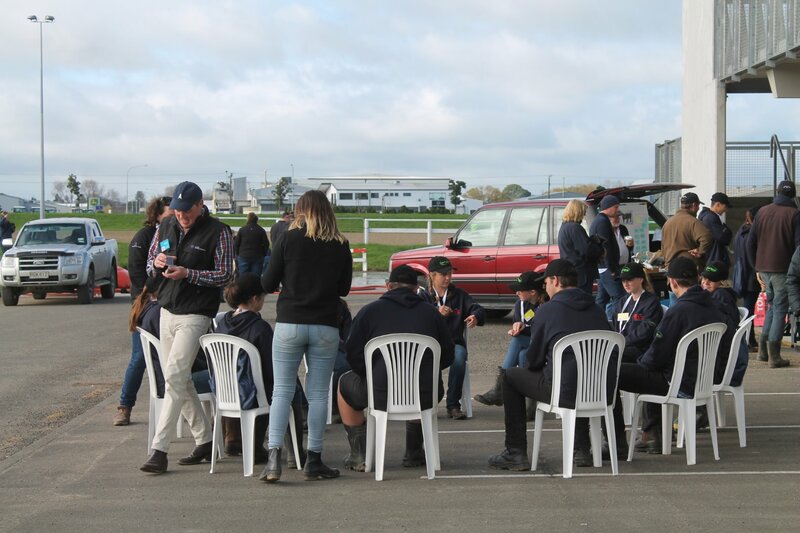 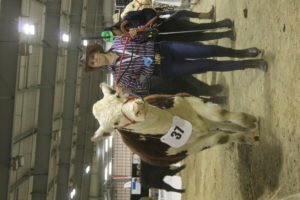 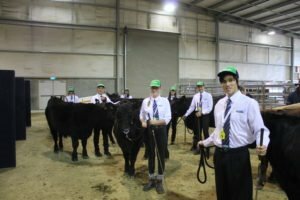 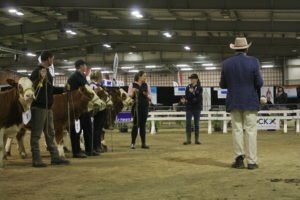 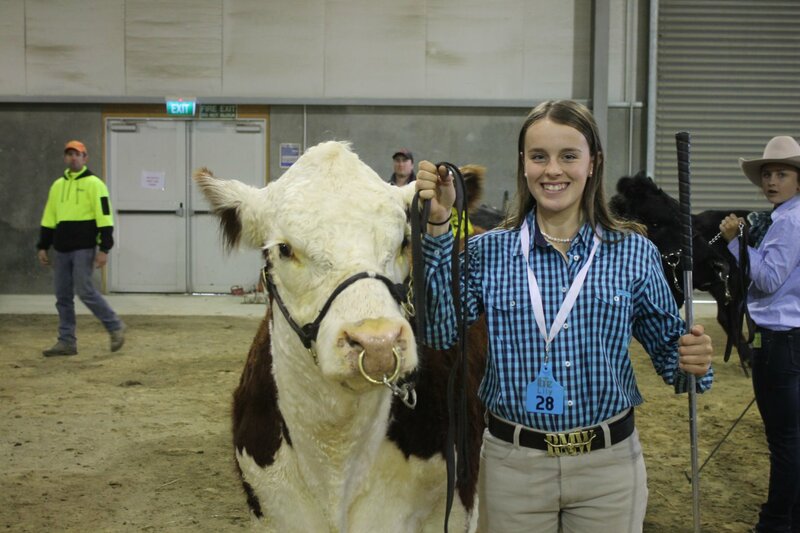 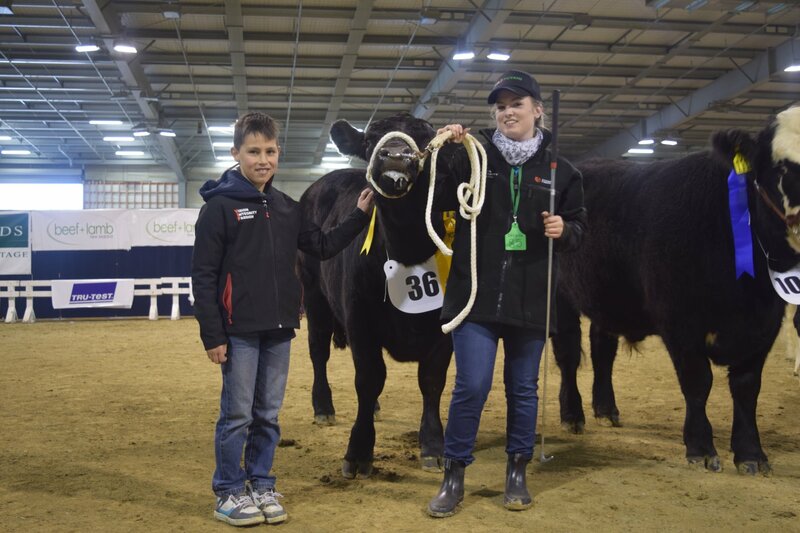 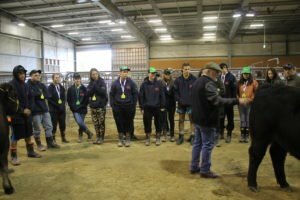 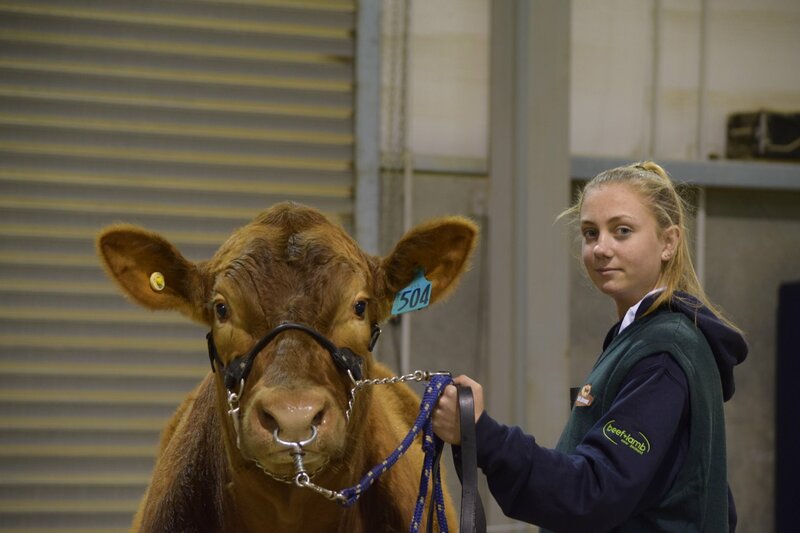 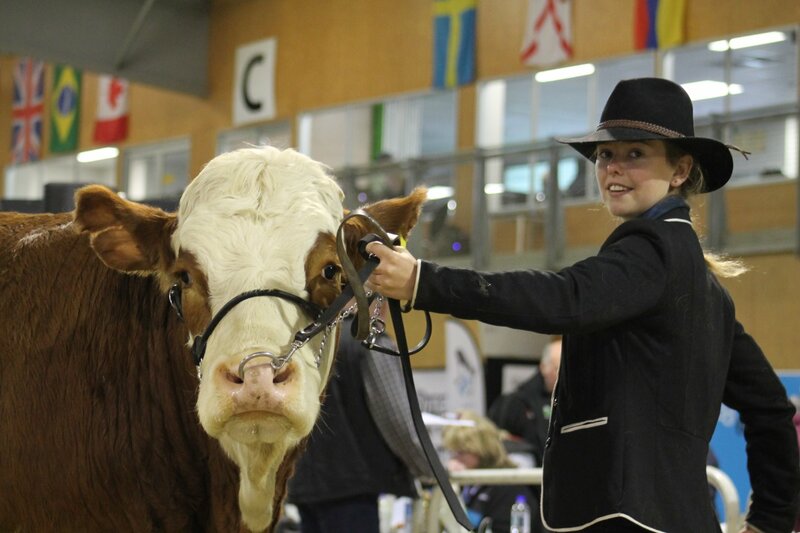 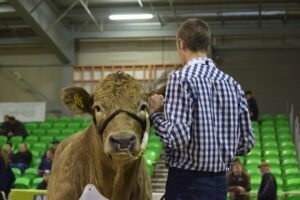 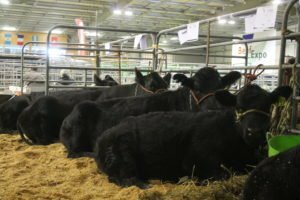 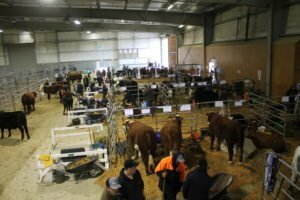 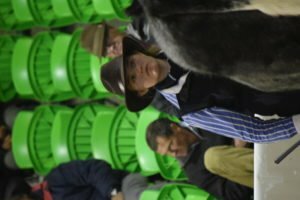 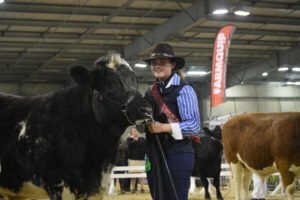 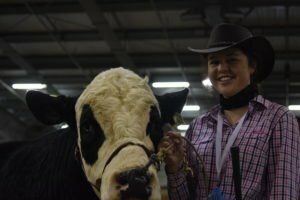 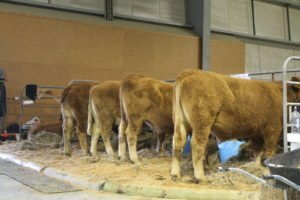 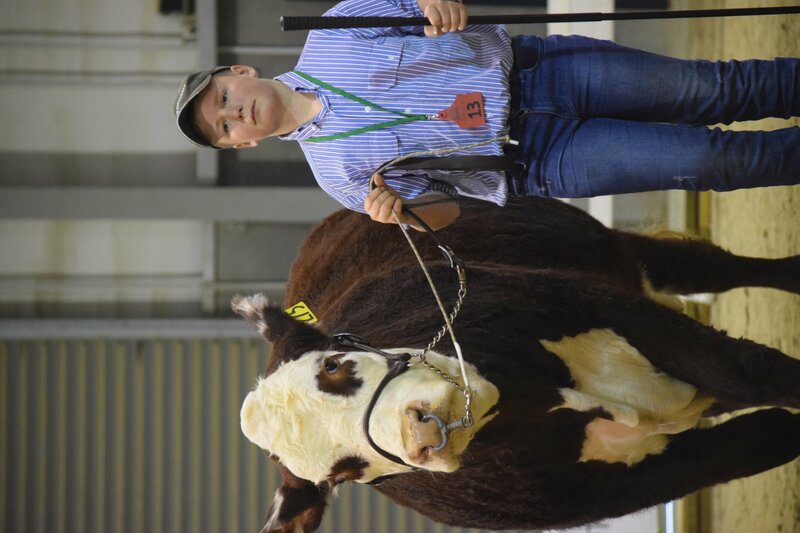 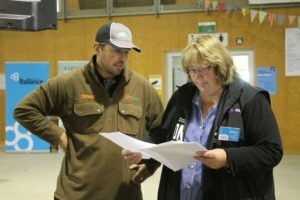 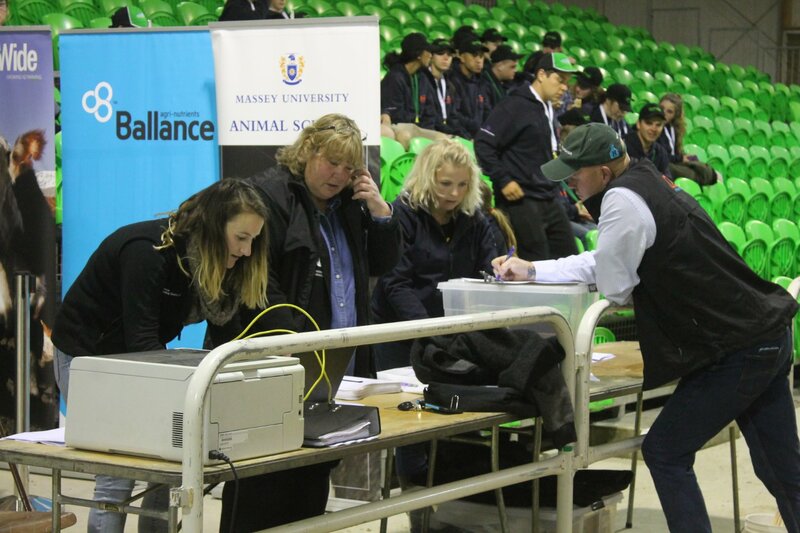 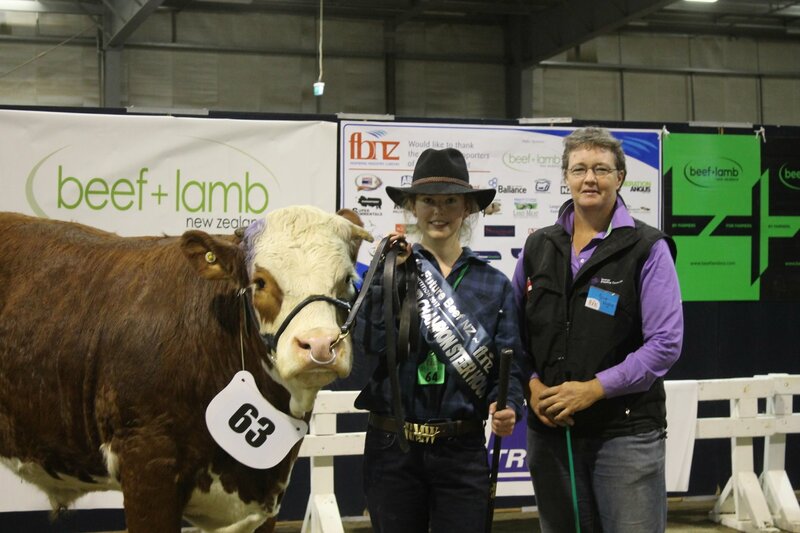 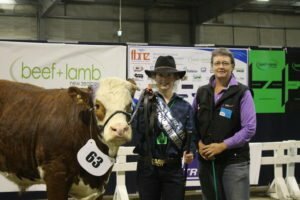 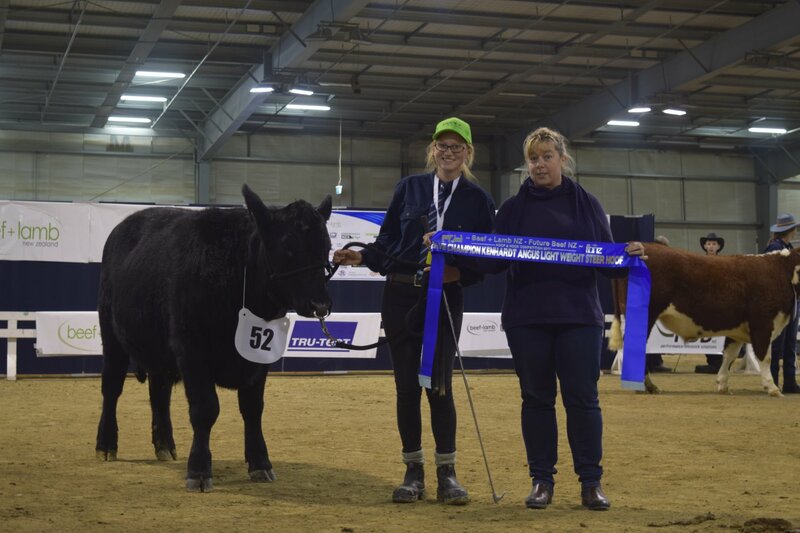 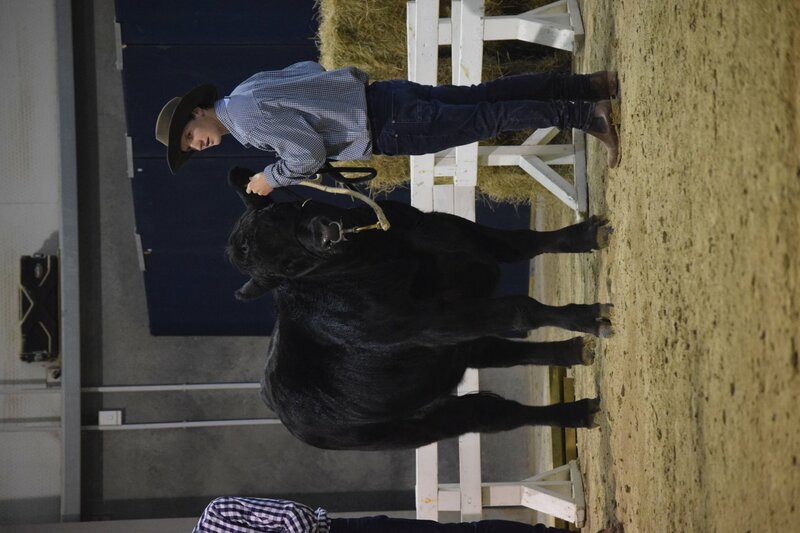 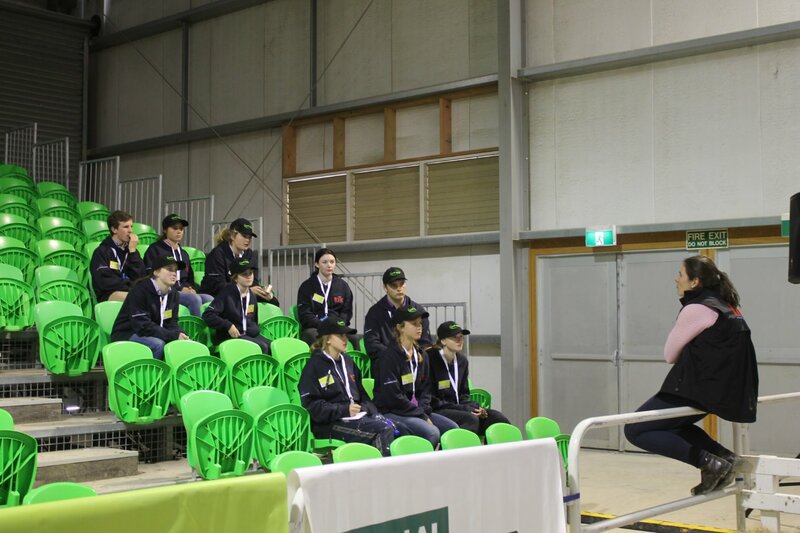 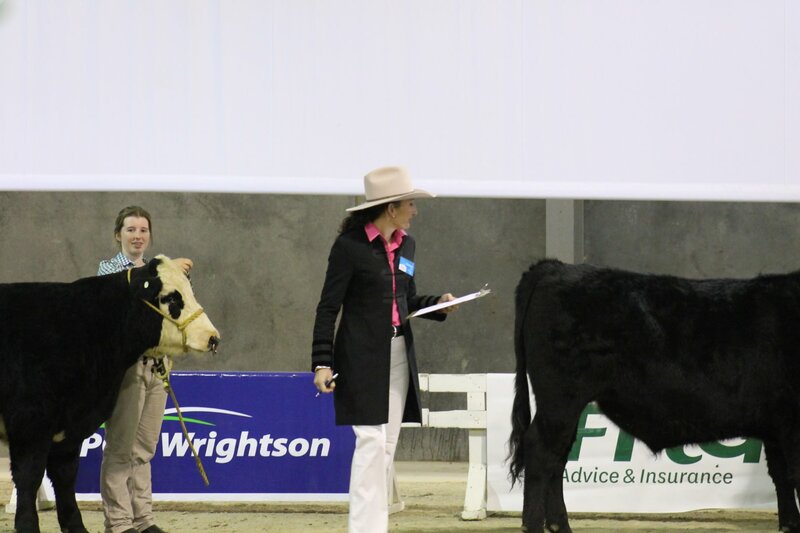 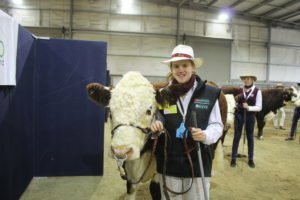 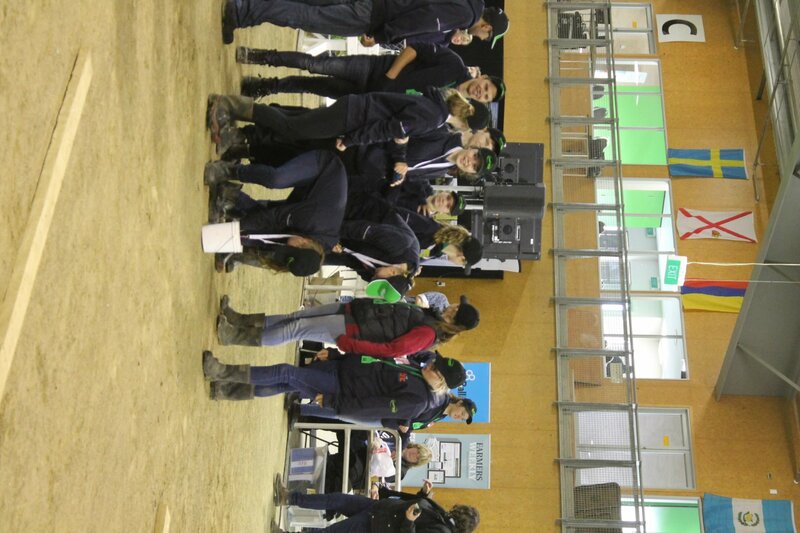 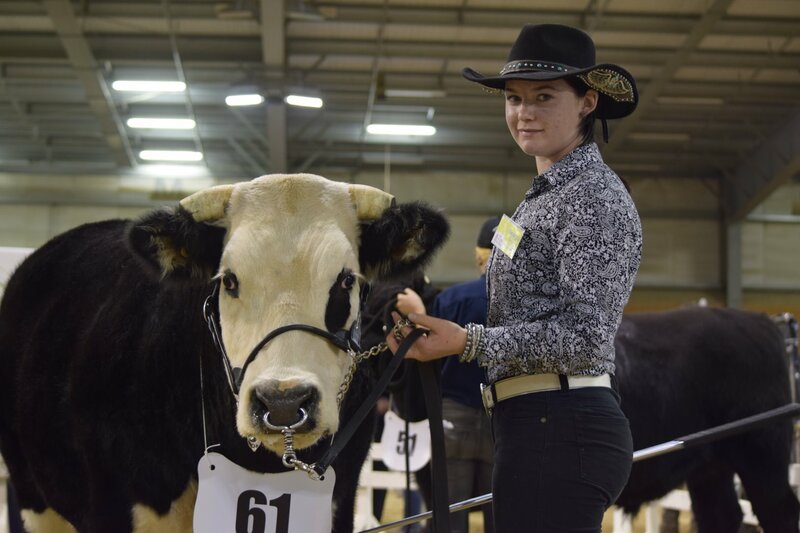 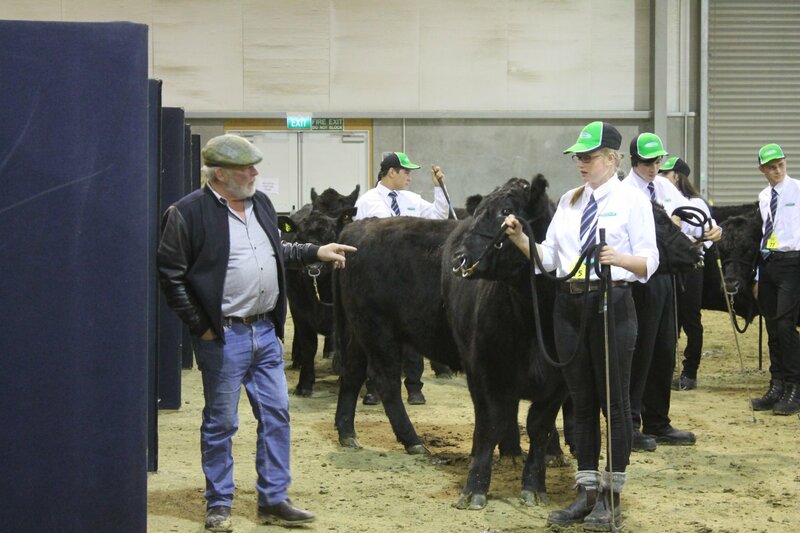 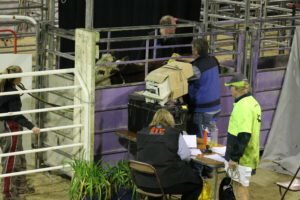 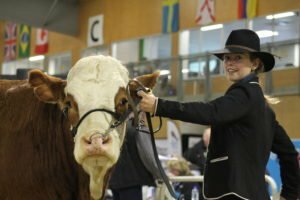 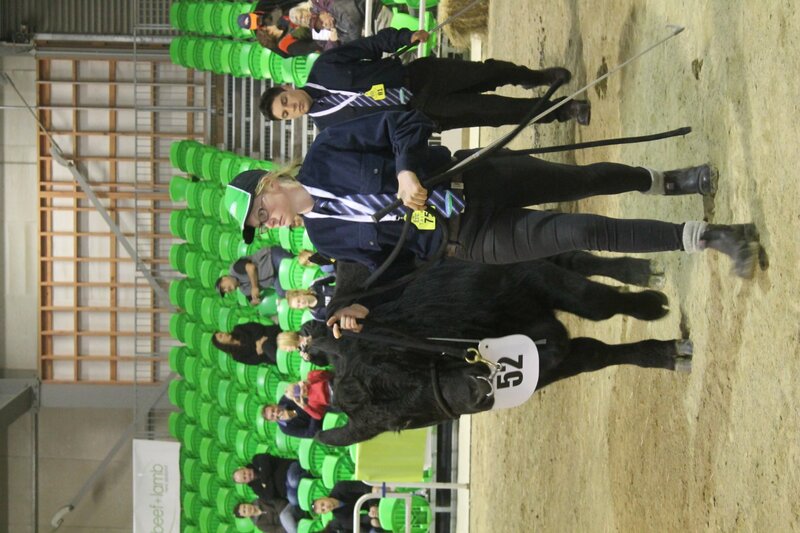 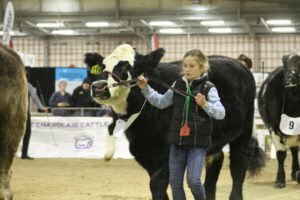 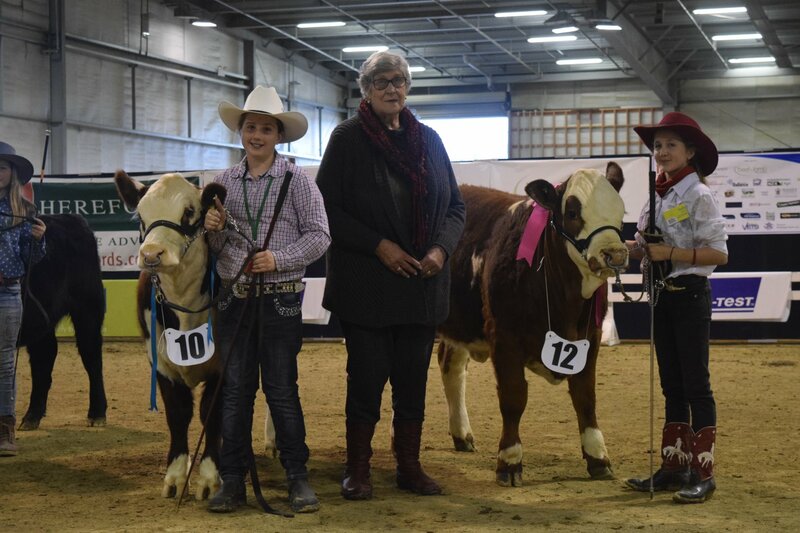 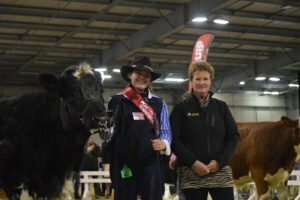 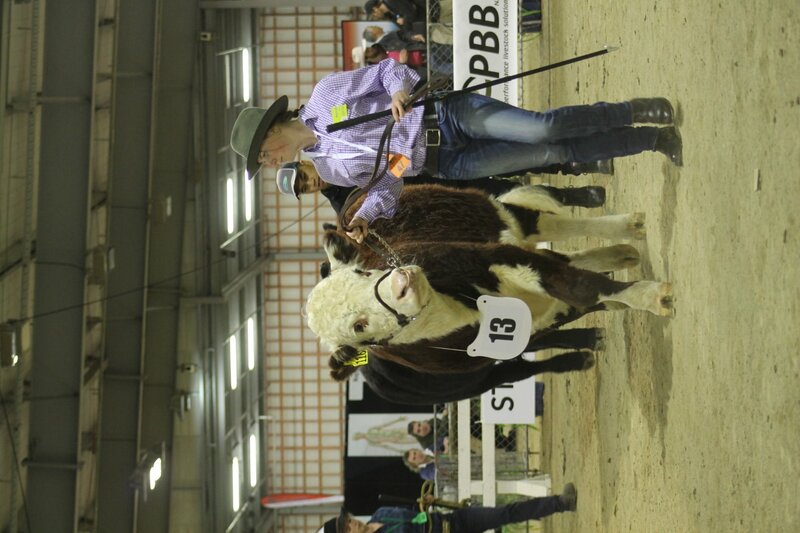 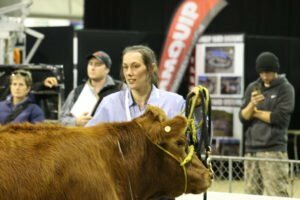 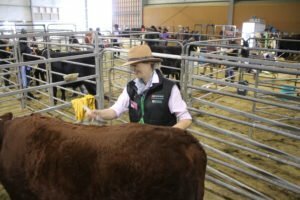 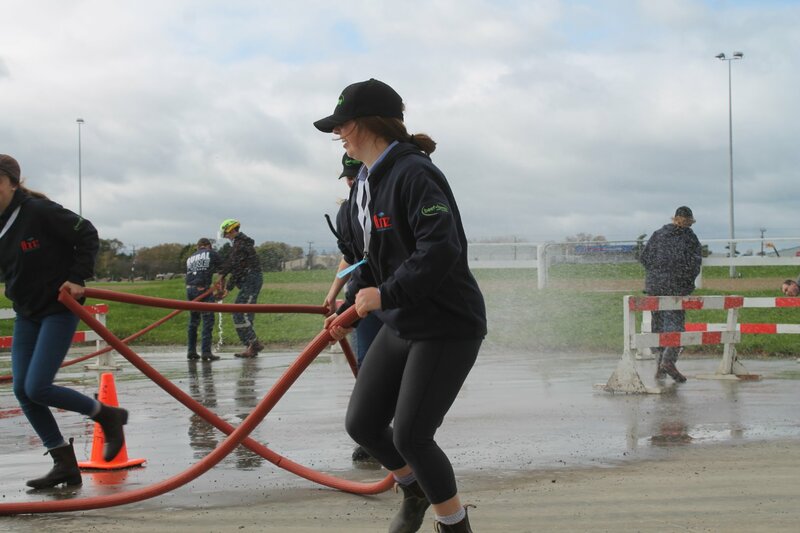 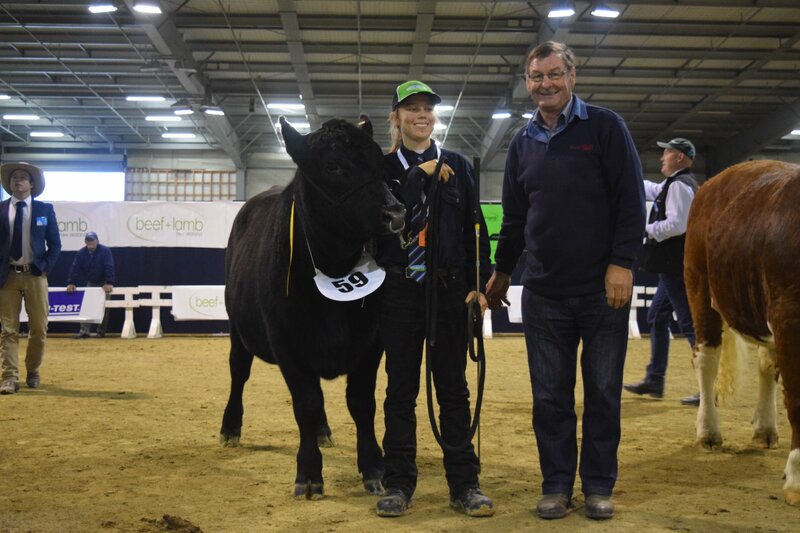 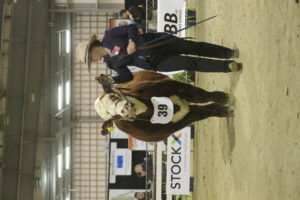 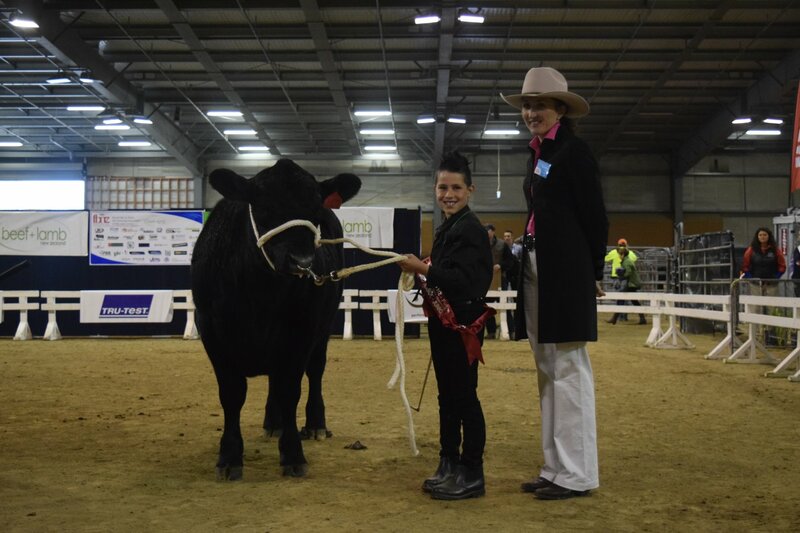 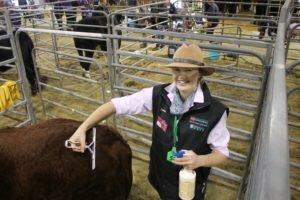 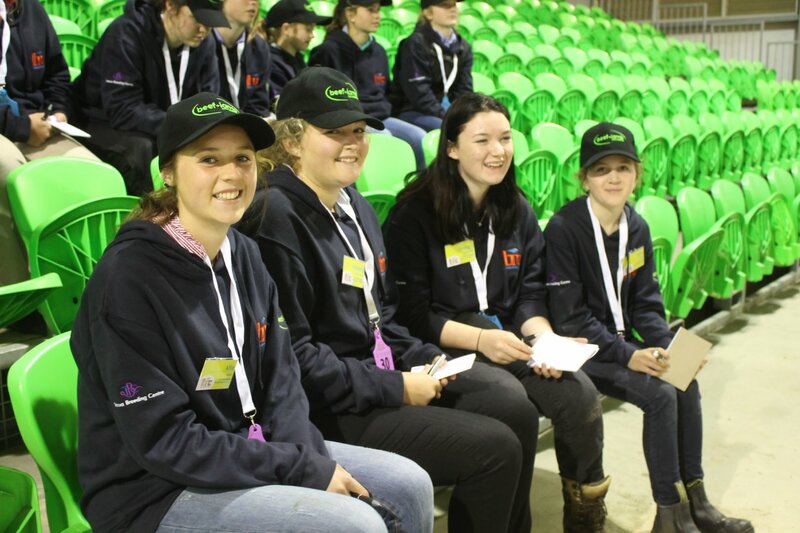 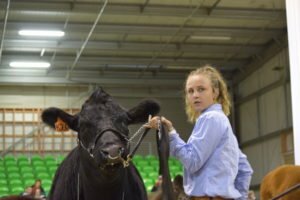 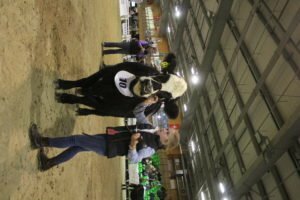 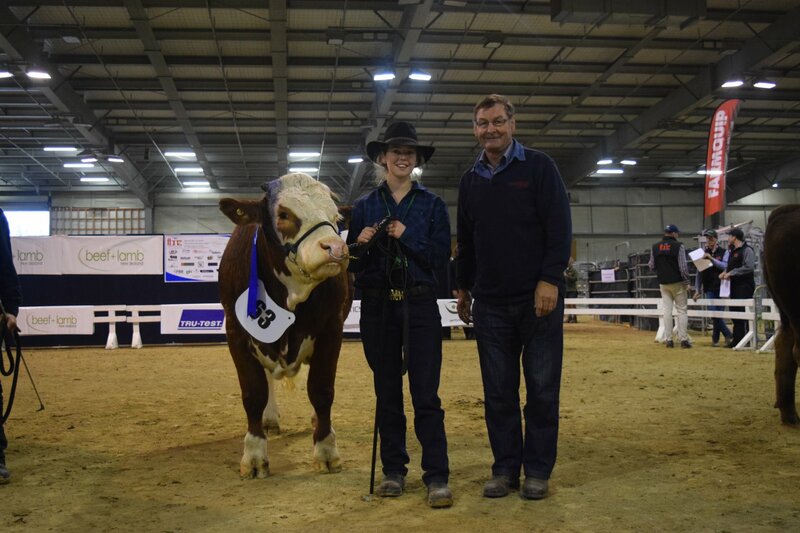 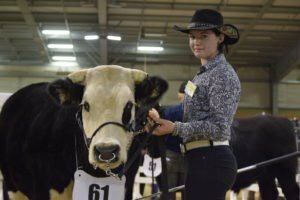 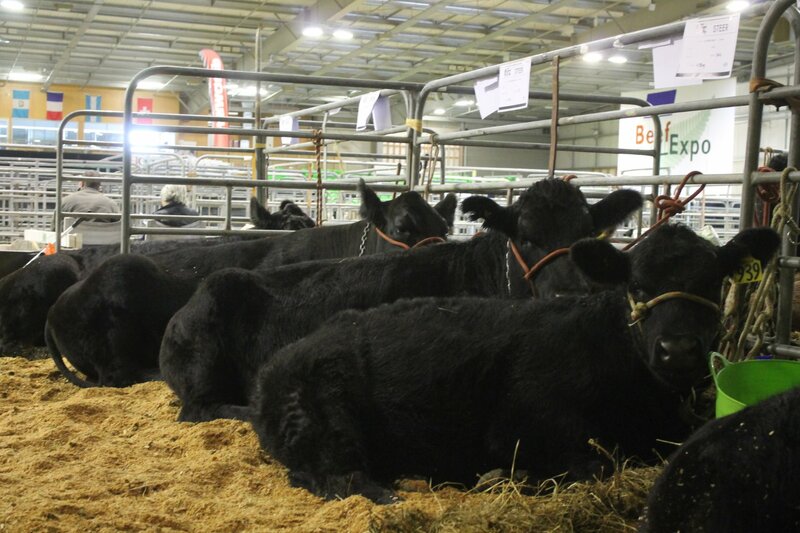 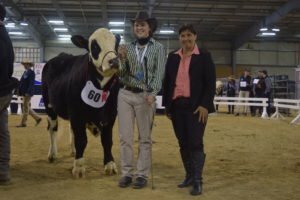 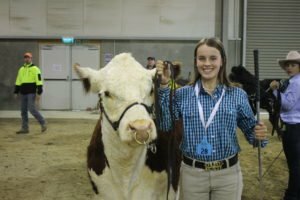 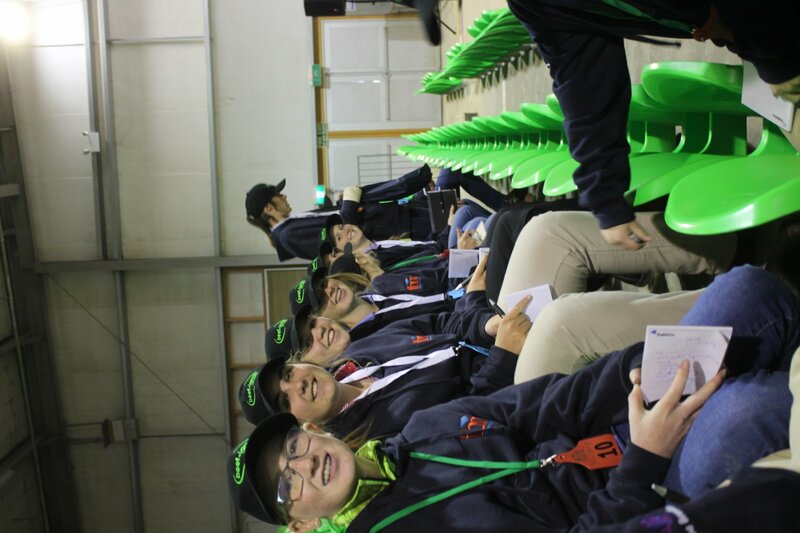 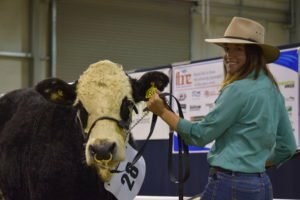 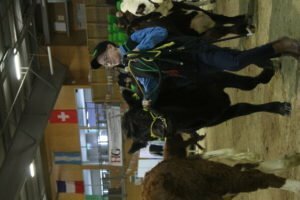 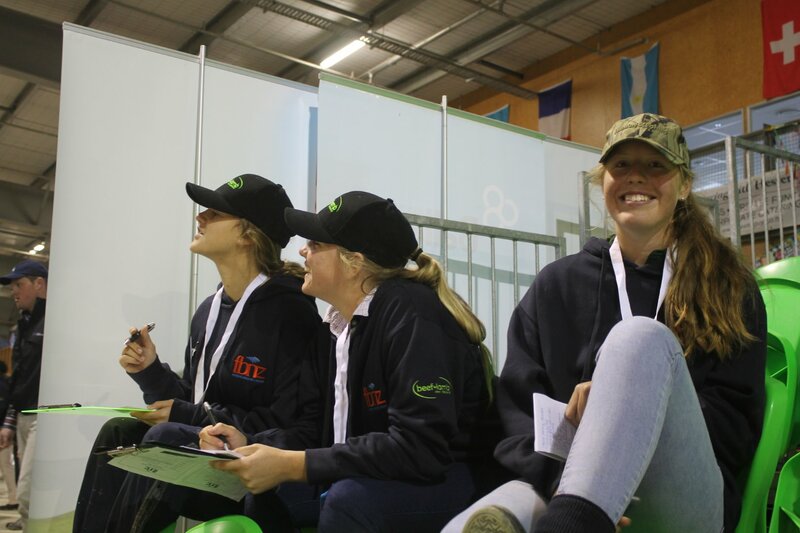 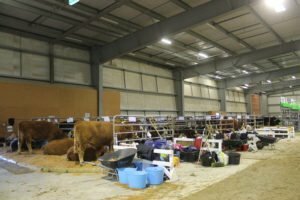 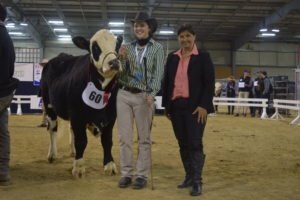 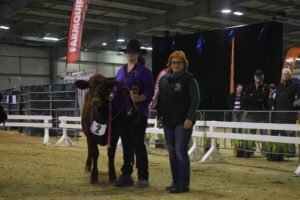 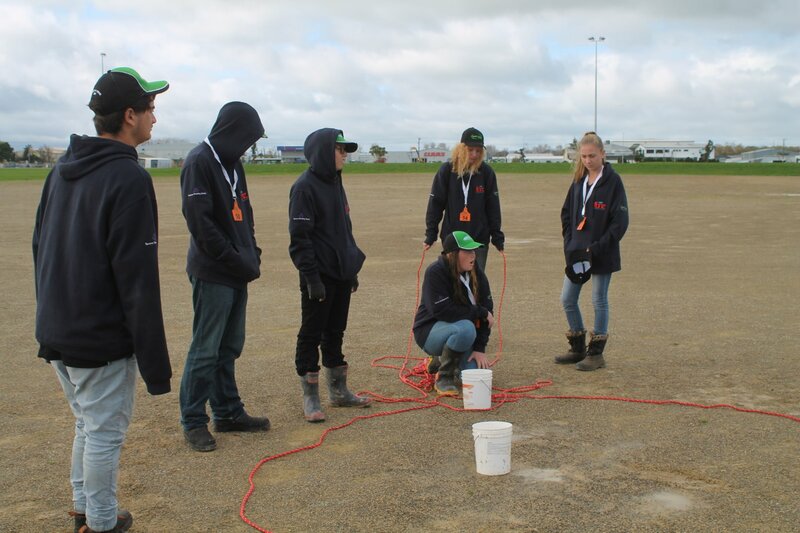 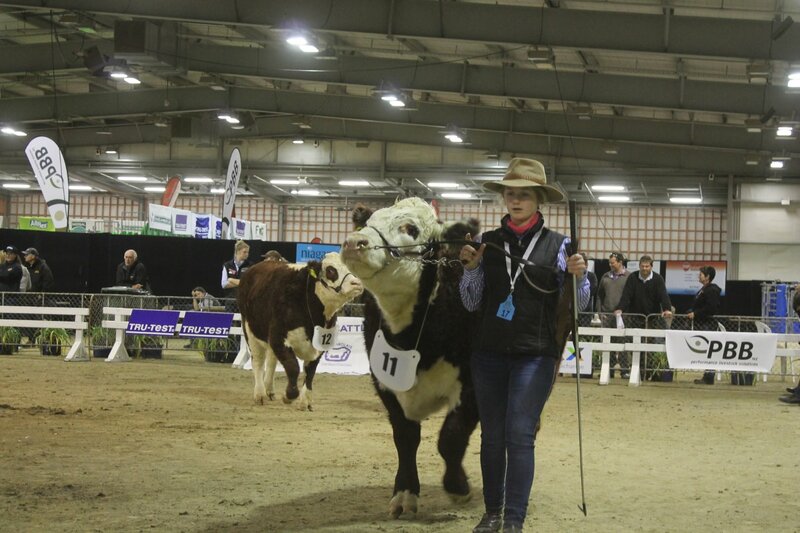 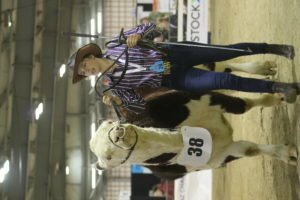 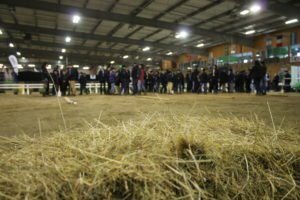 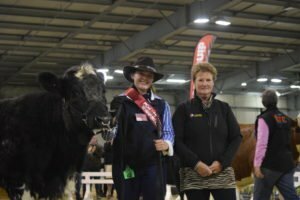 Dannevirke teenager Niamh Barnett knows first-hand how nerve-racking bidding at a livestock auction can be. I highly recommend applying for this scholarship, was one of the most exciting things I’ve been apart of. 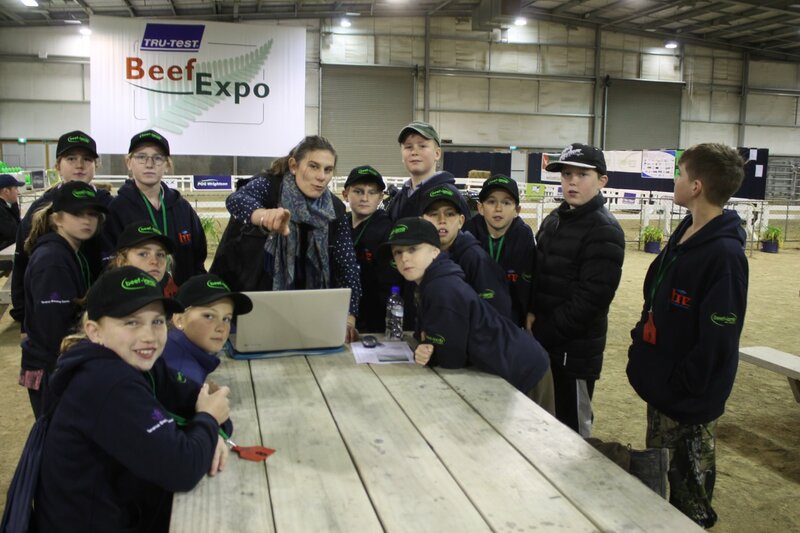 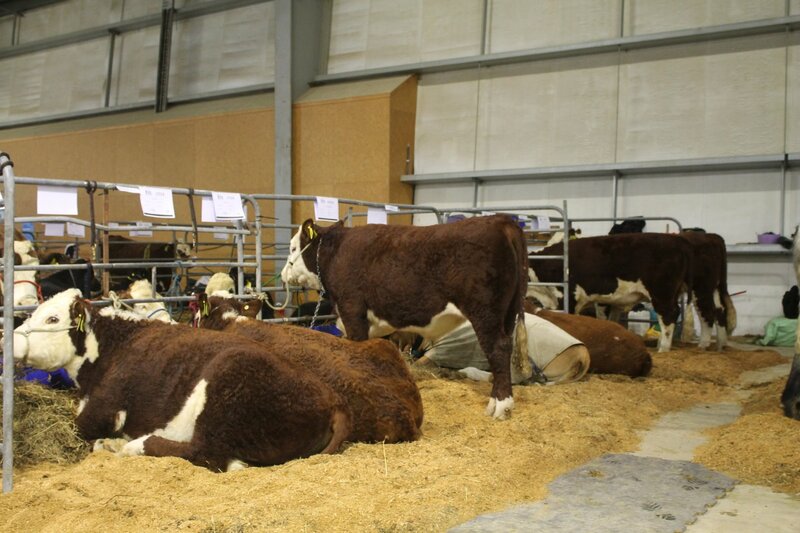 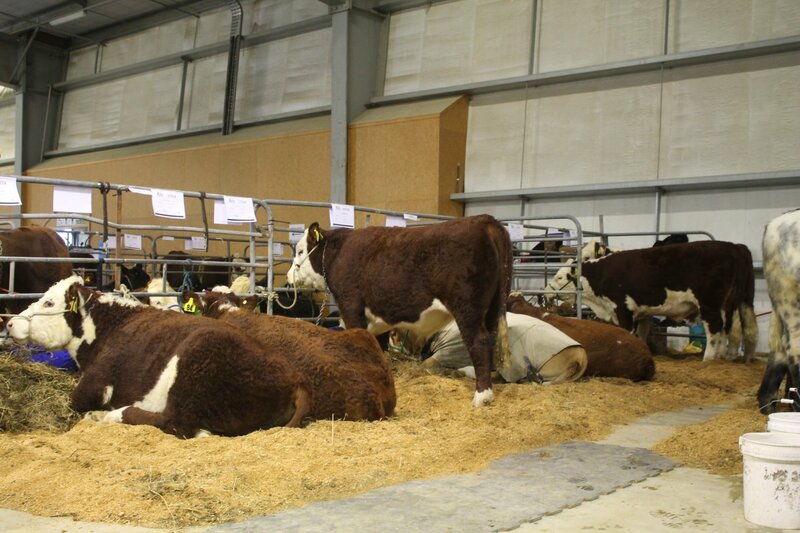 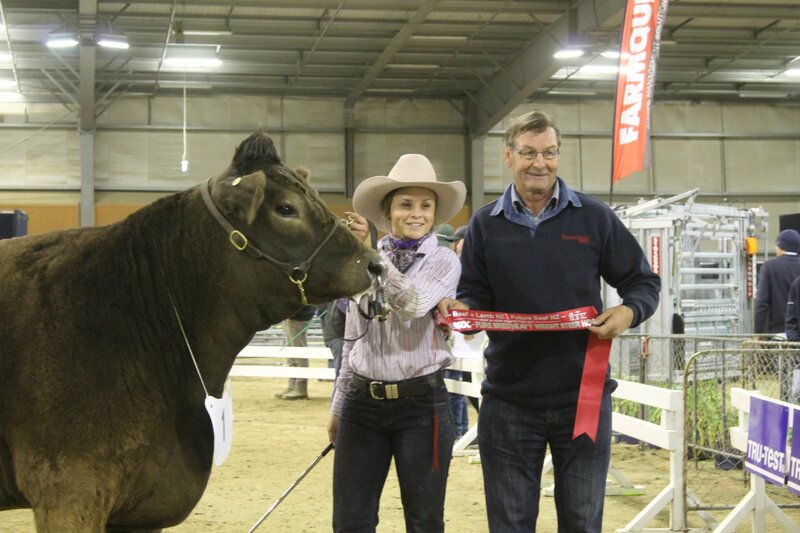 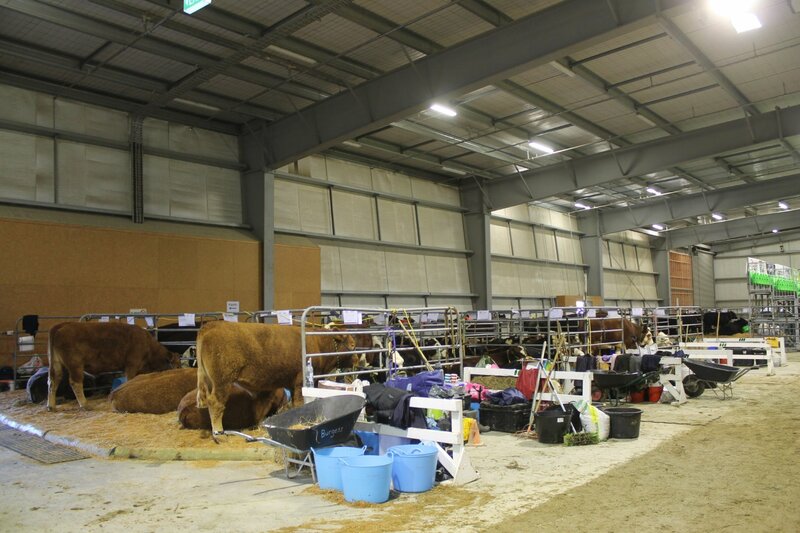 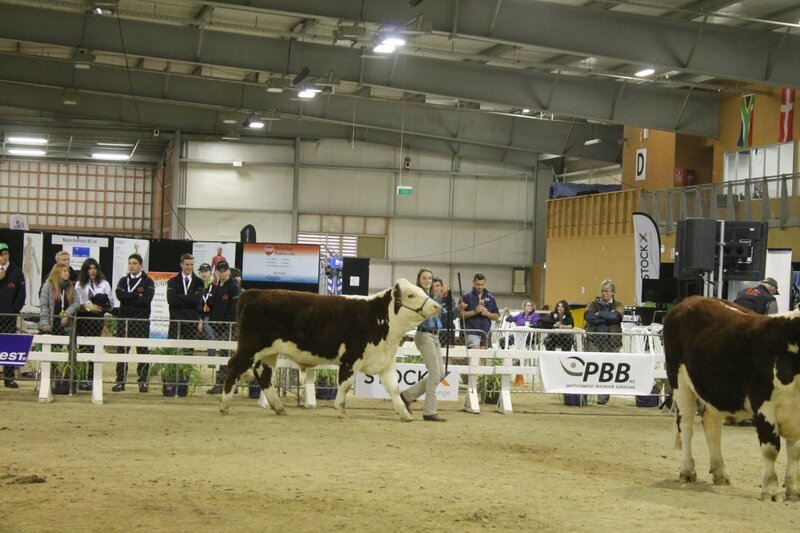 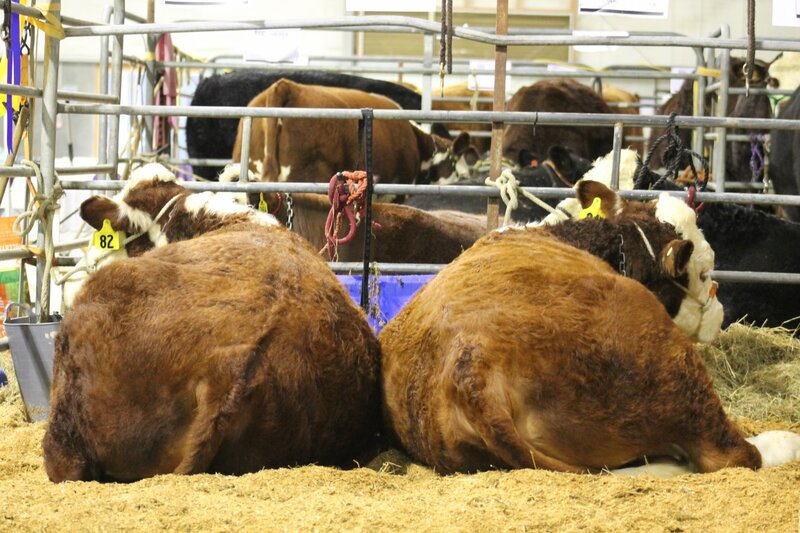 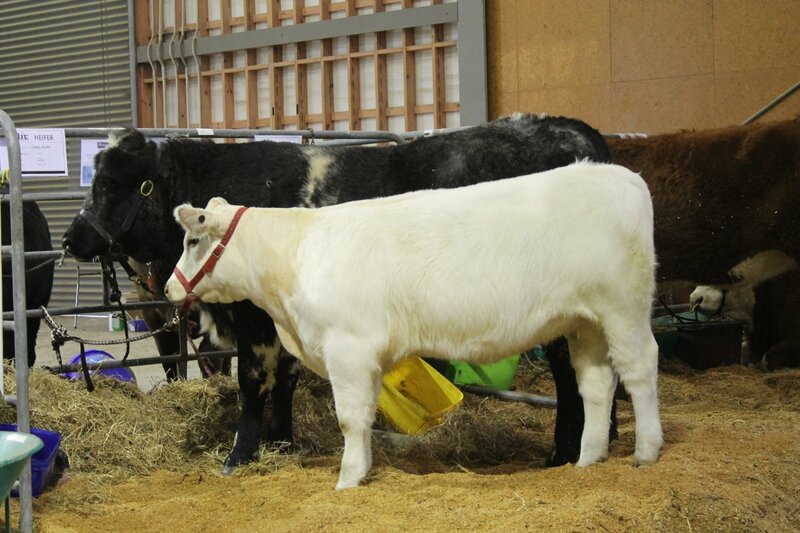 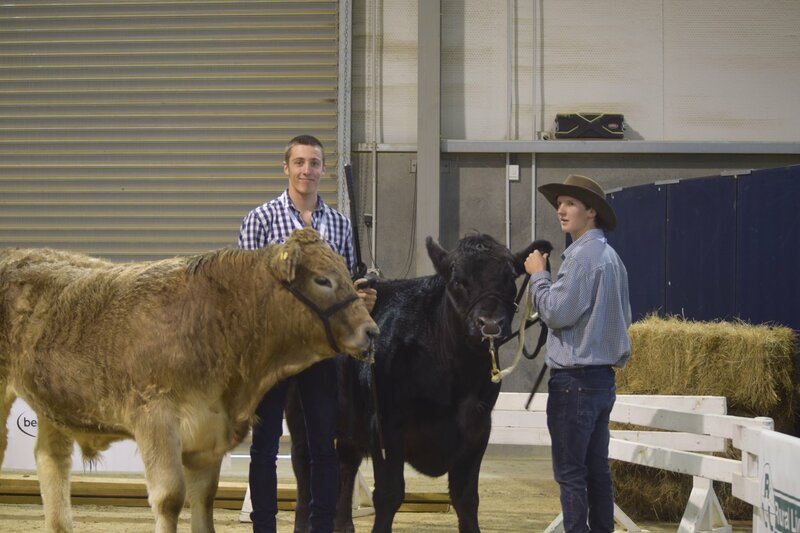 Learnt so much more about the worlds beef industry. 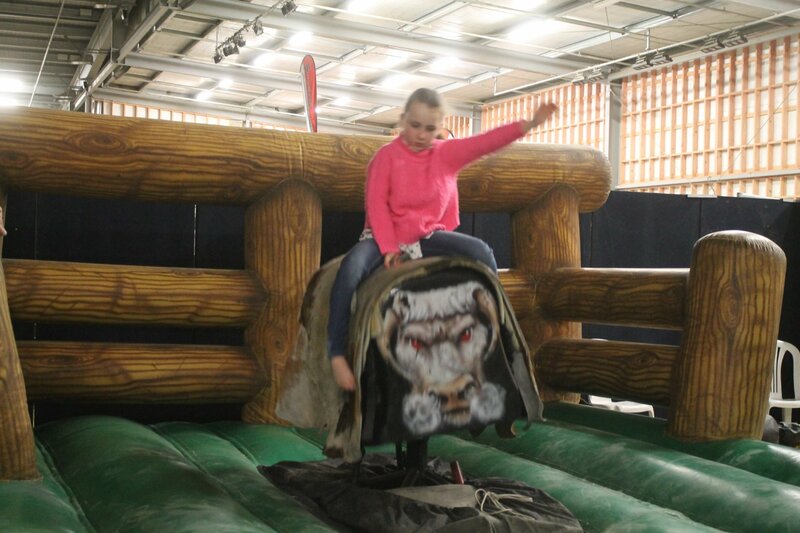 So give it a go! 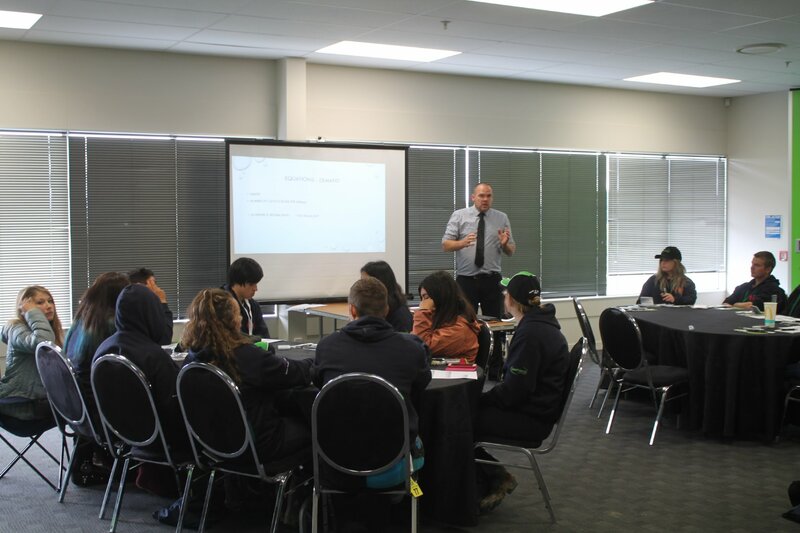 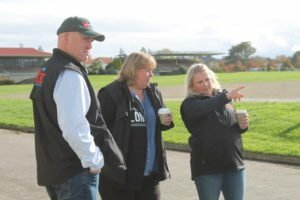 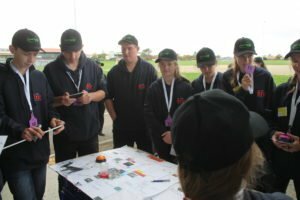 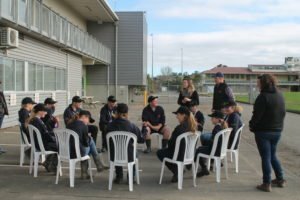 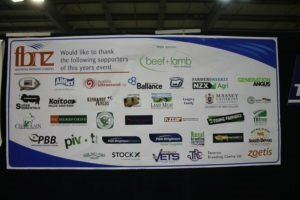 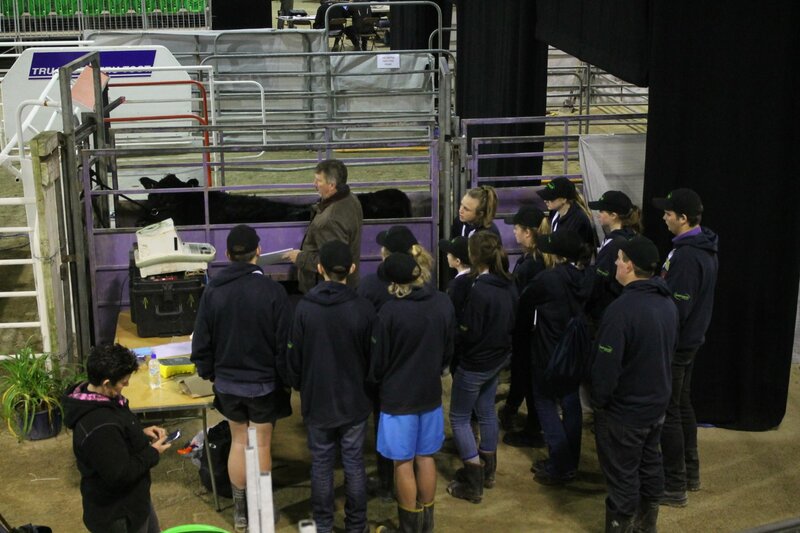 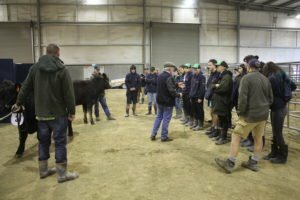 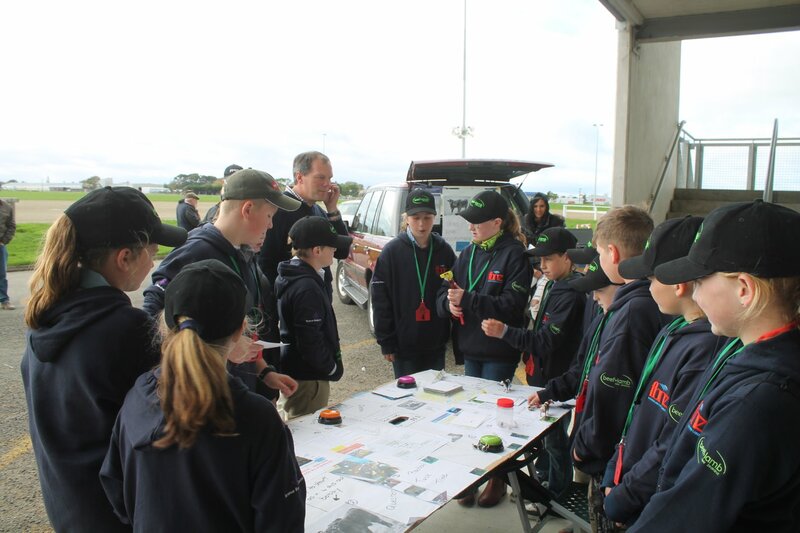 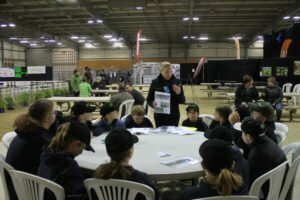 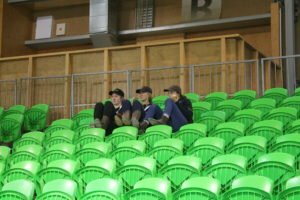 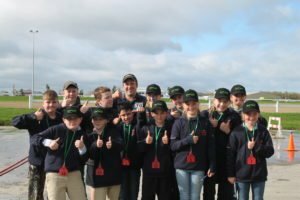 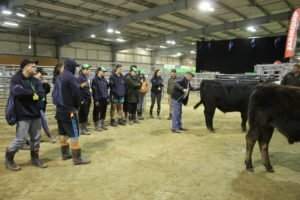 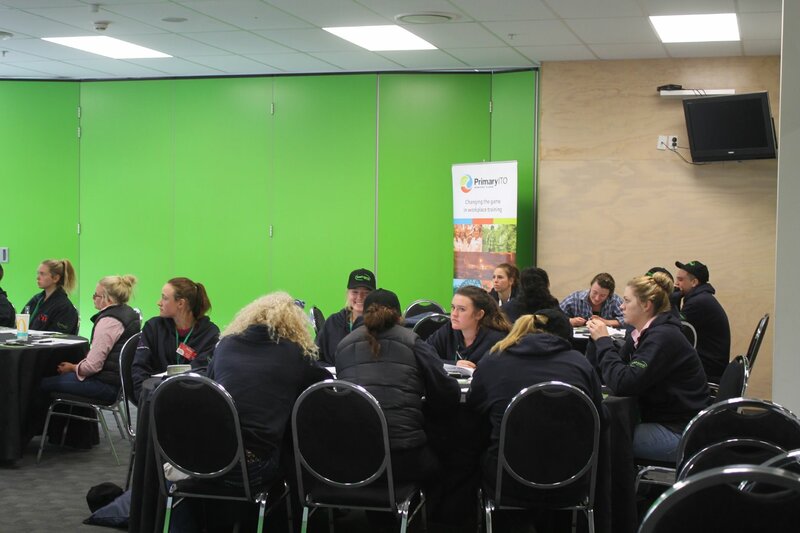 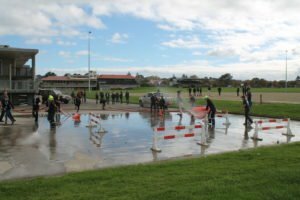 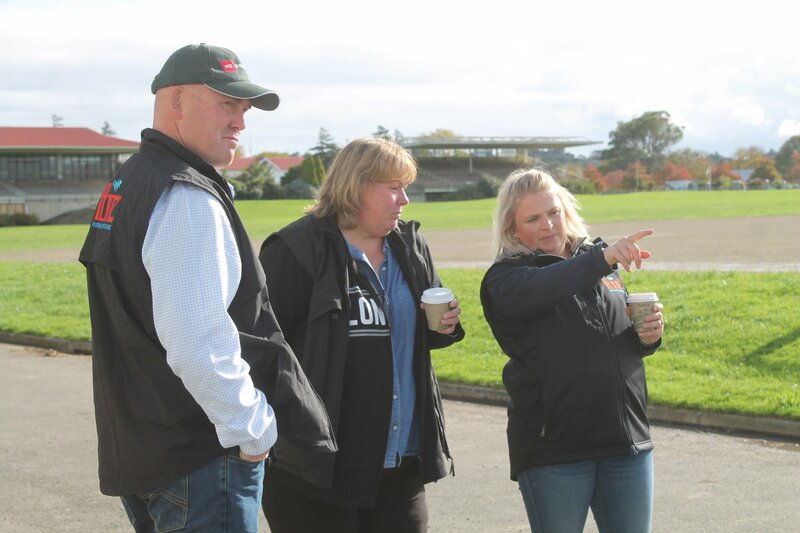 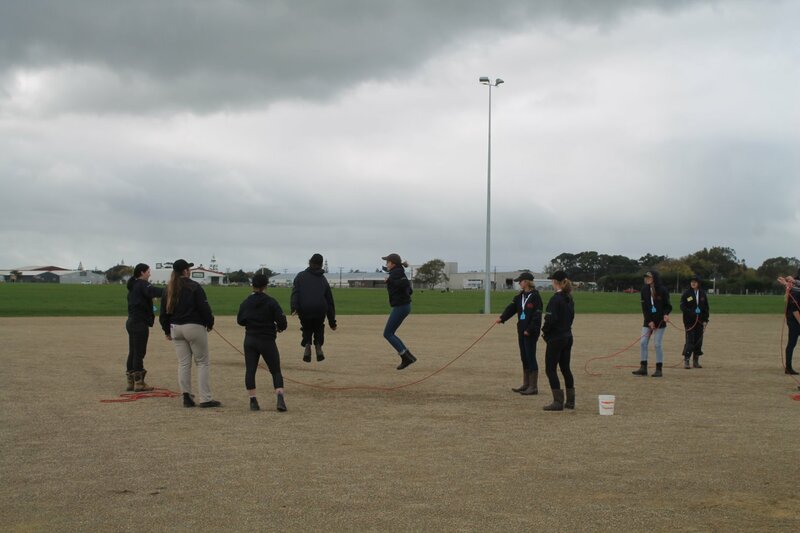 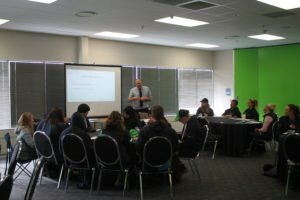 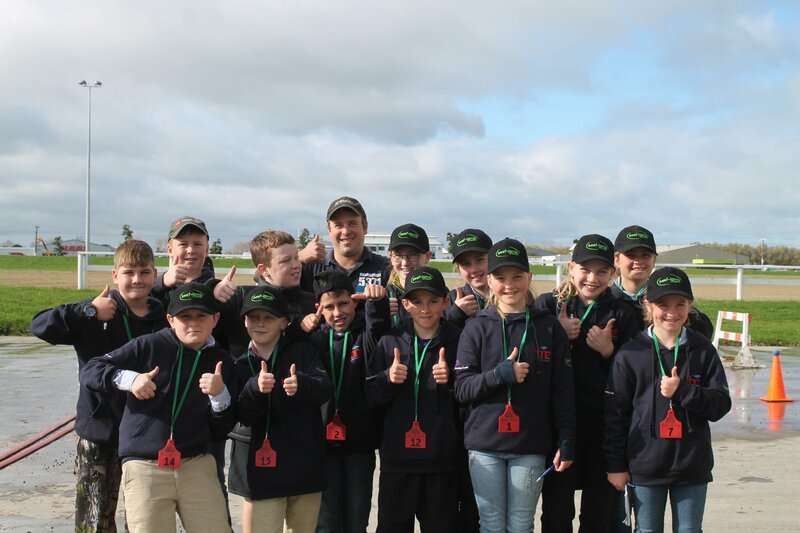 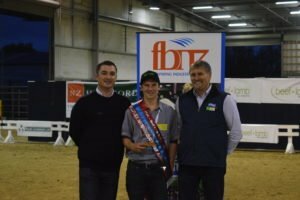 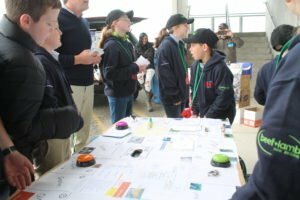 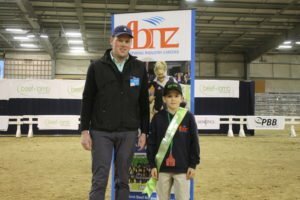 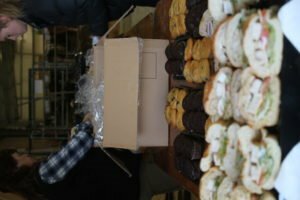 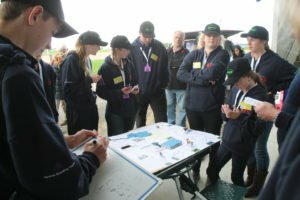 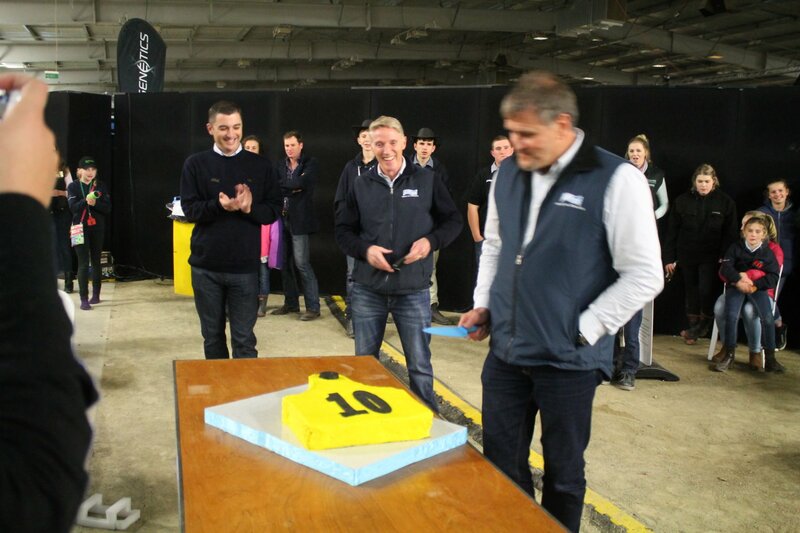 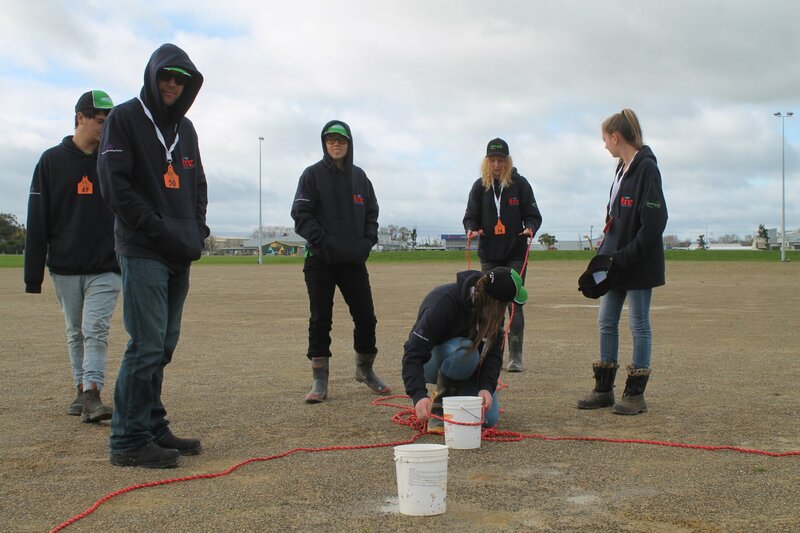 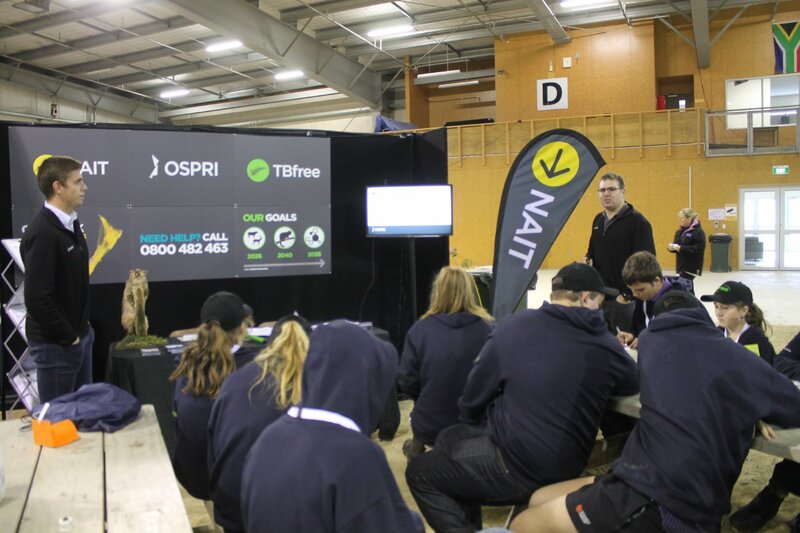 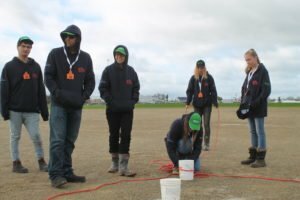 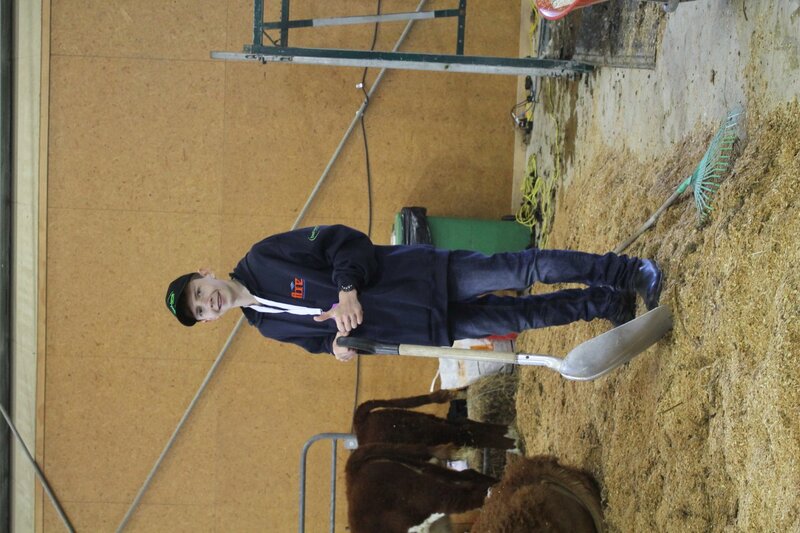 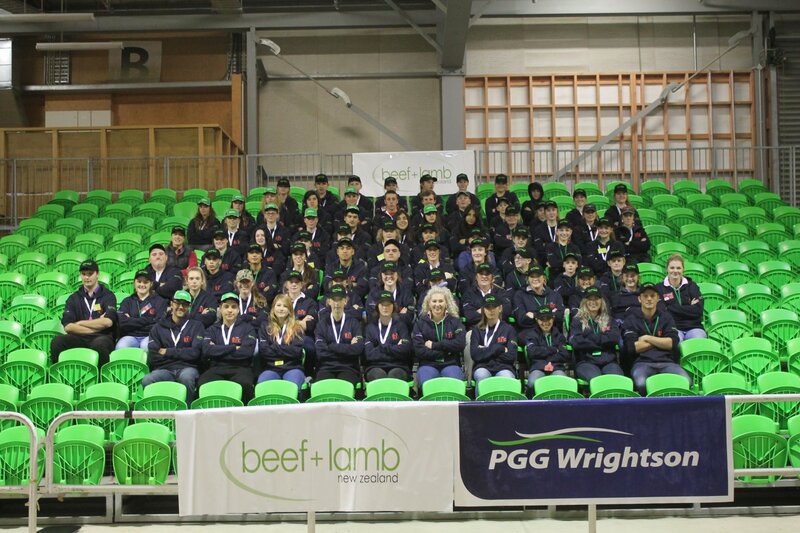 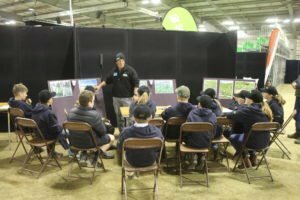 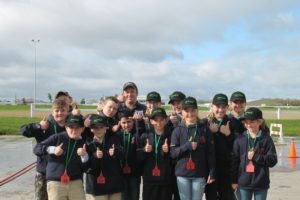 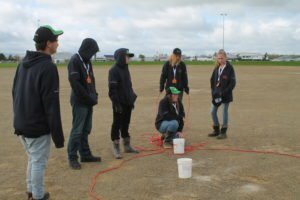 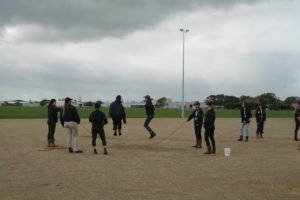 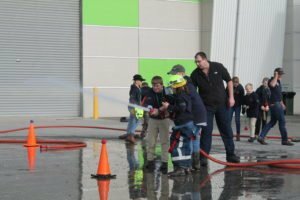 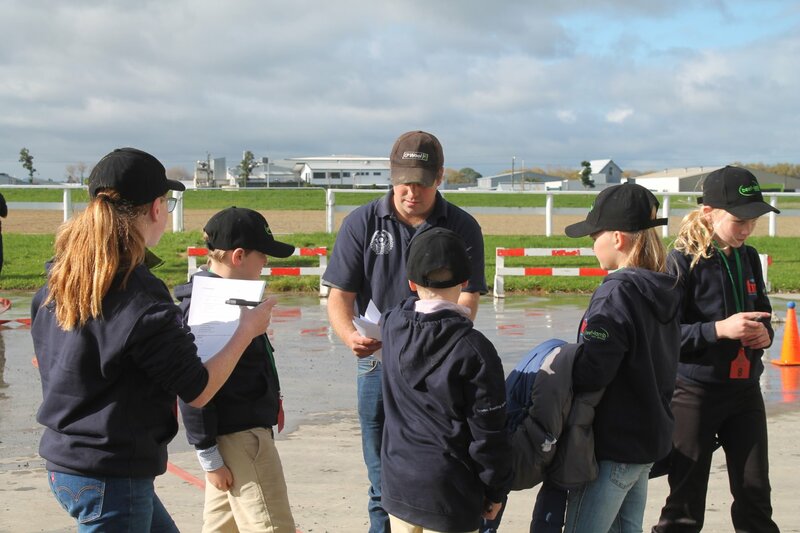 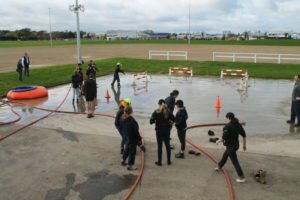 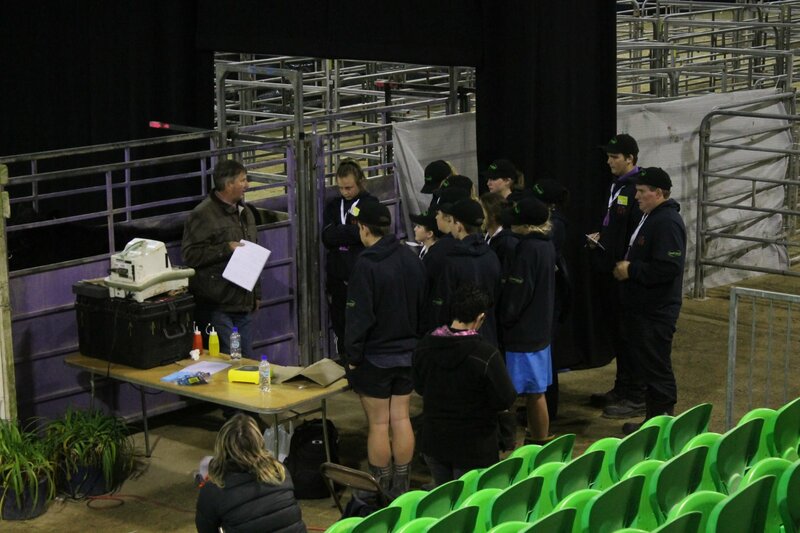 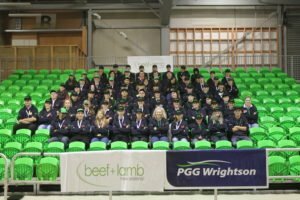 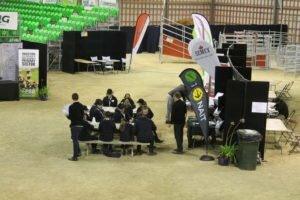 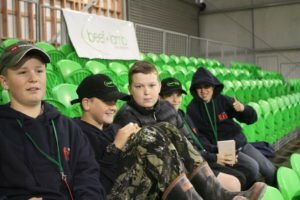 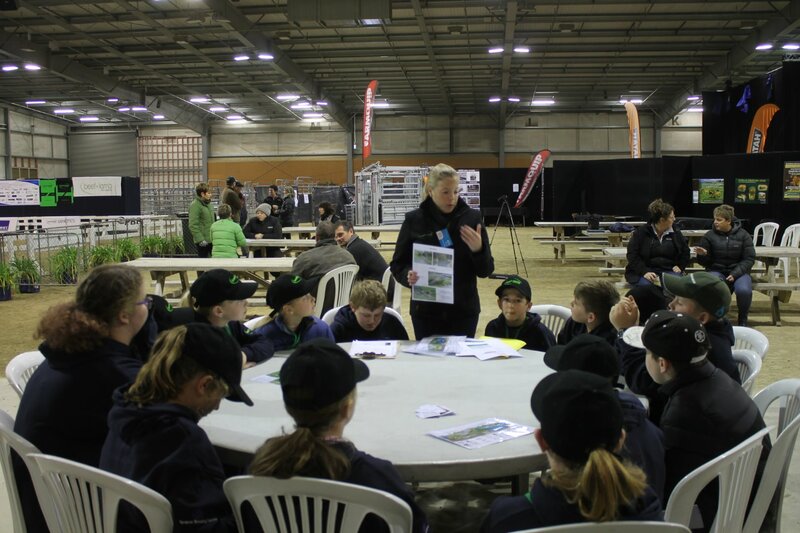 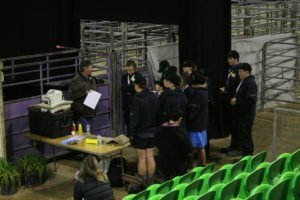 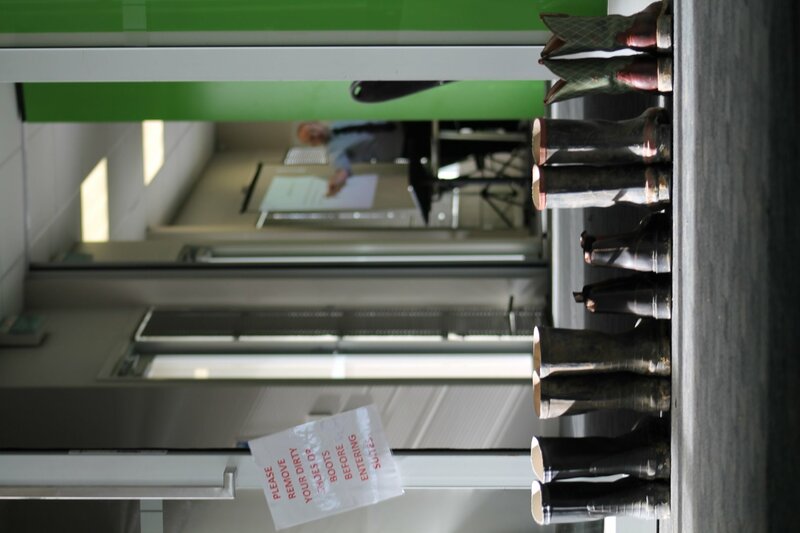 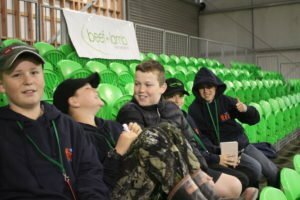 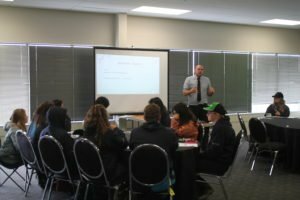 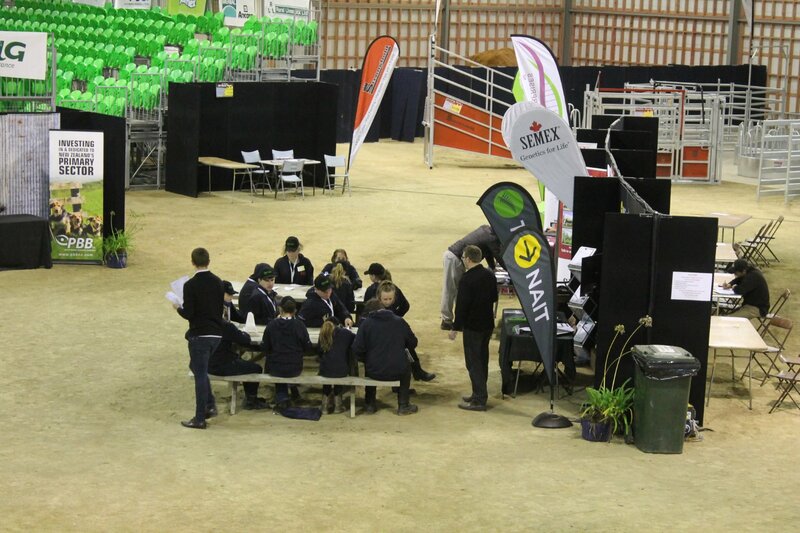 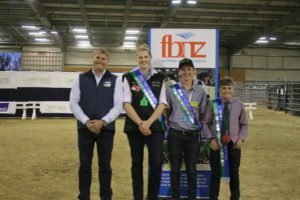 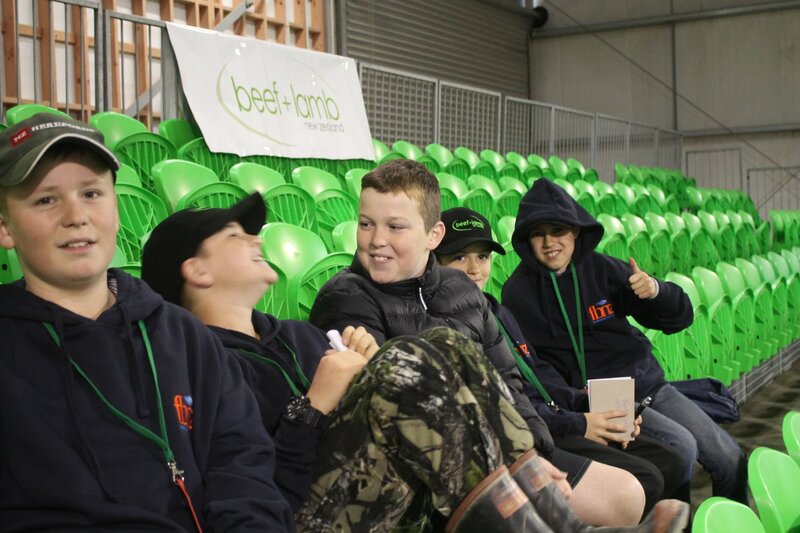 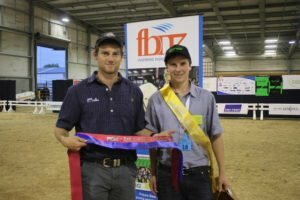 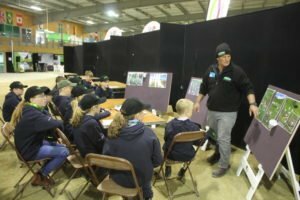 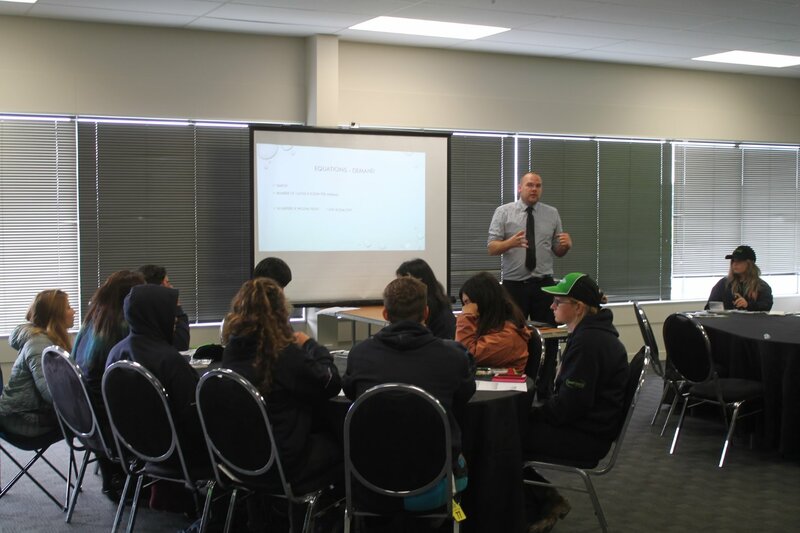 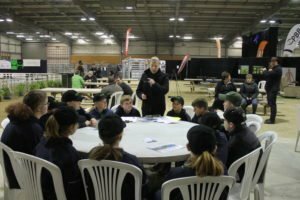 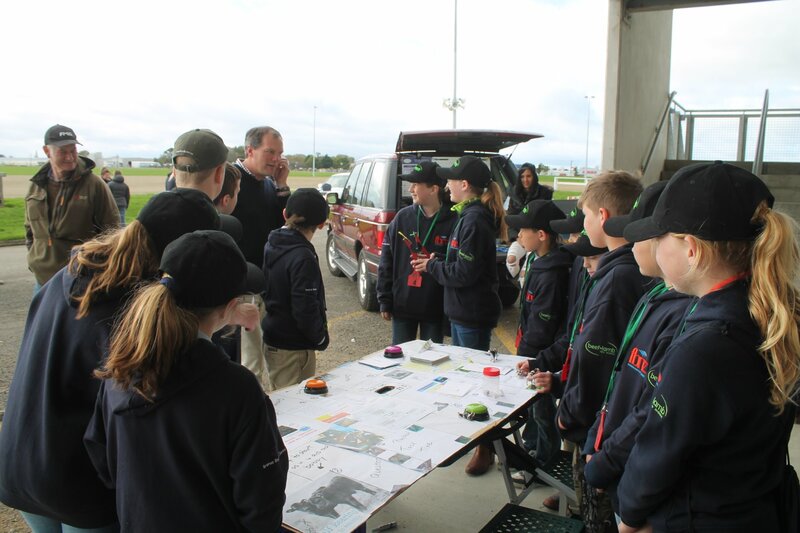 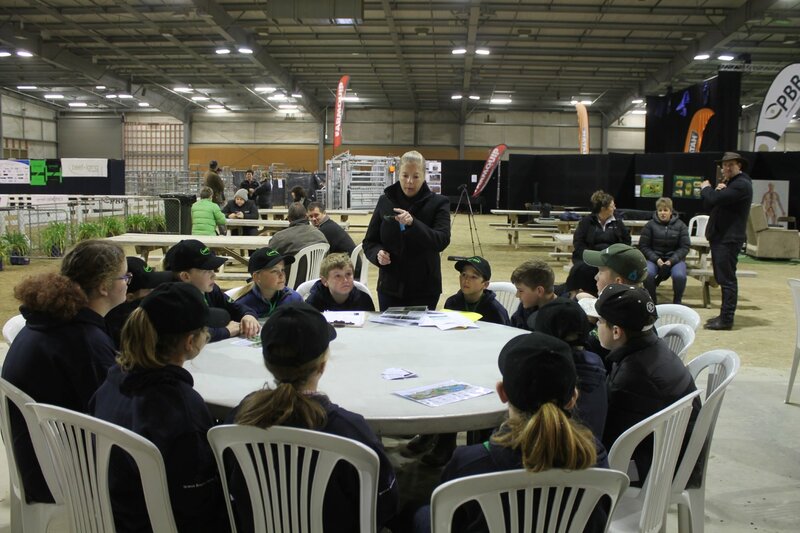 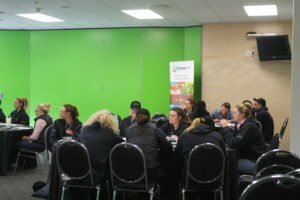 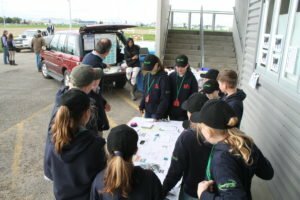 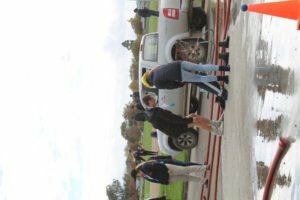 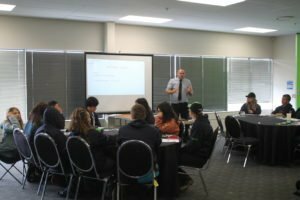 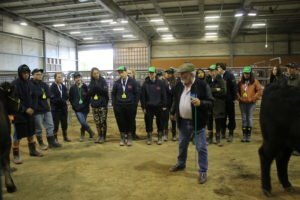 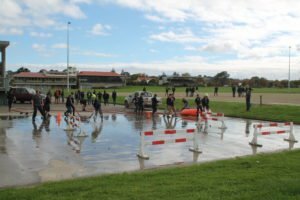 FBNZ was developed jointly by PBBNZ Ltd, and Beef + Lamb New Zealand as a response to the need to encourage and promote youth involvement and interest in the Beef industry. 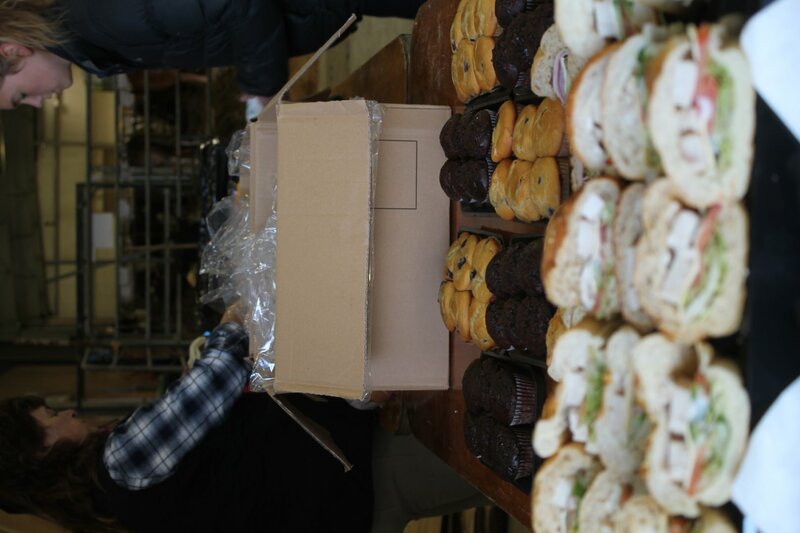 FBNZ is youth programme and aimed at 8 – 24 year olds from all walks of life.